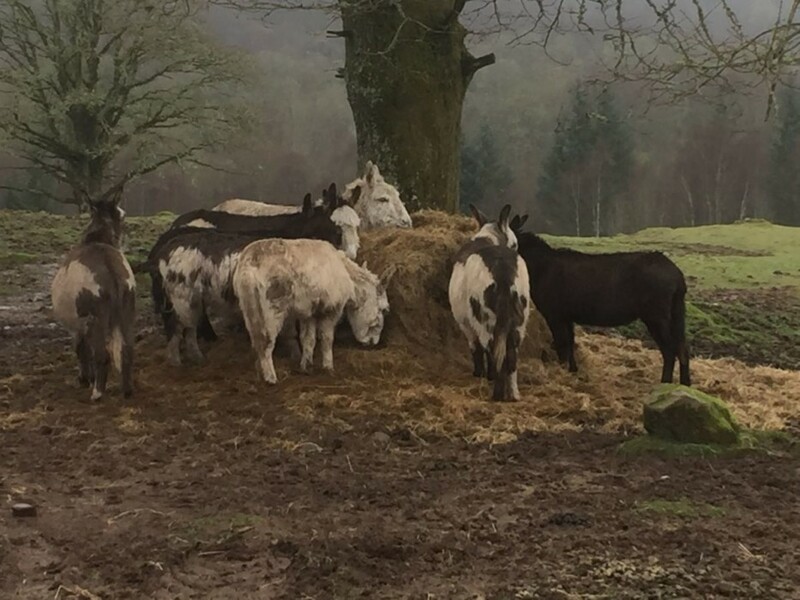 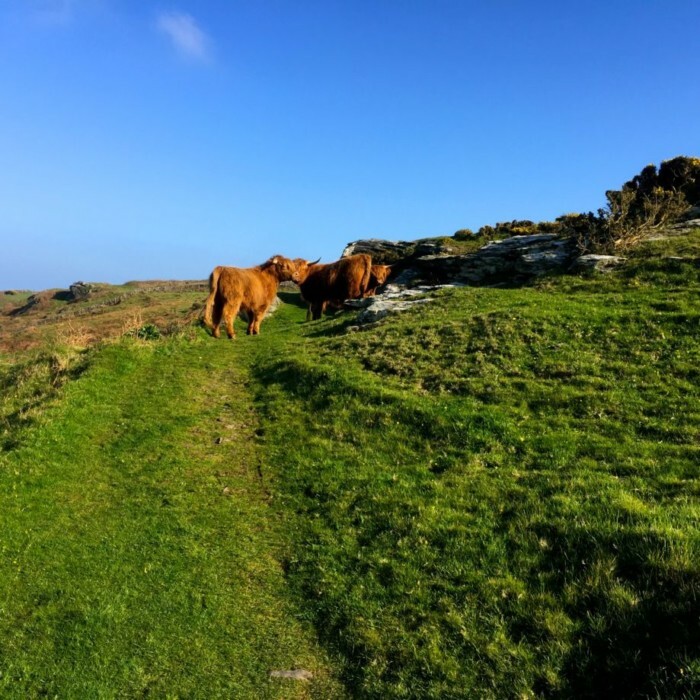 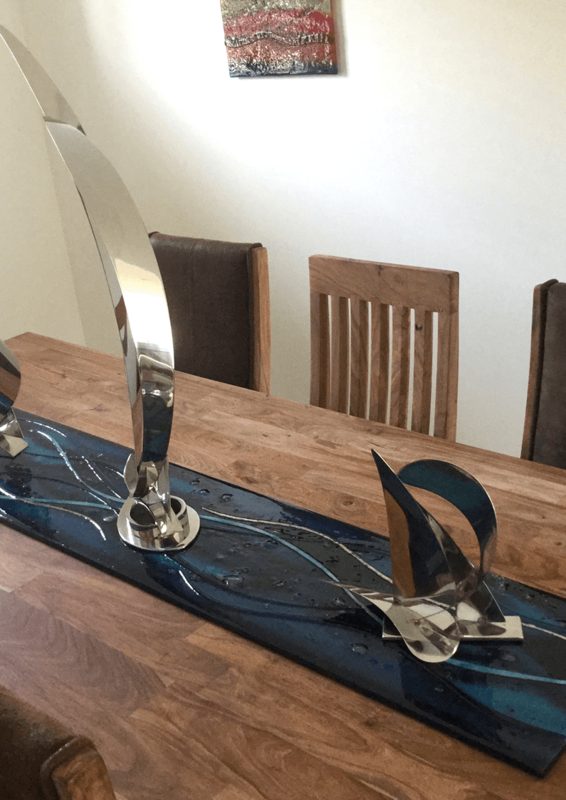 We’ve been posting quite a fair few brand new pieces recently, so it seems only fair that we let a piece from the vaults have some time in the spotlight. 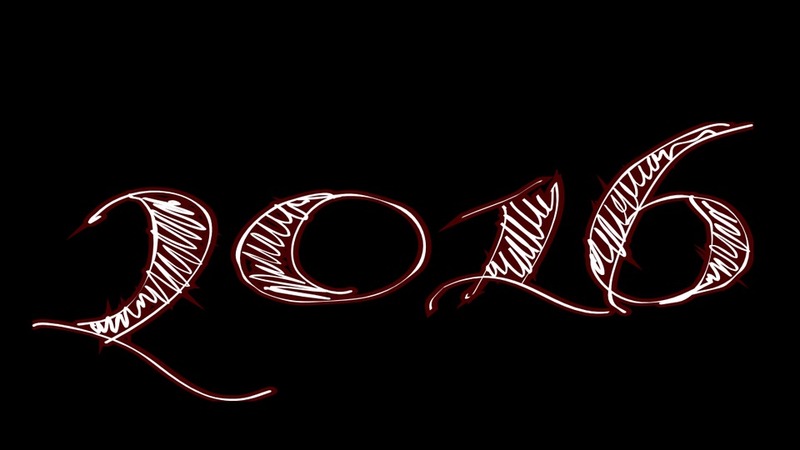 Here it is! 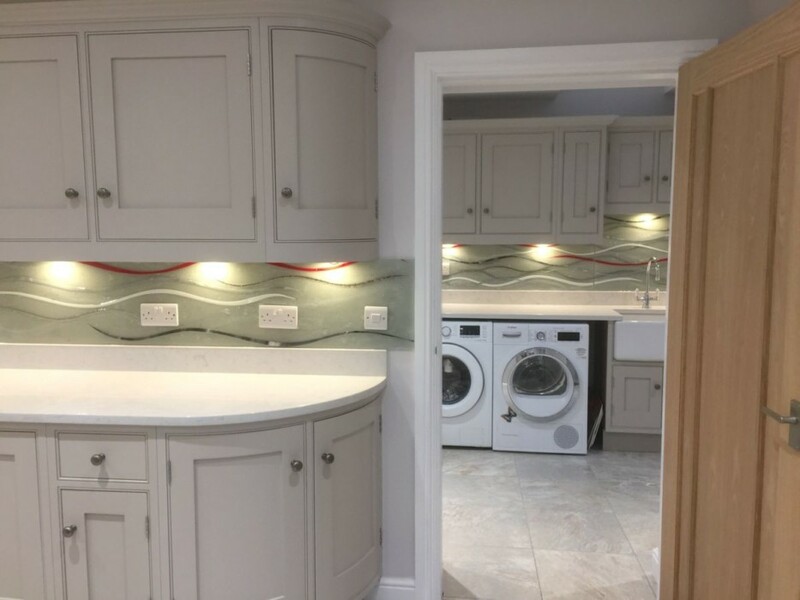 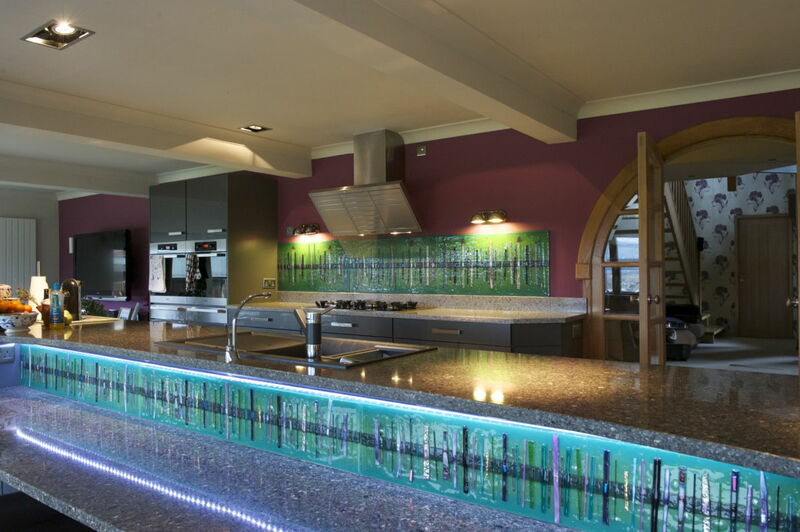 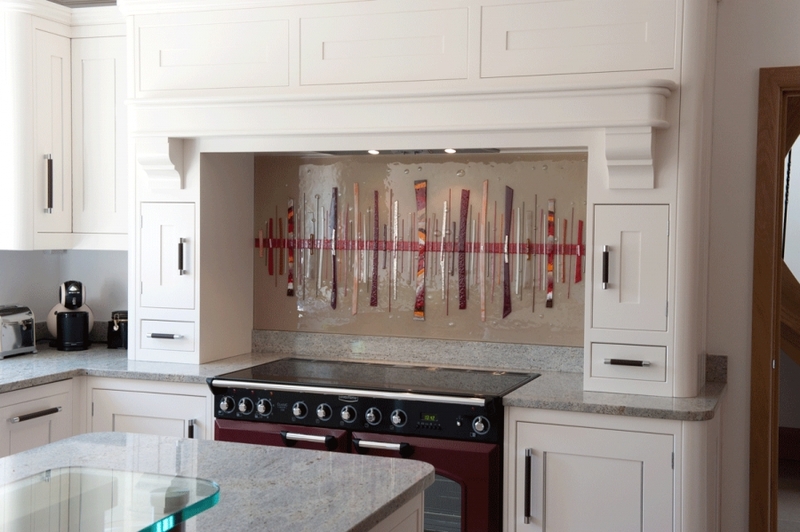 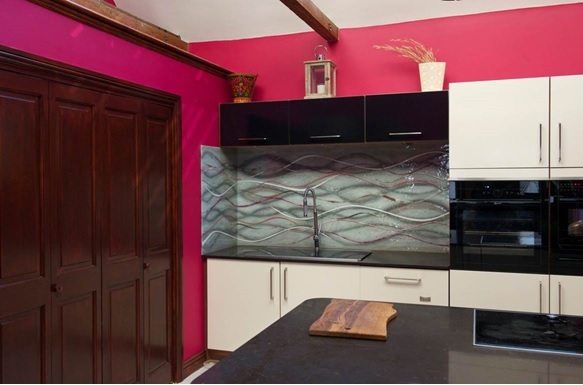 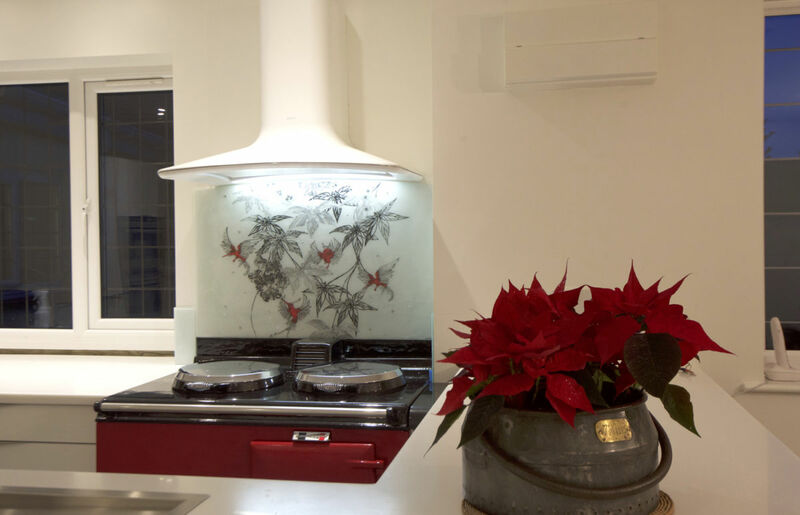 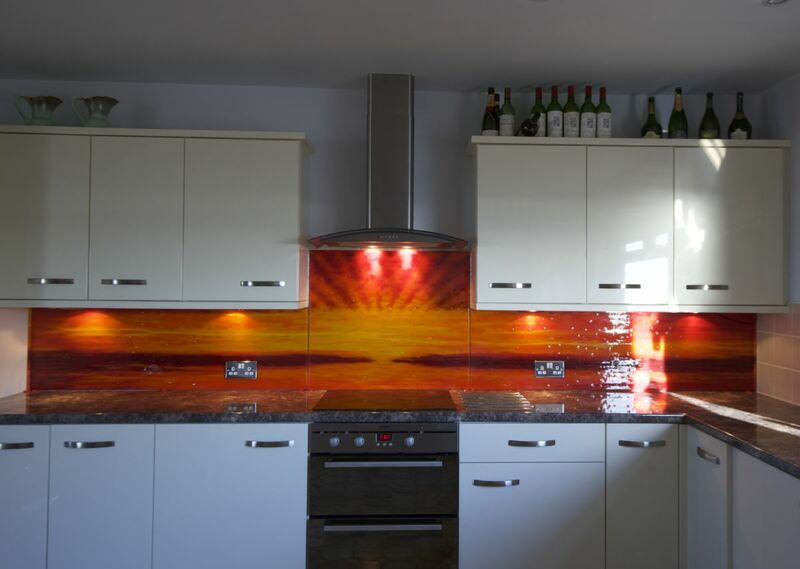 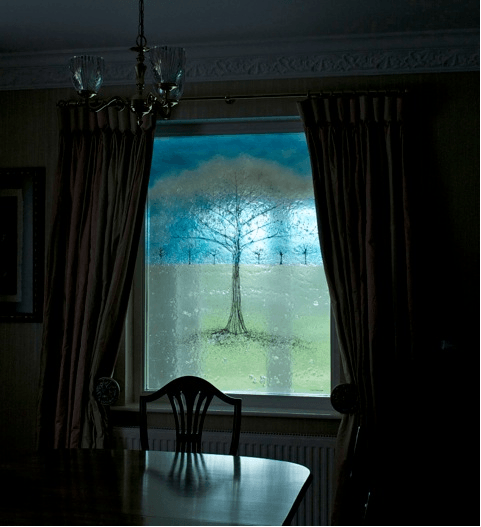 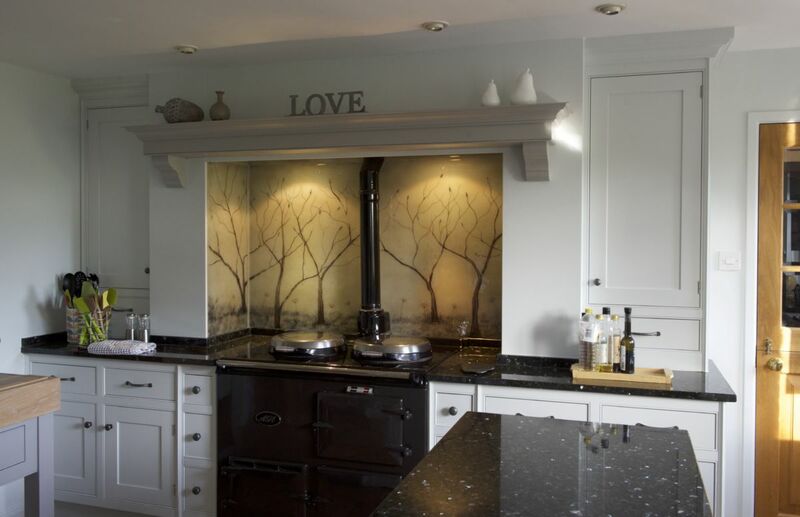 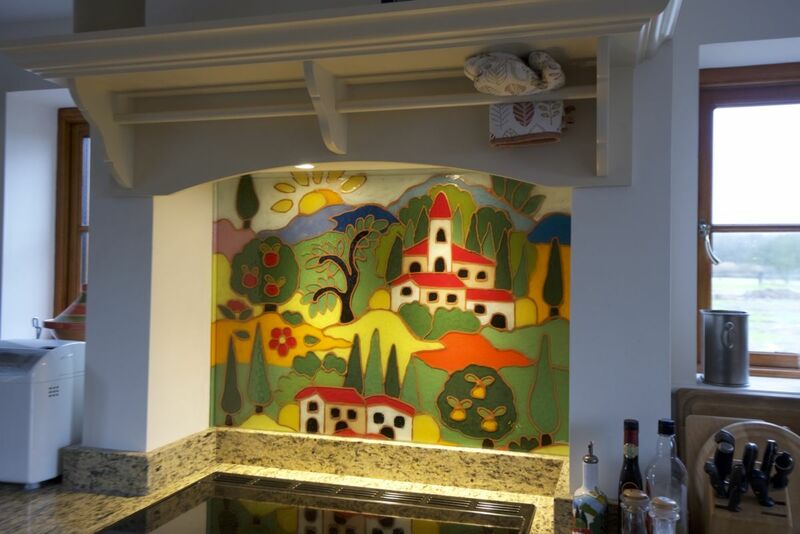 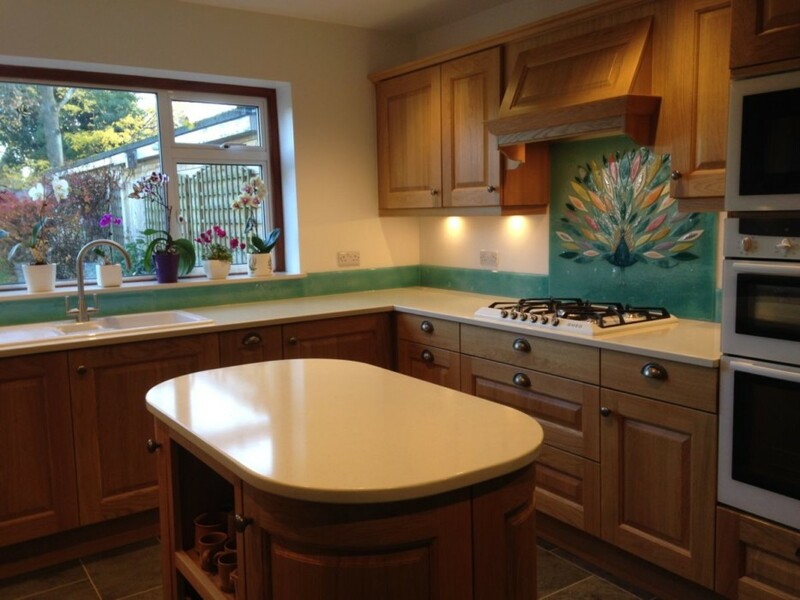 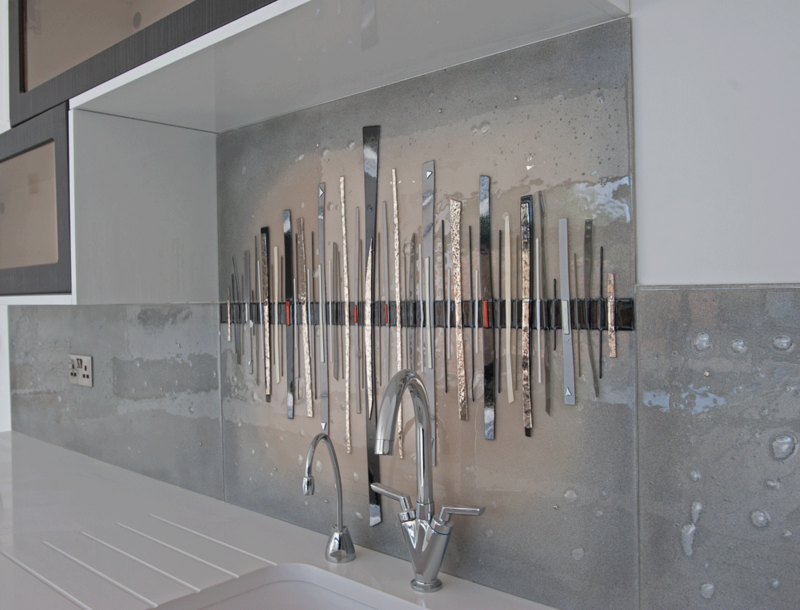 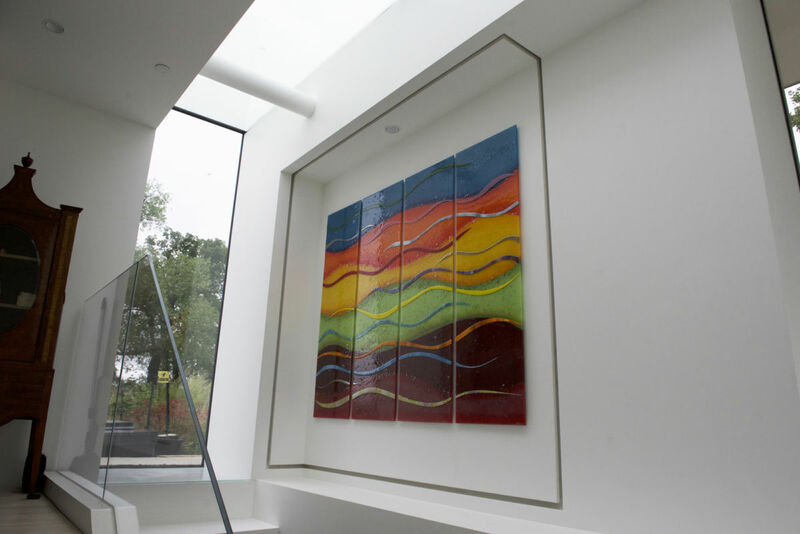 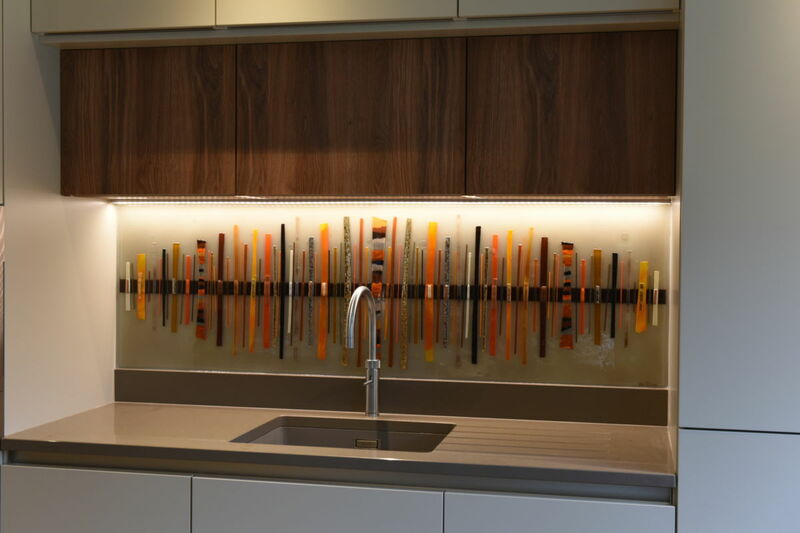 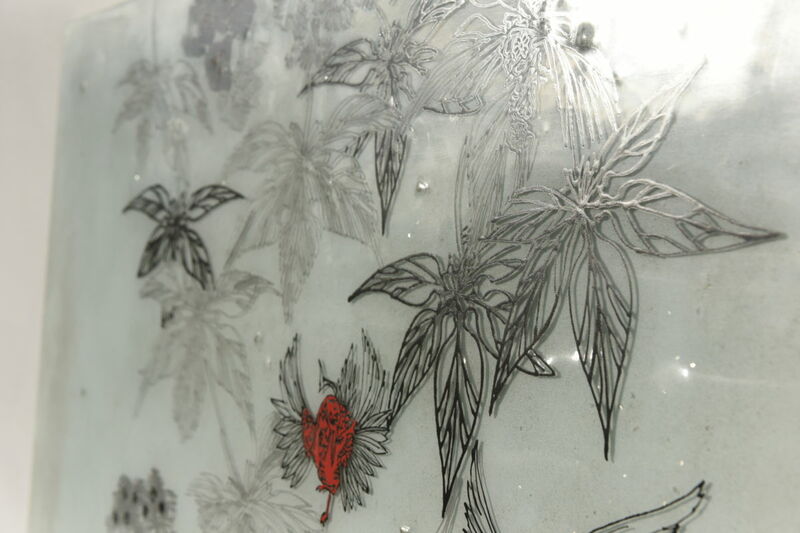 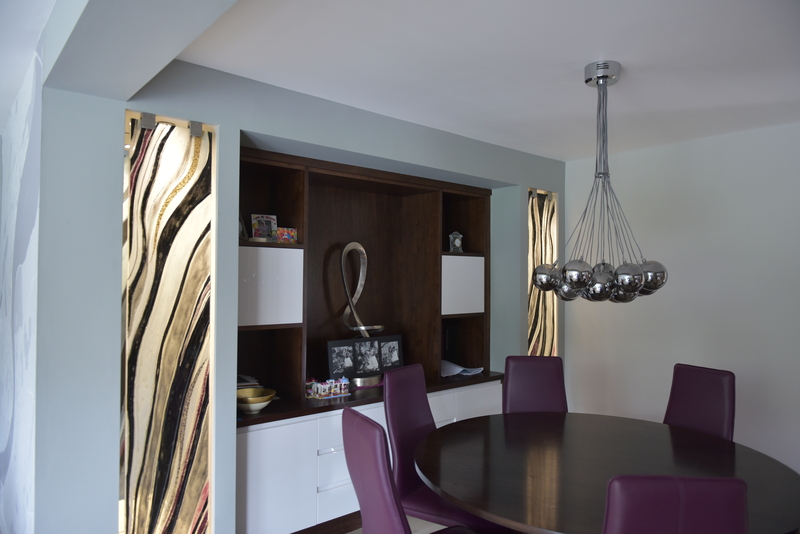 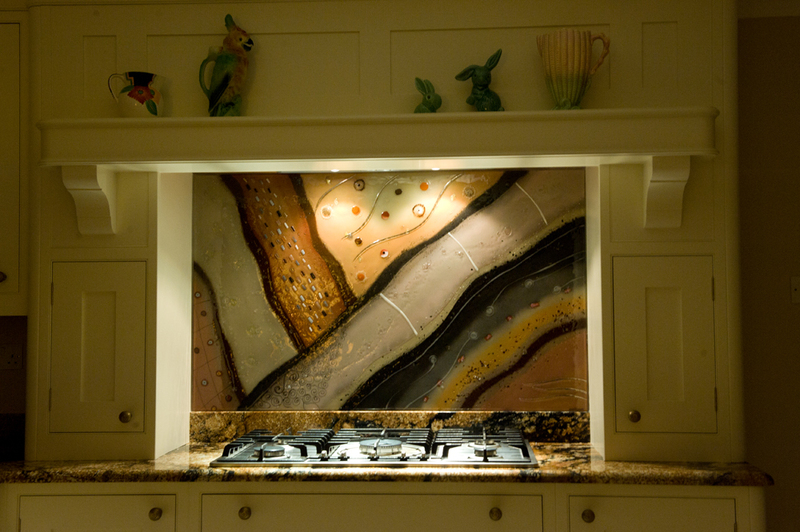 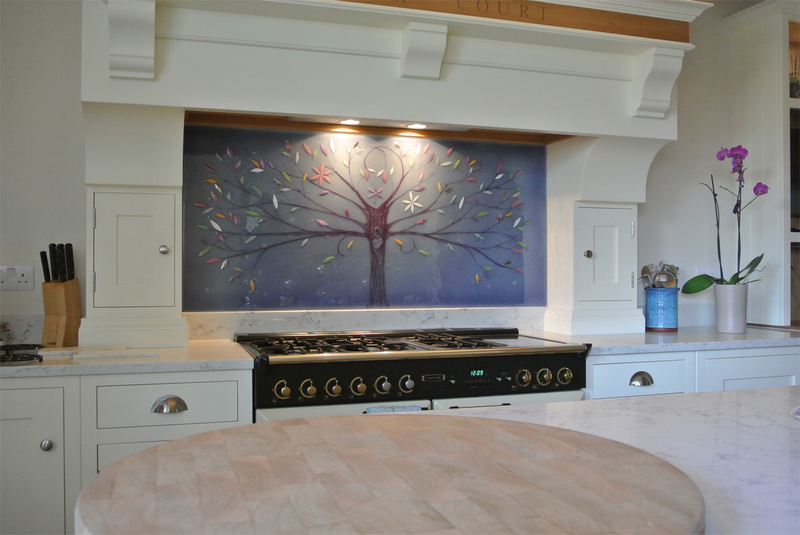 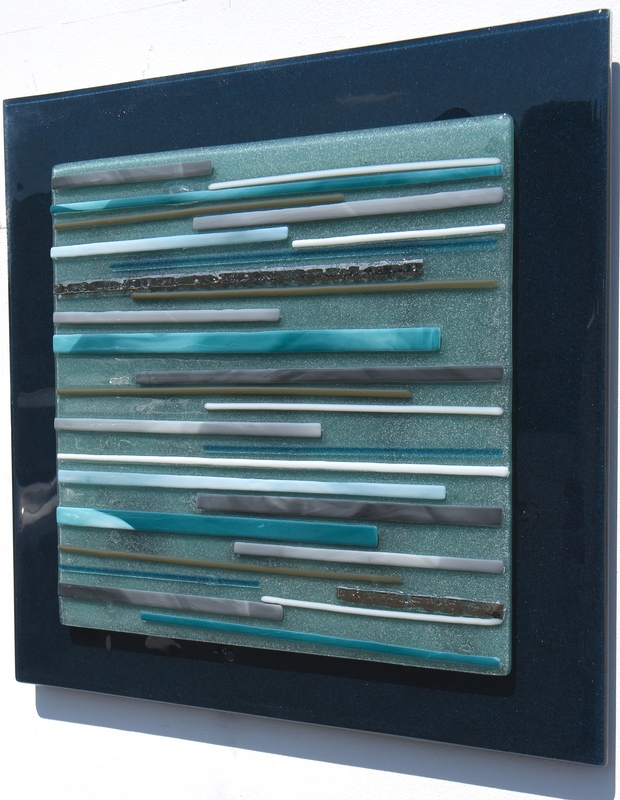 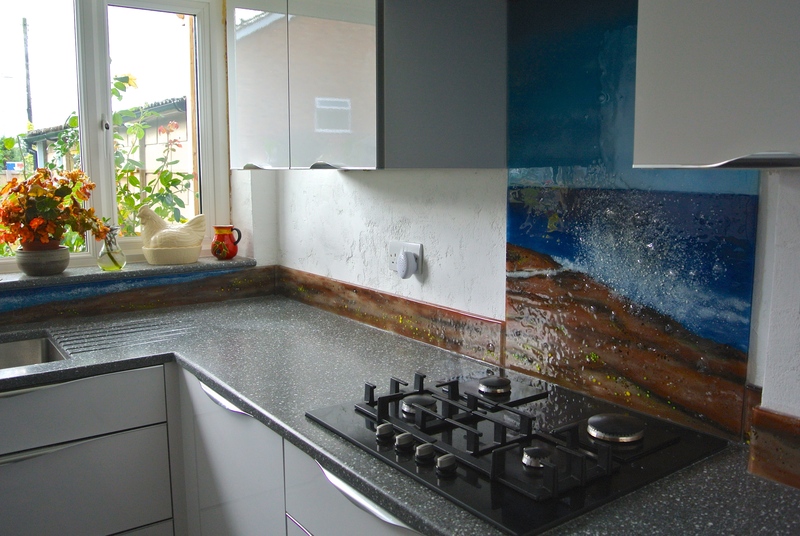 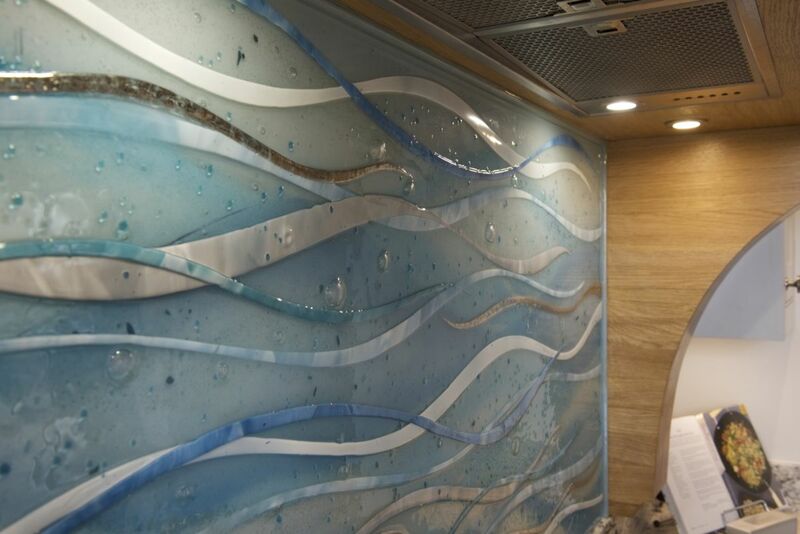 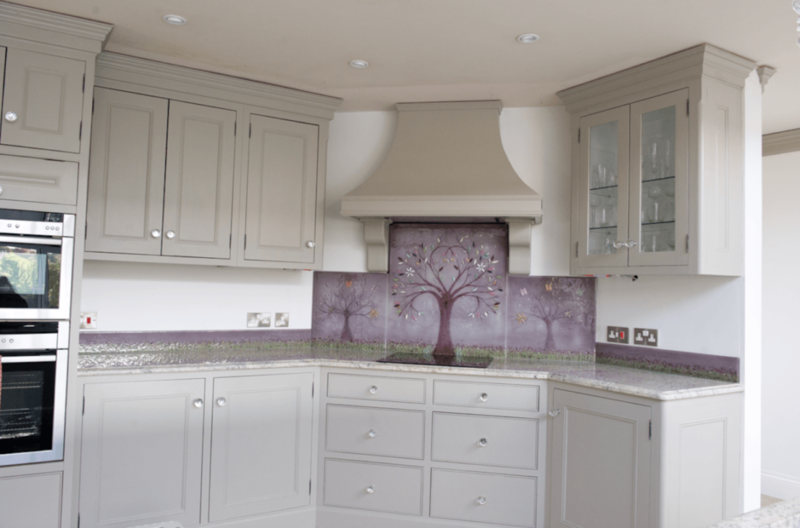 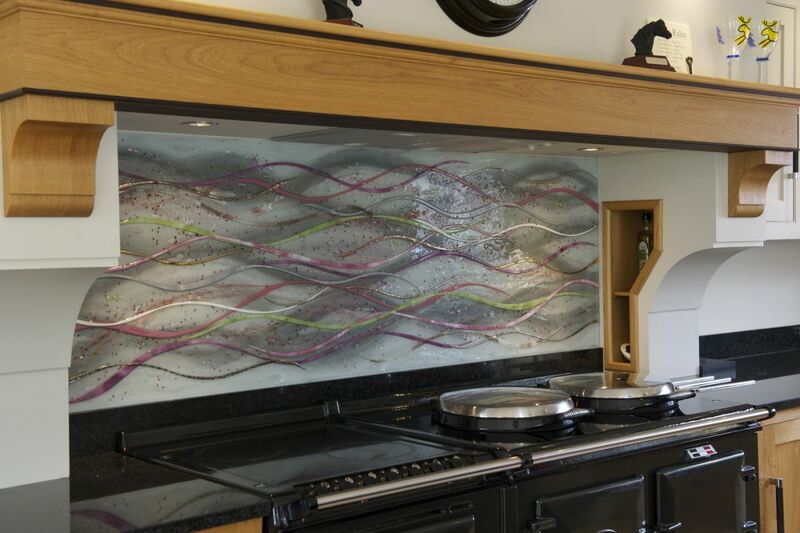 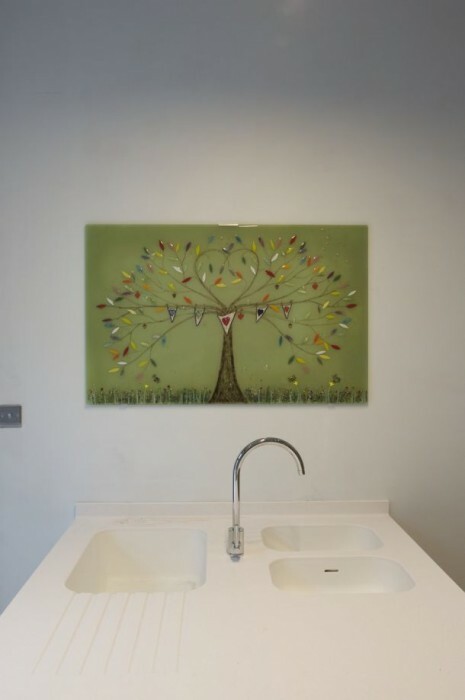 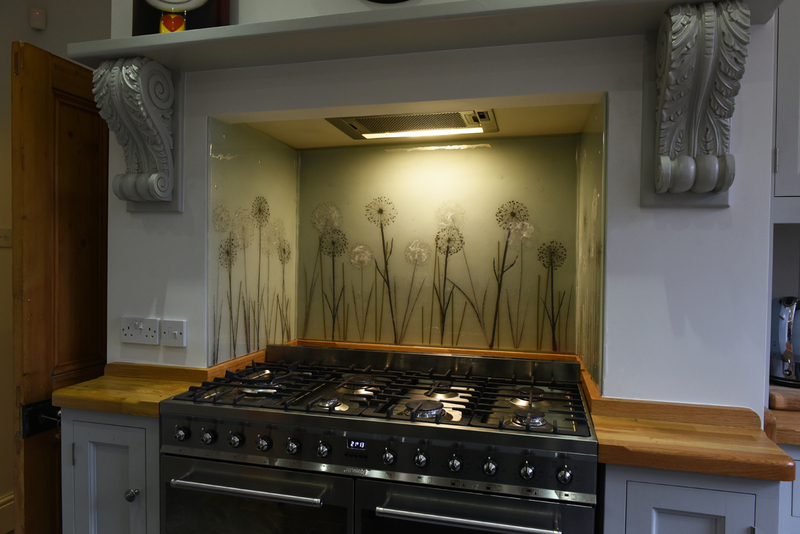 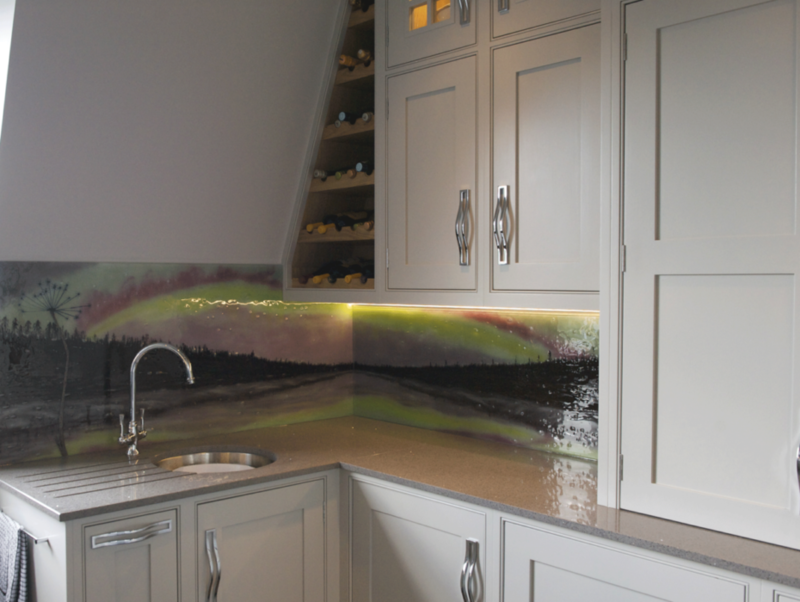 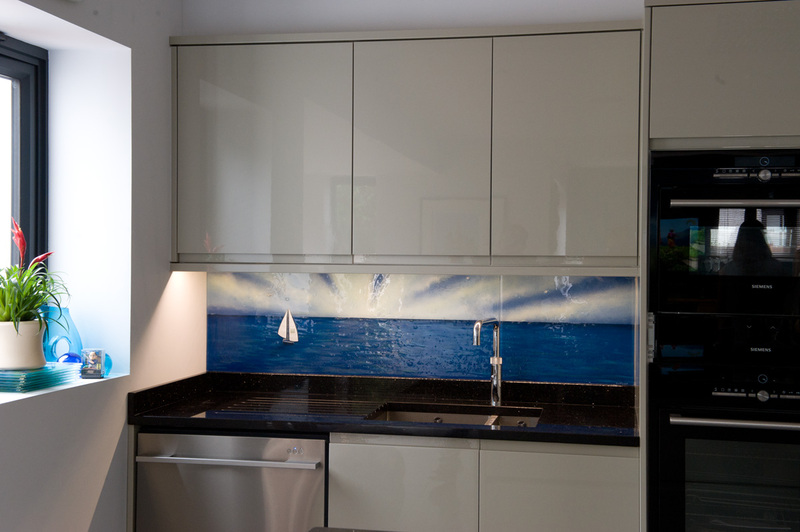 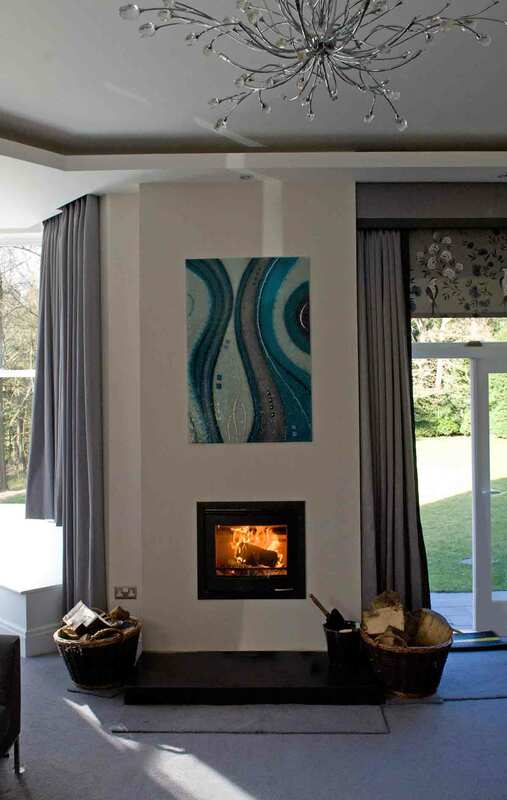 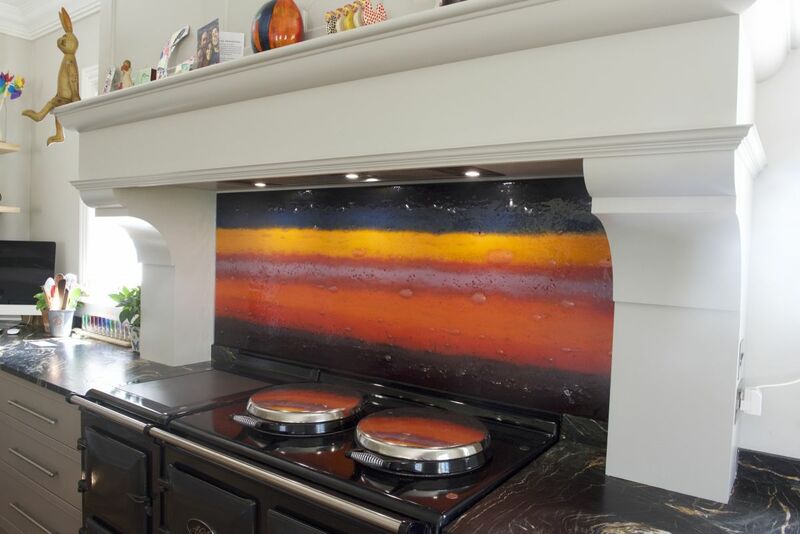 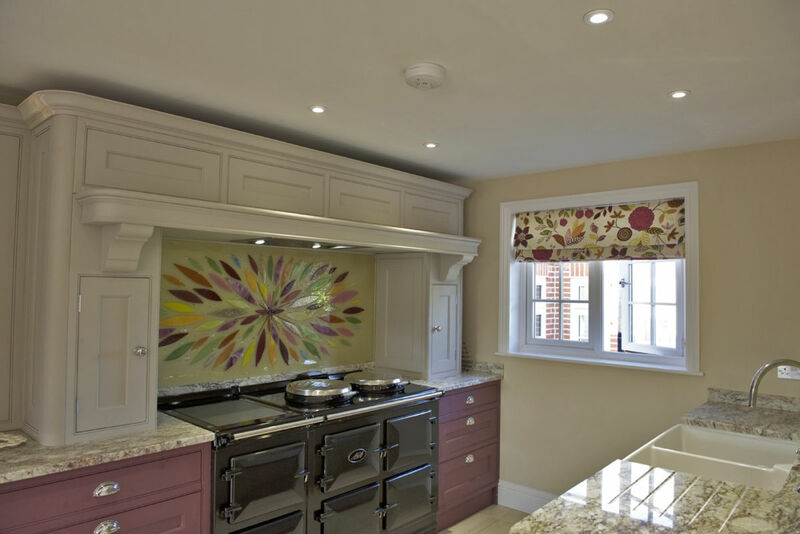 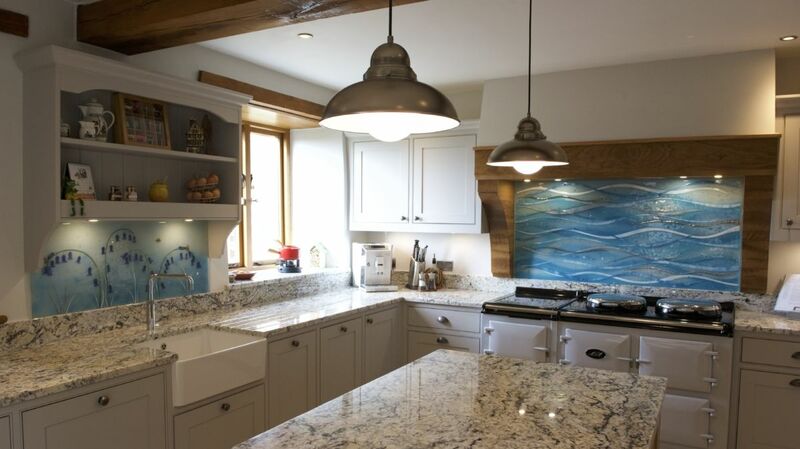 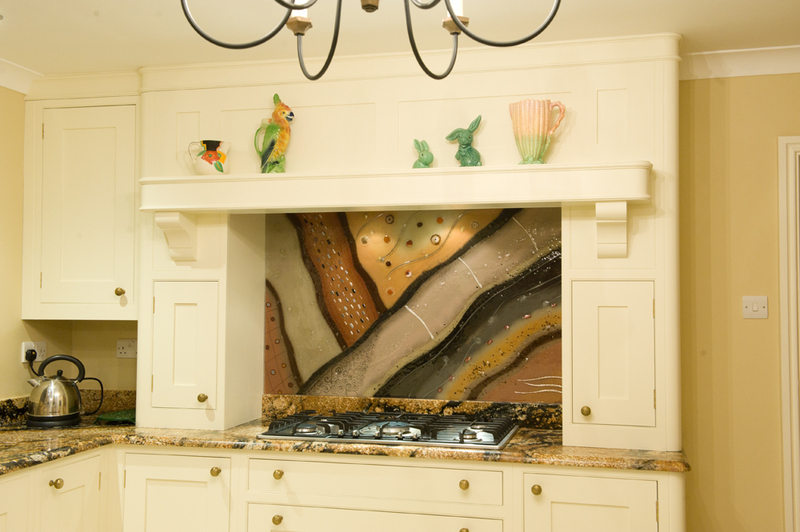 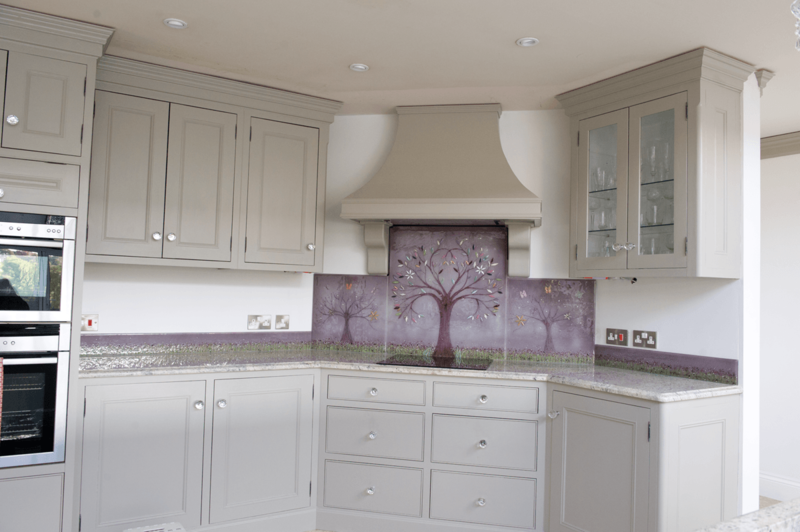 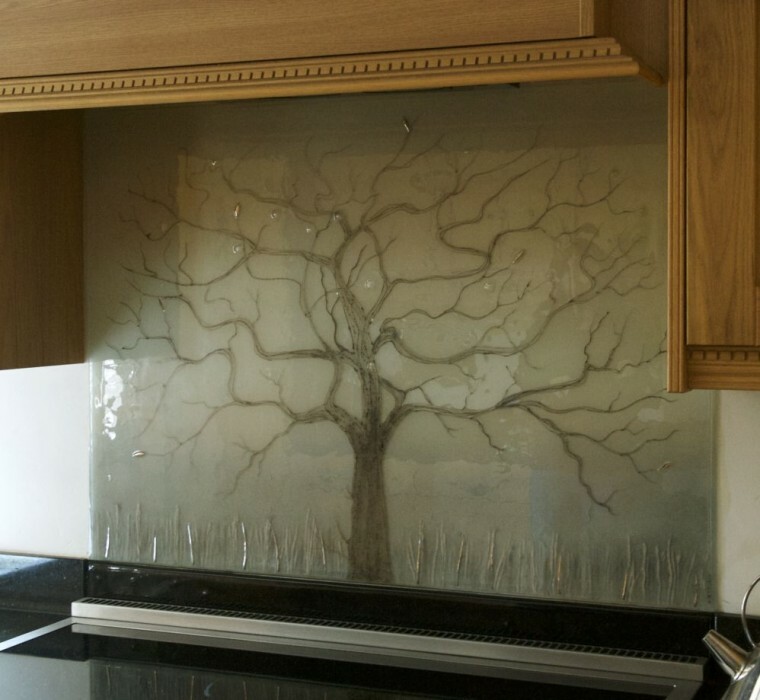 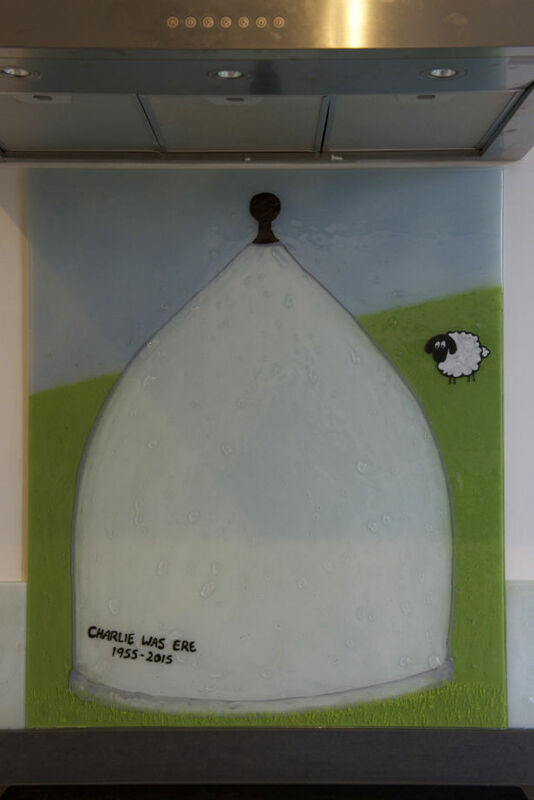 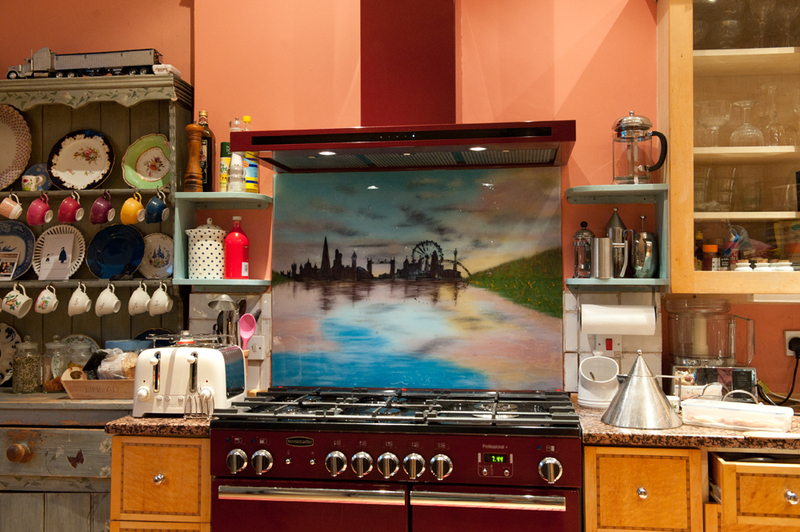 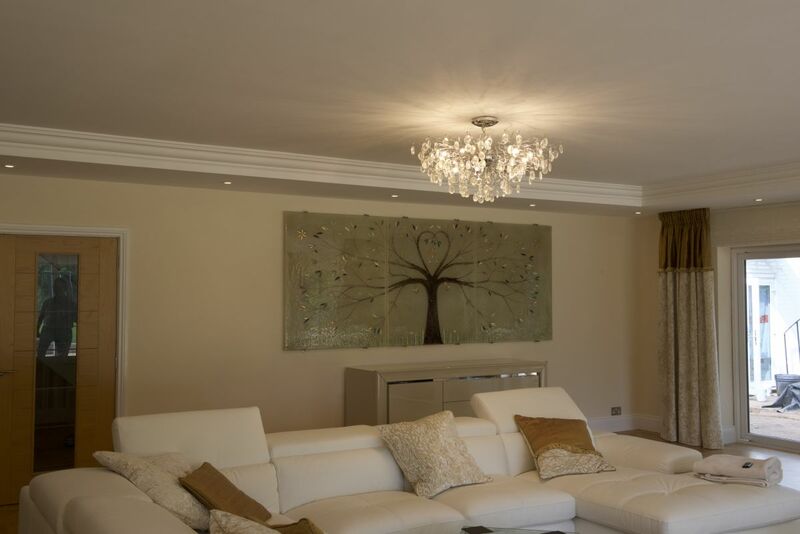 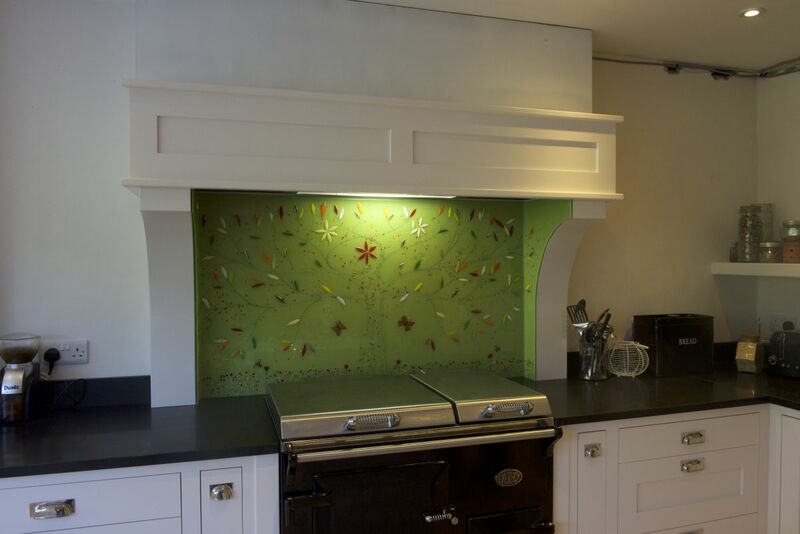 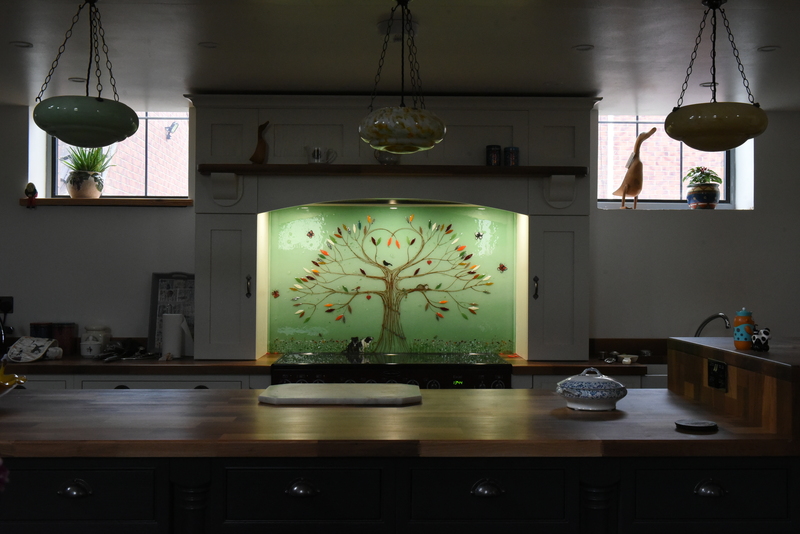 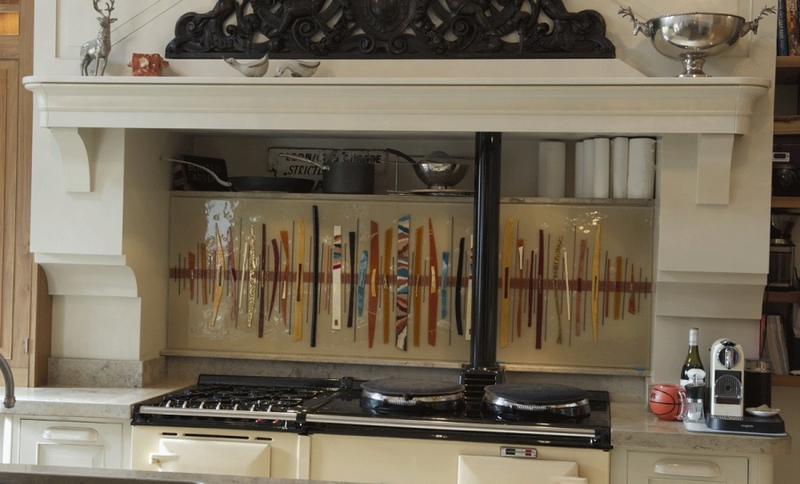 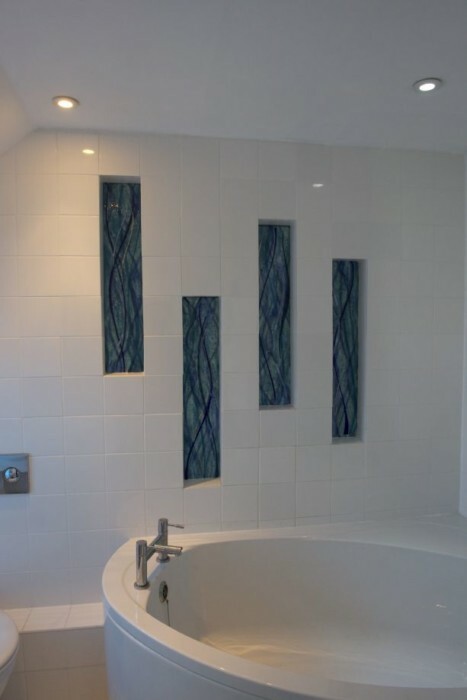 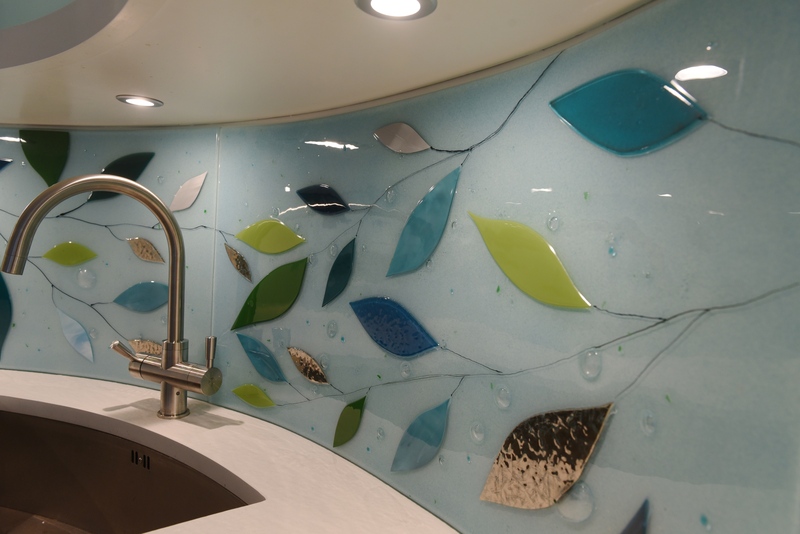 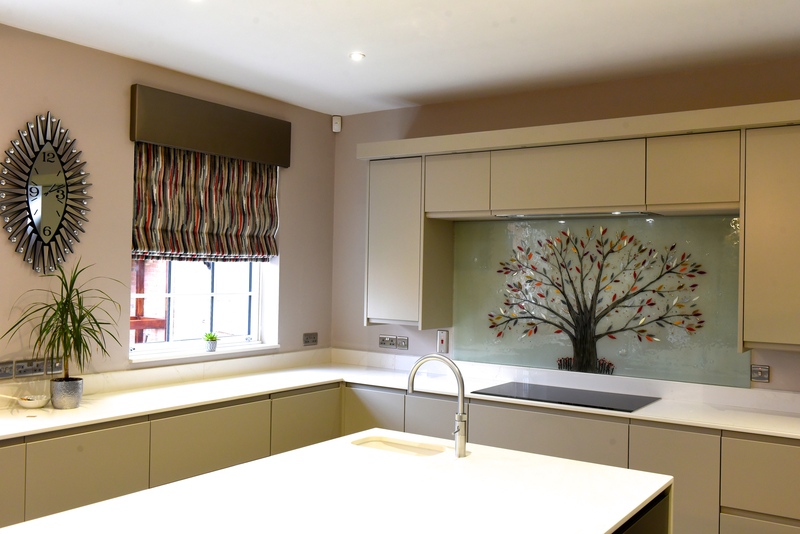 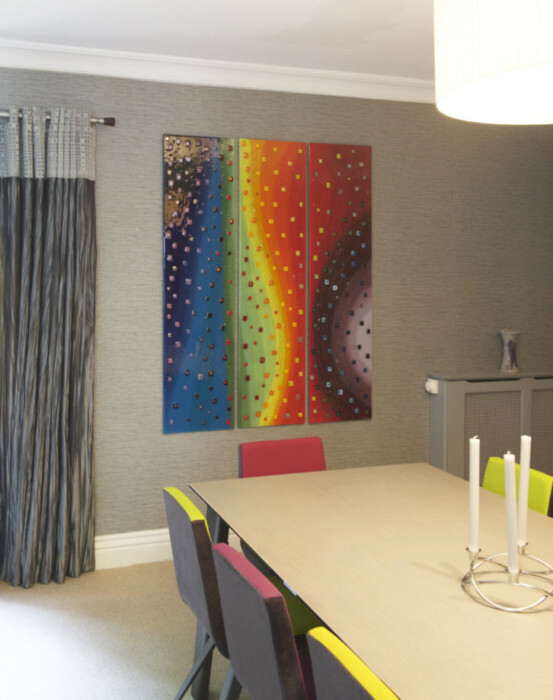 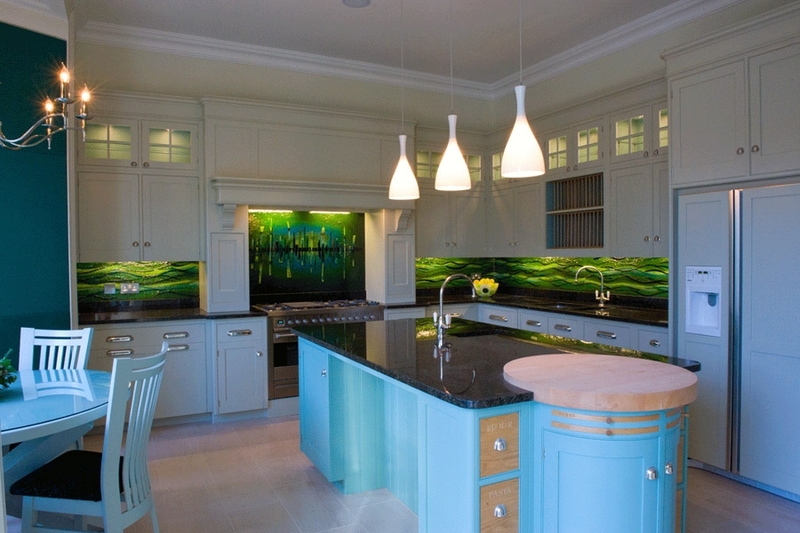 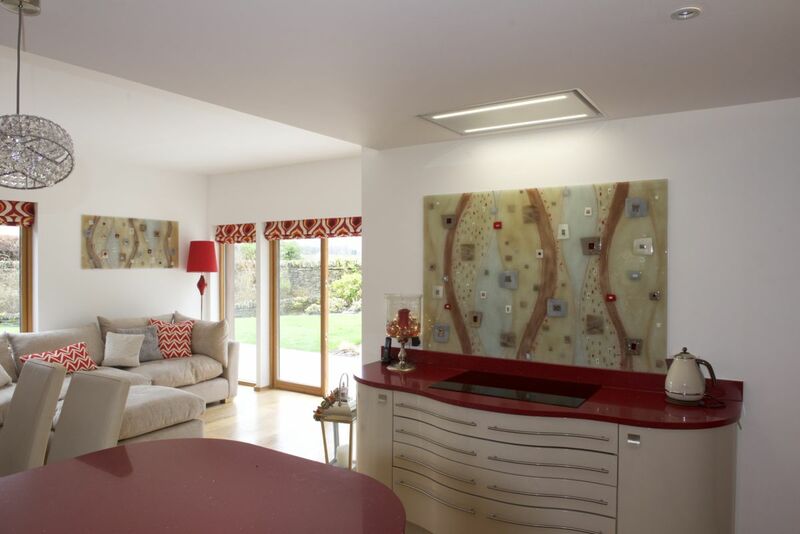 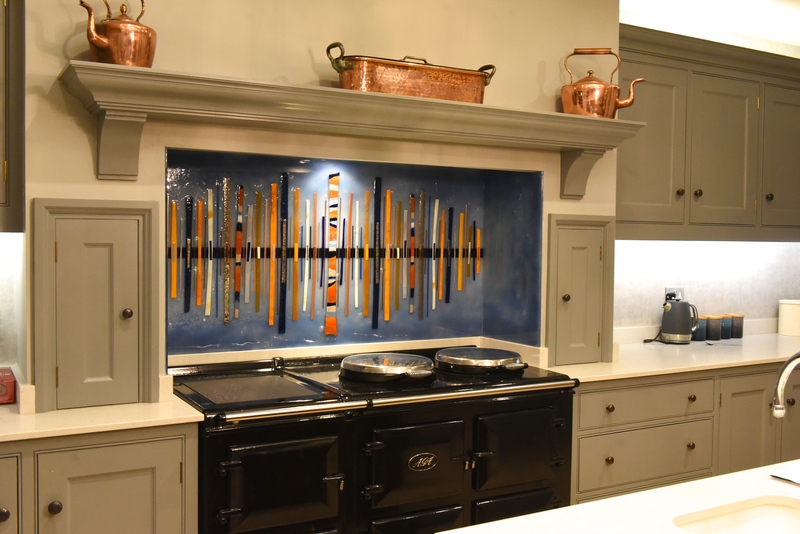 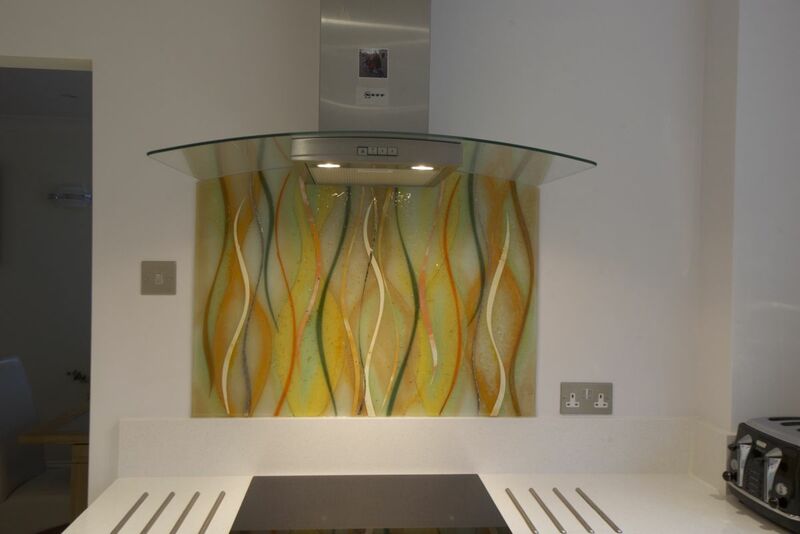 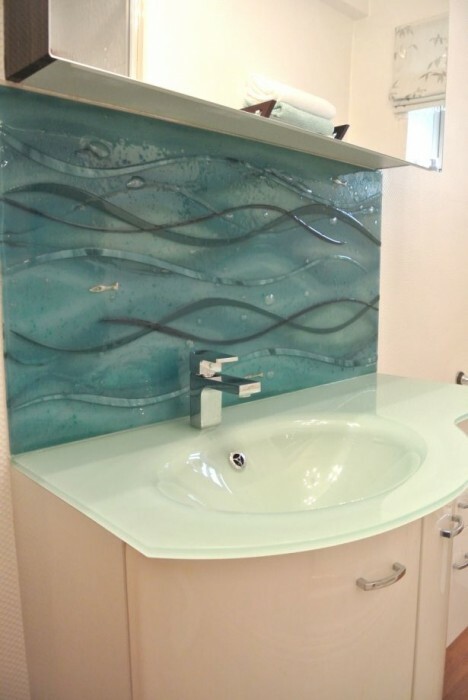 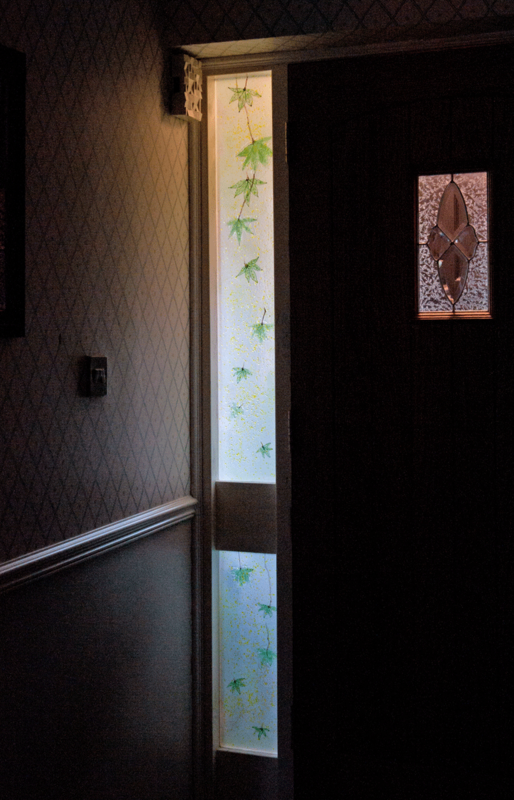 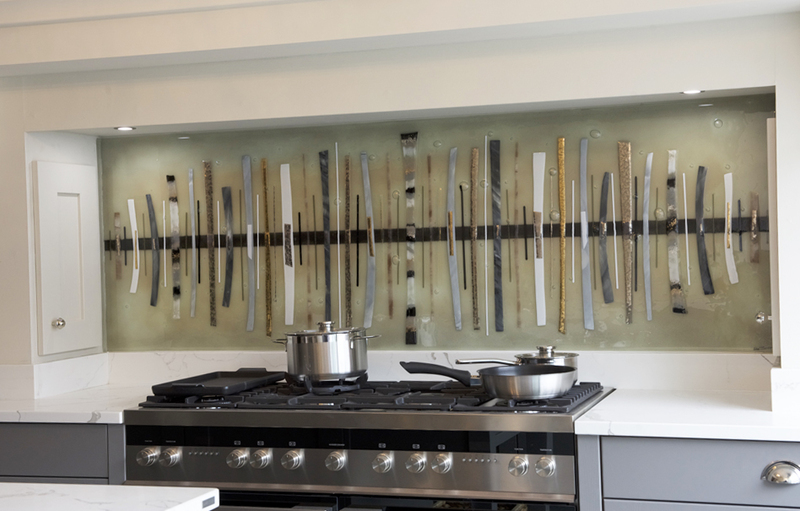 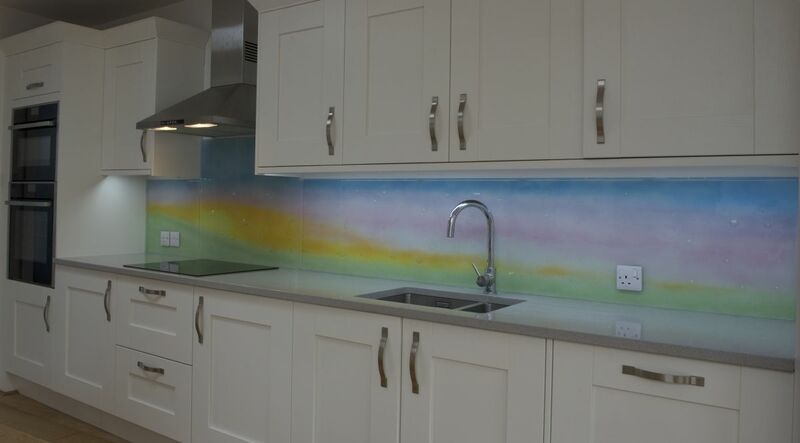 This was one of our most original glass splashbacks at the time of creation, put together in a completely bespoke style that you won’t find in any other home even now. 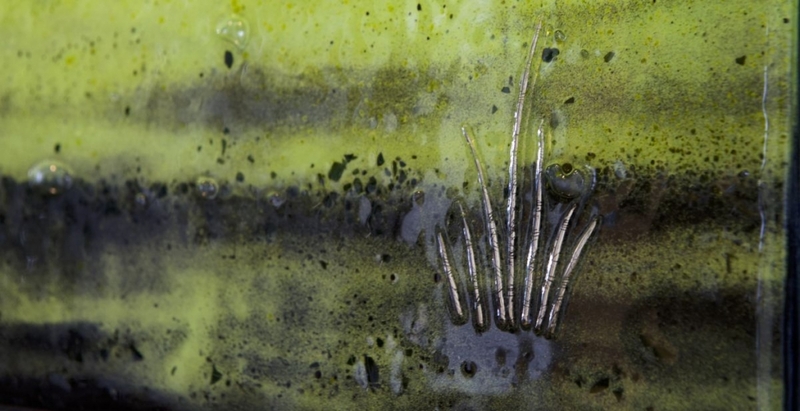 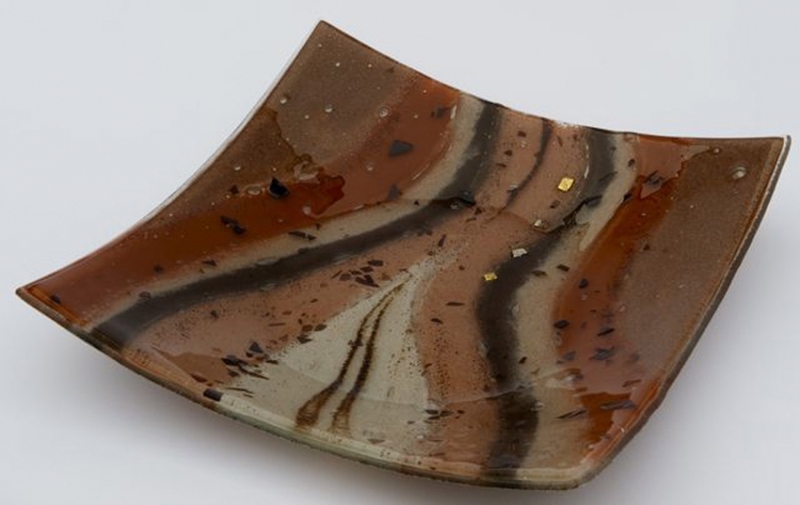 The detail on the piece features beautiful streaks of hand crafted silver metallics! 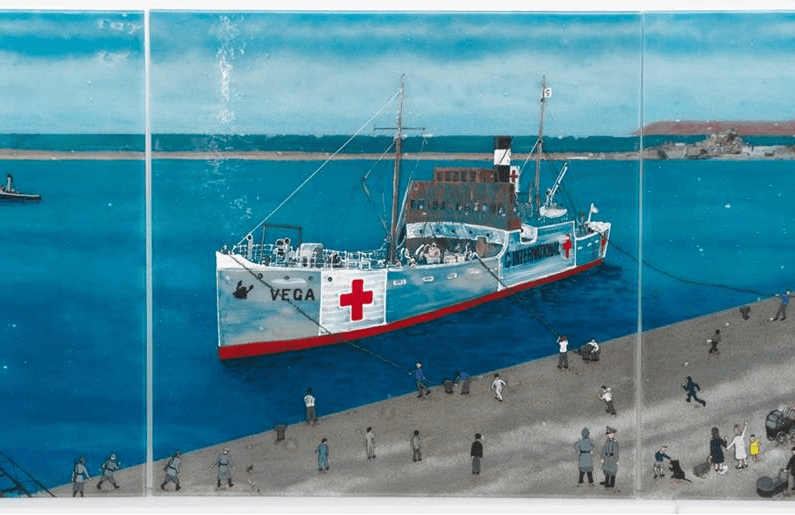 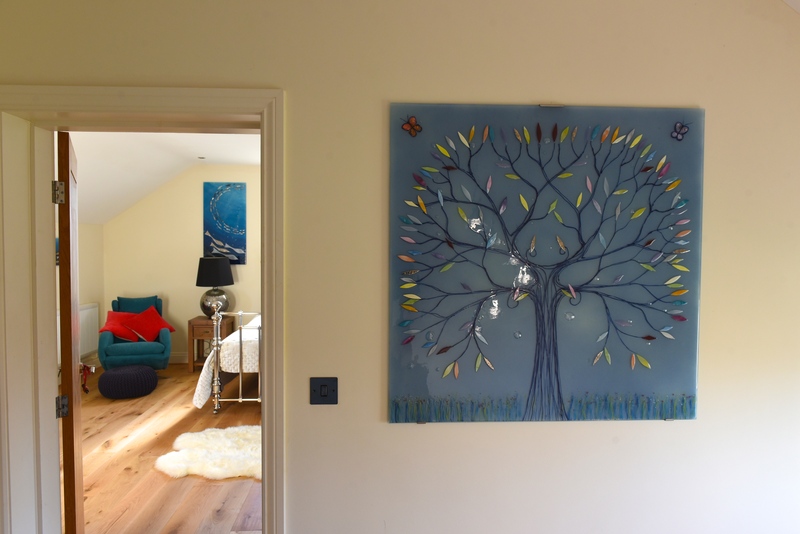 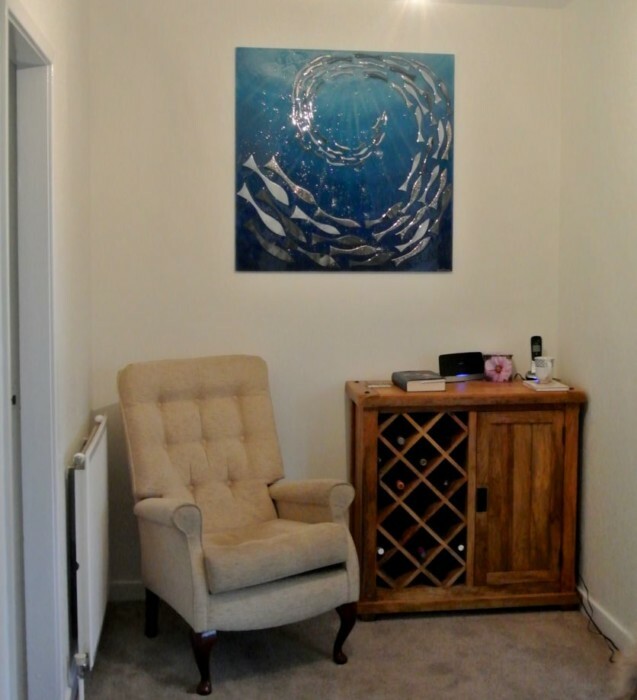 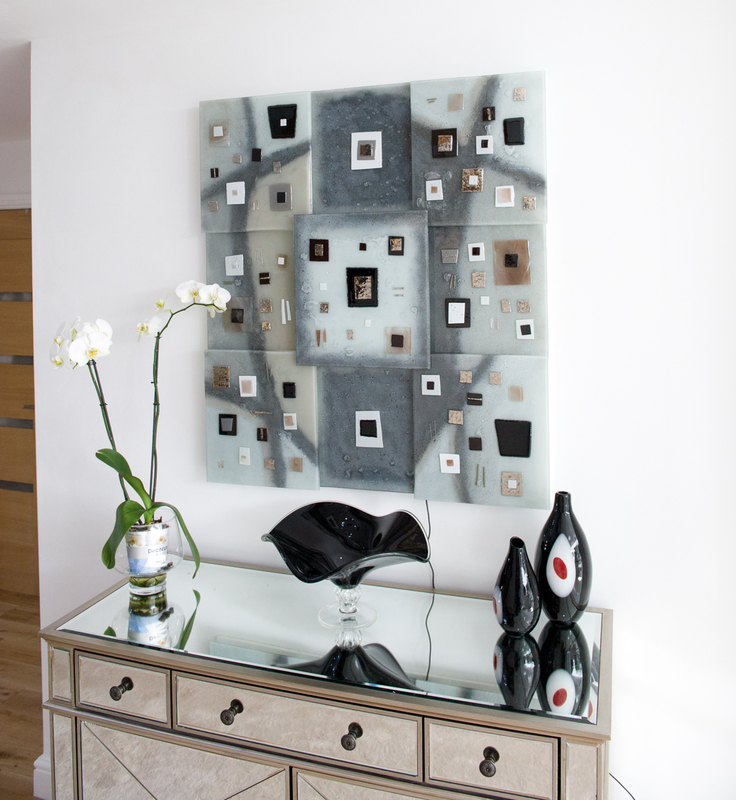 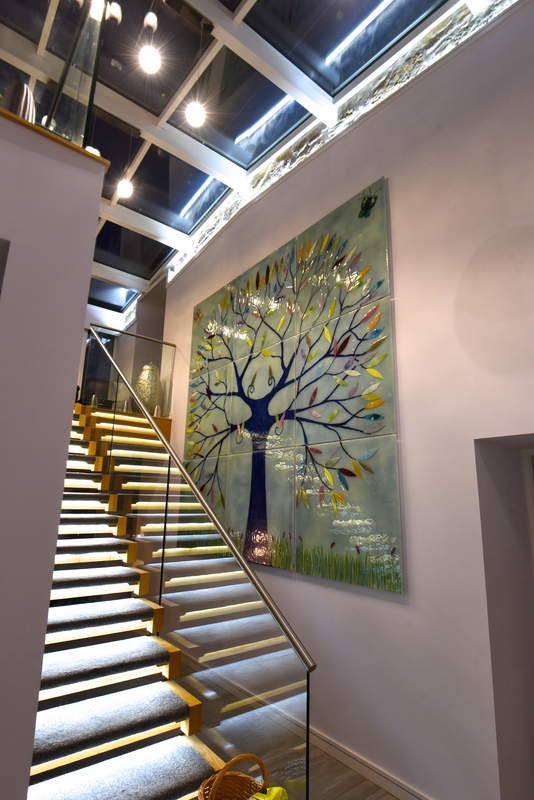 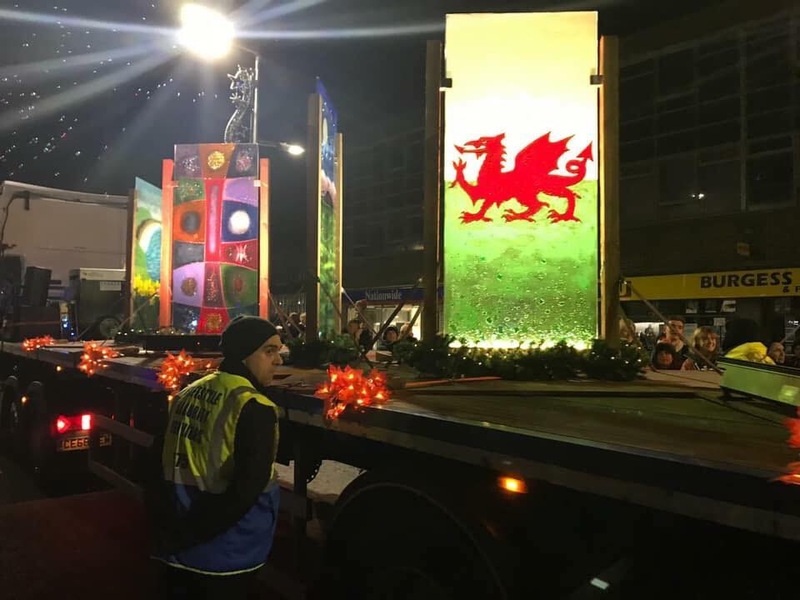 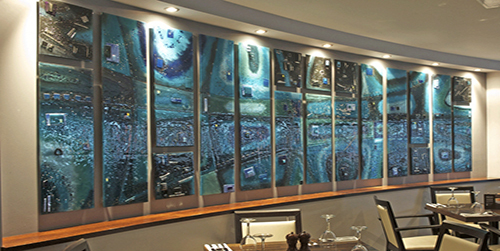 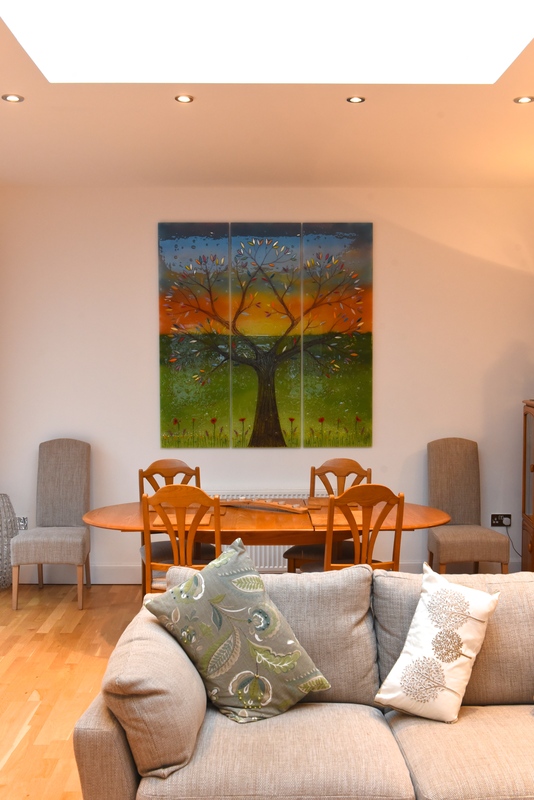 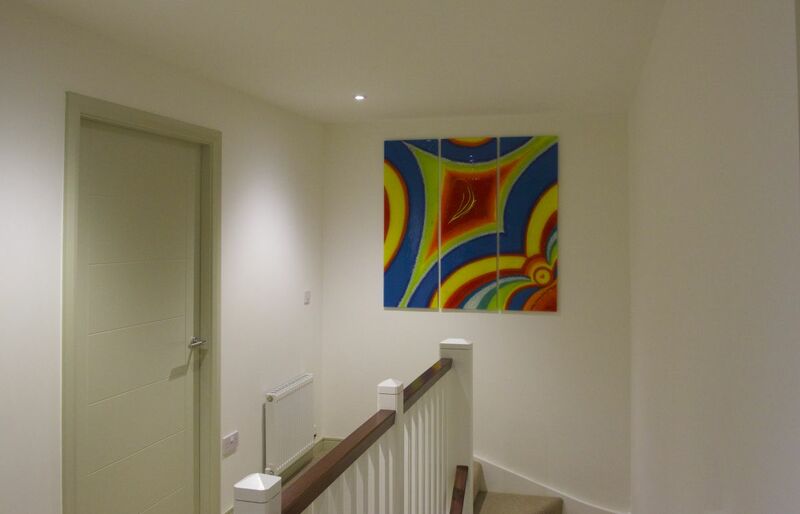 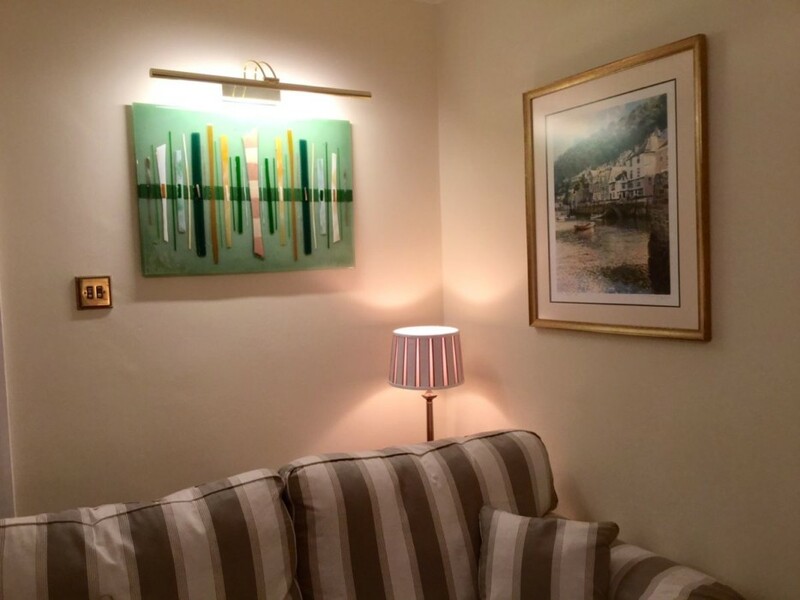 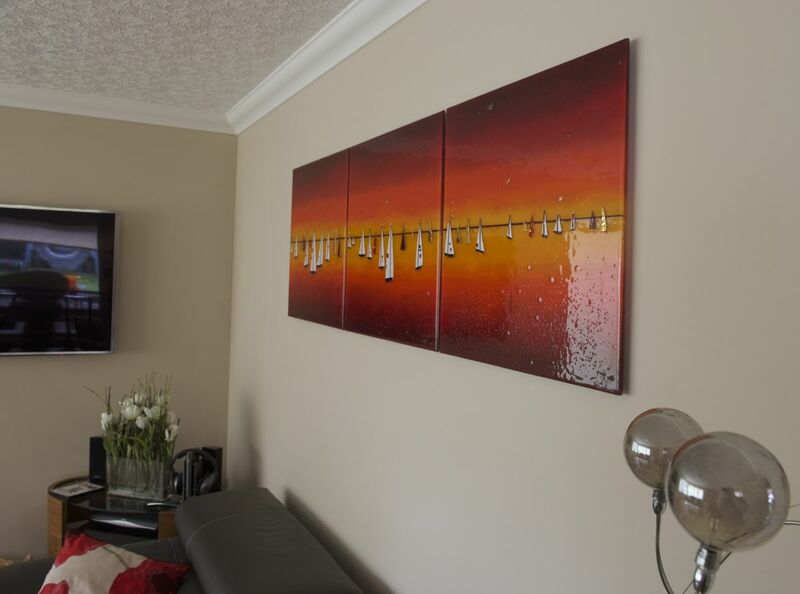 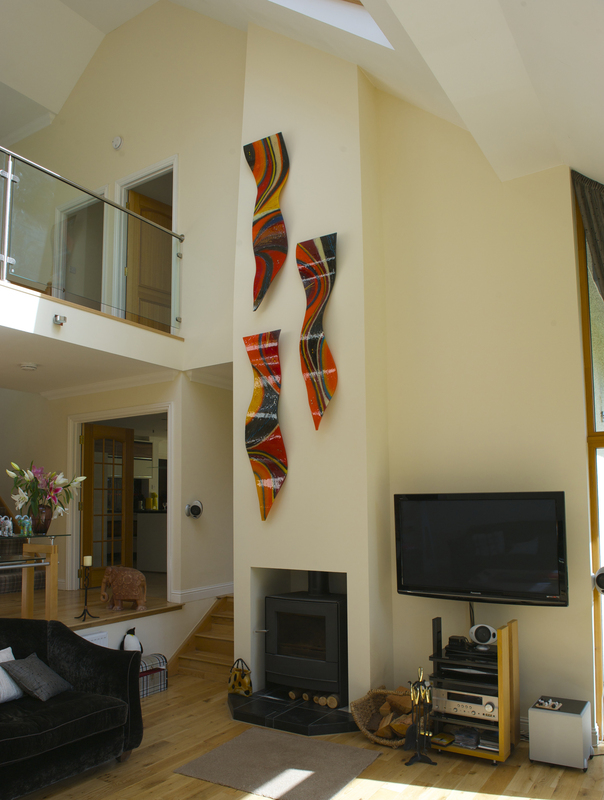 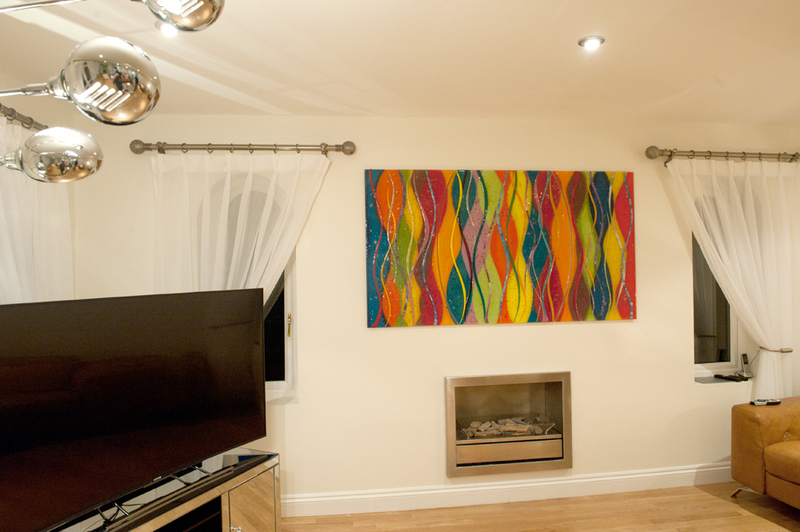 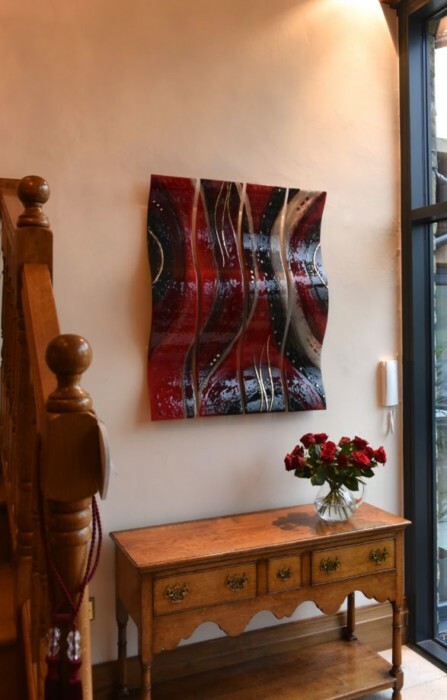 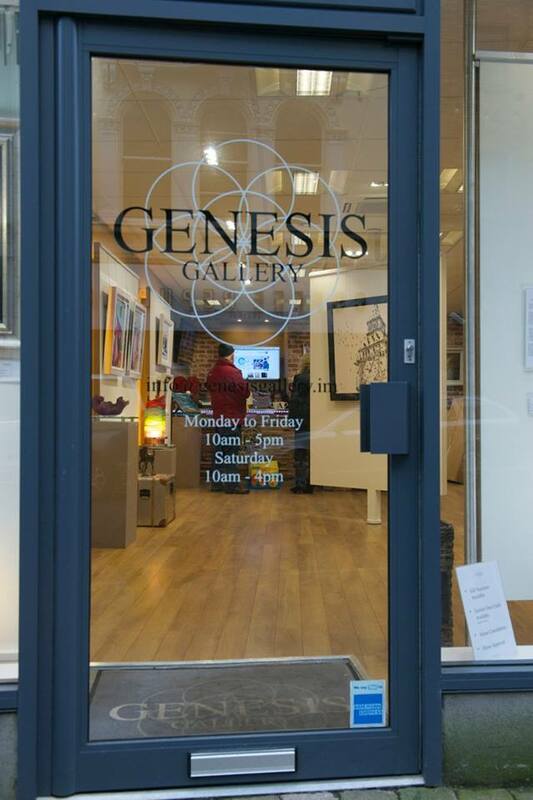 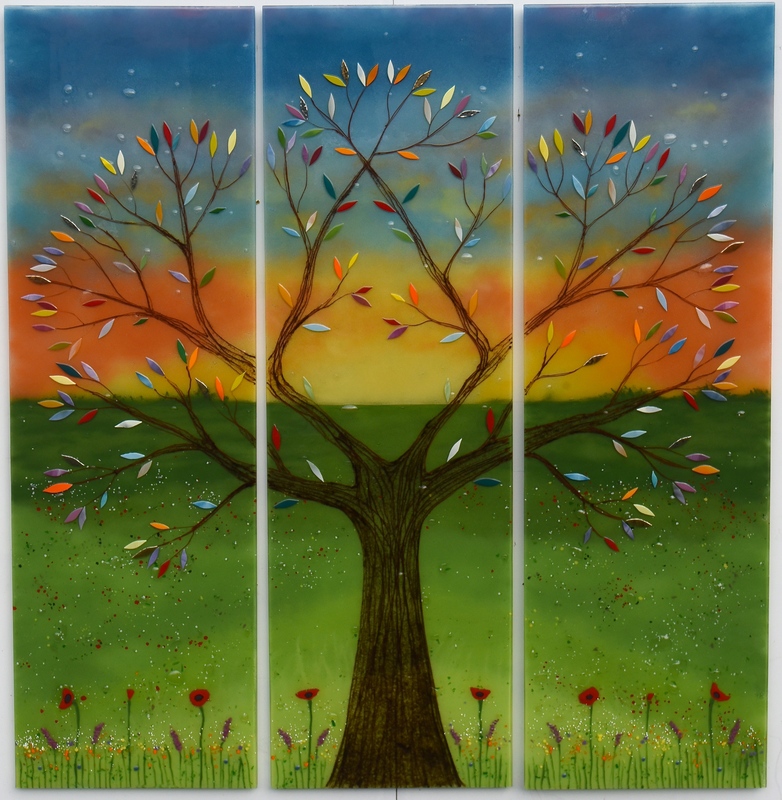 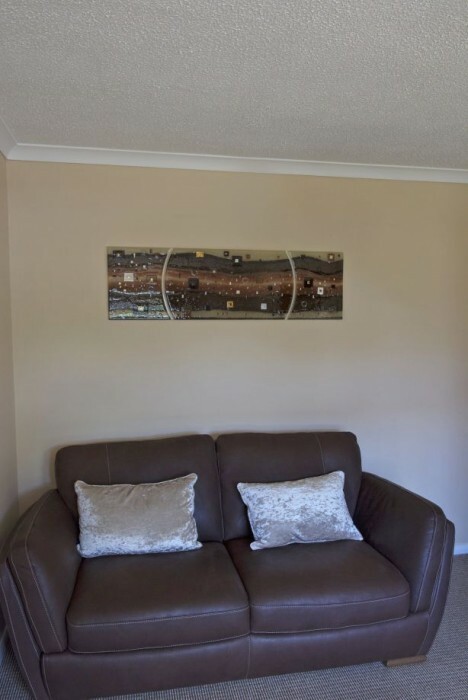 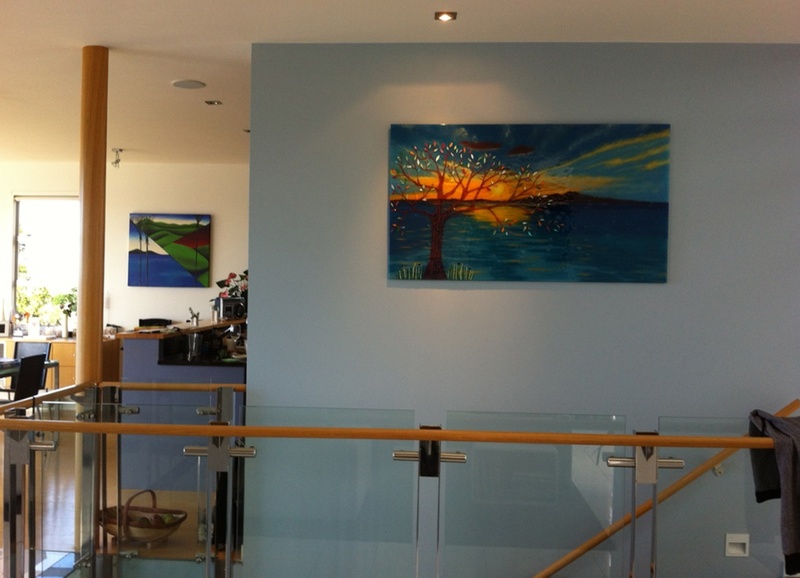 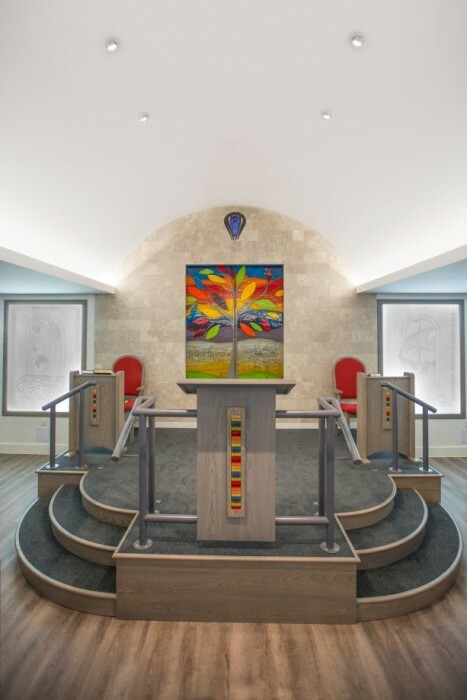 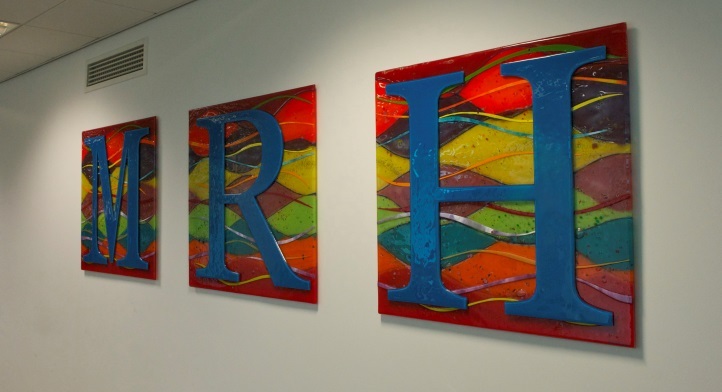 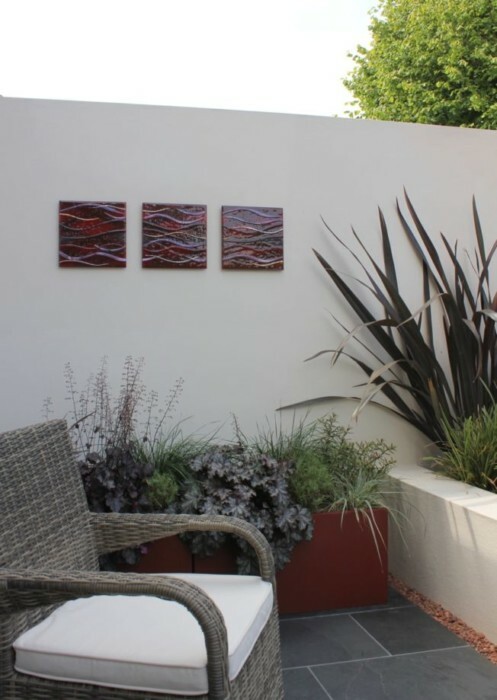 The client behind the piece, now located in Northampton, had already bought a panel from us before when they came to get their hands on a new one. 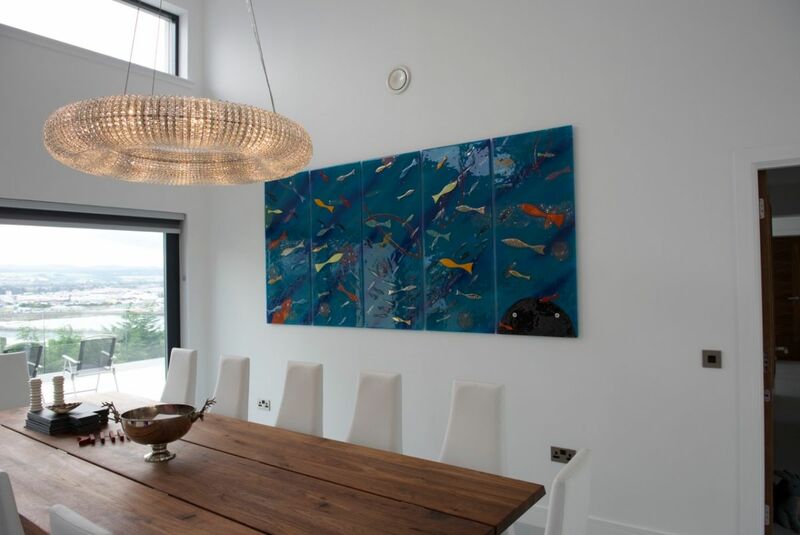 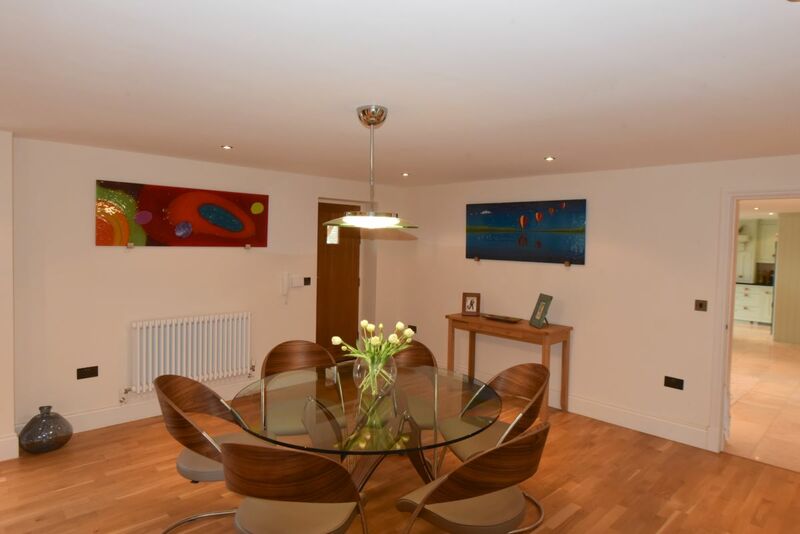 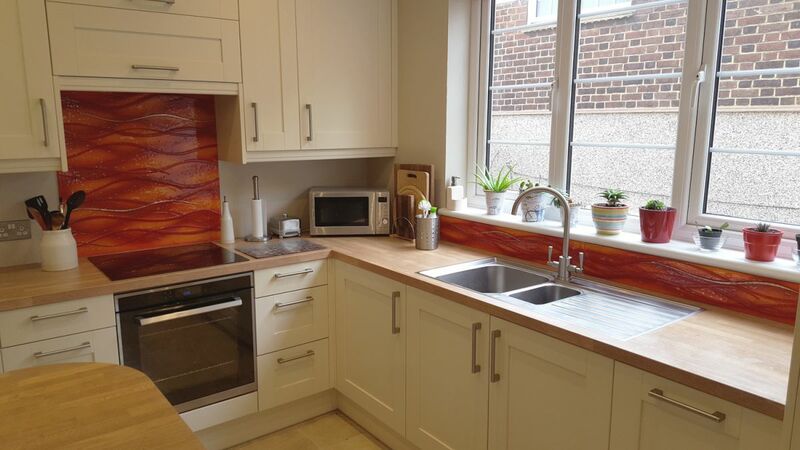 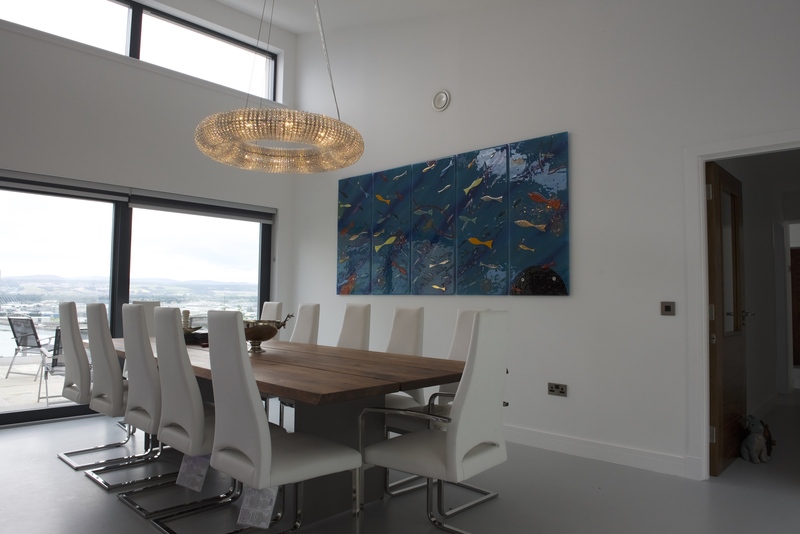 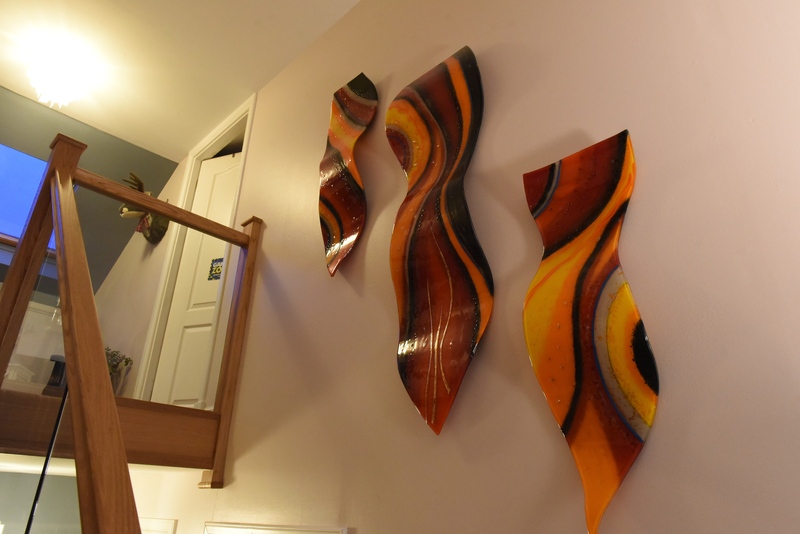 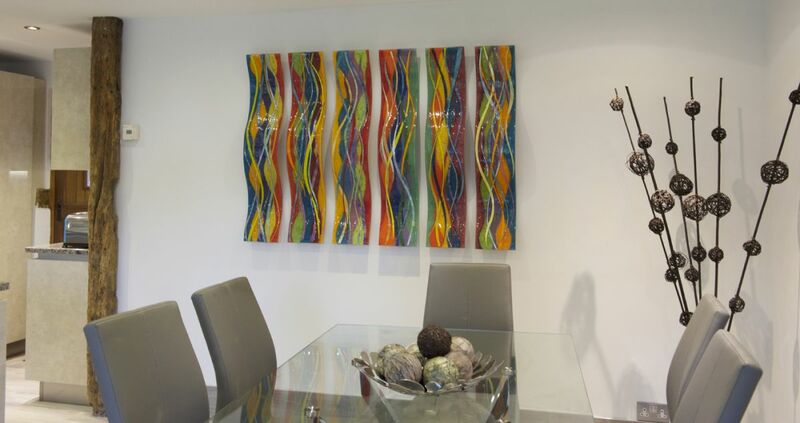 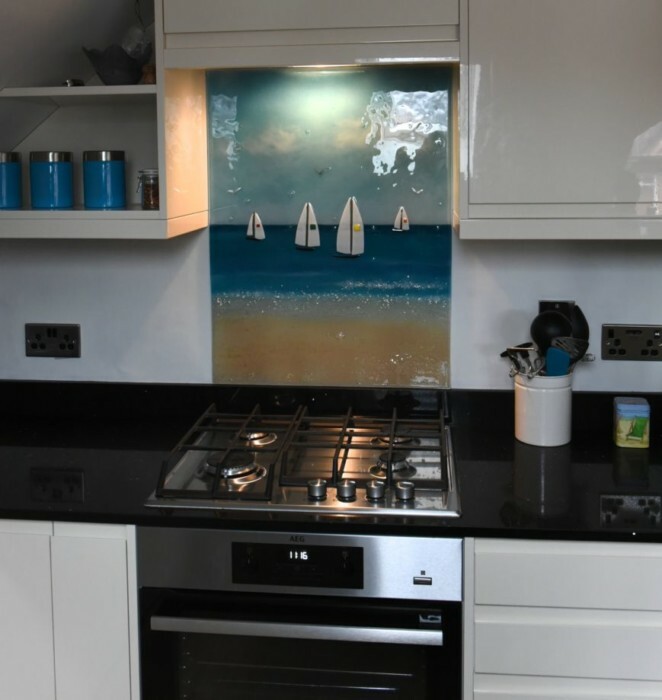 Three years prior to the purchase of the piece you see pictured above, she had bought a splashback and two sculptured waves for her kitchen. 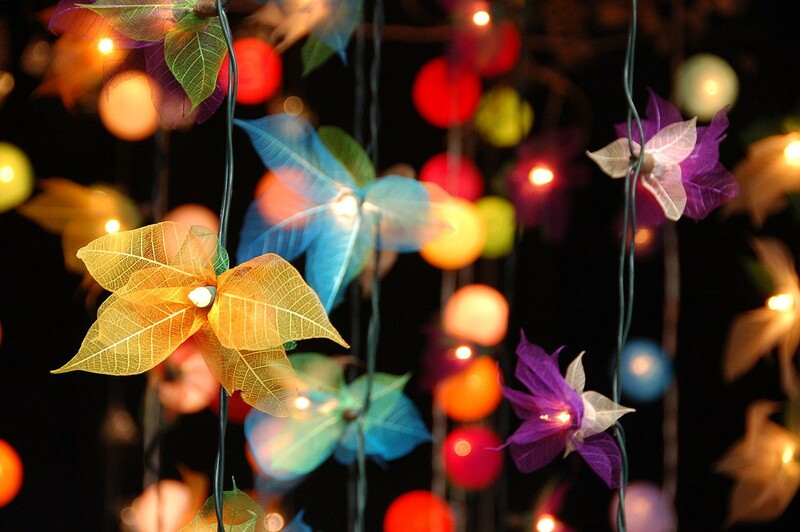 This time, she was looking to buy something for her parents! 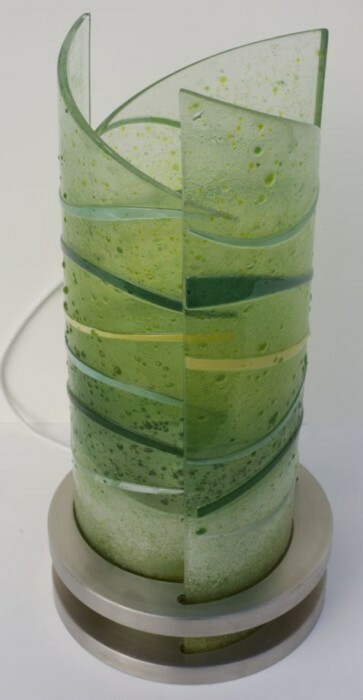 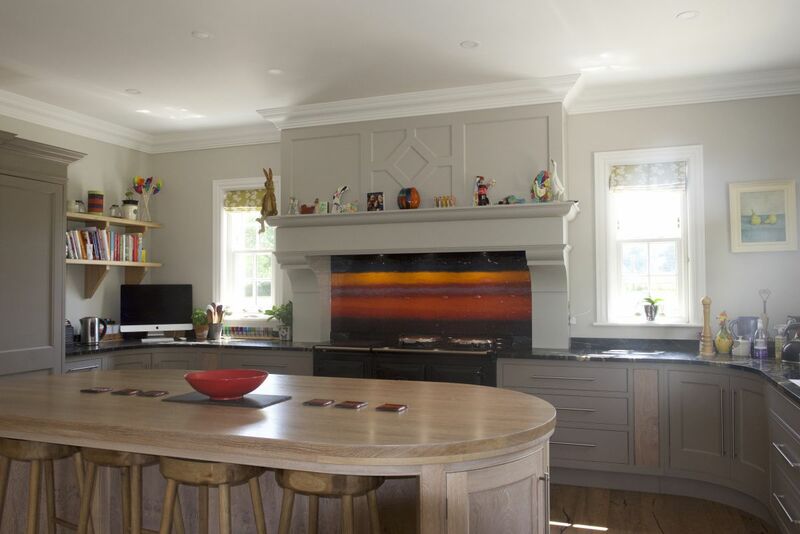 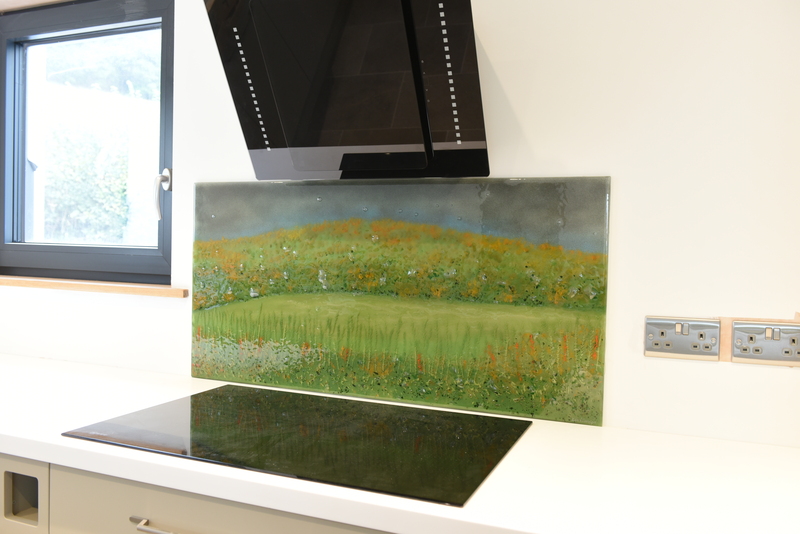 The design of the piece uses mainly green hues and features a gorgeous emerald landscape which runs across the entire countertop, framing the stove which is set in the middle. 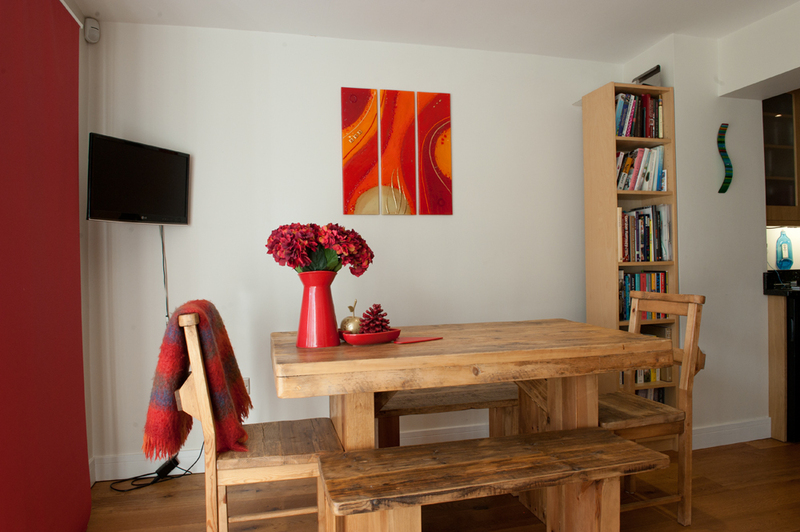 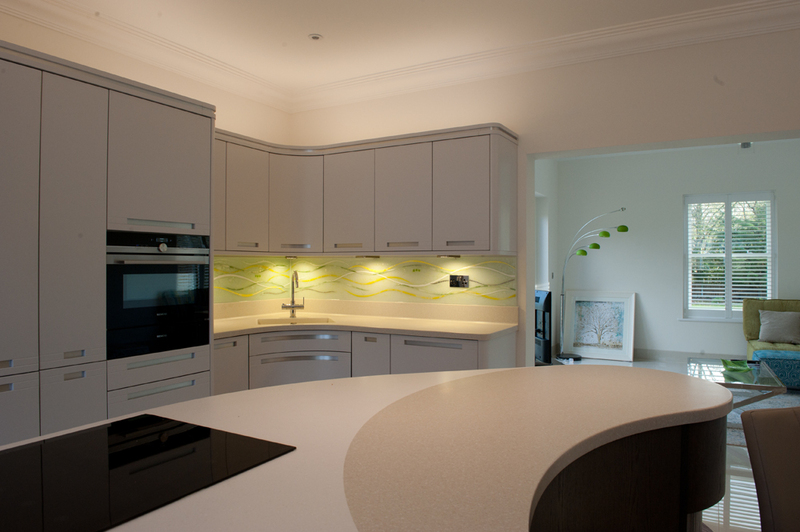 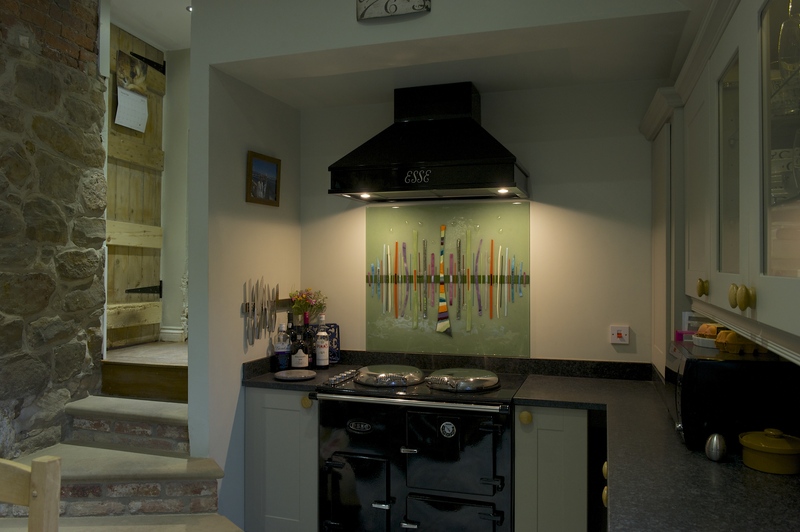 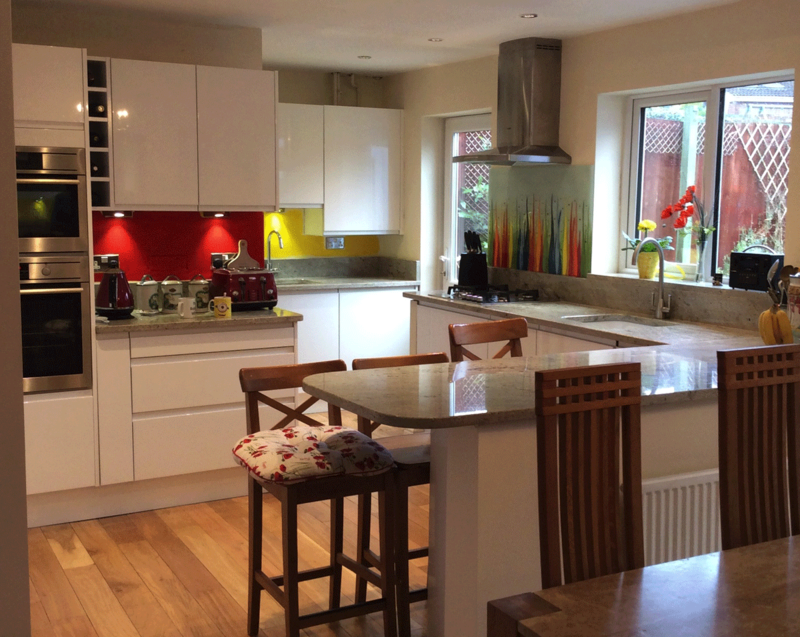 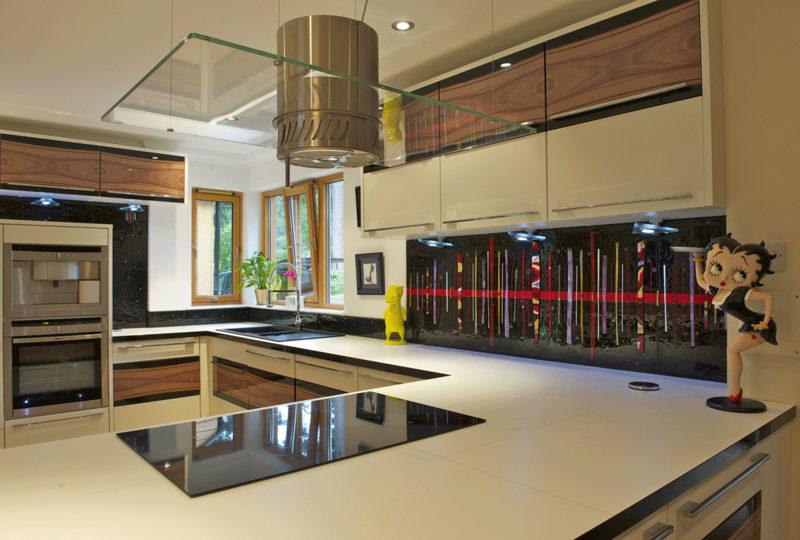 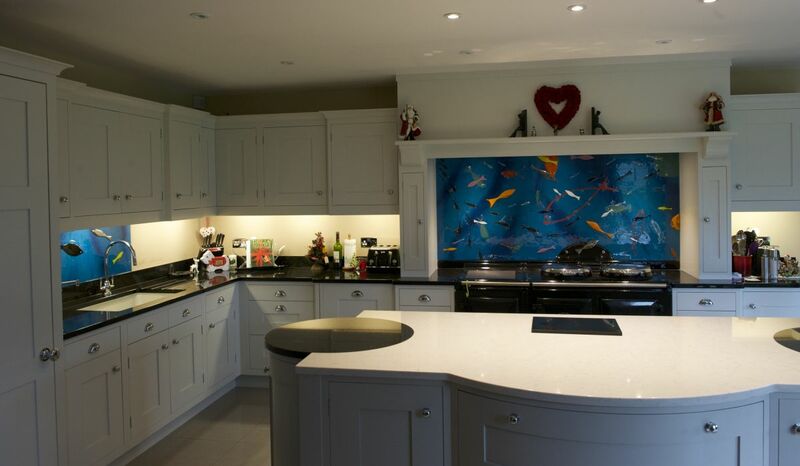 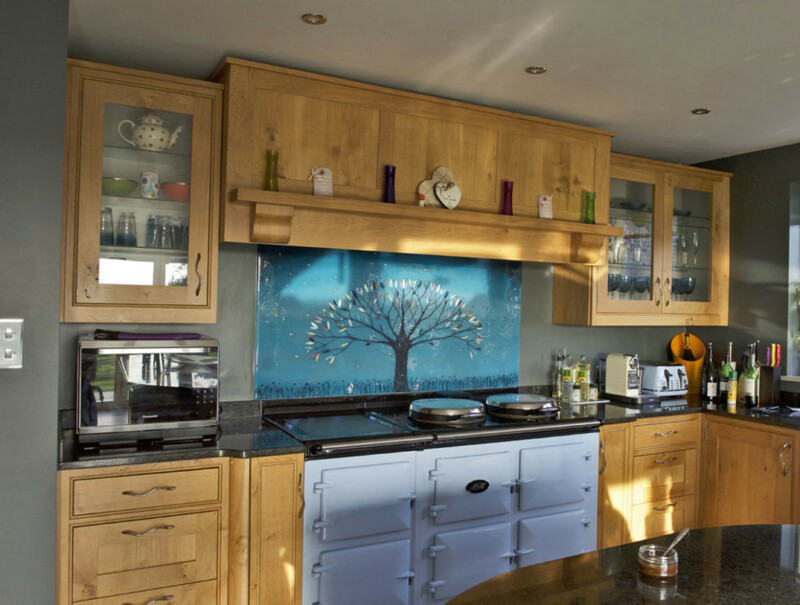 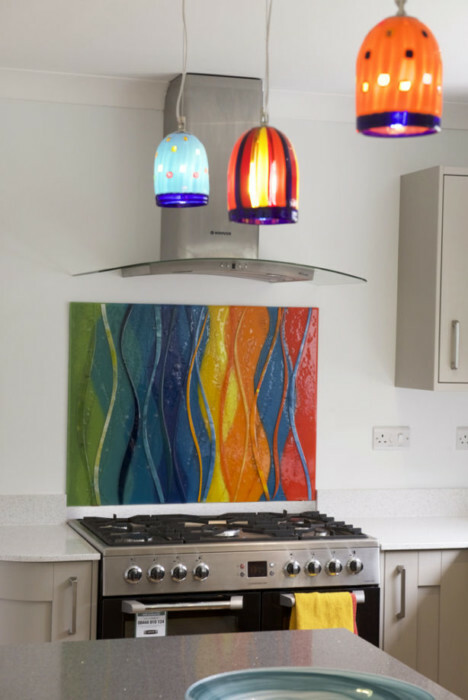 It injects a huge amount of colour and excitement into the kitchen, no matter what time of day it might be. 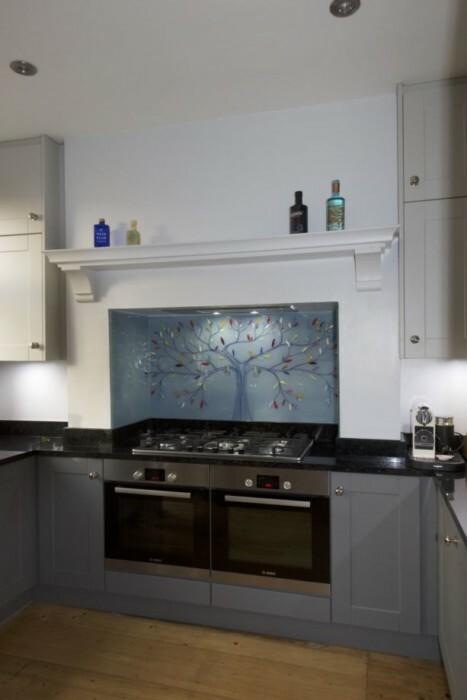 We think that the layout makes for a stunning sight, and the splashback cements the kitchen as the indisputable centre of the home. 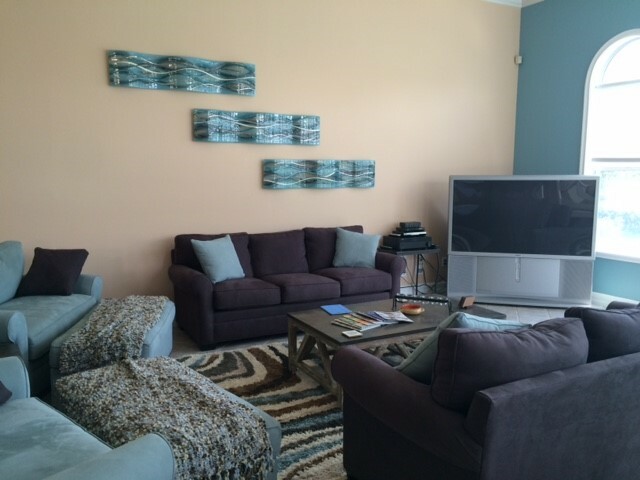 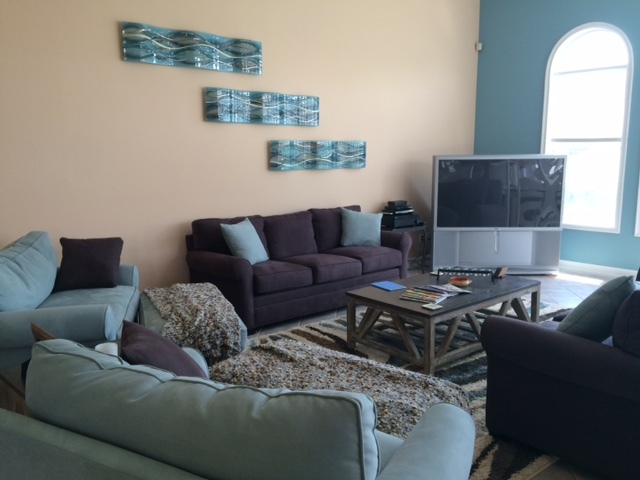 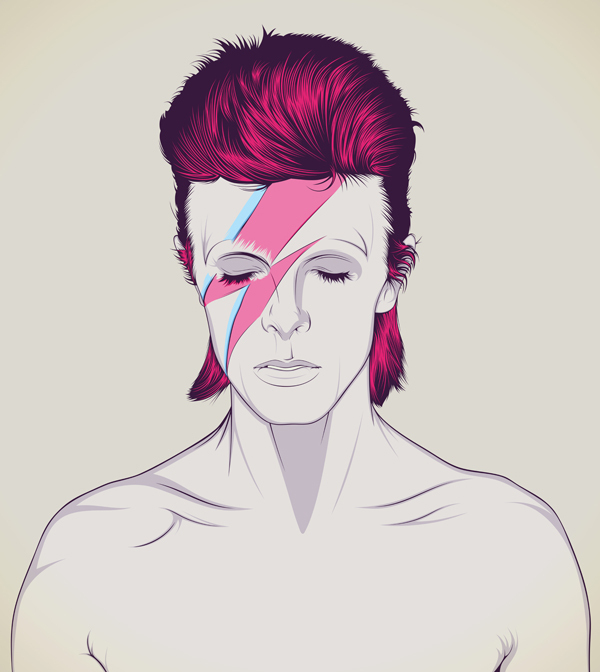 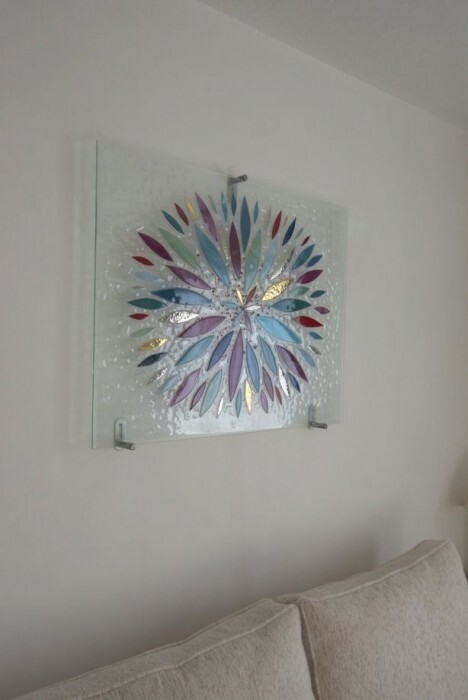 We absolutely love the way that this piece turned out. 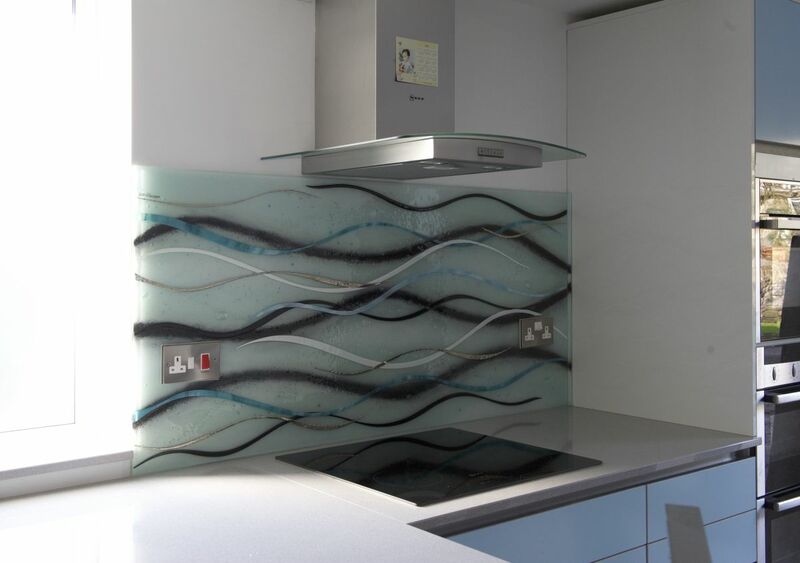 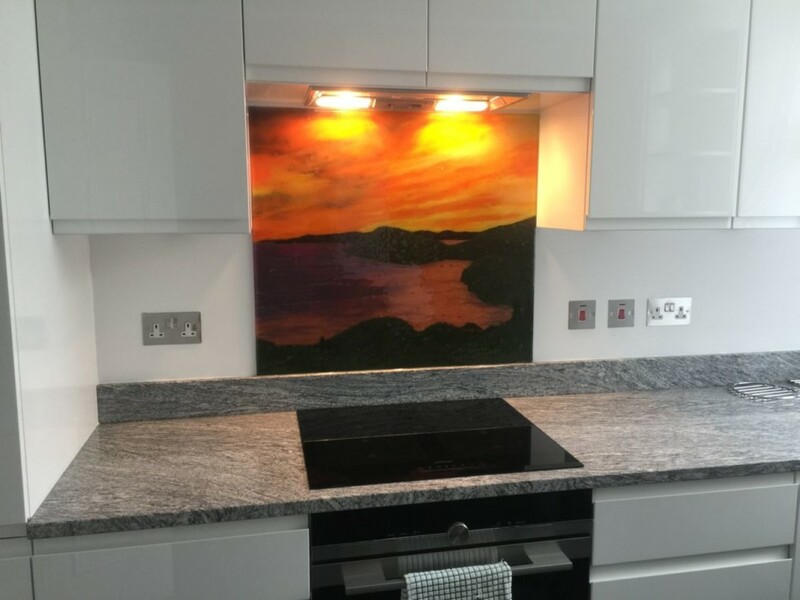 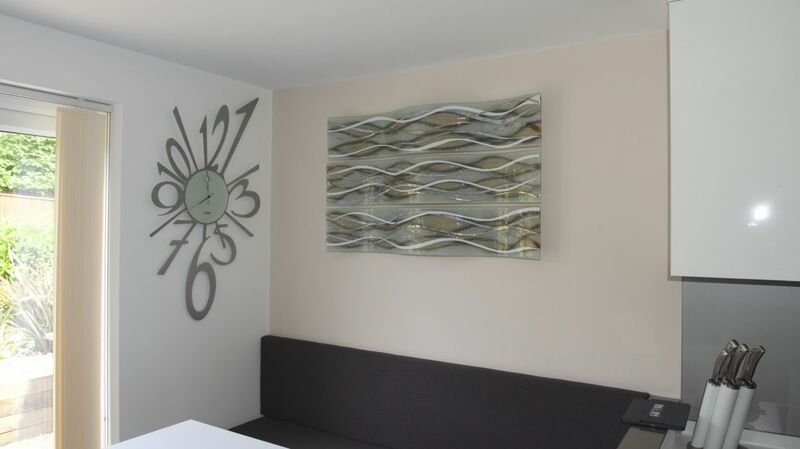 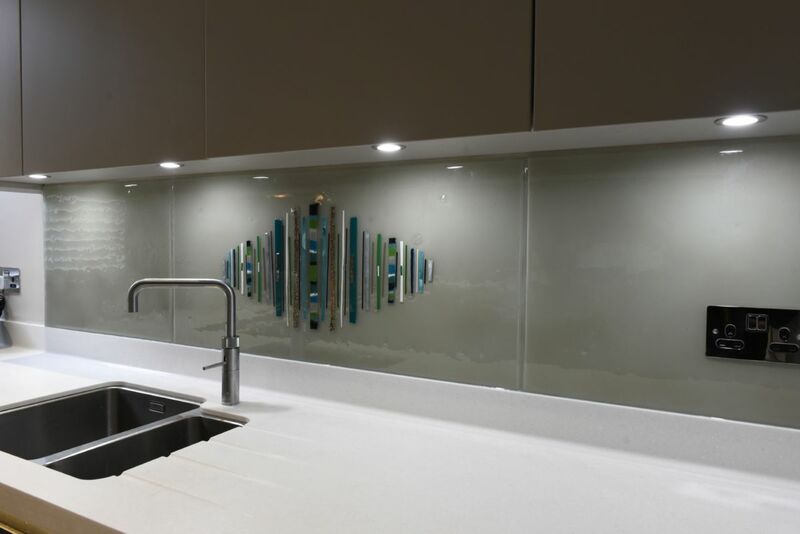 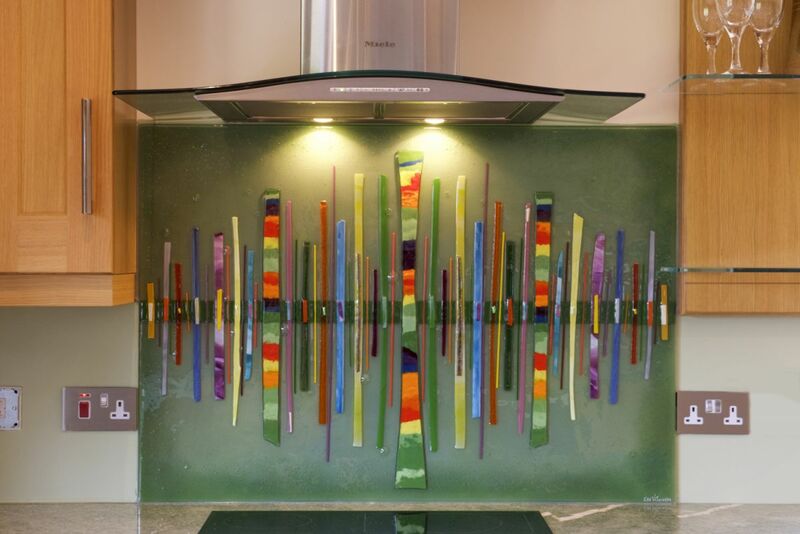 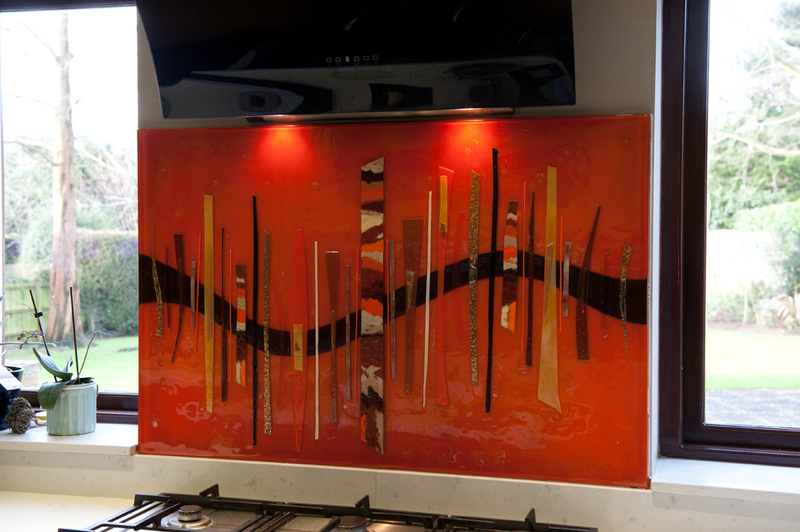 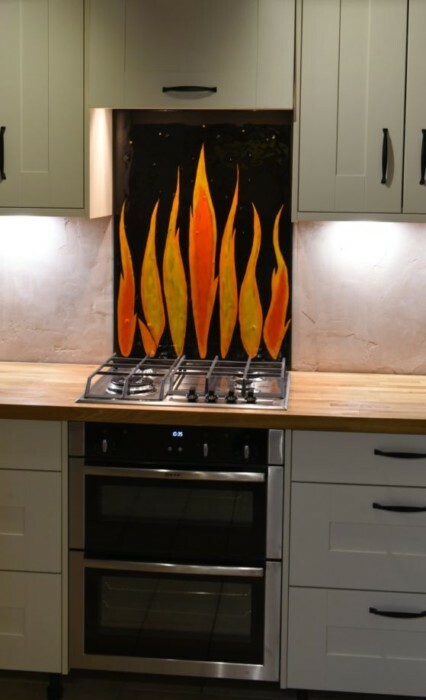 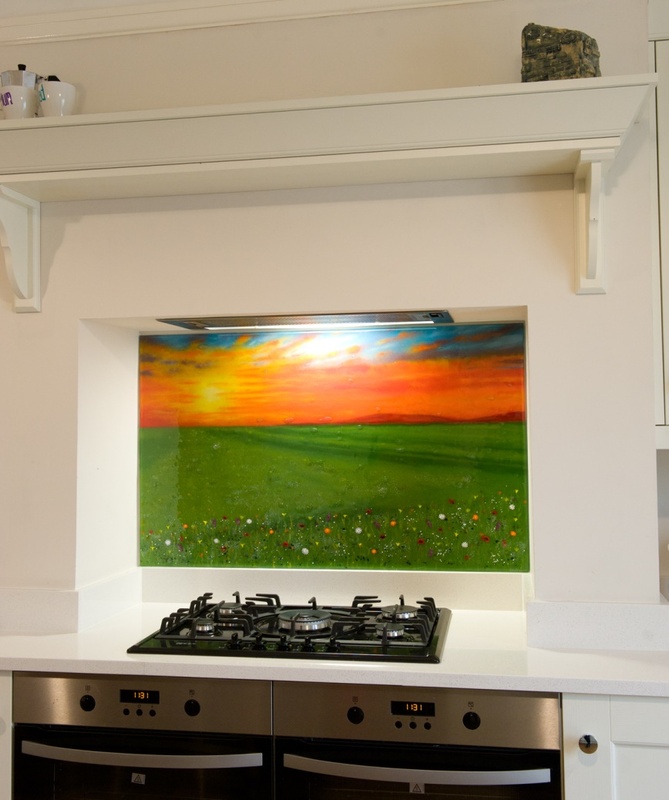 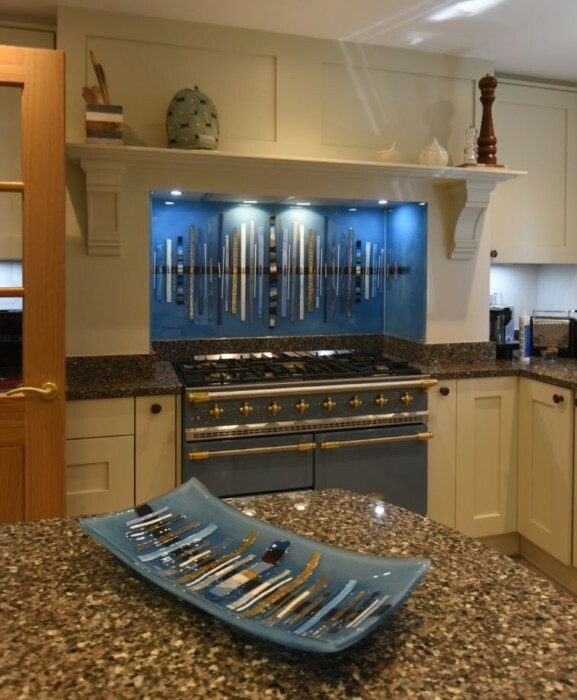 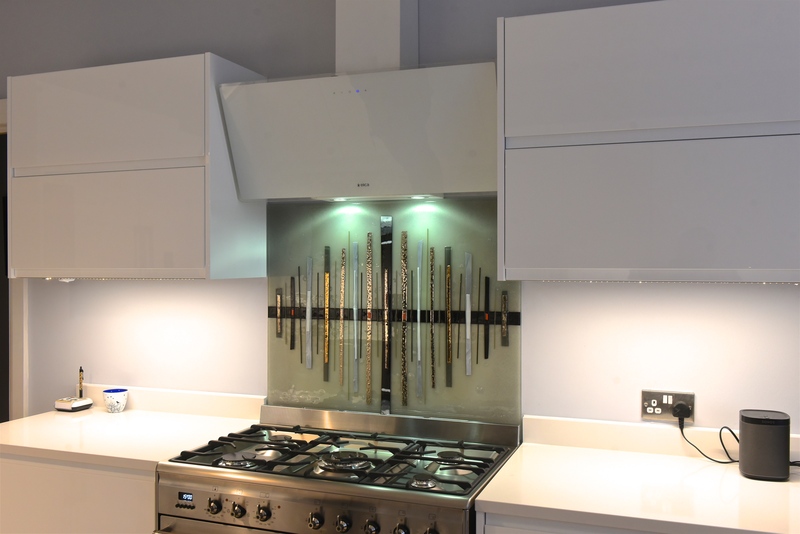 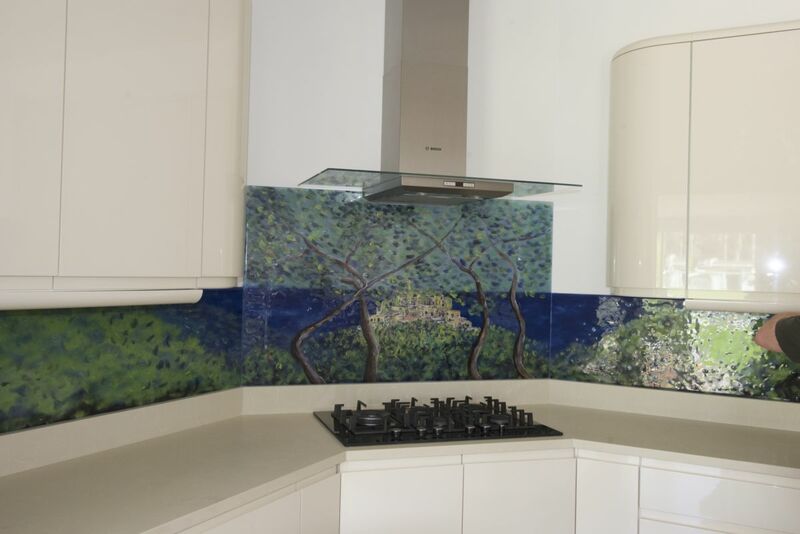 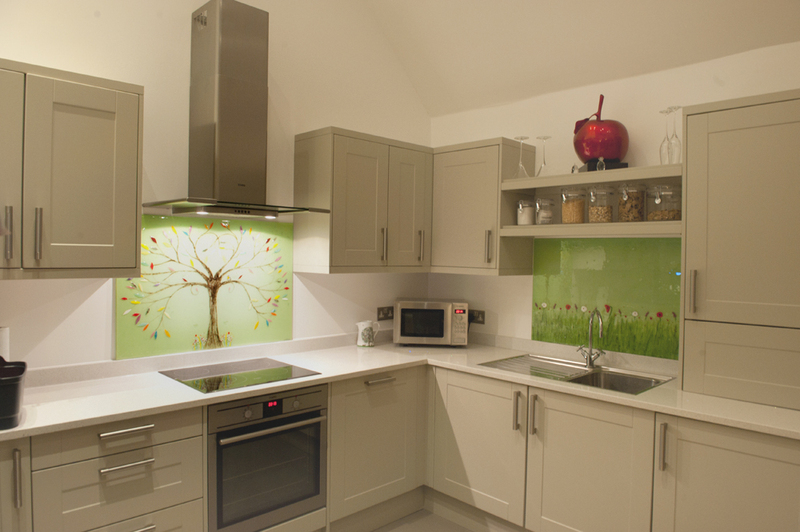 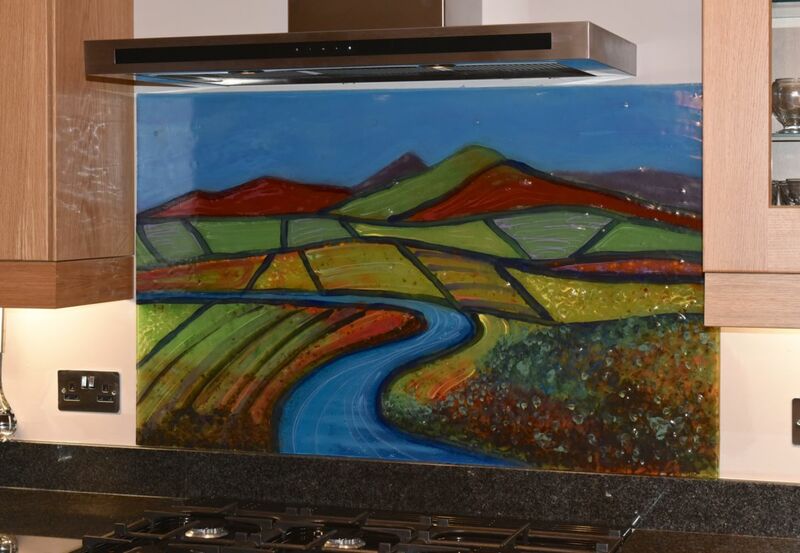 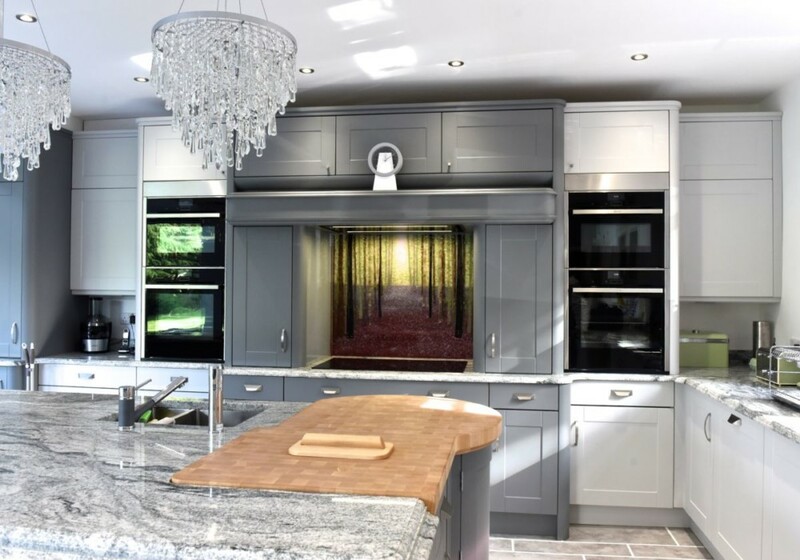 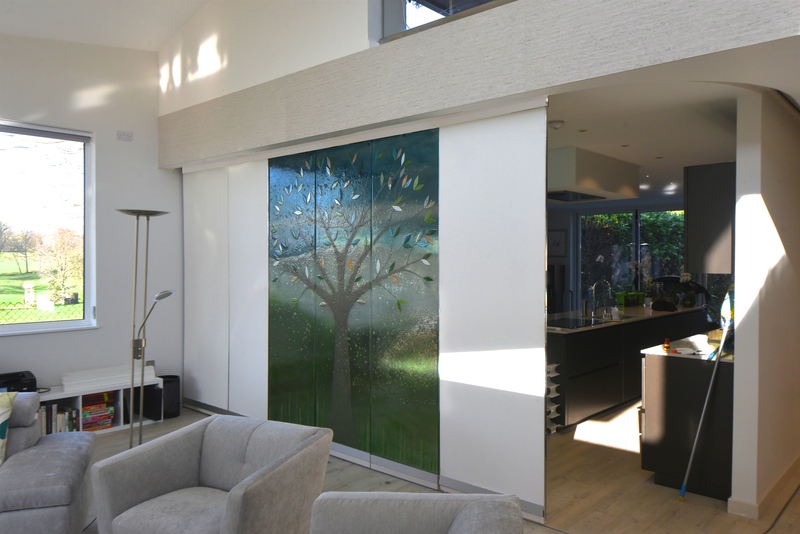 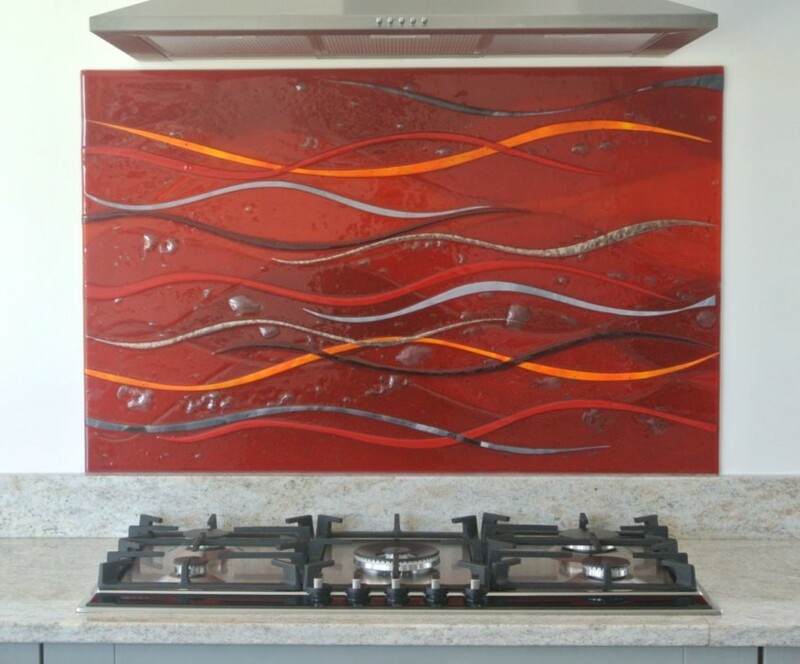 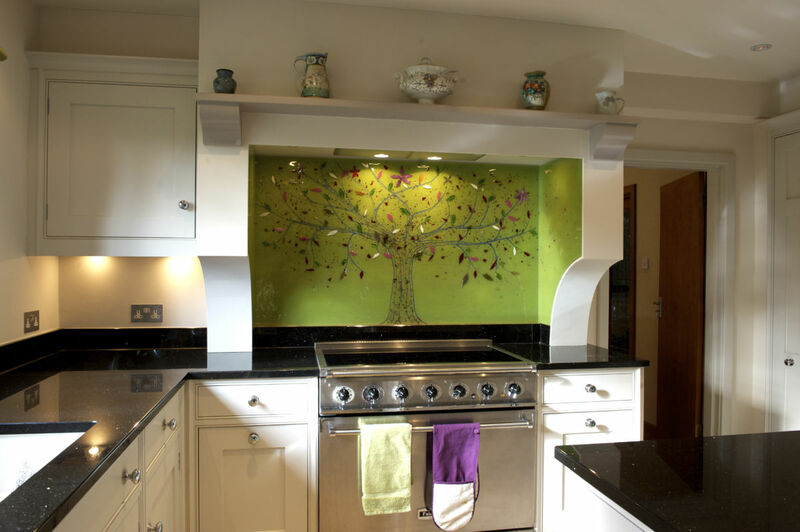 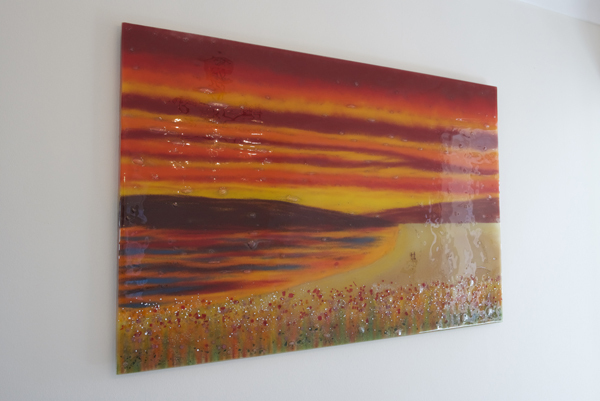 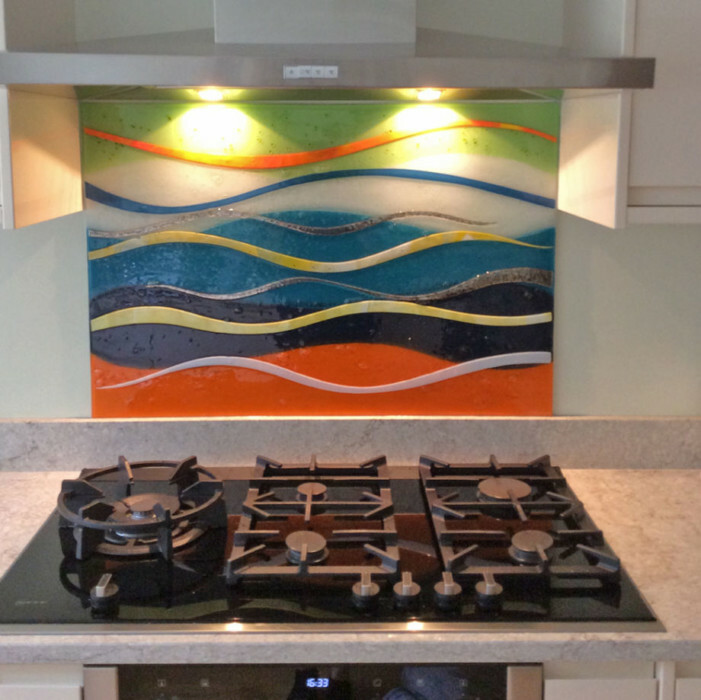 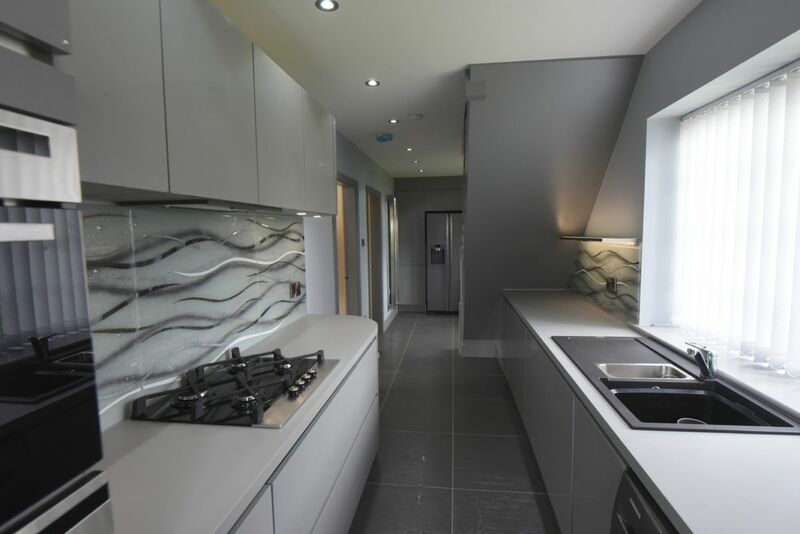 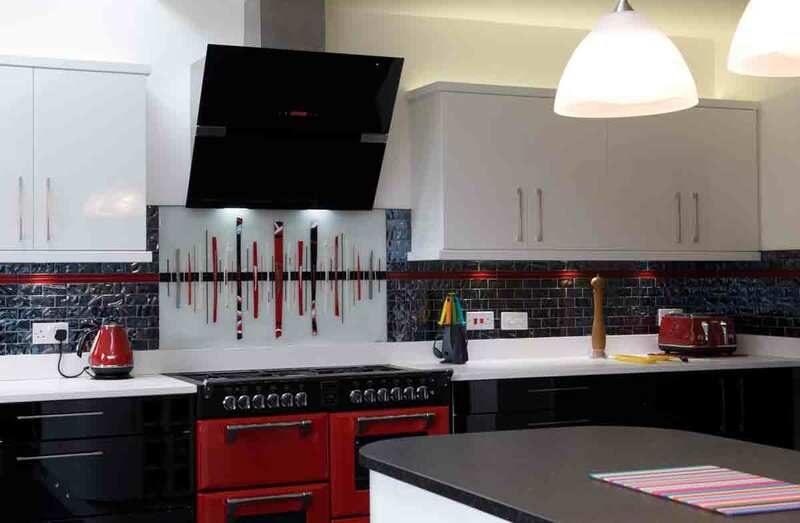 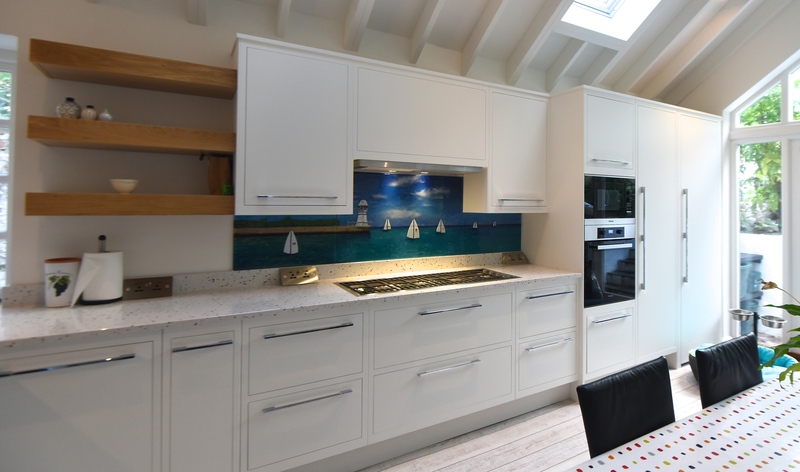 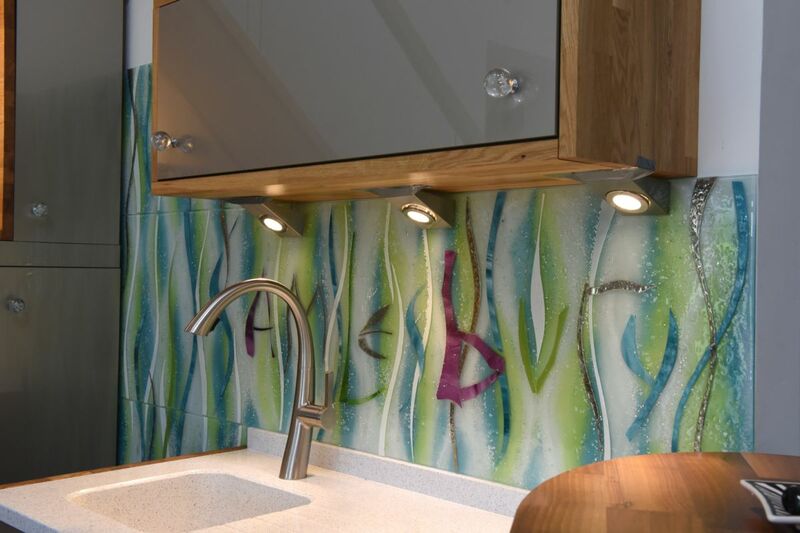 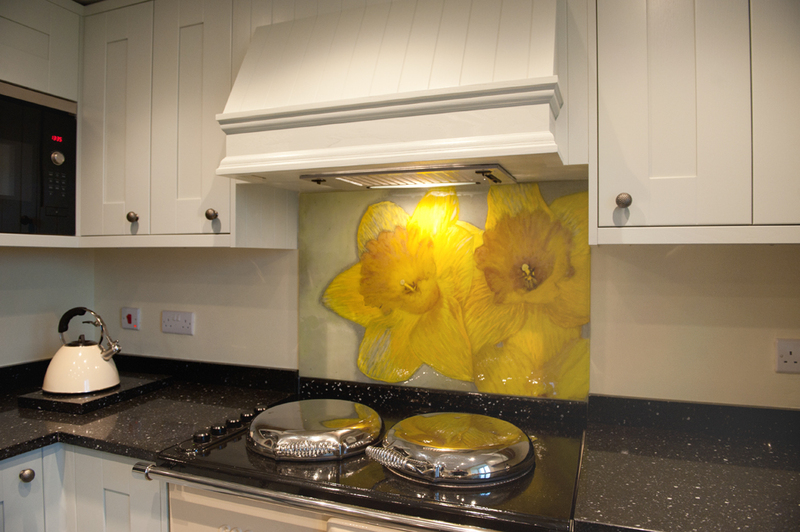 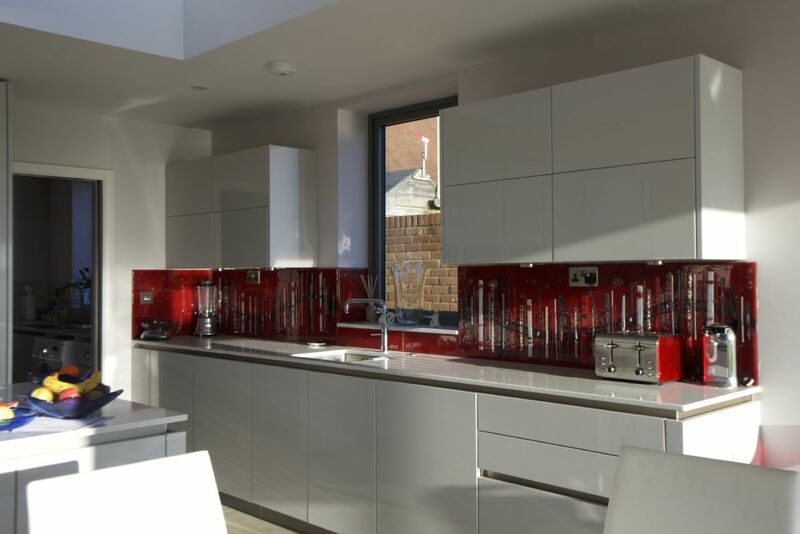 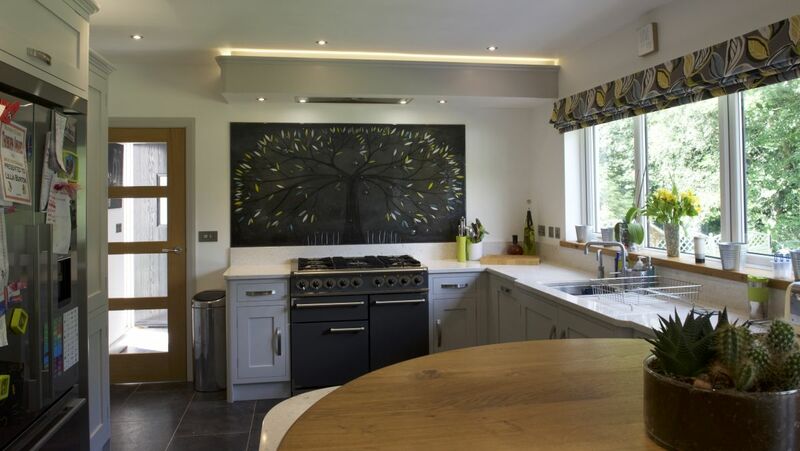 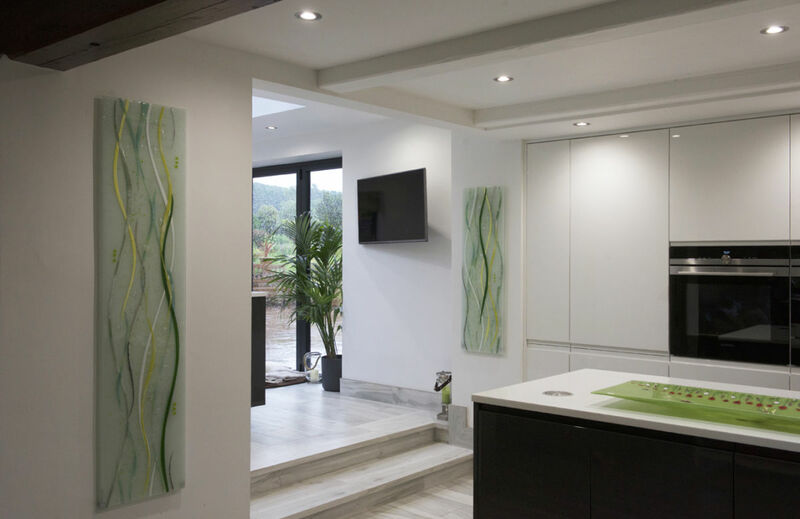 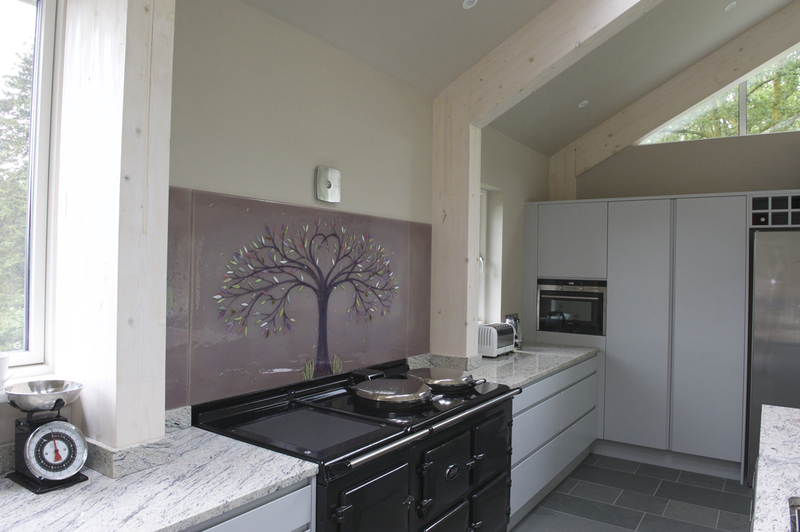 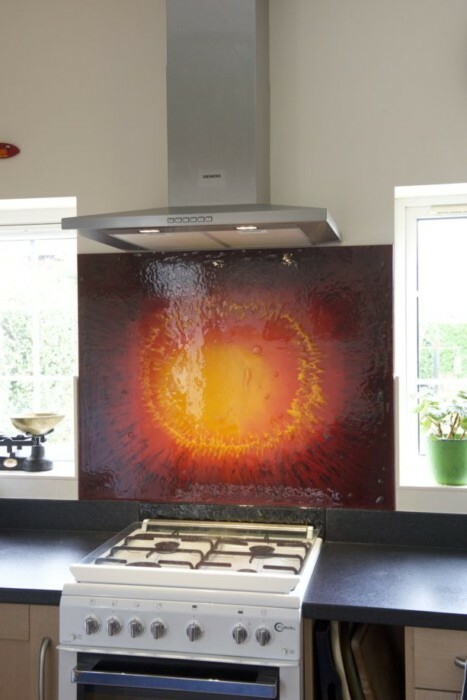 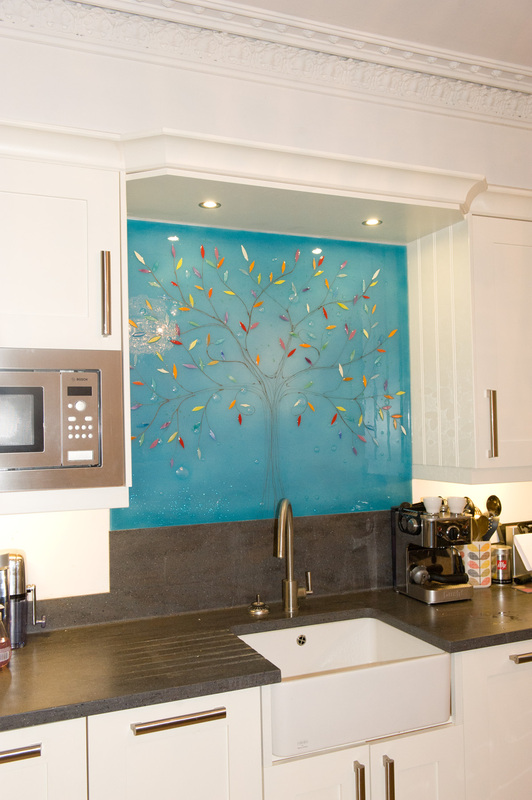 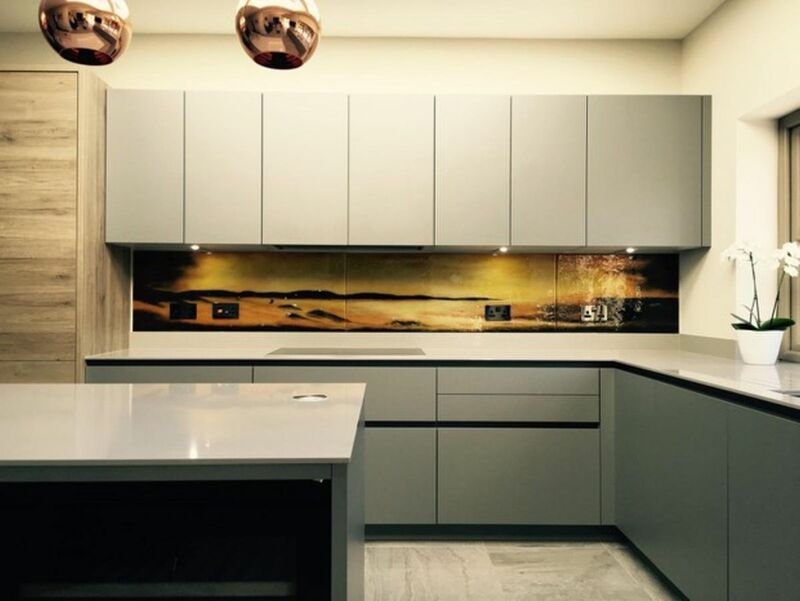 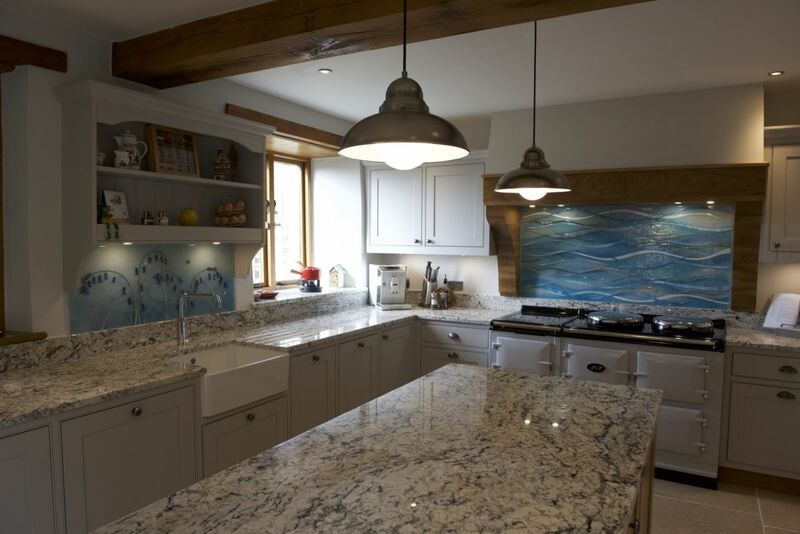 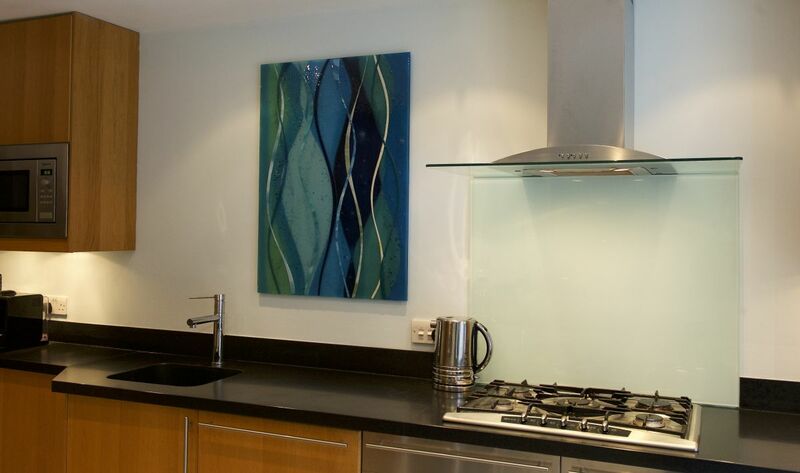 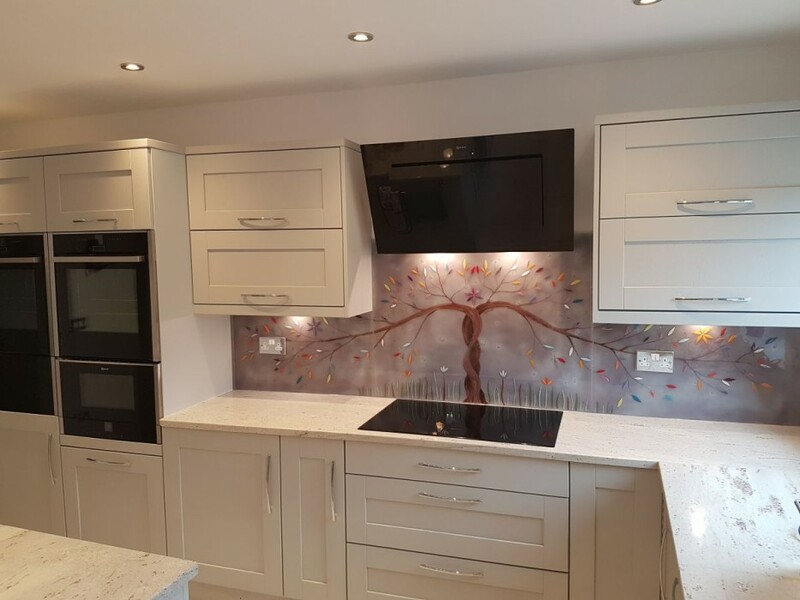 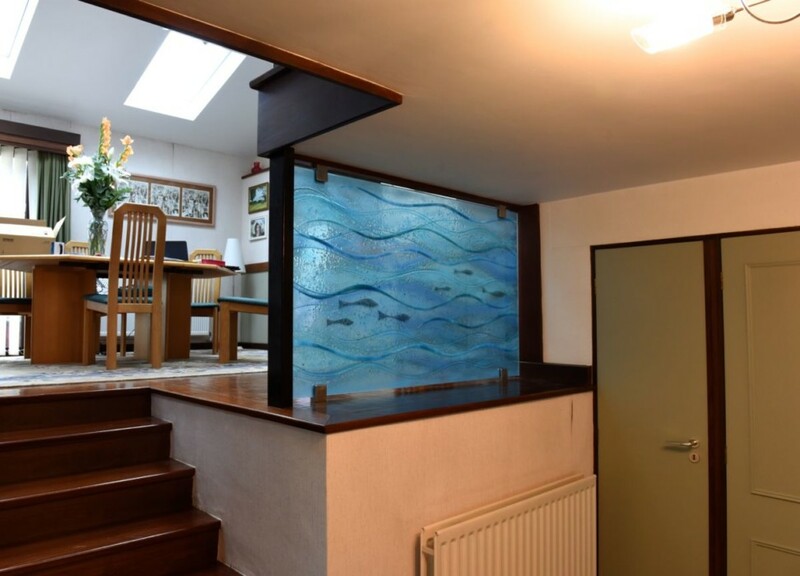 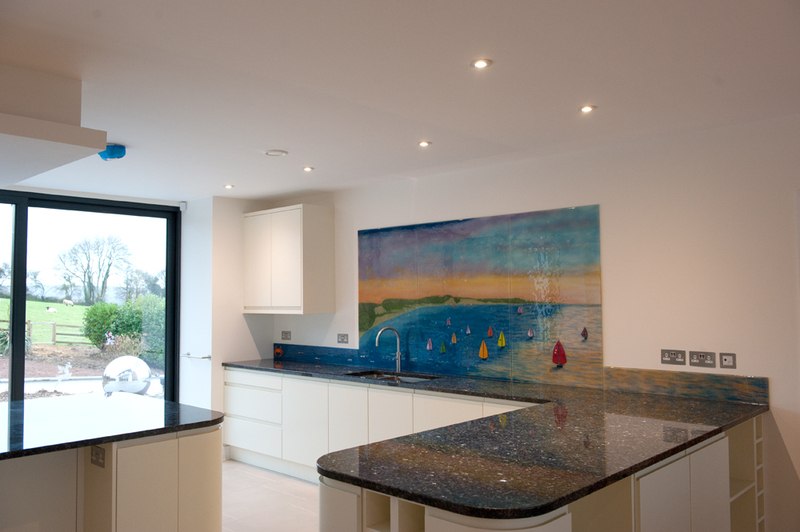 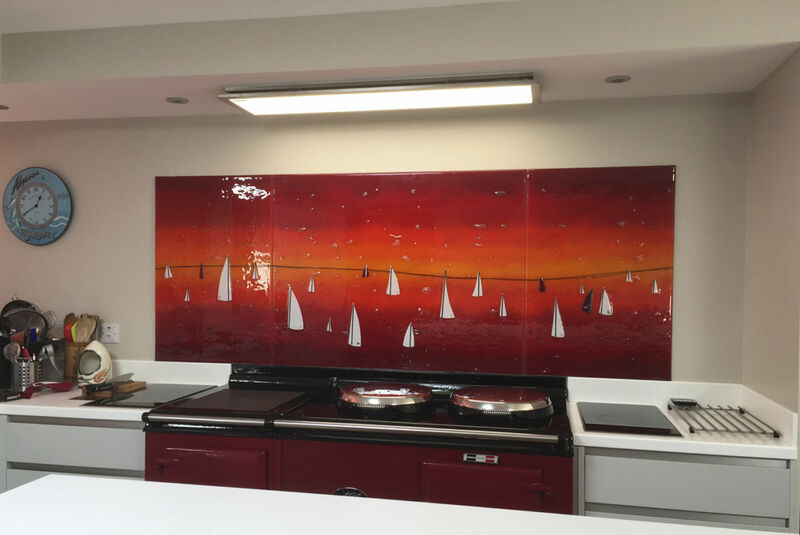 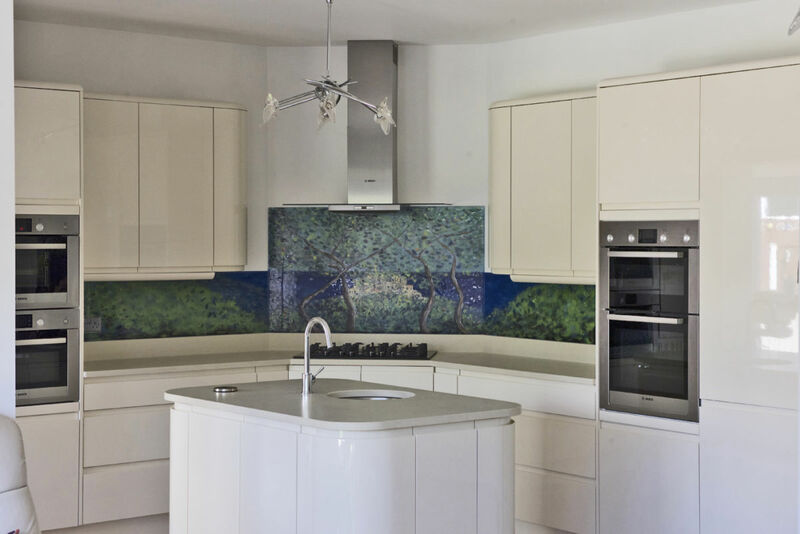 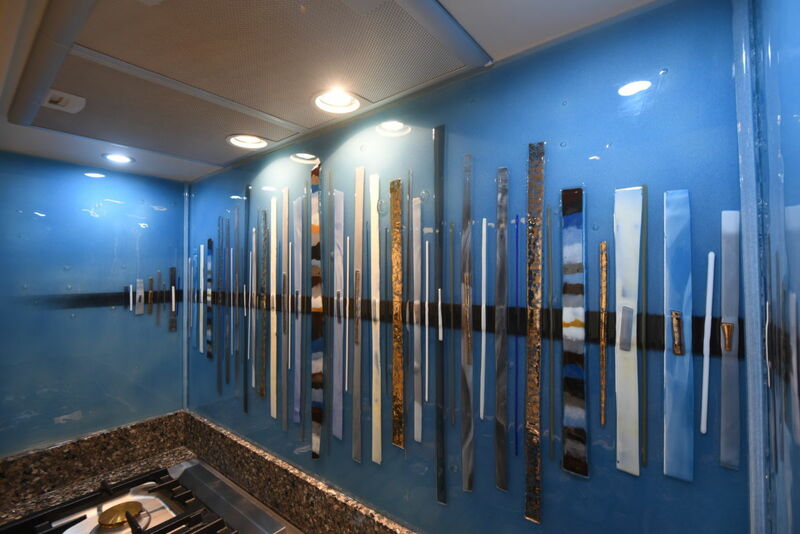 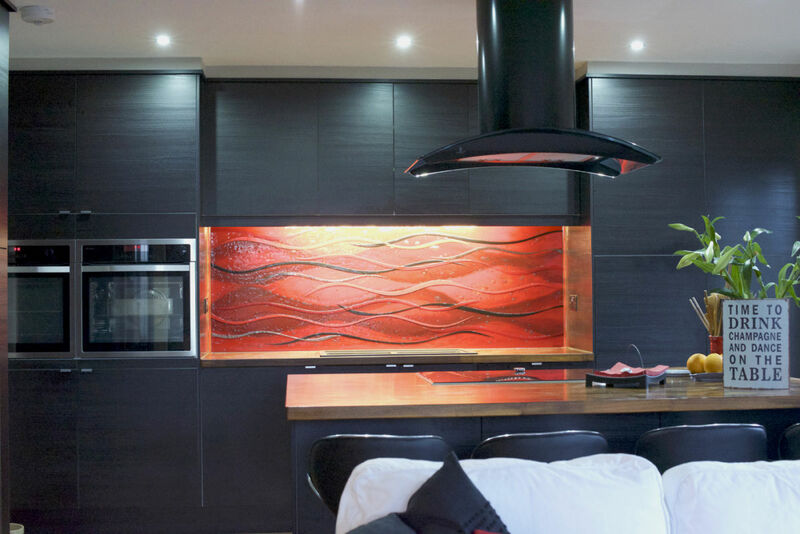 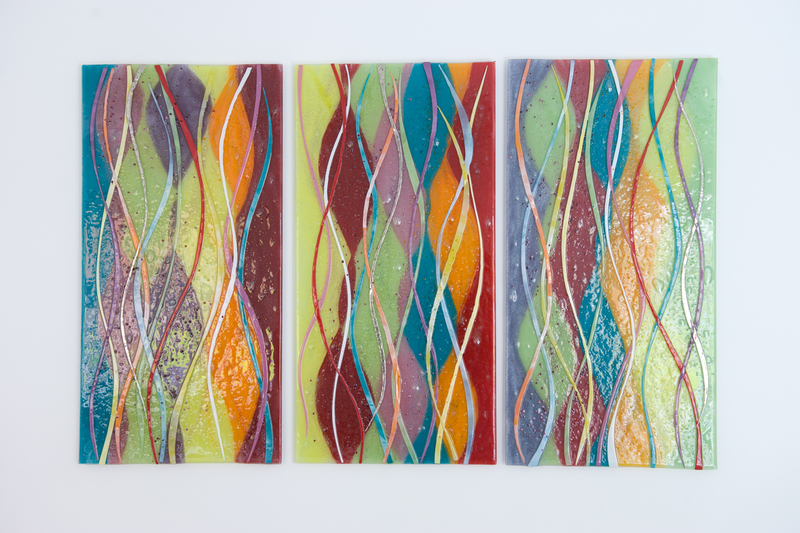 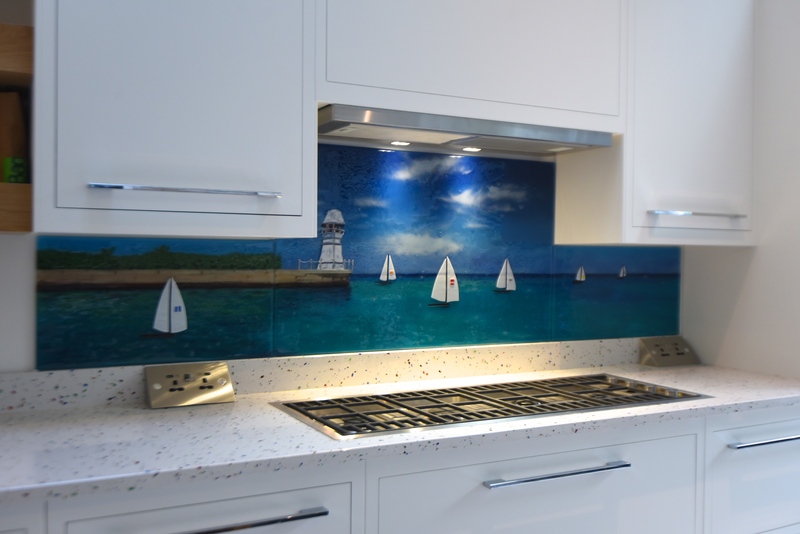 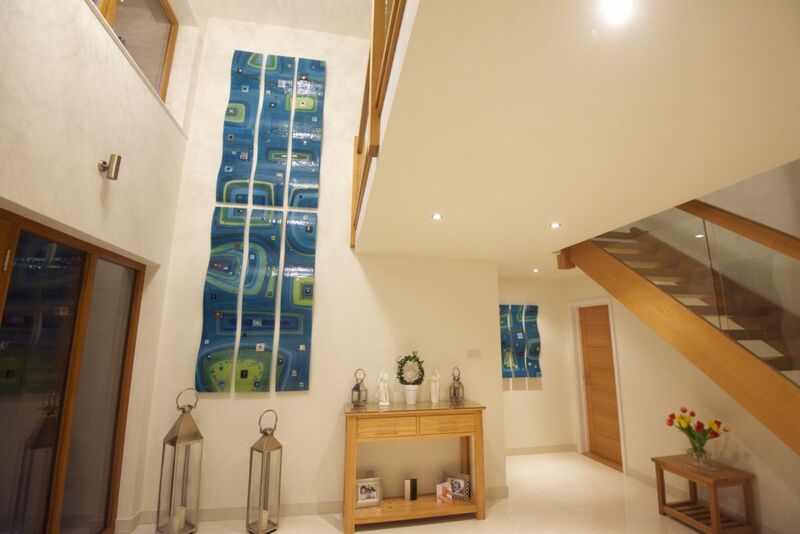 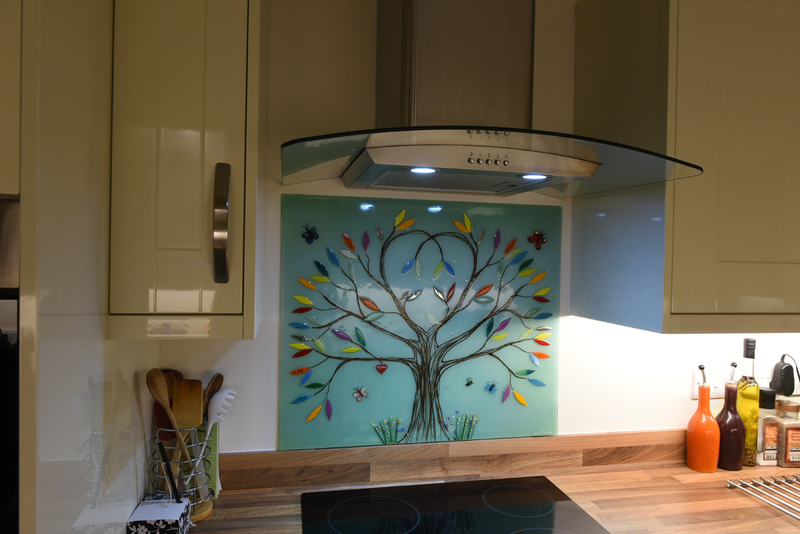 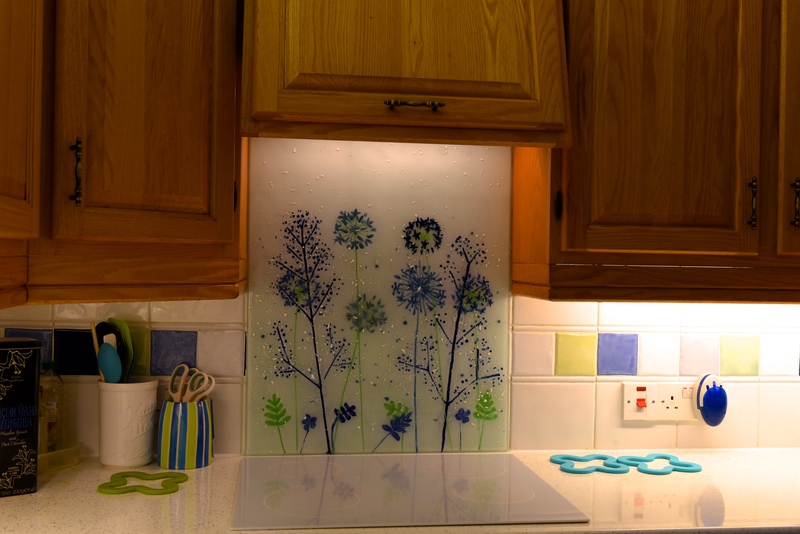 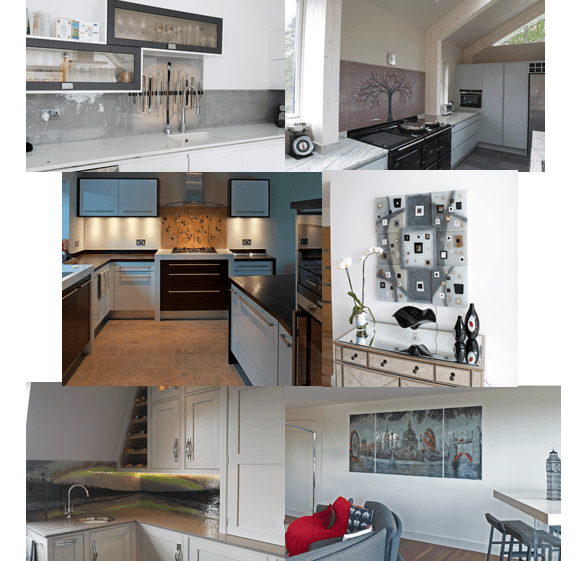 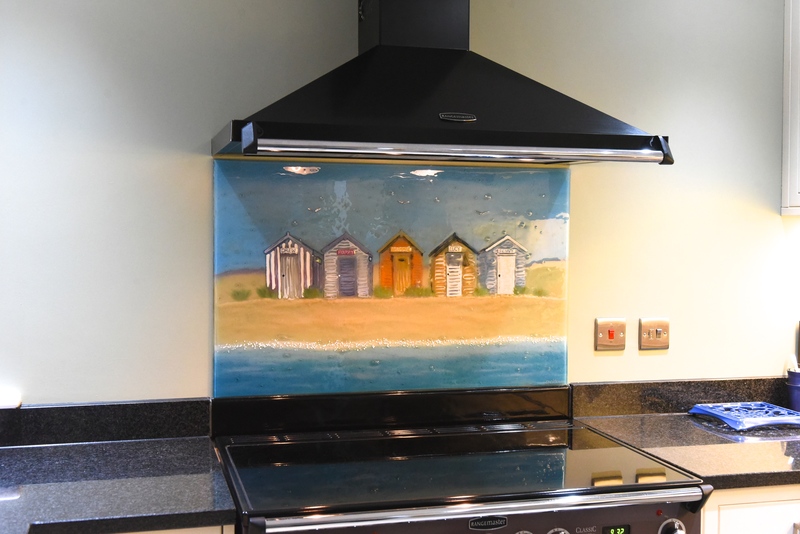 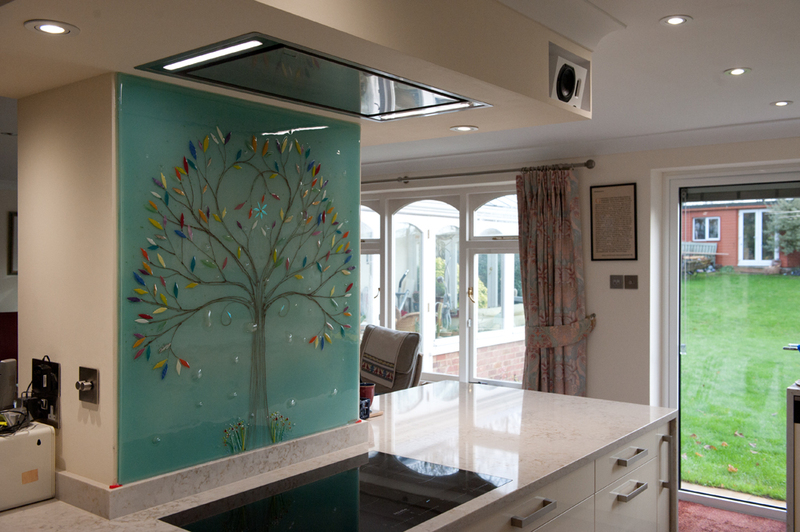 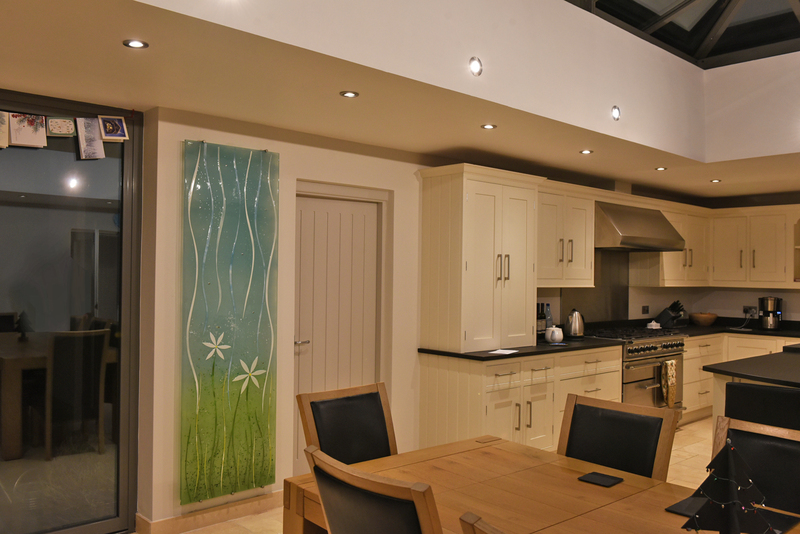 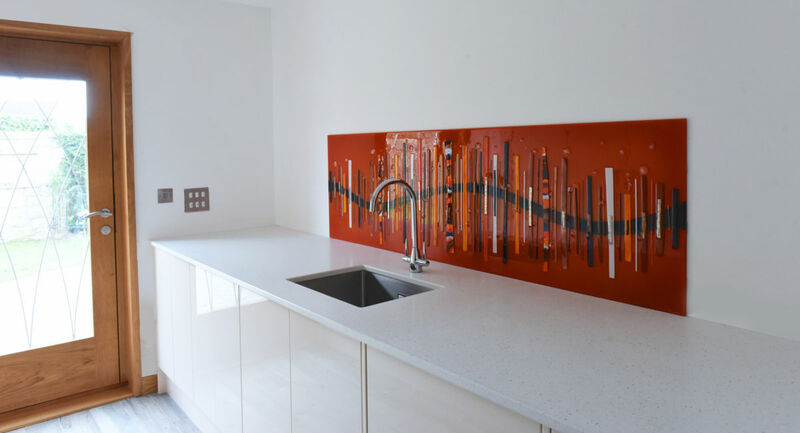 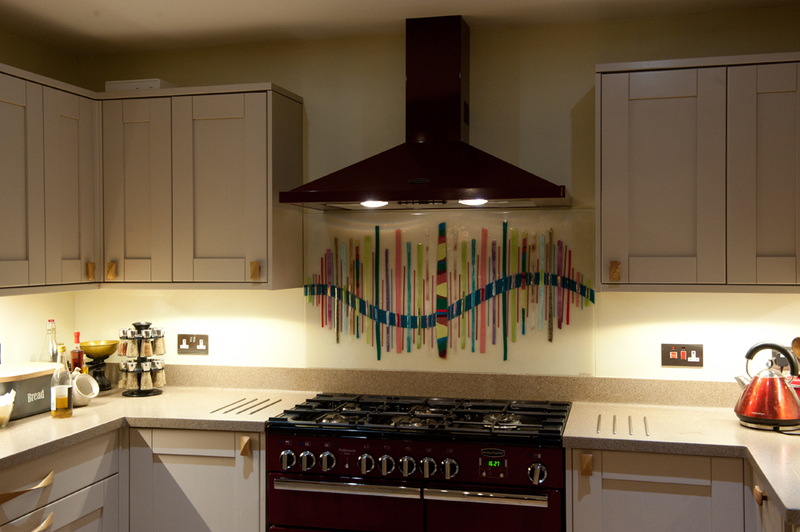 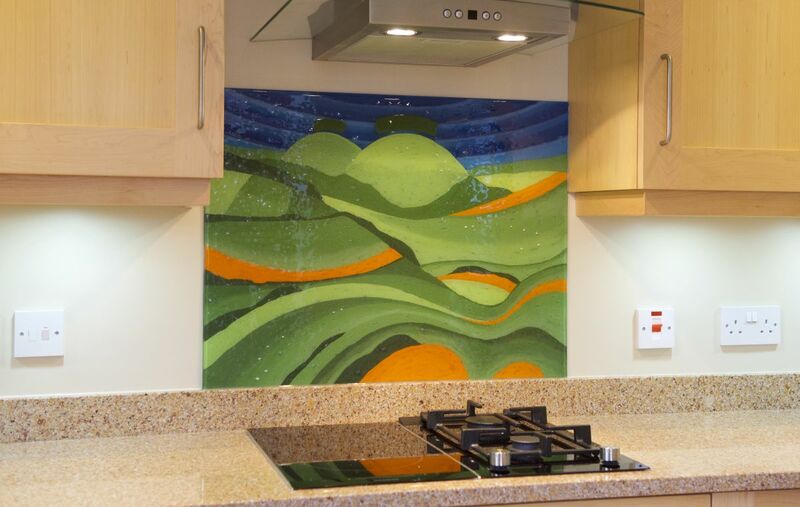 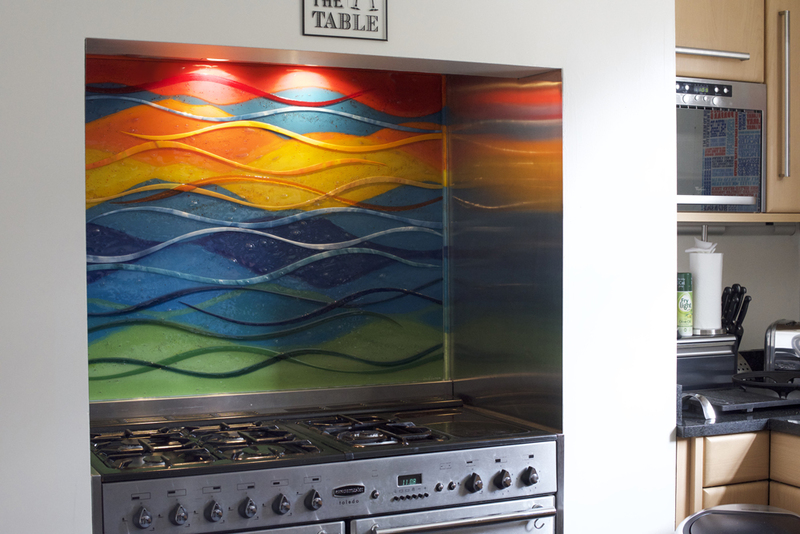 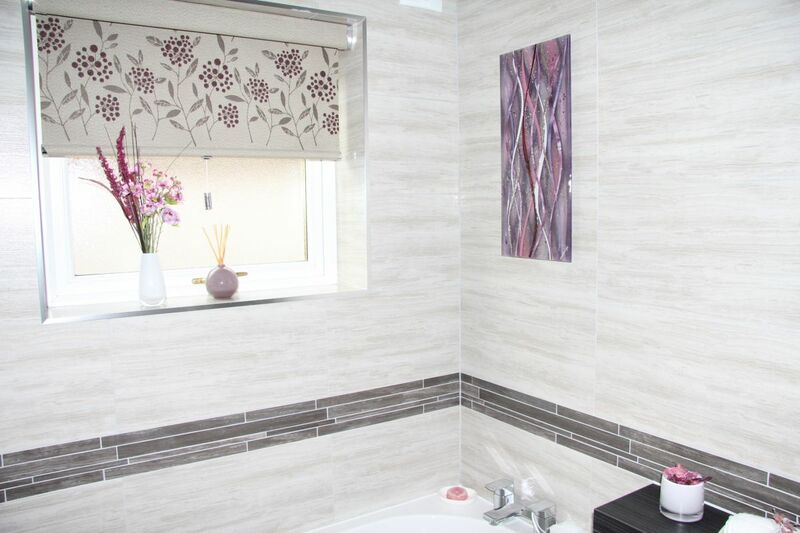 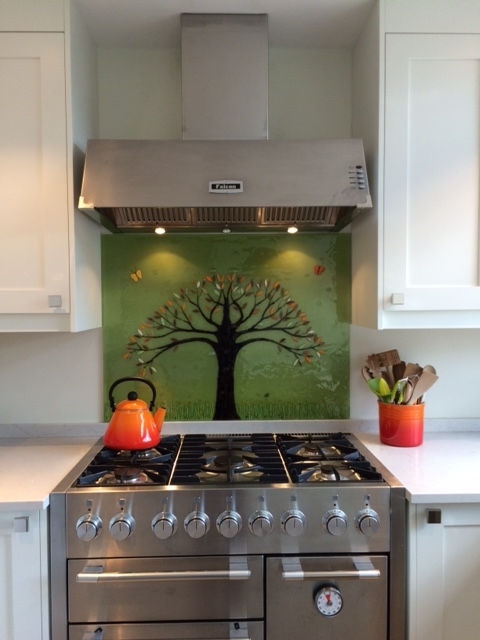 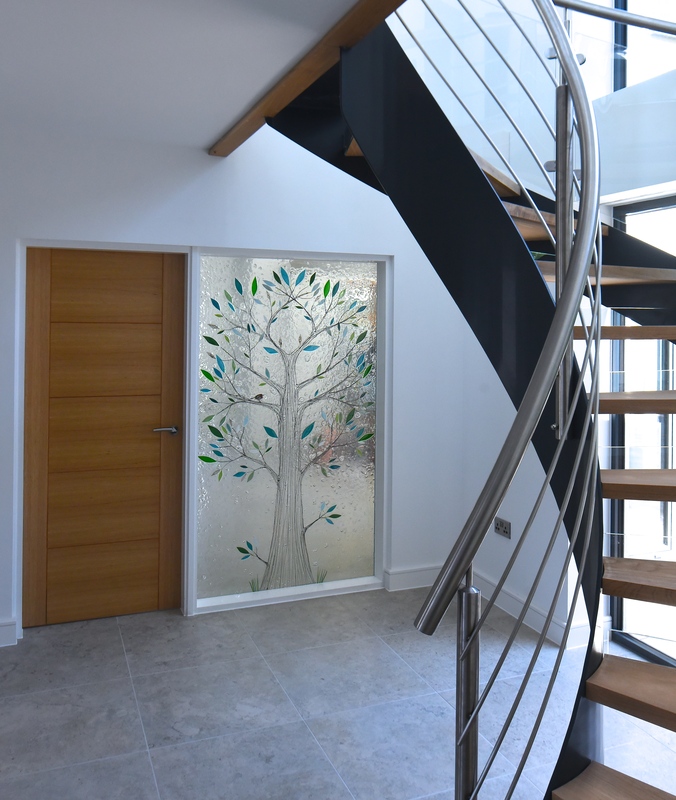 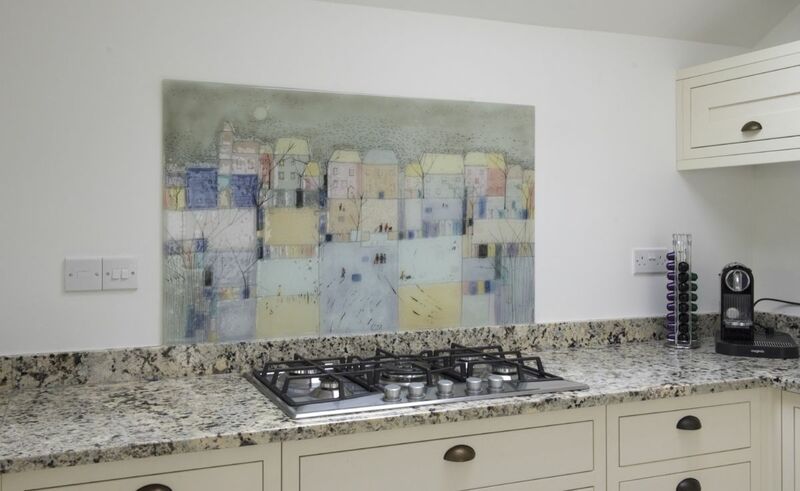 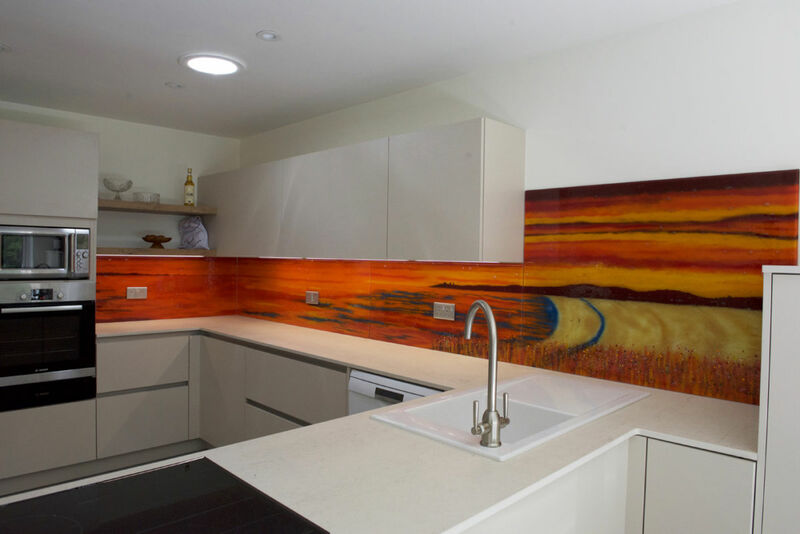 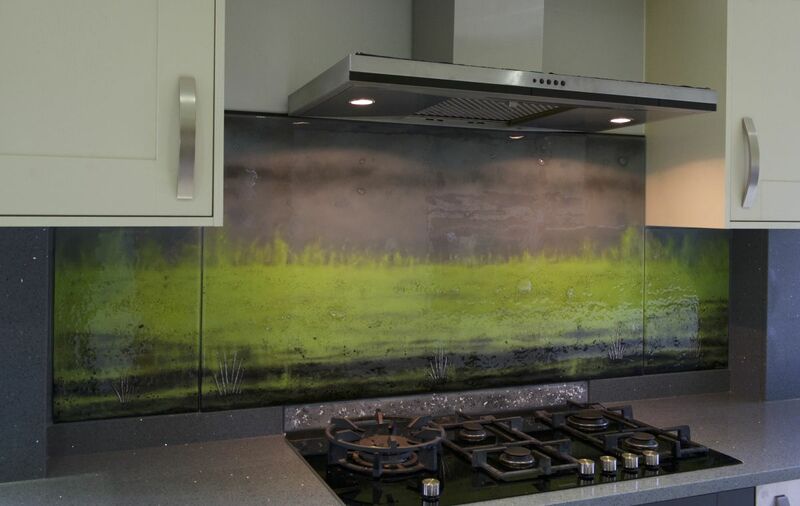 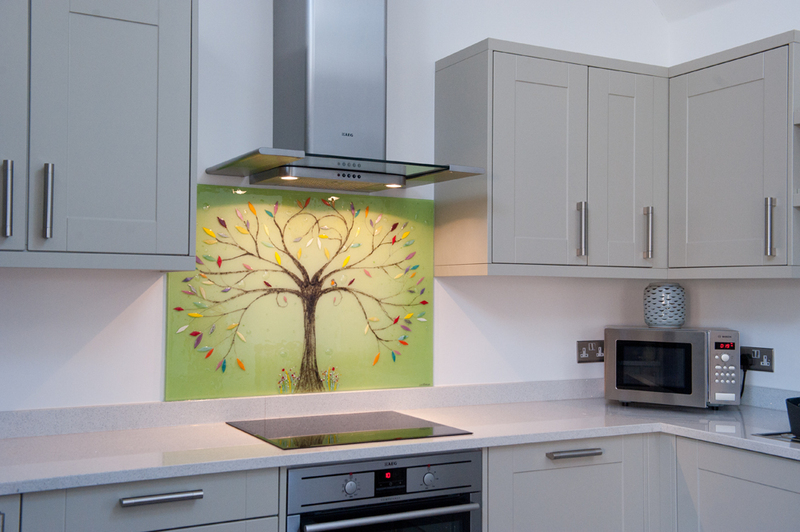 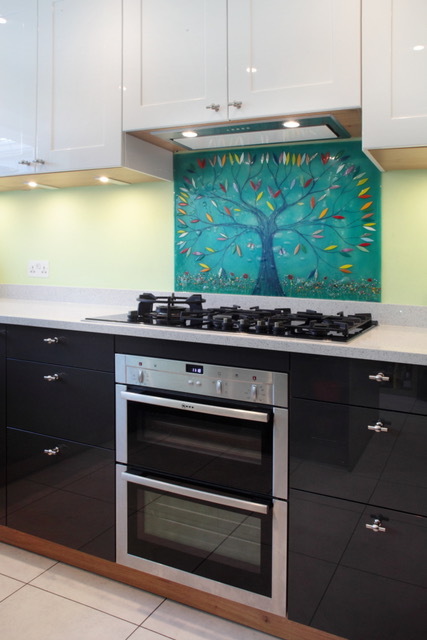 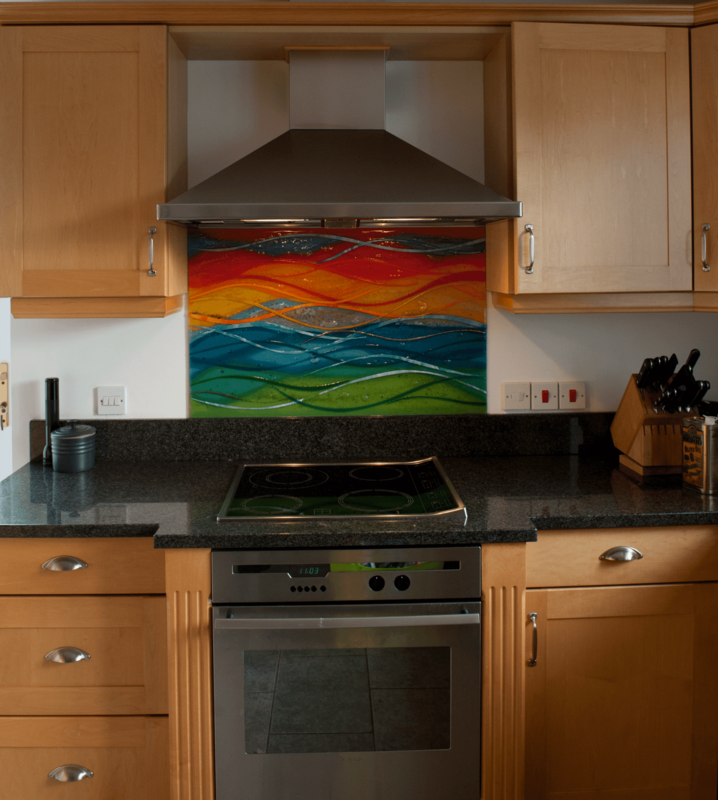 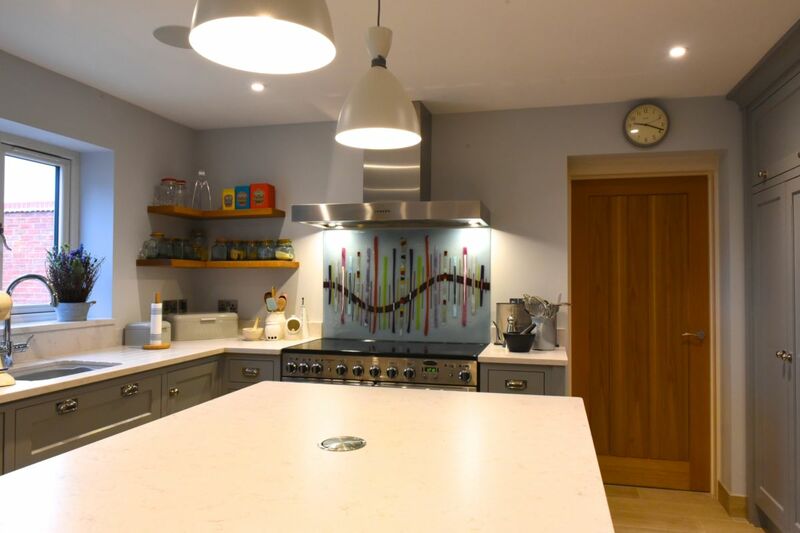 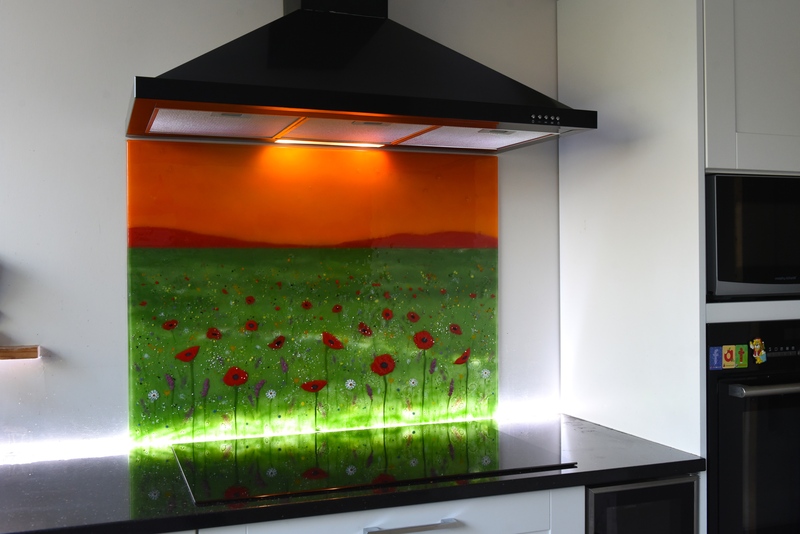 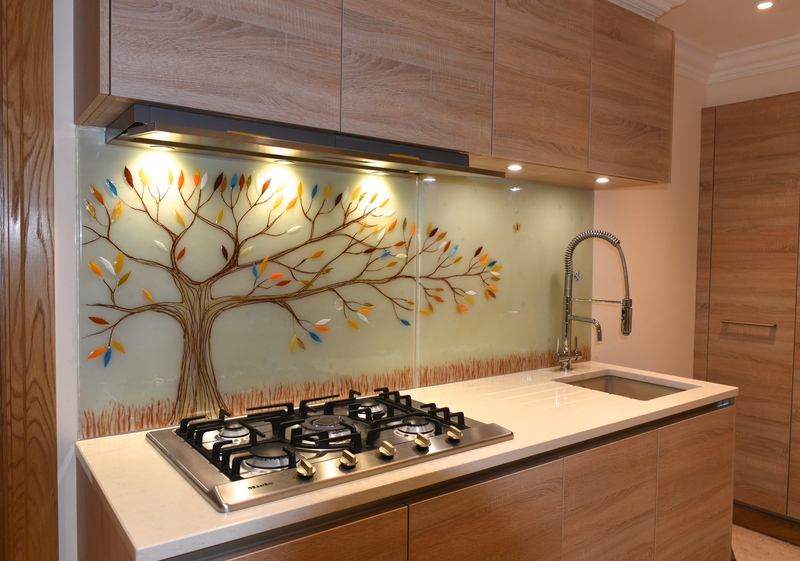 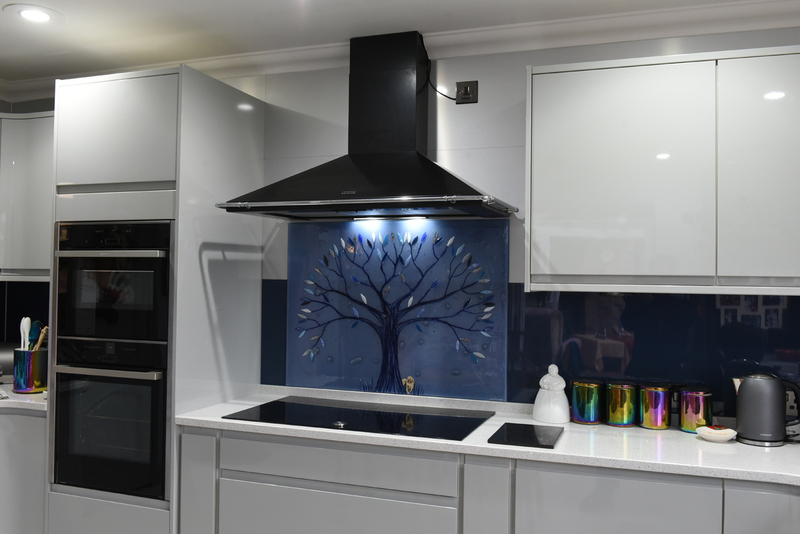 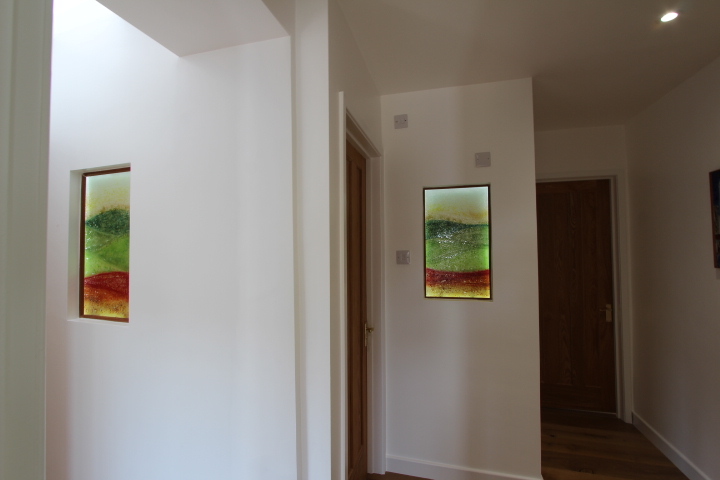 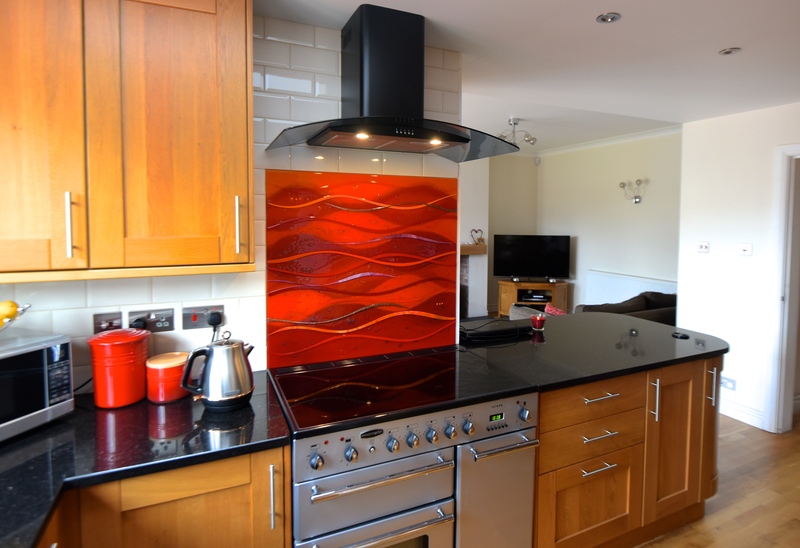 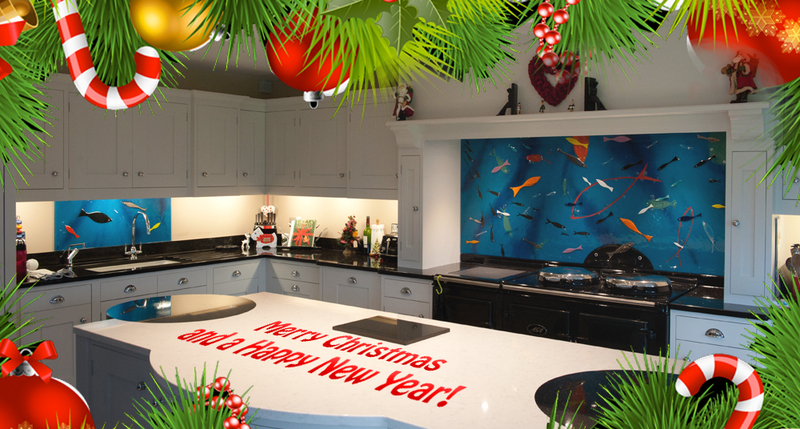 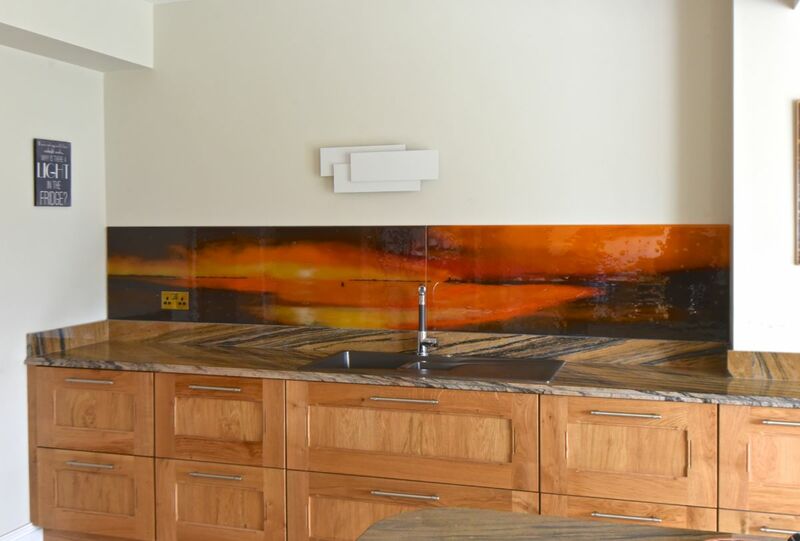 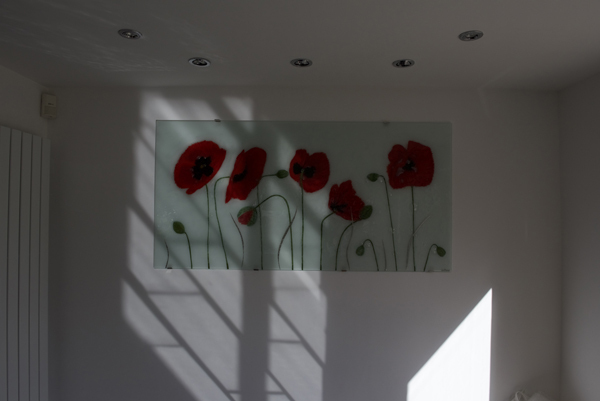 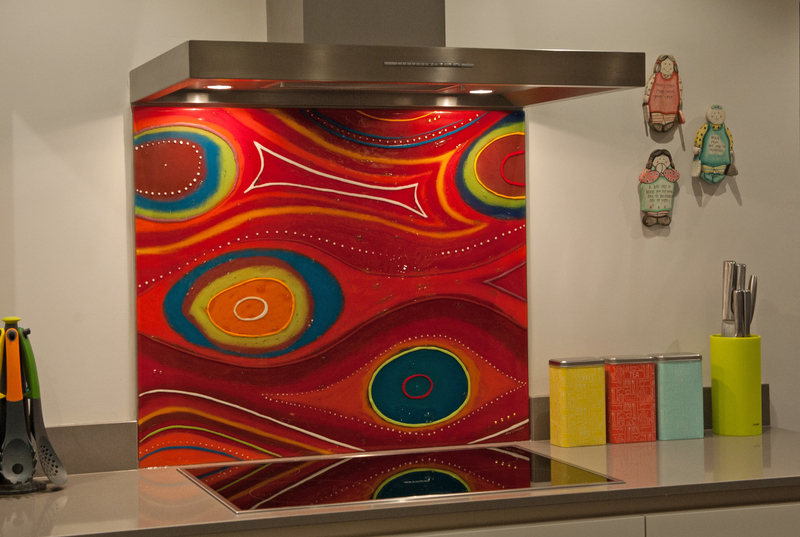 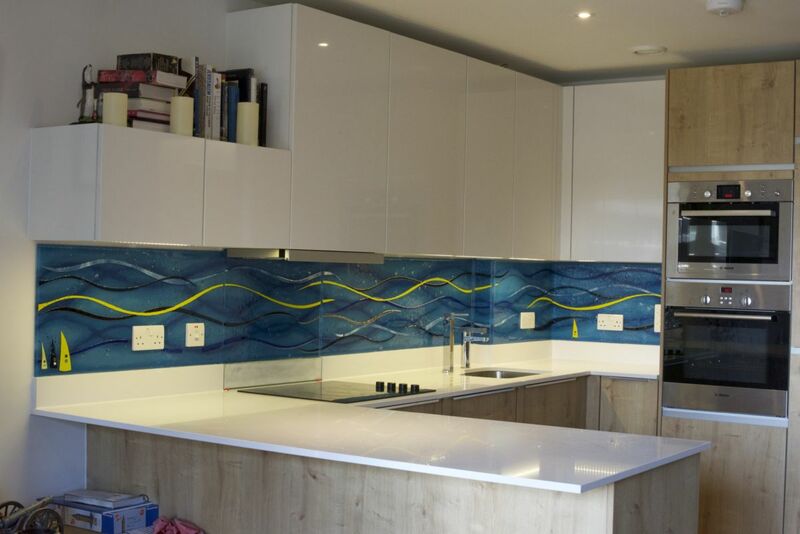 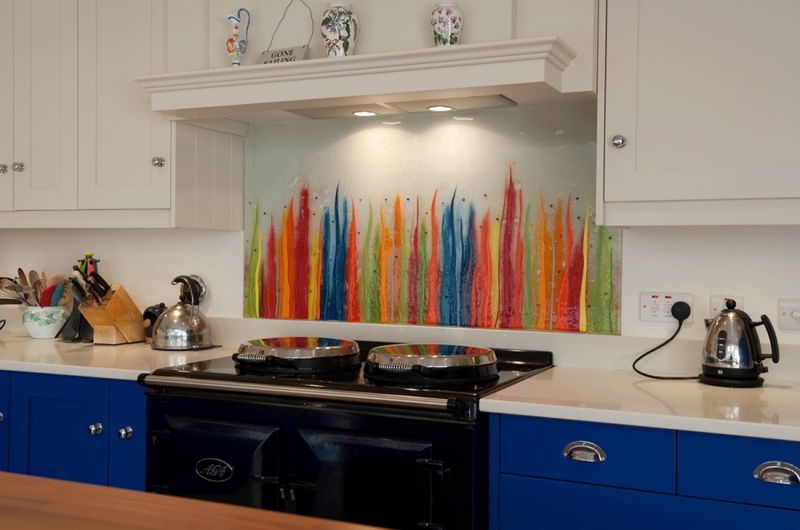 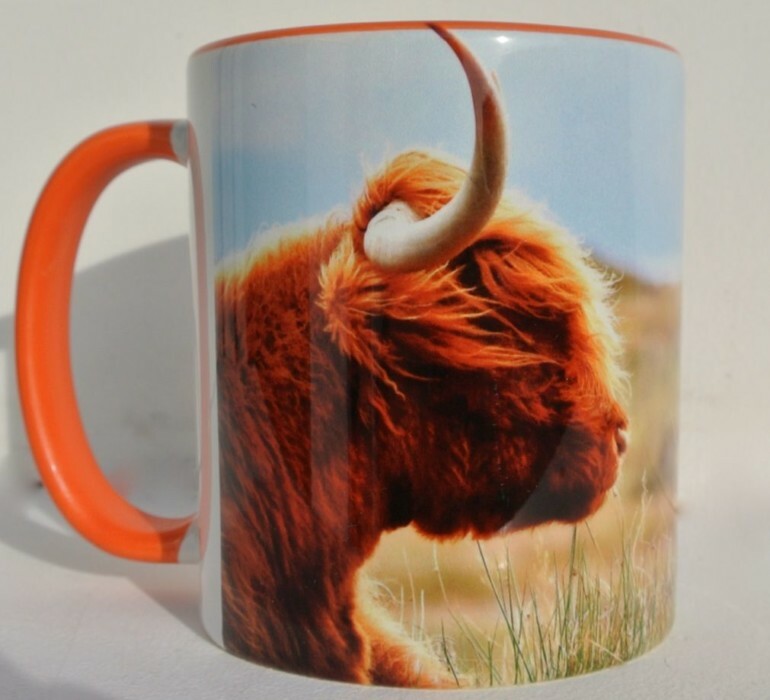 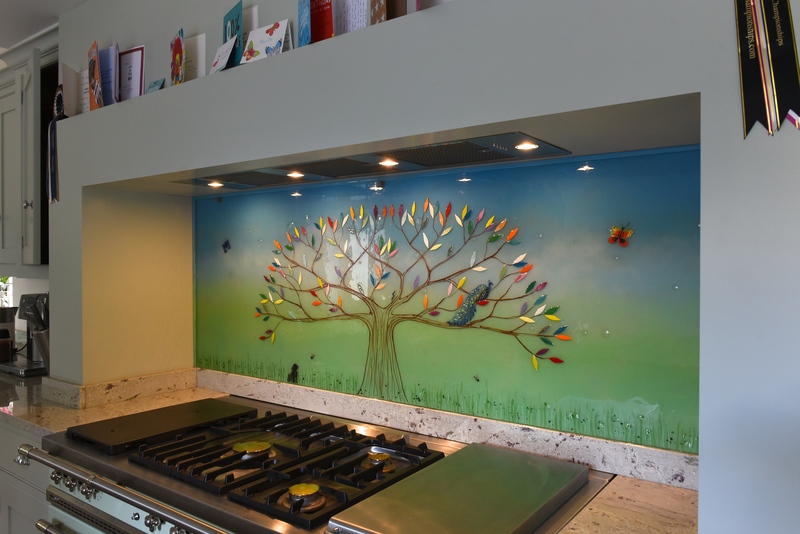 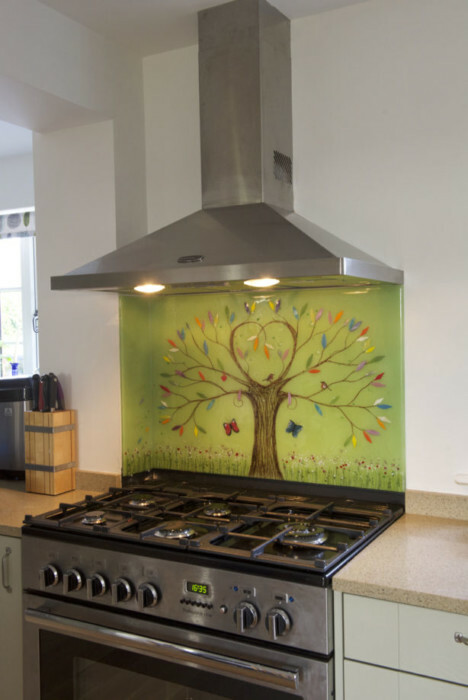 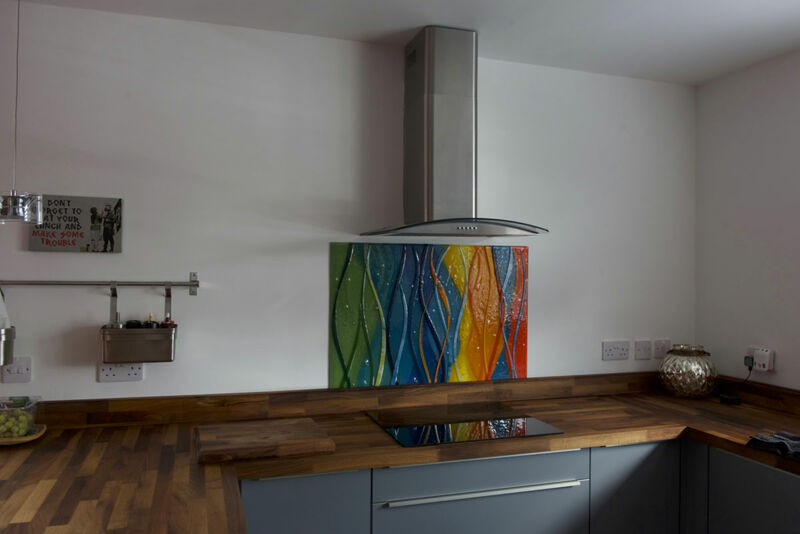 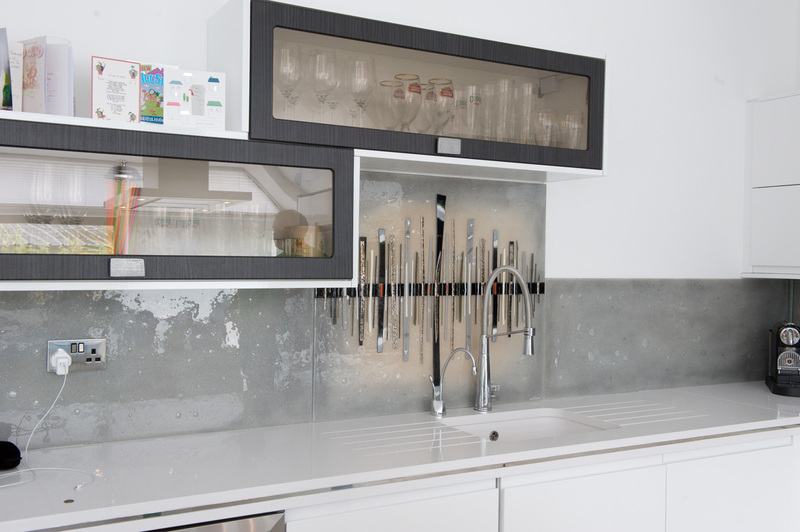 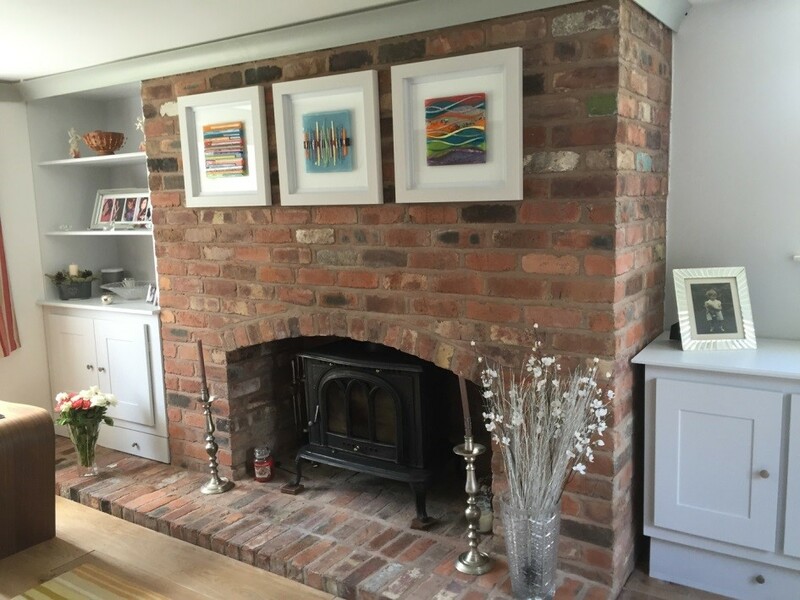 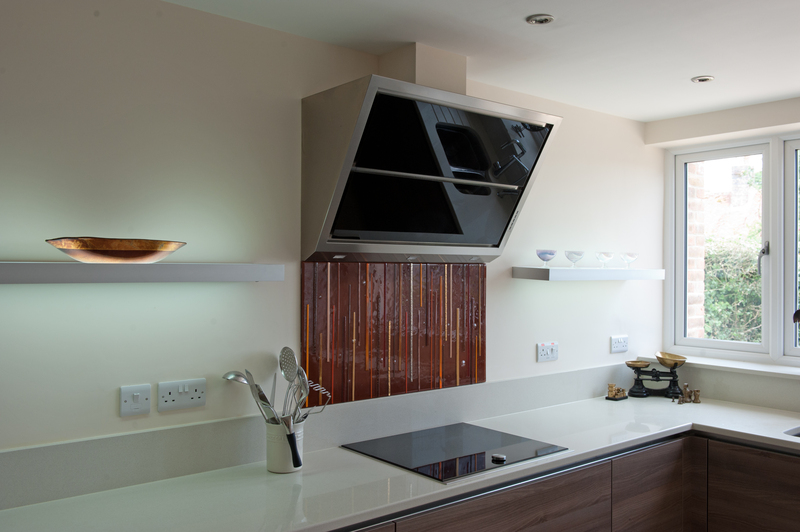 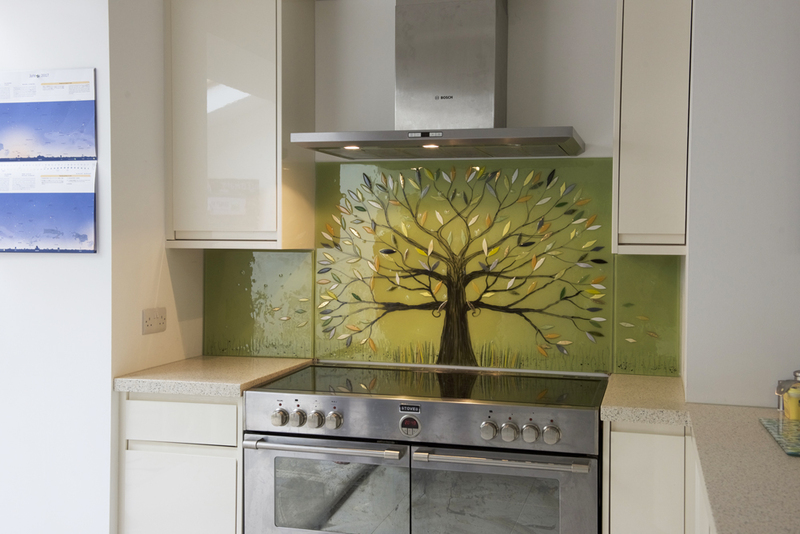 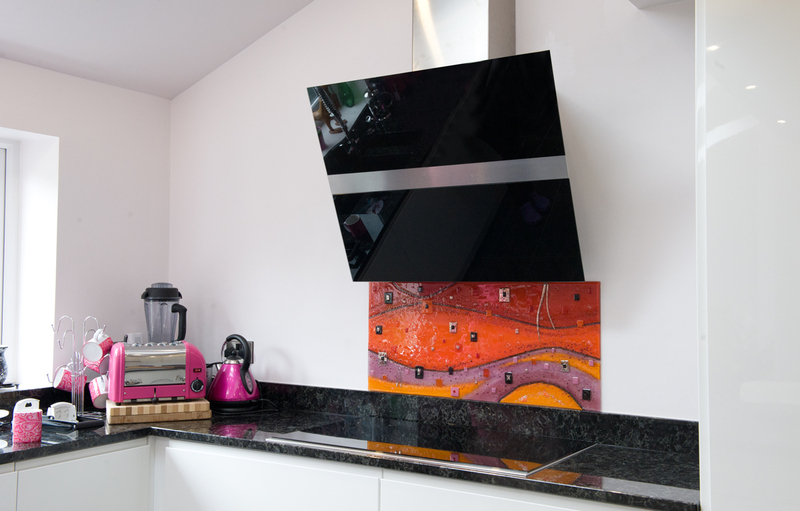 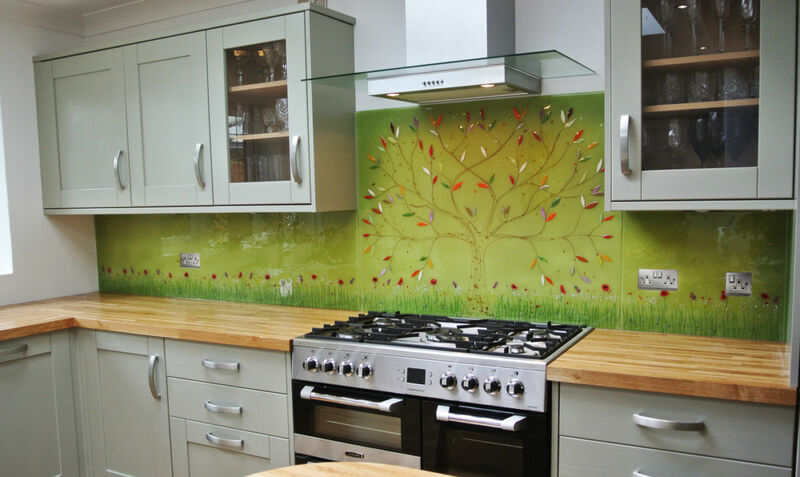 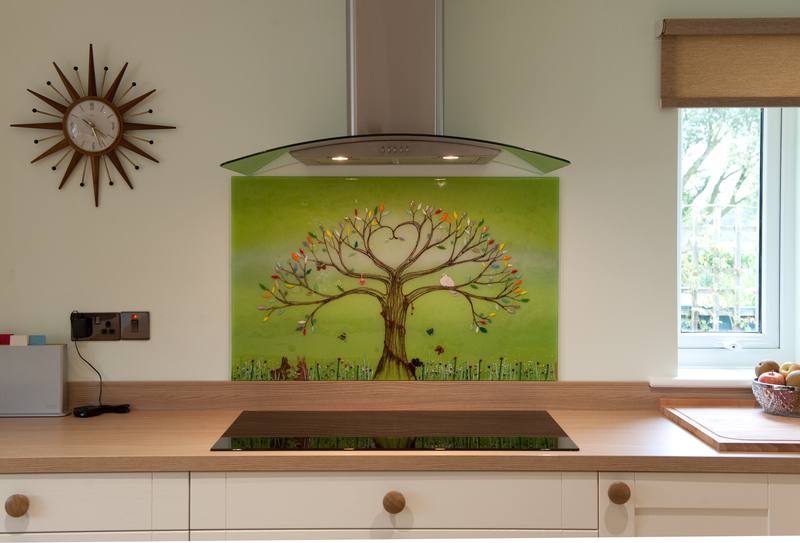 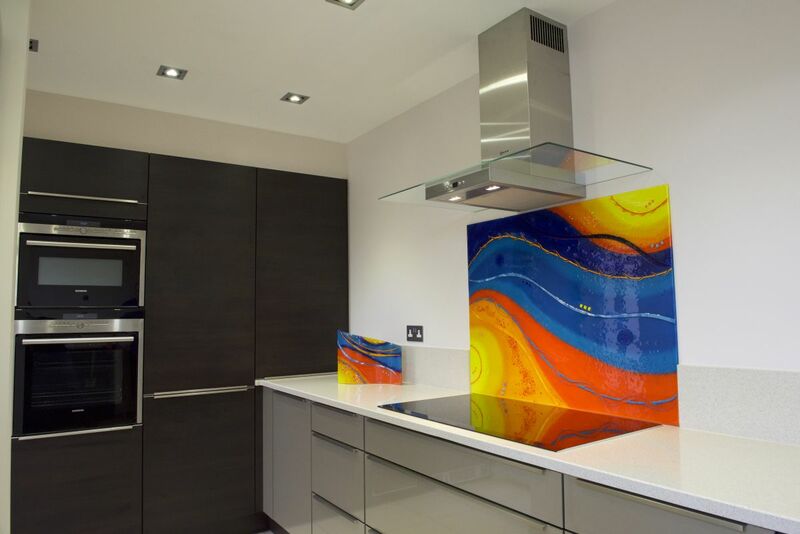 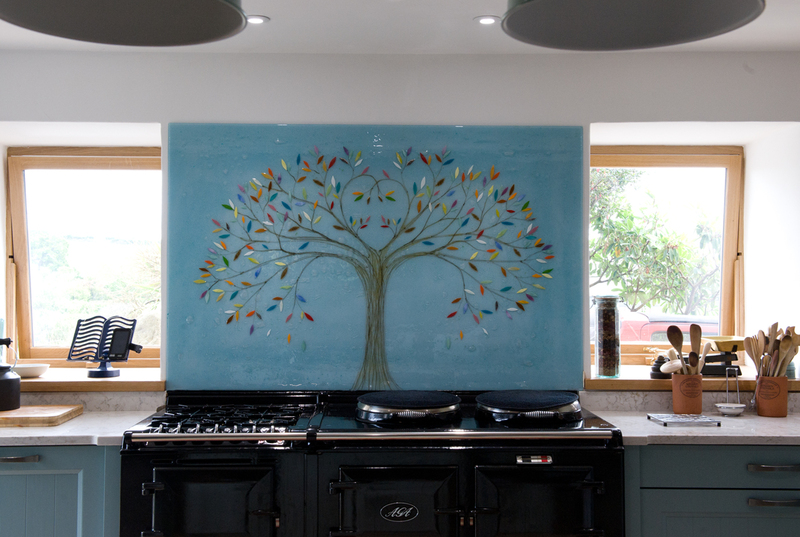 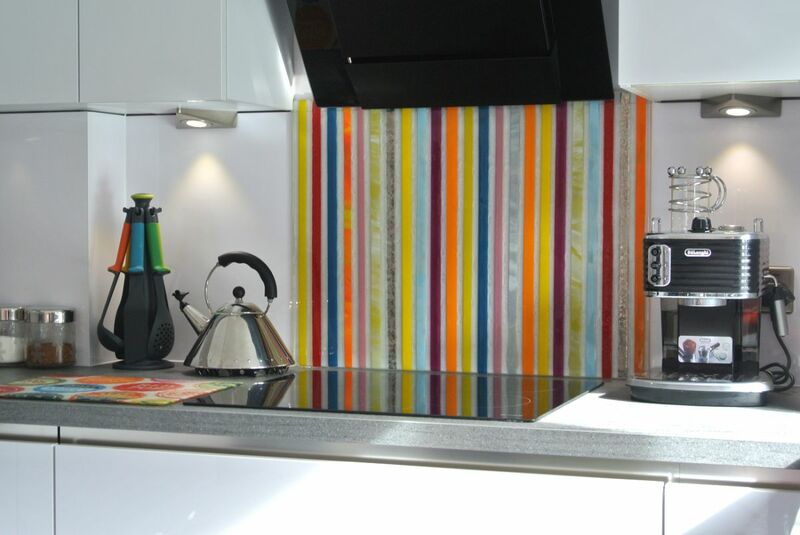 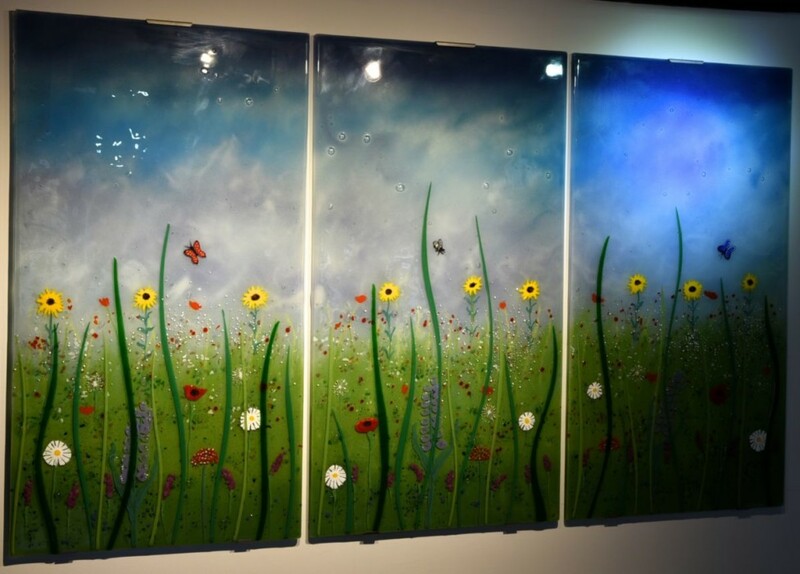 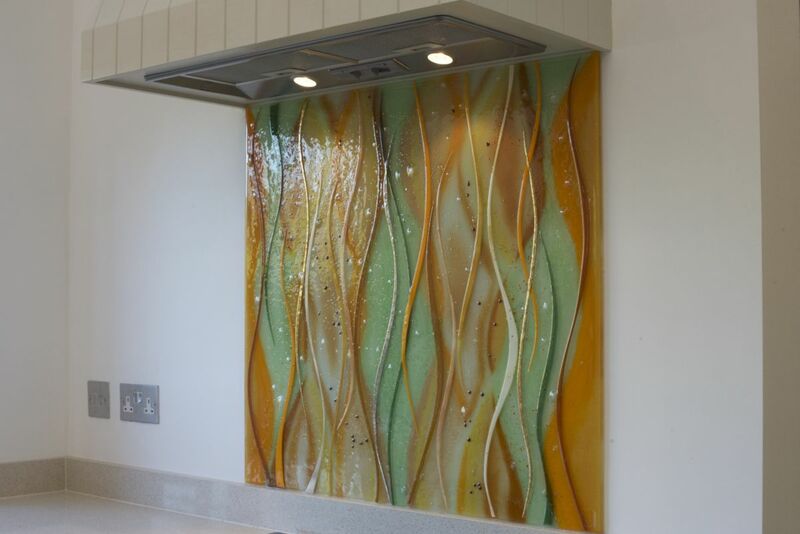 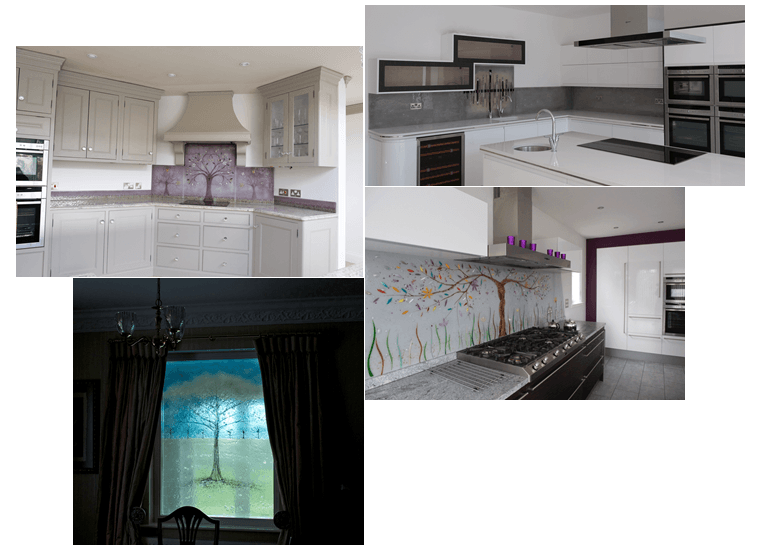 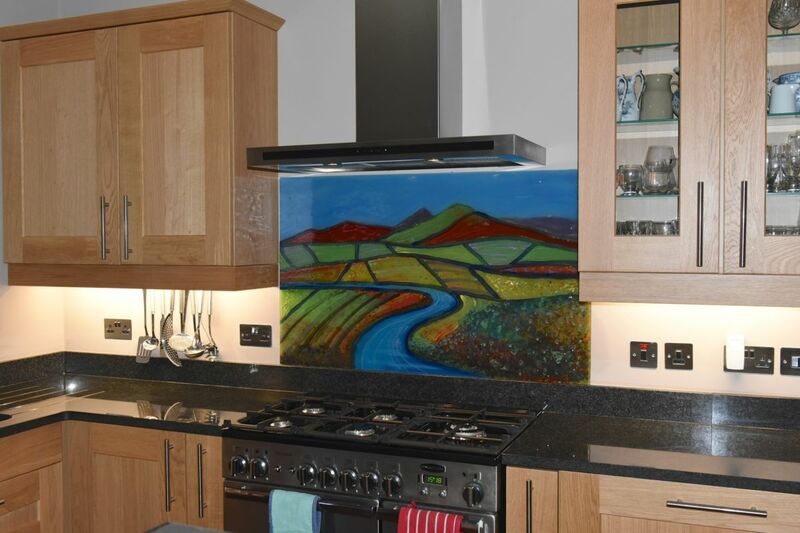 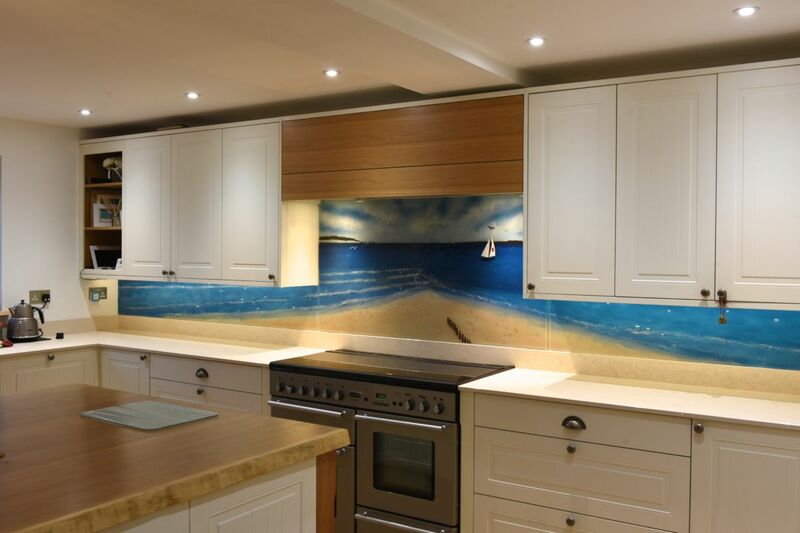 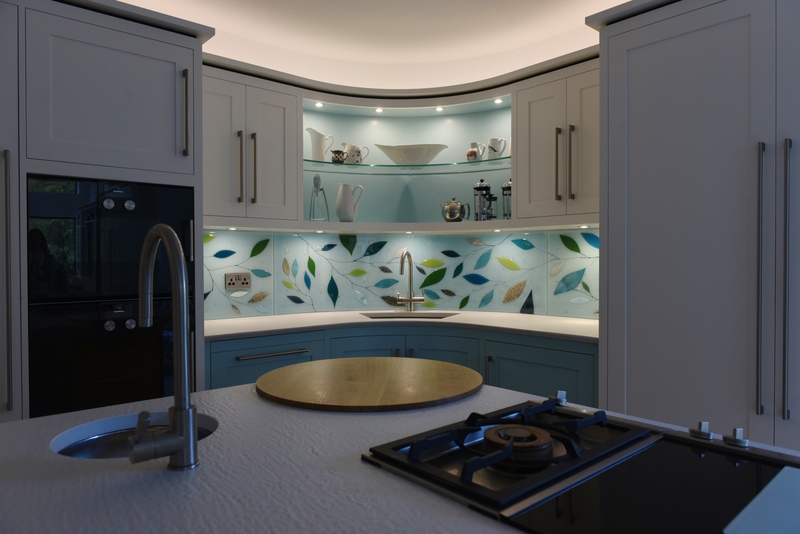 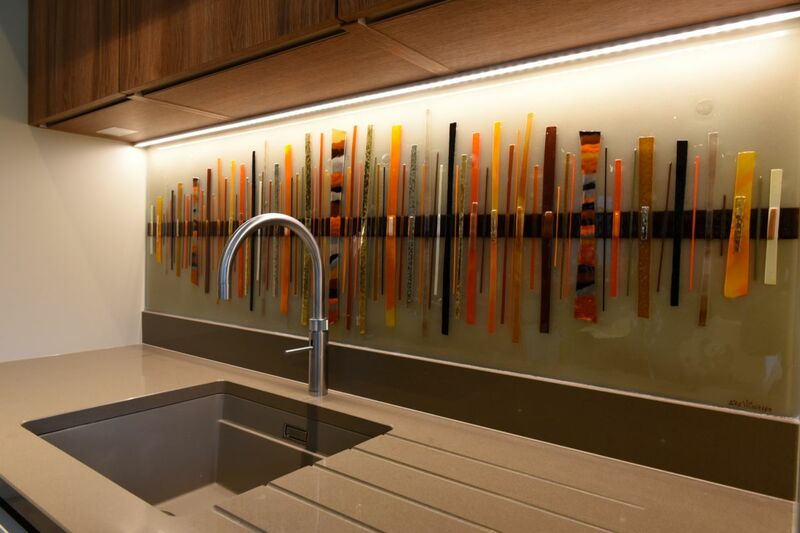 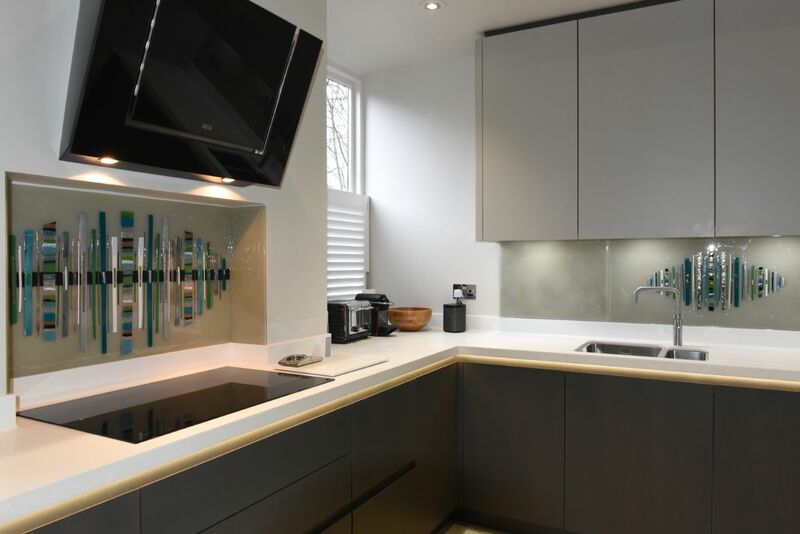 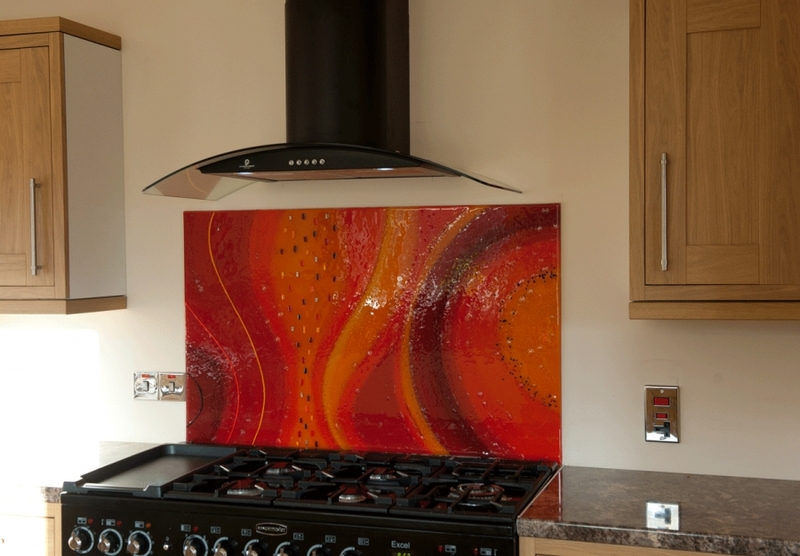 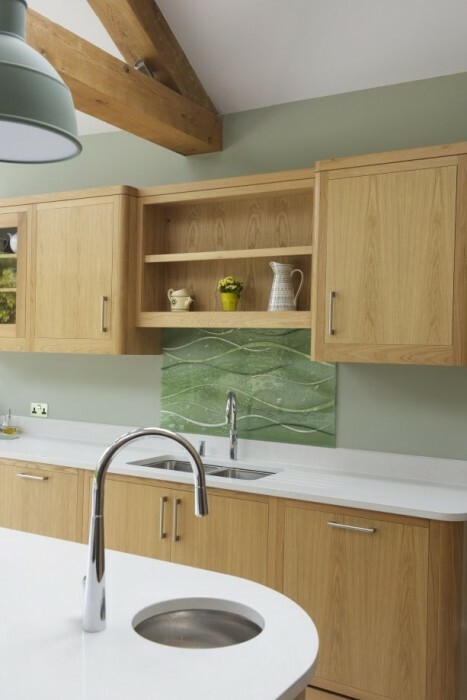 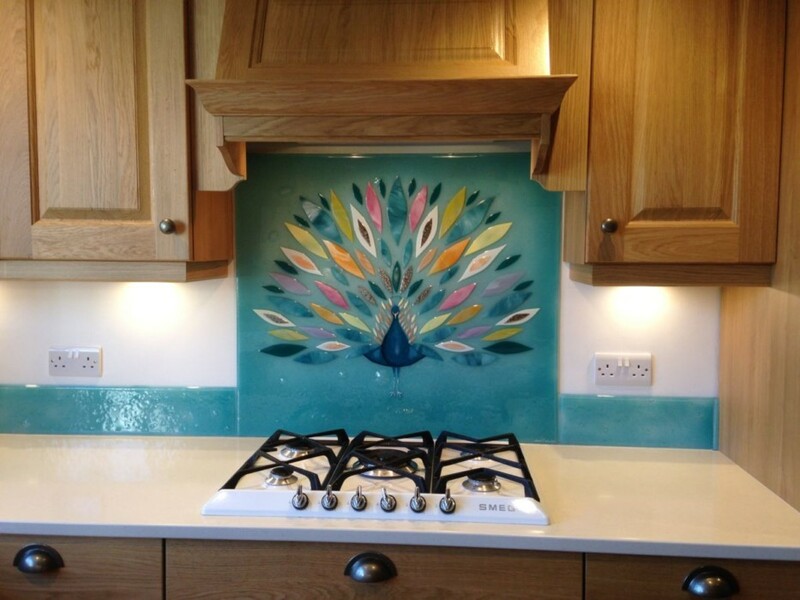 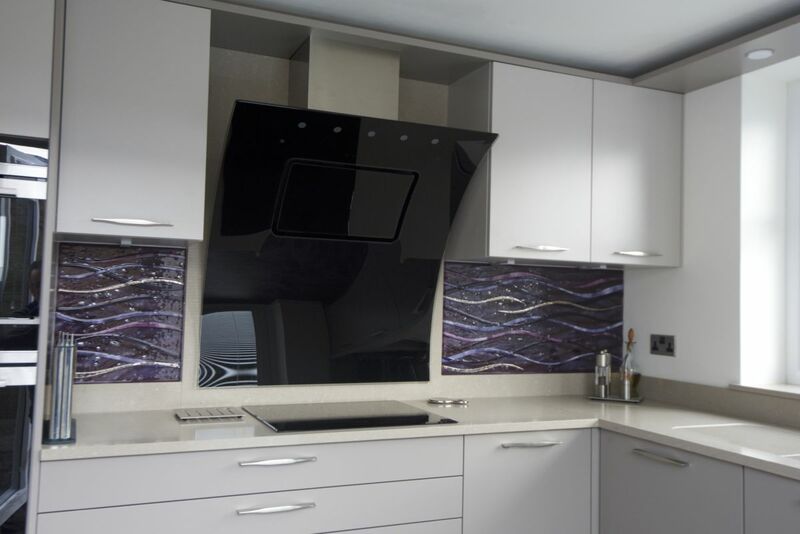 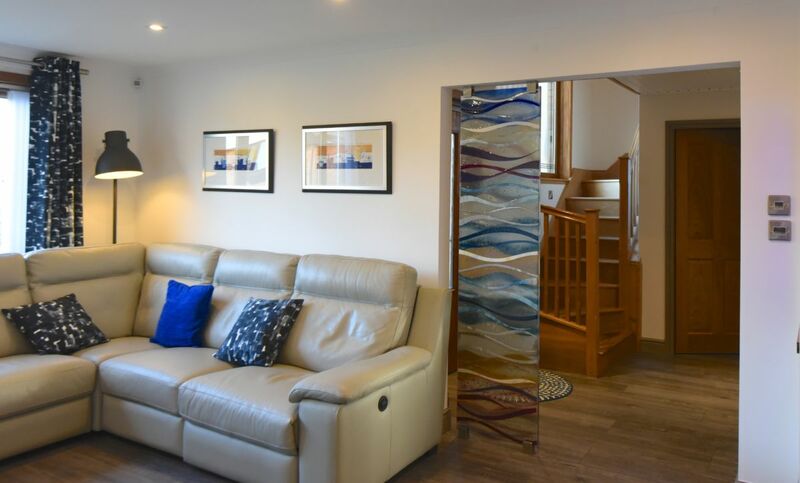 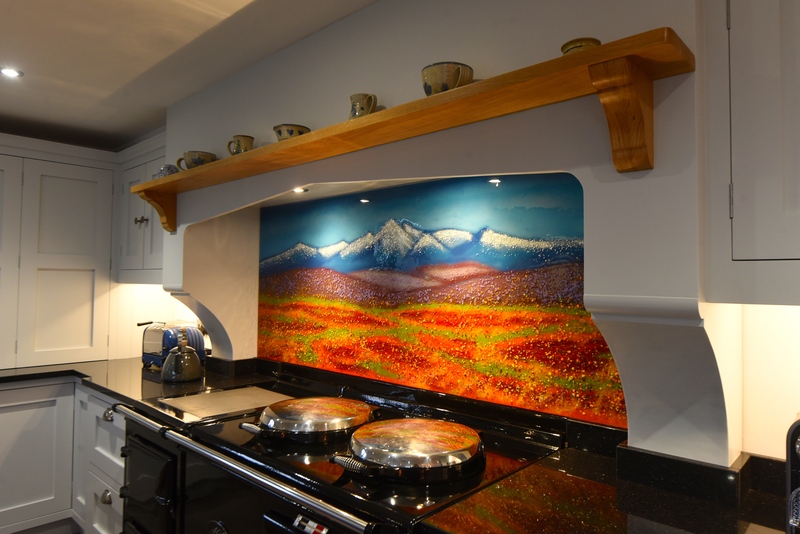 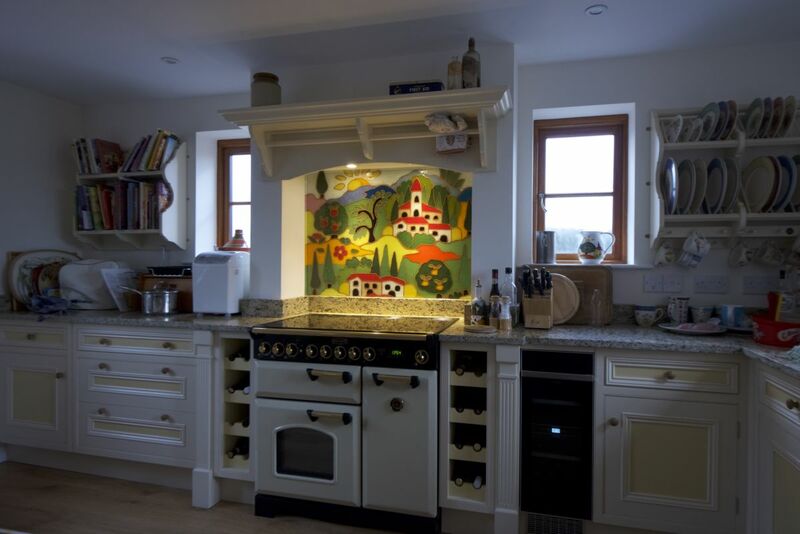 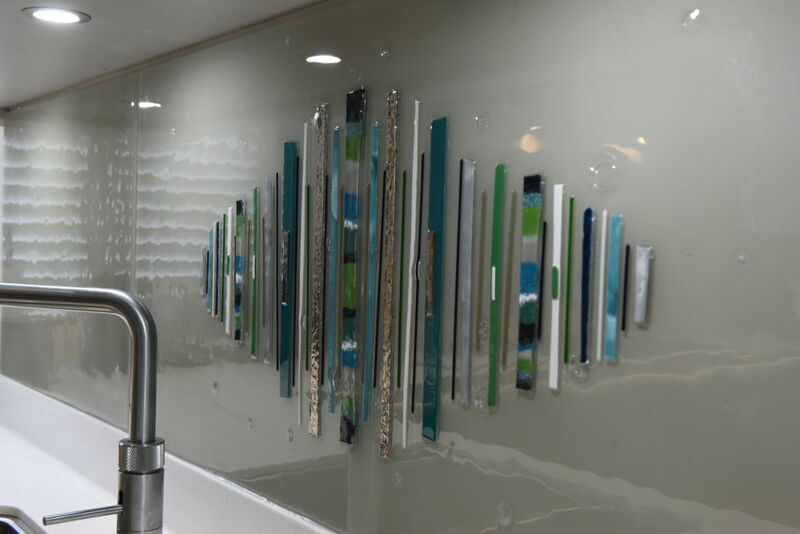 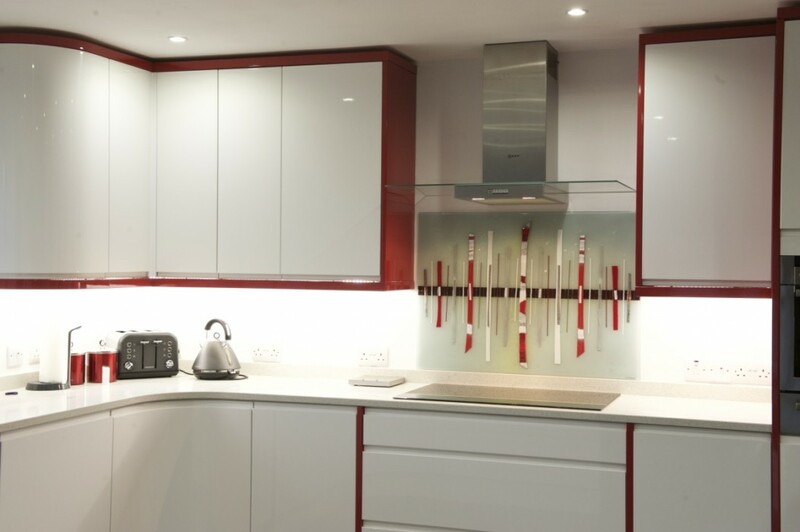 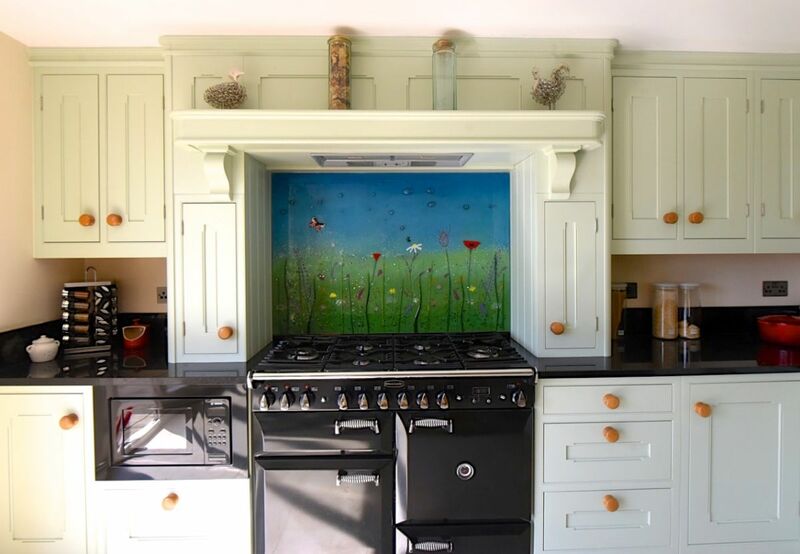 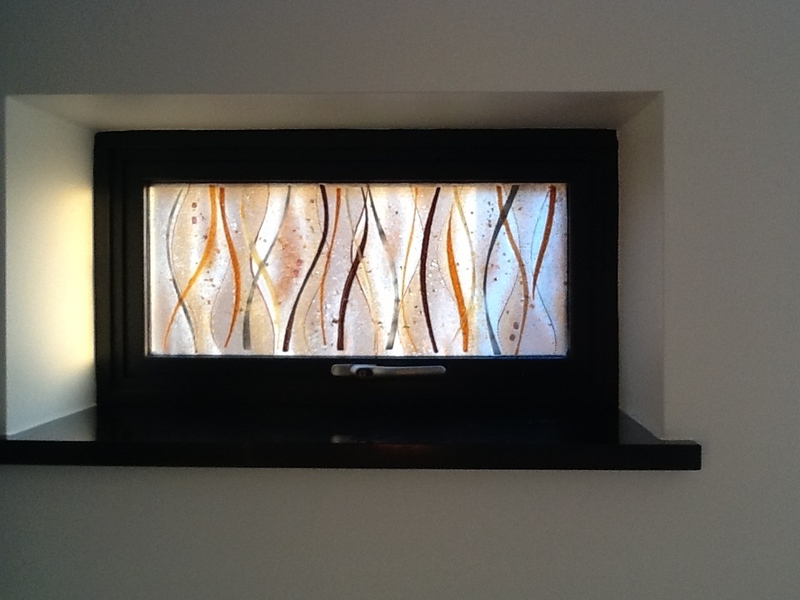 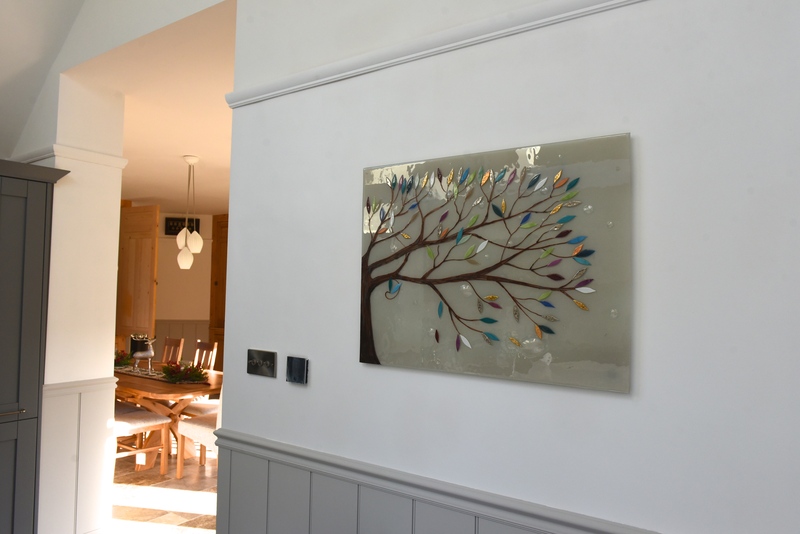 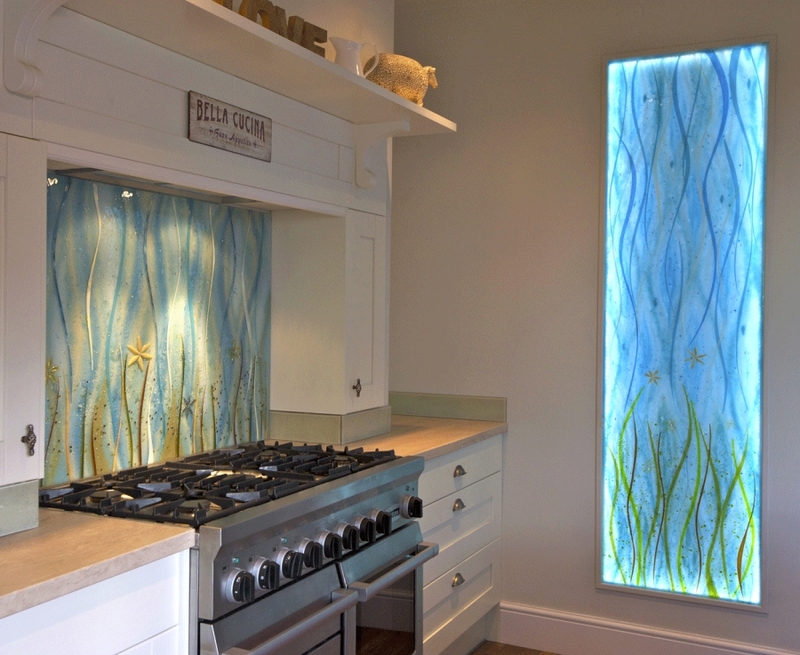 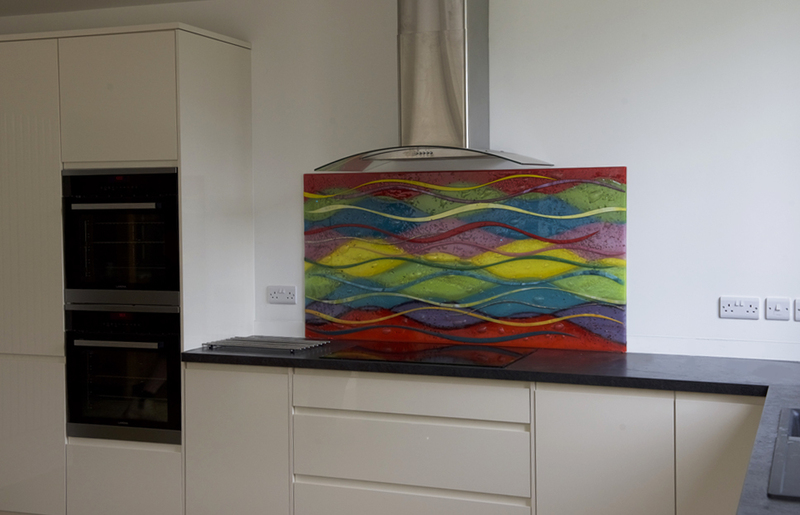 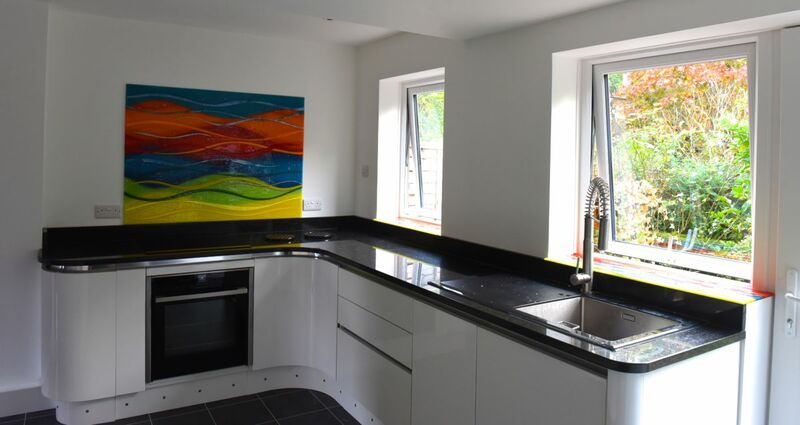 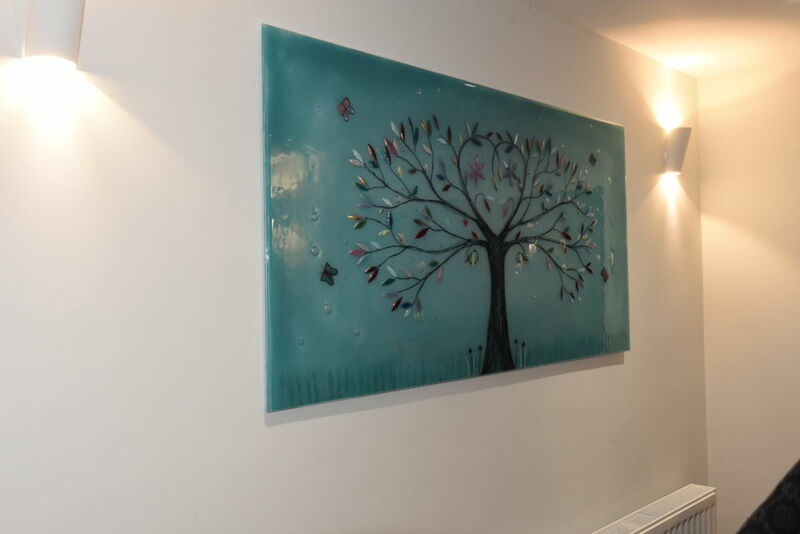 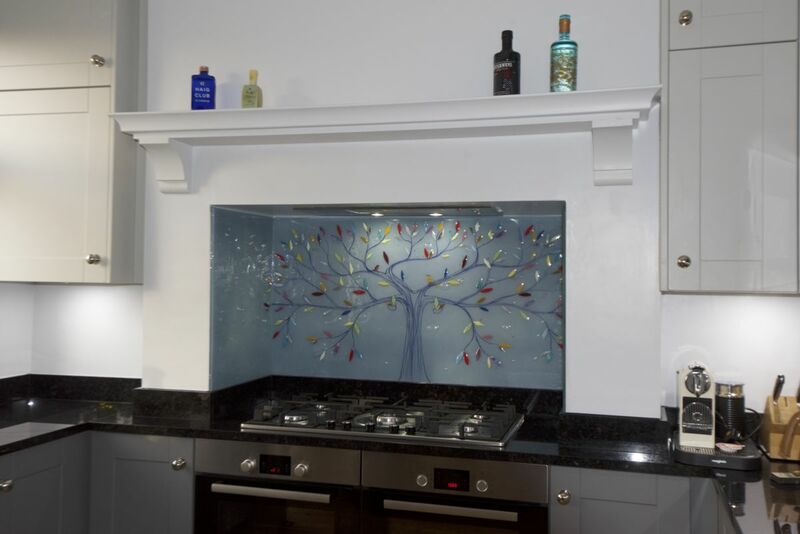 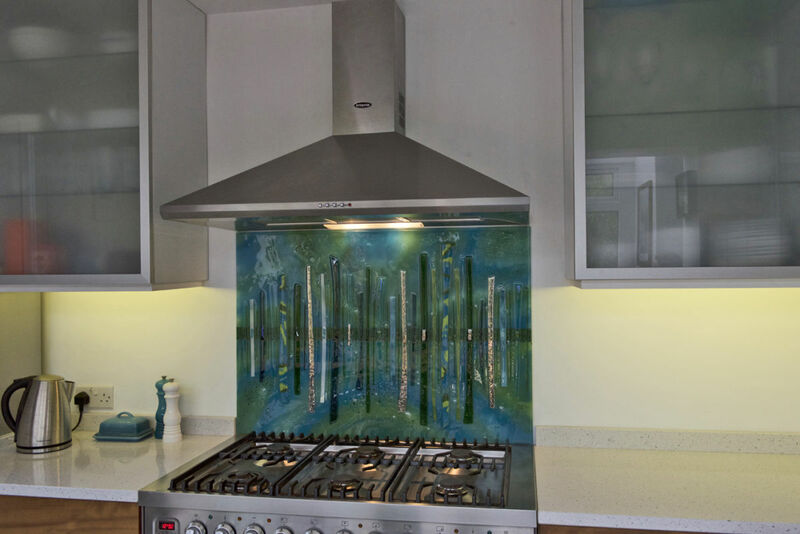 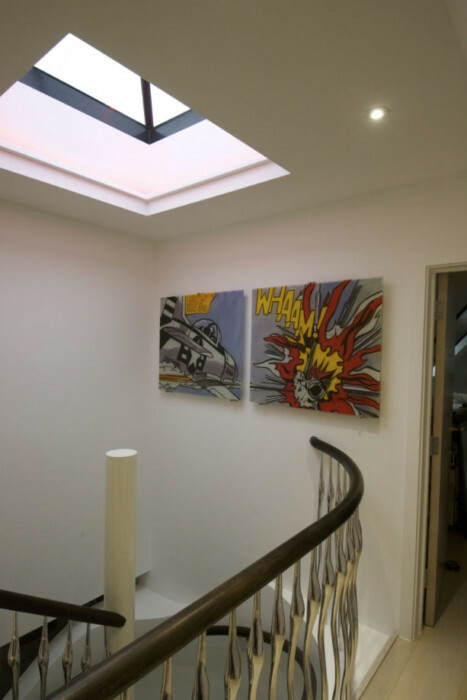 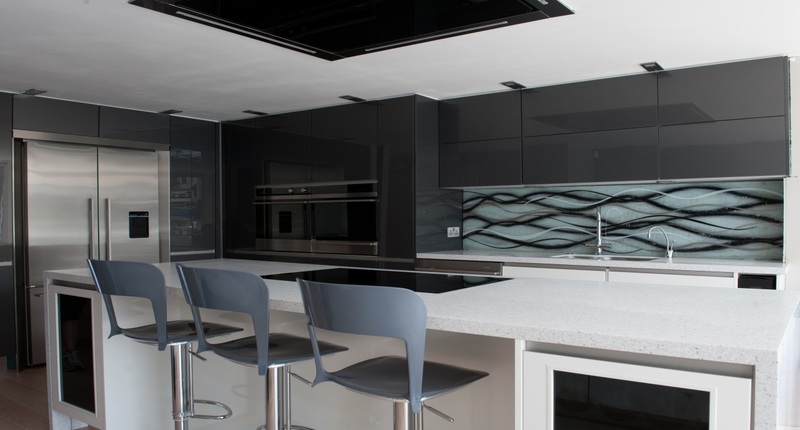 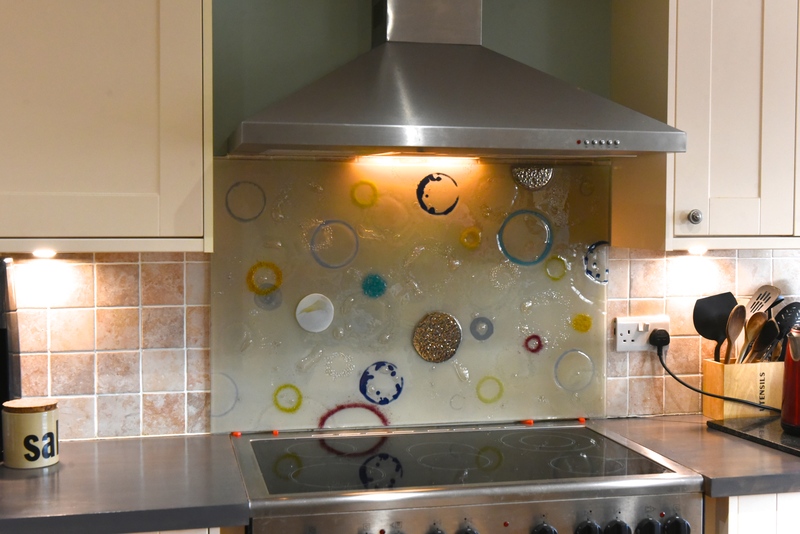 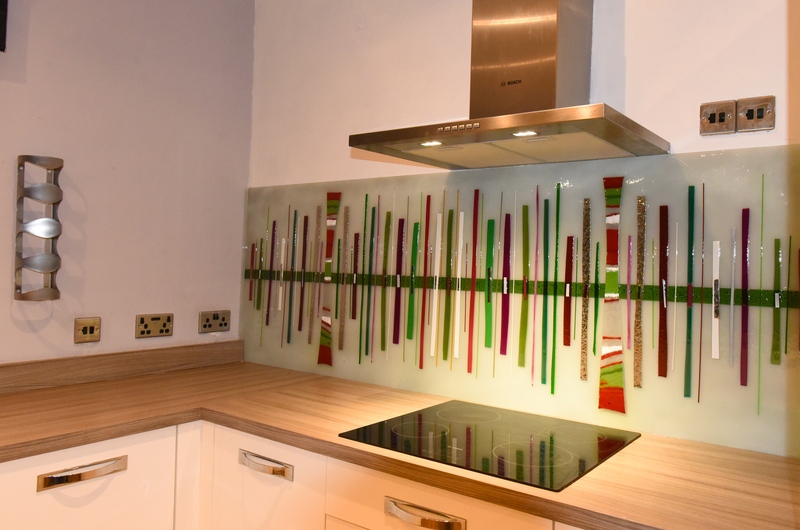 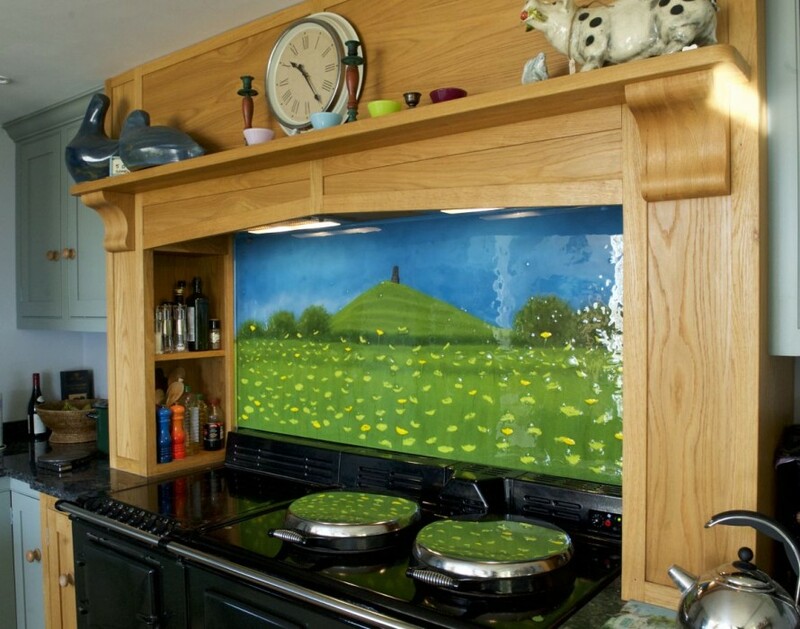 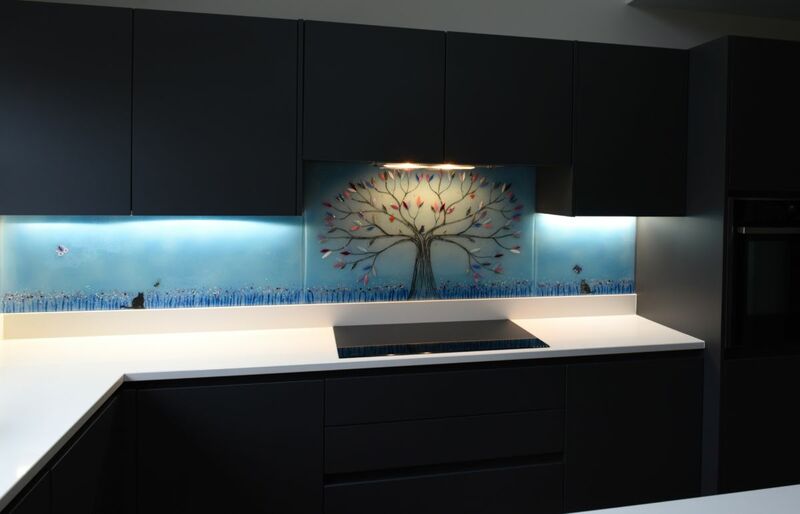 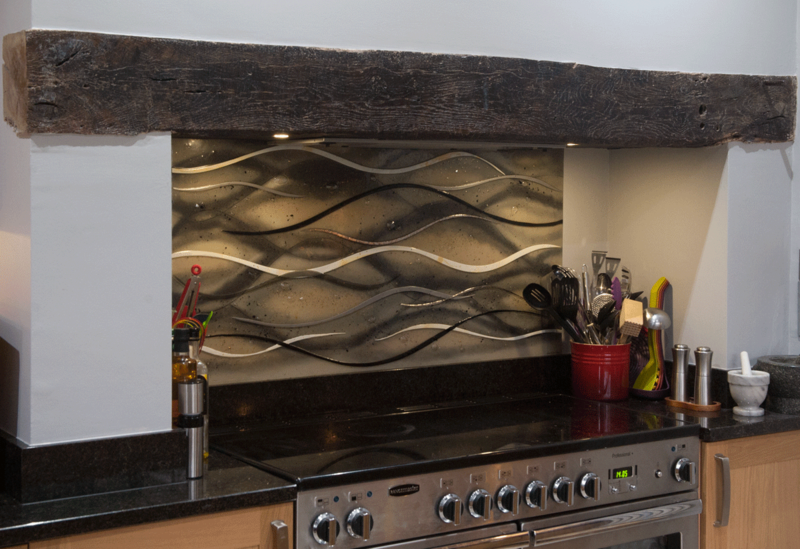 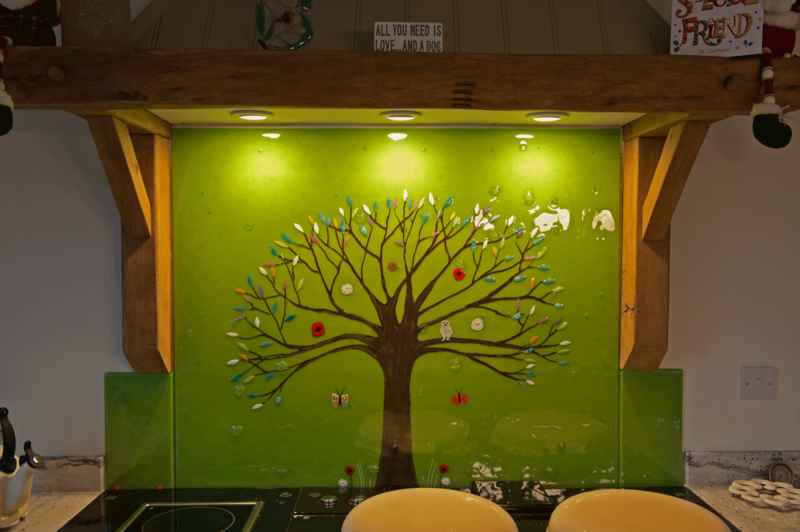 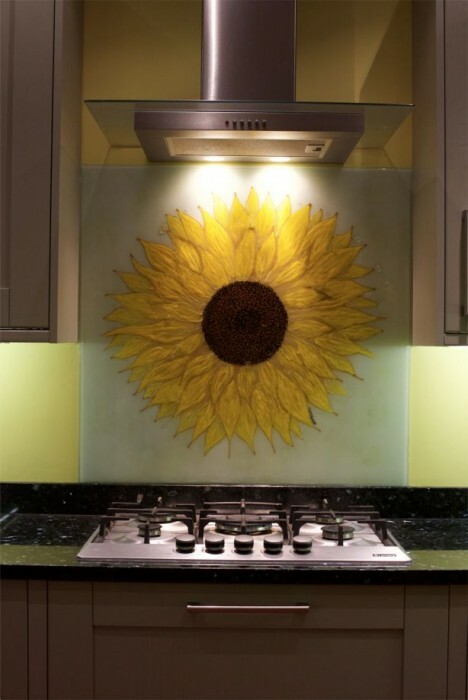 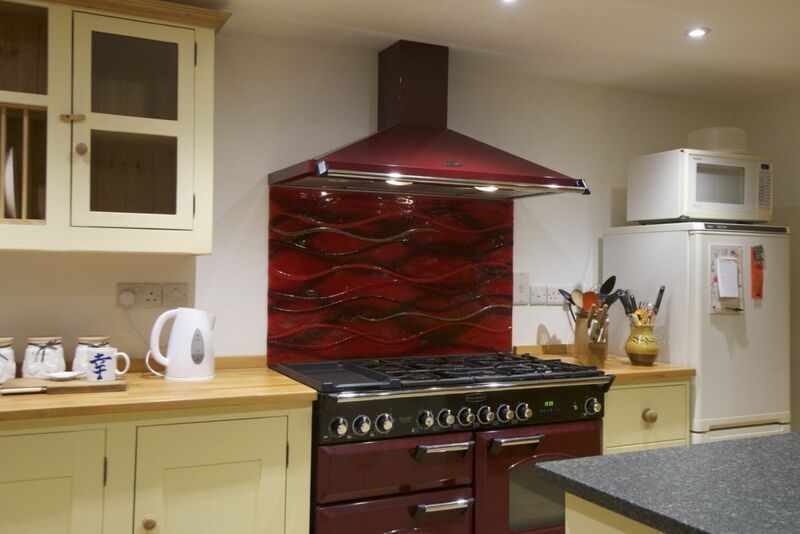 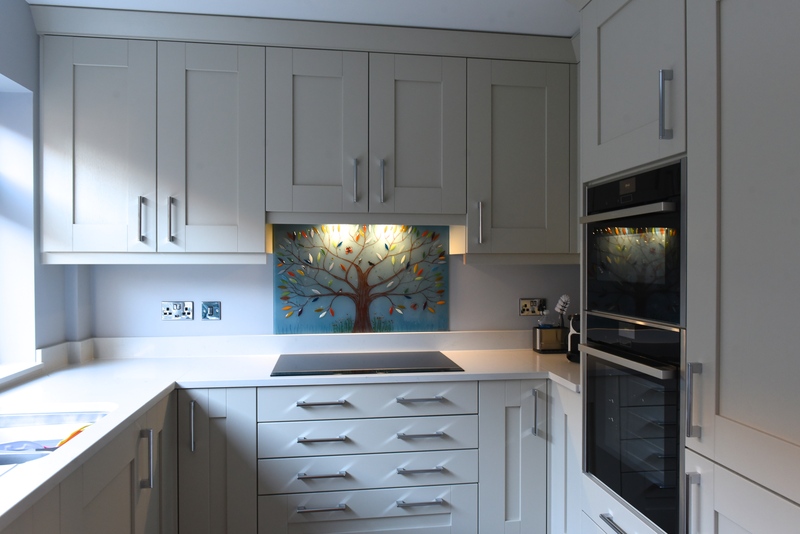 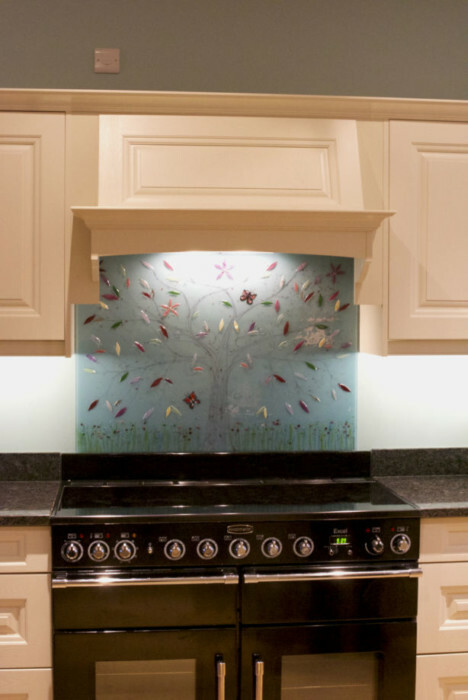 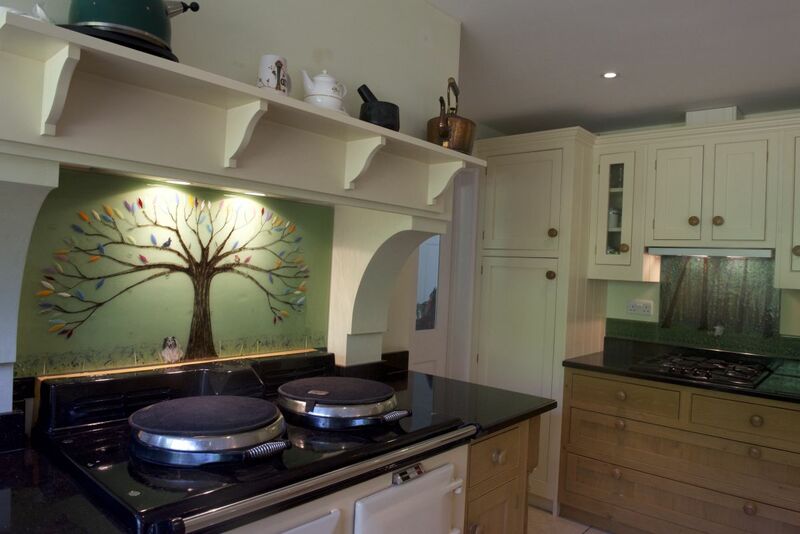 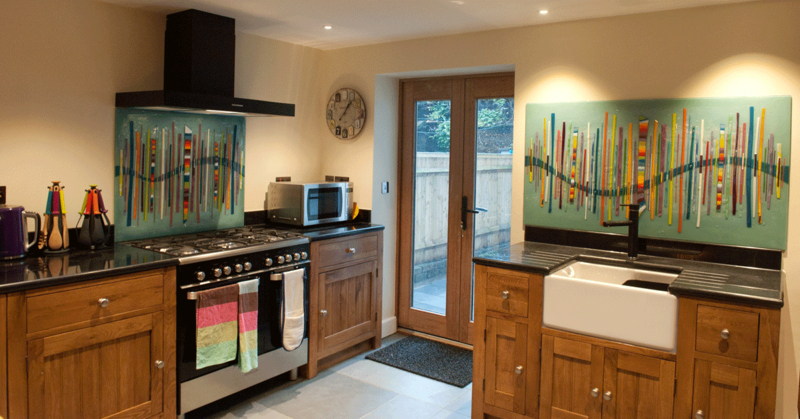 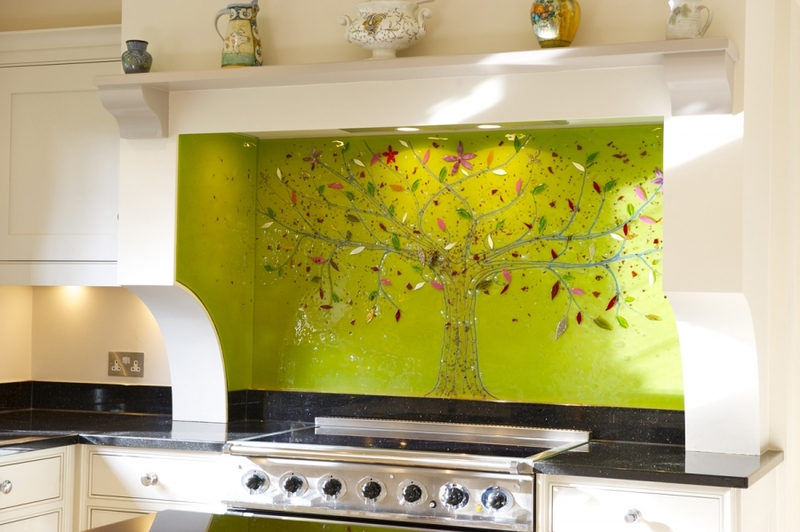 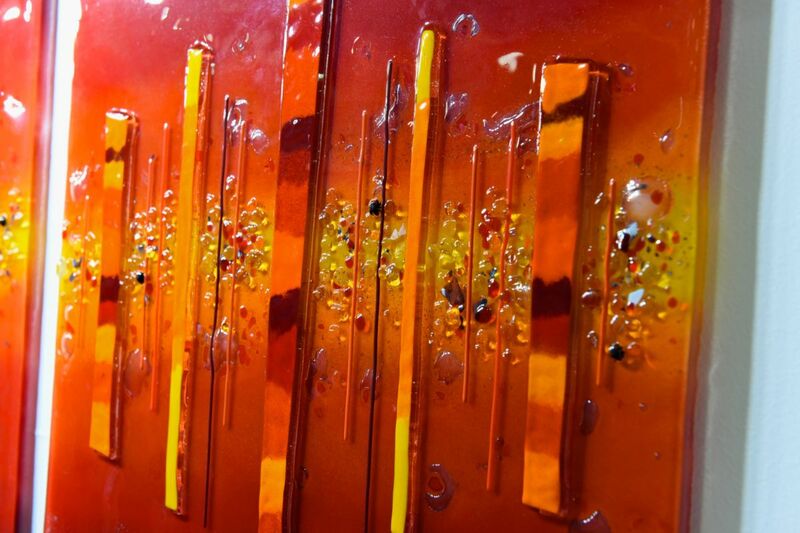 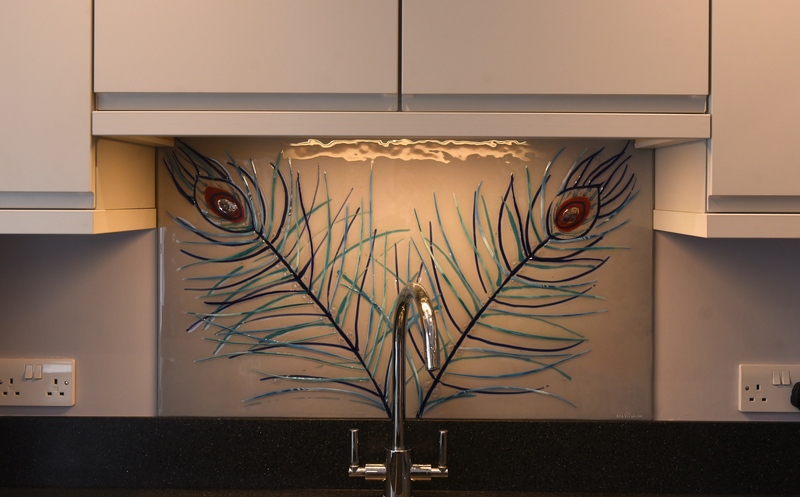 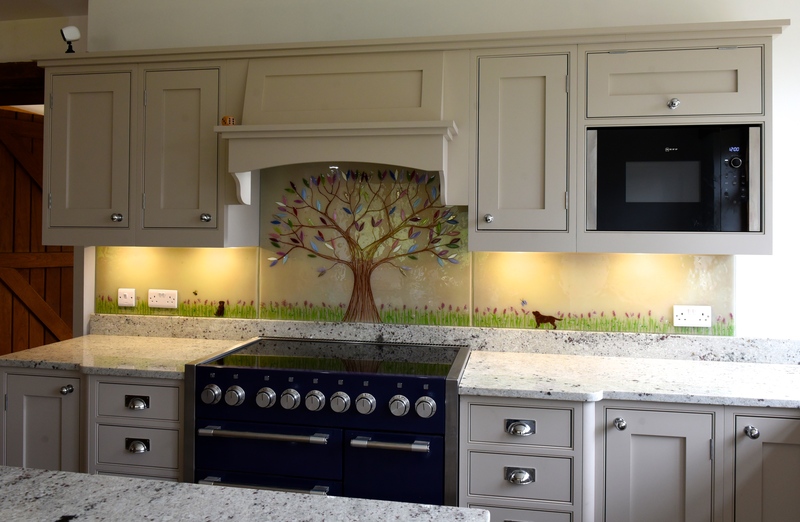 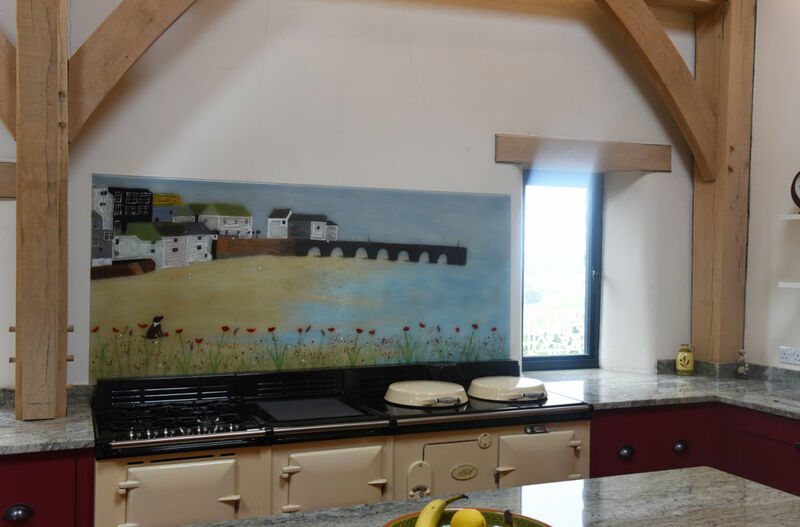 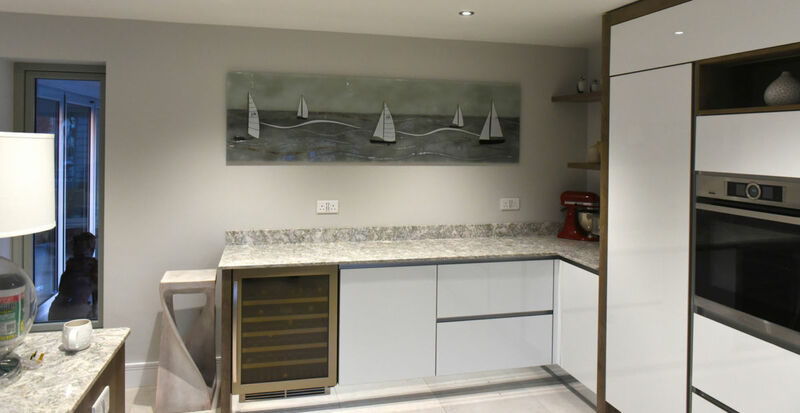 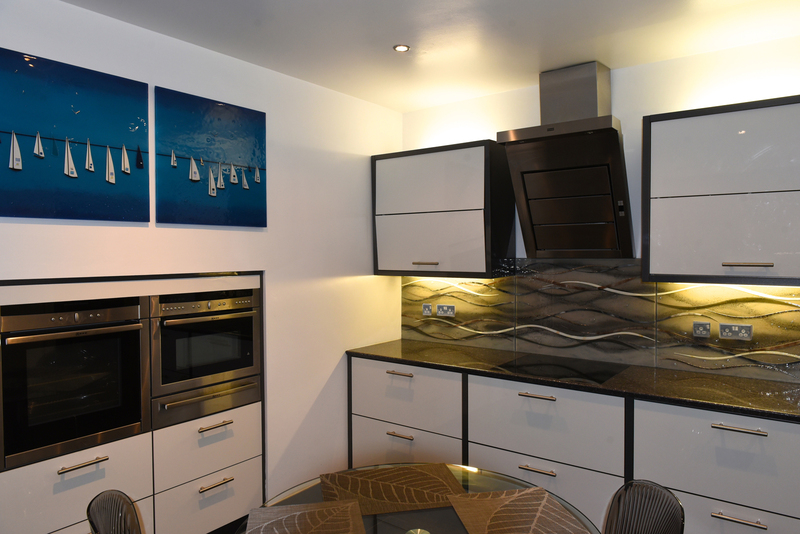 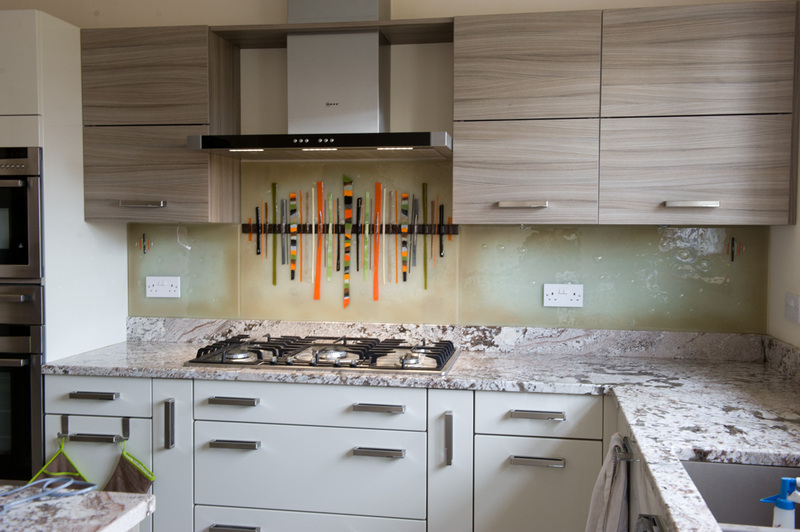 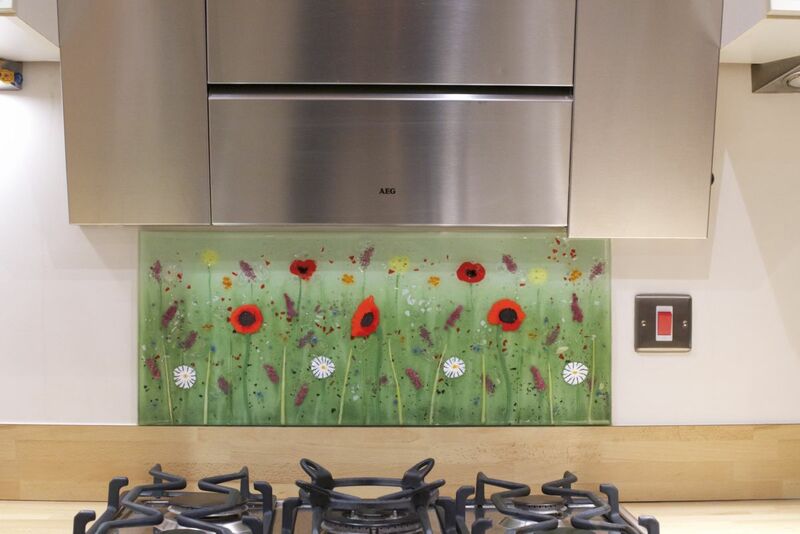 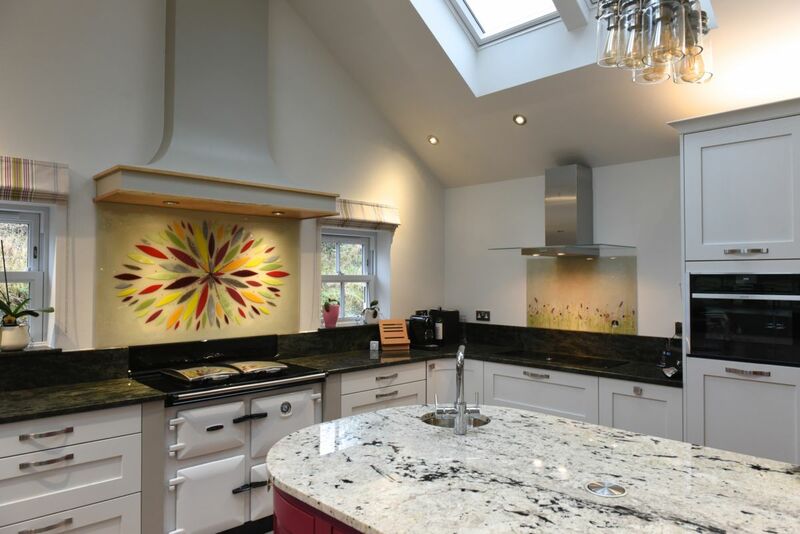 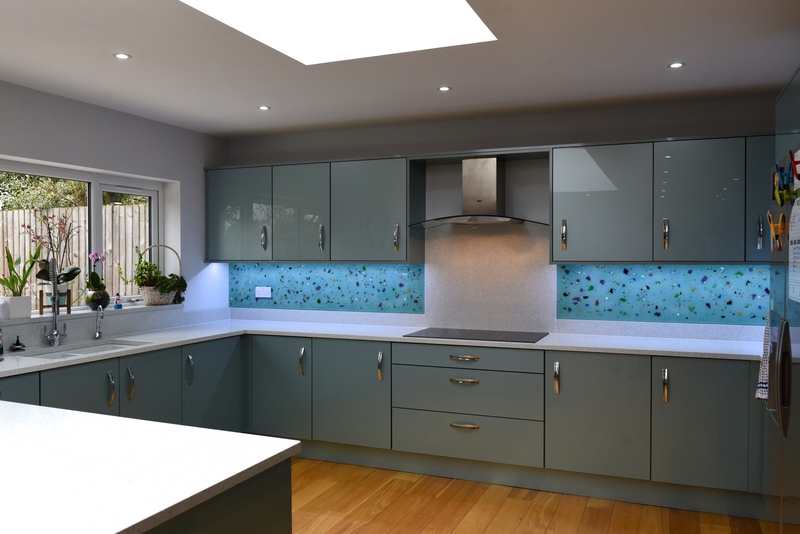 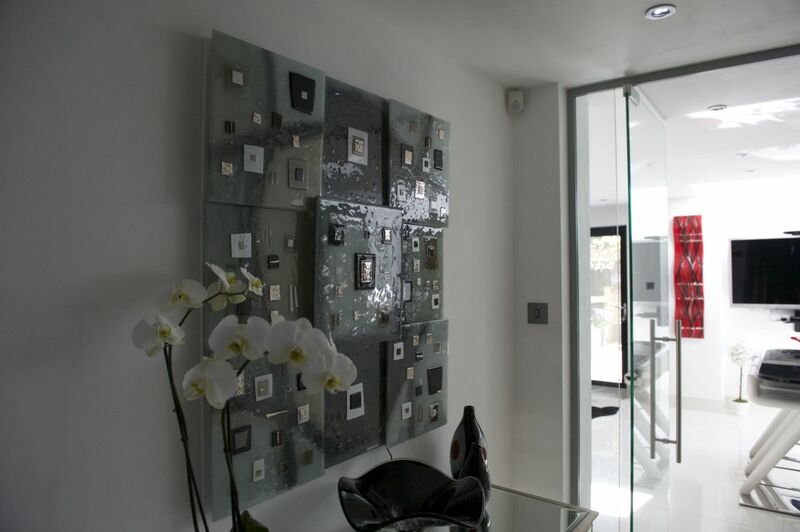 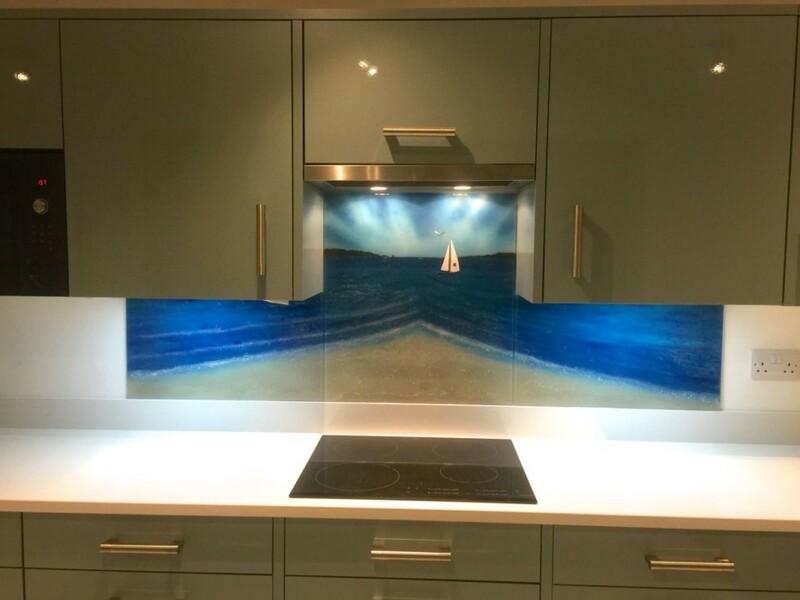 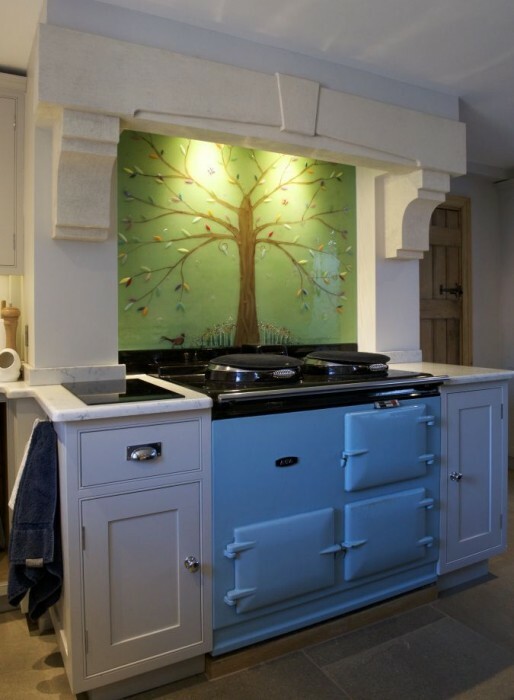 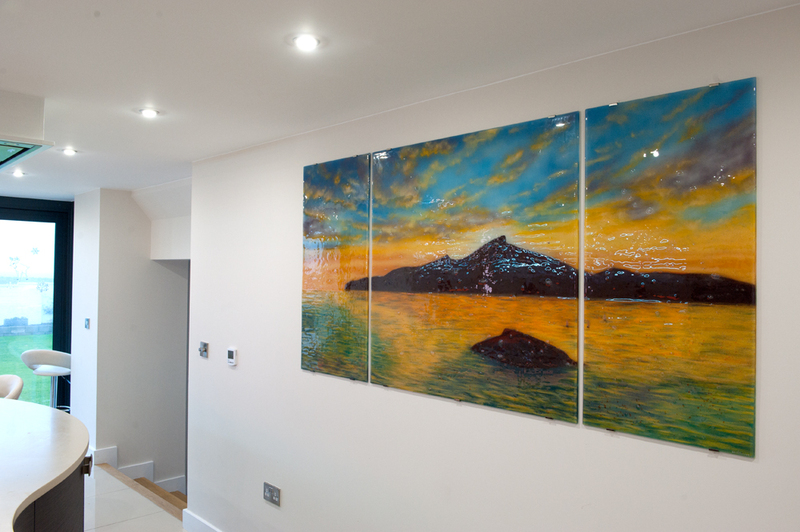 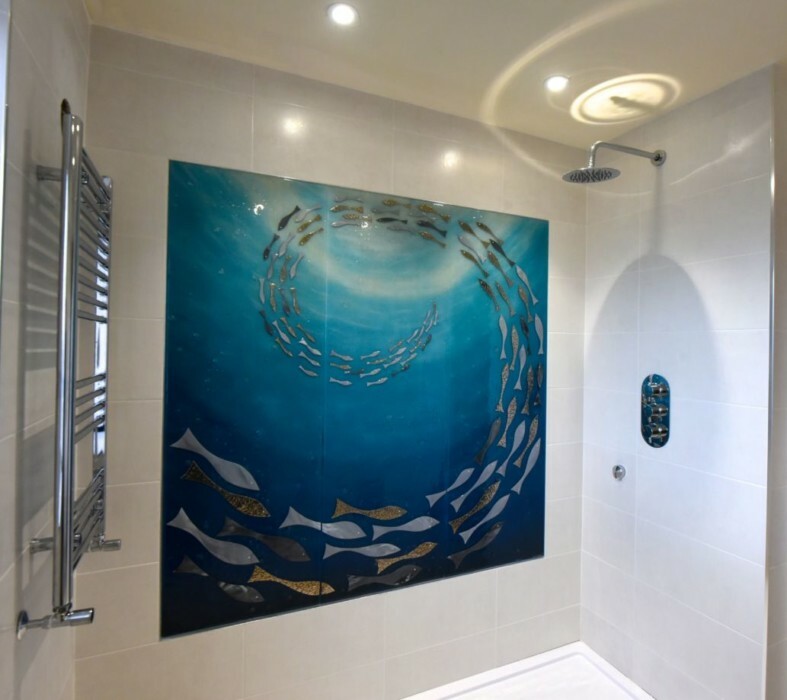 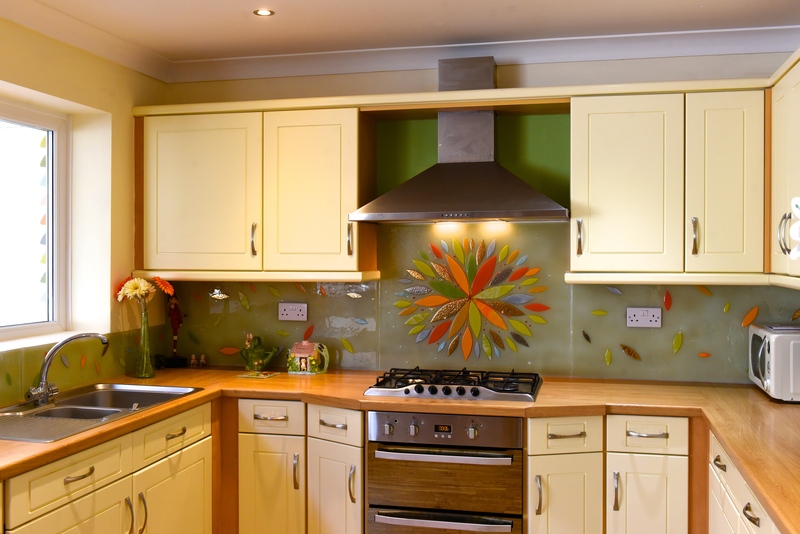 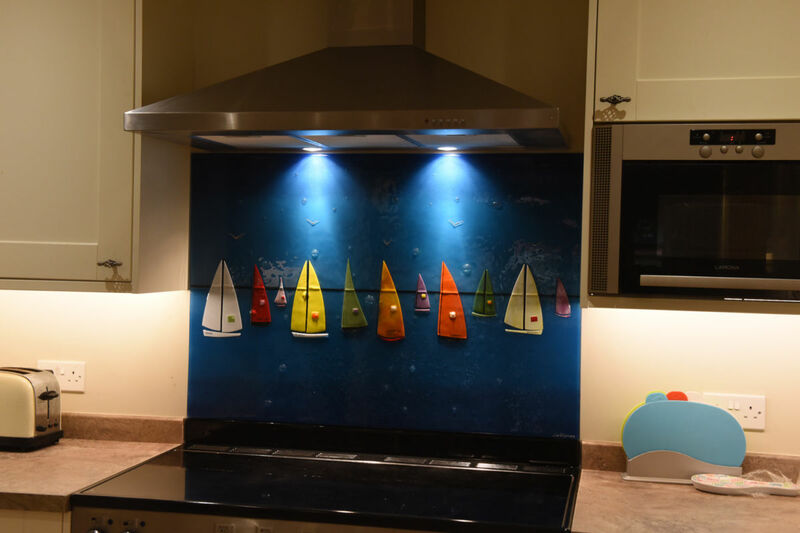 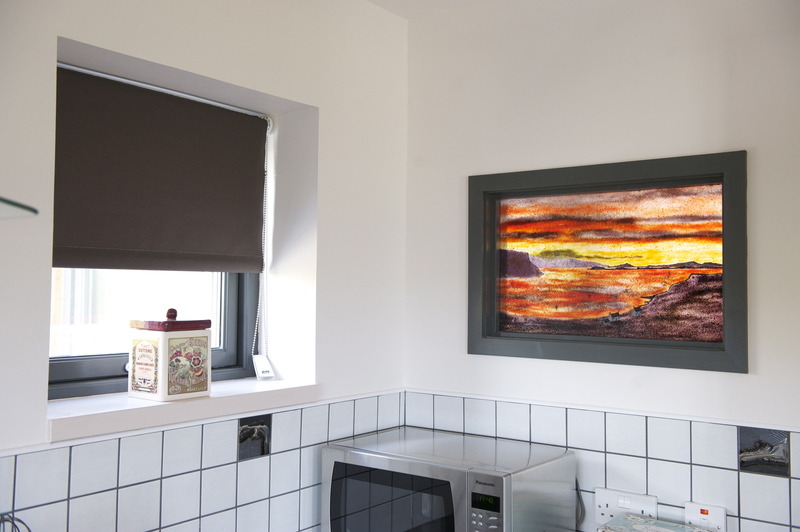 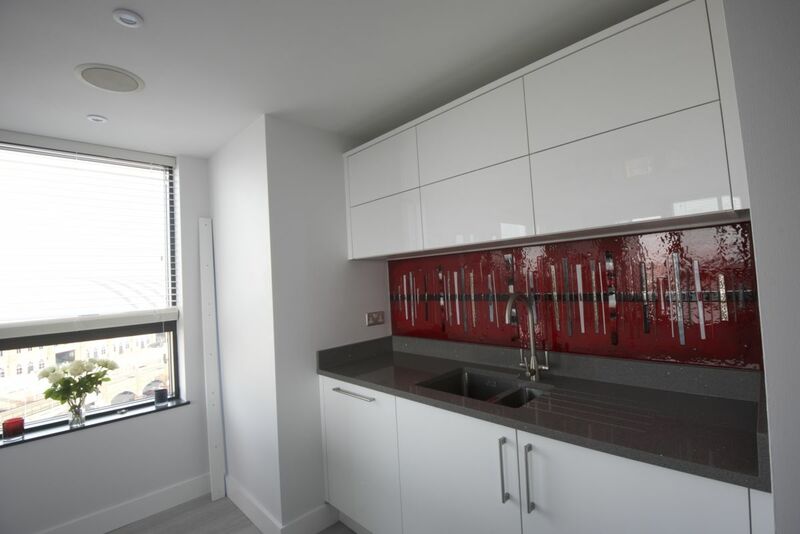 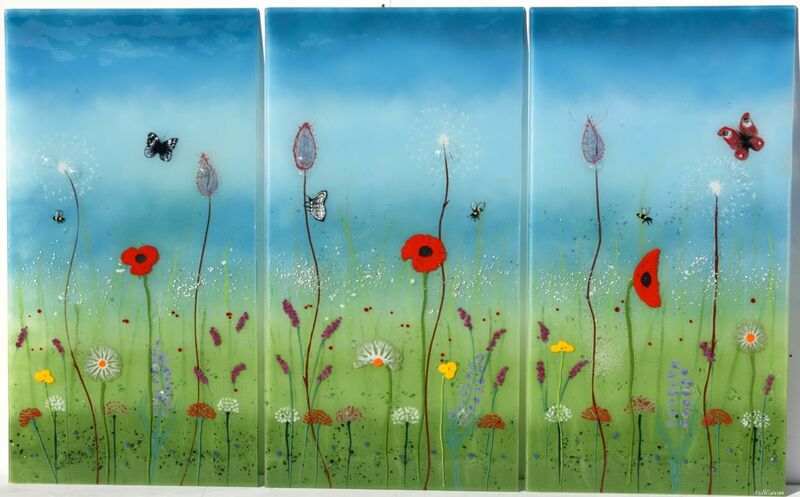 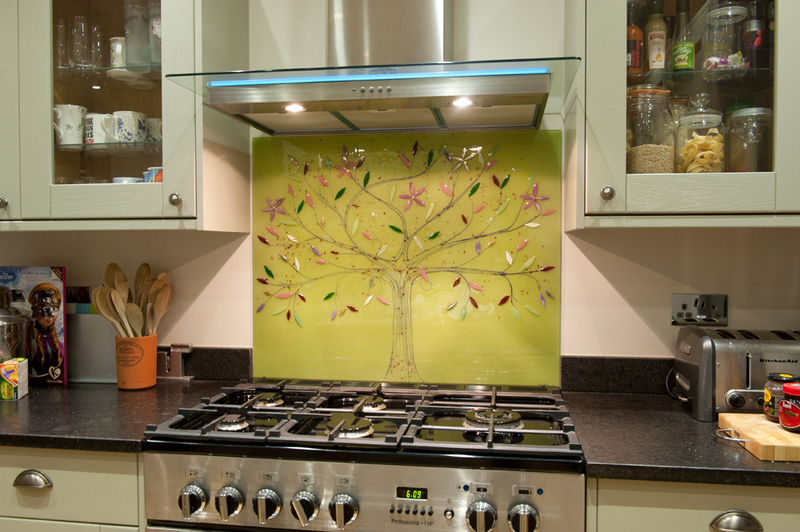 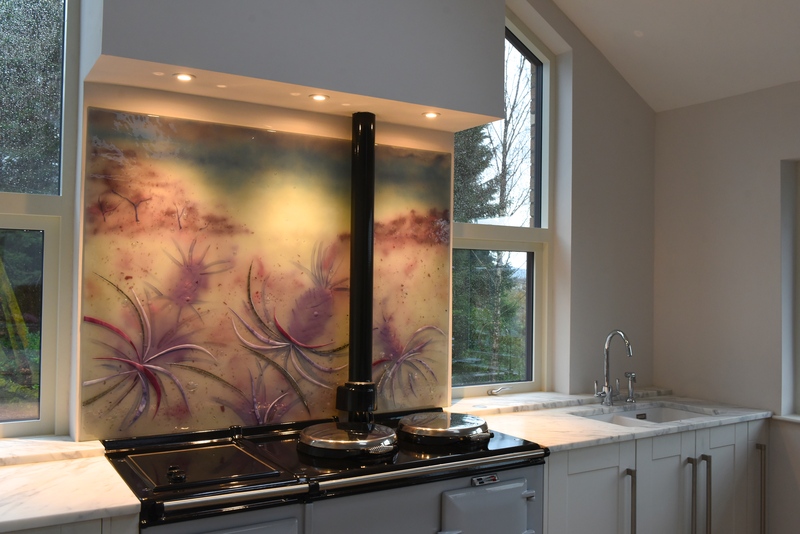 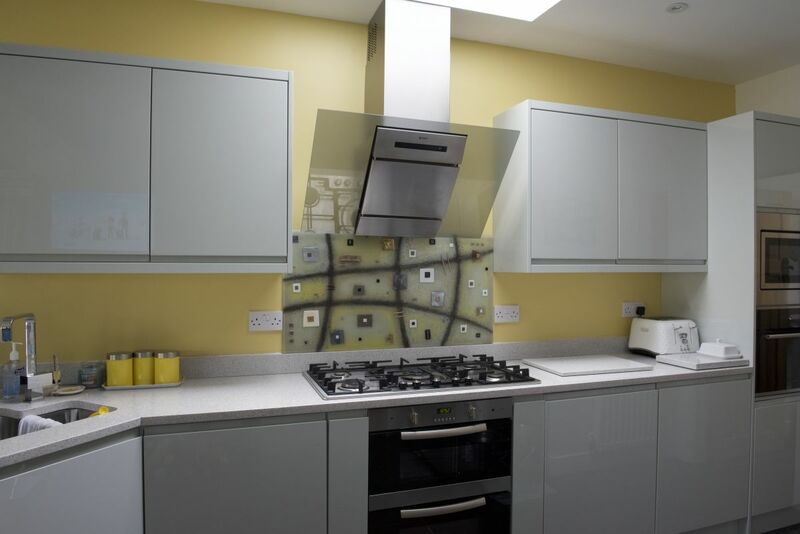 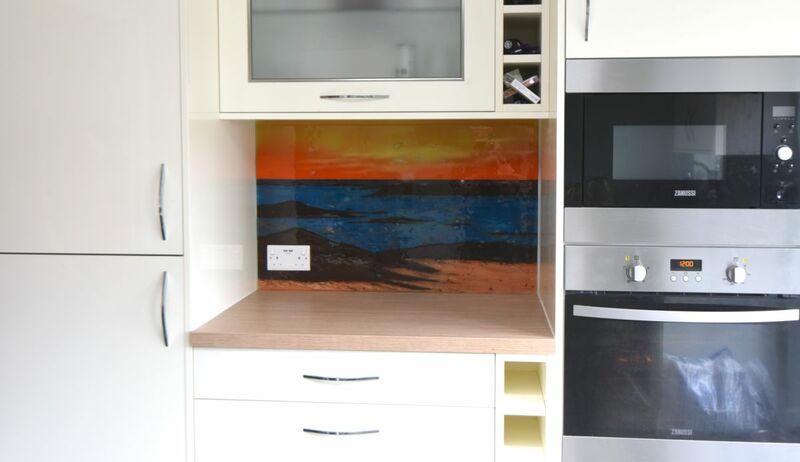 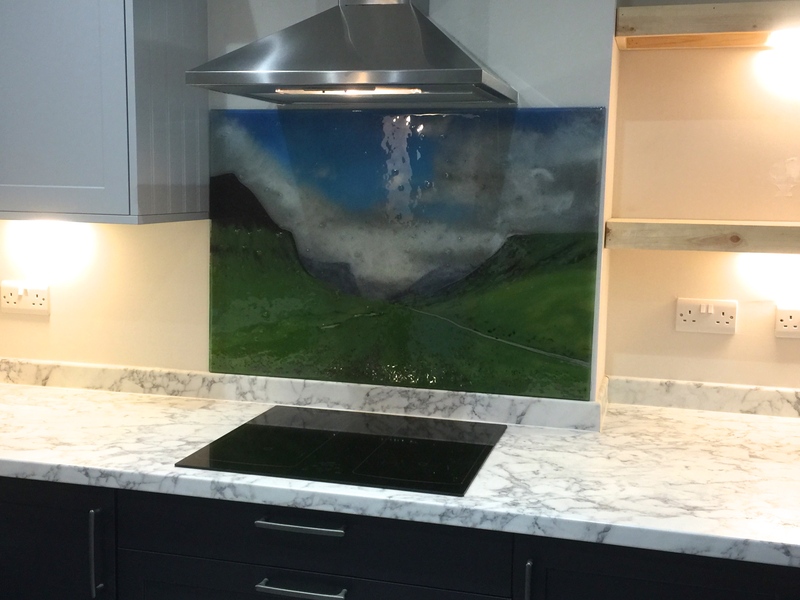 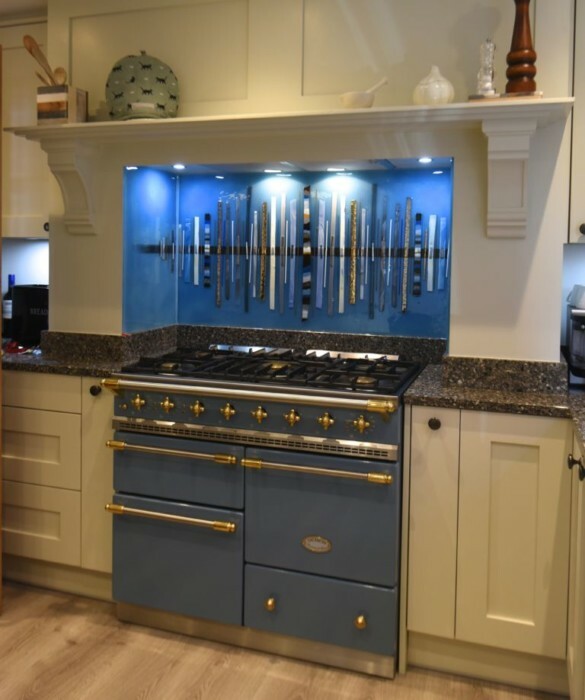 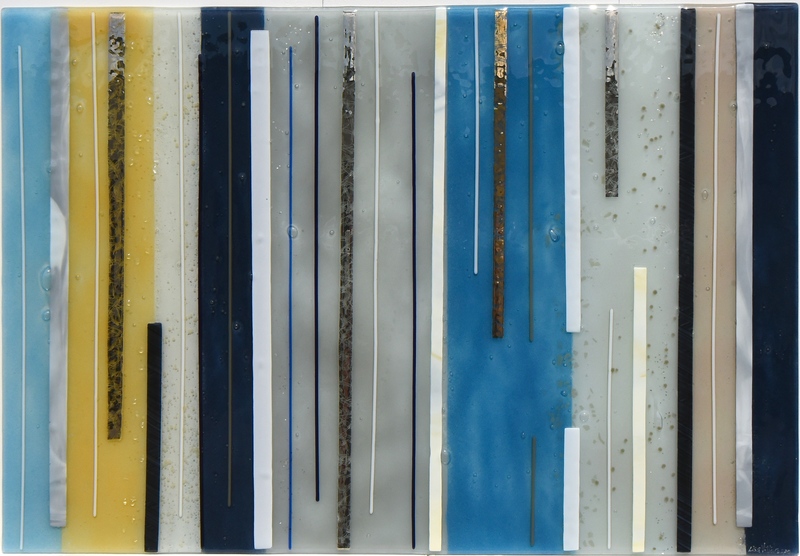 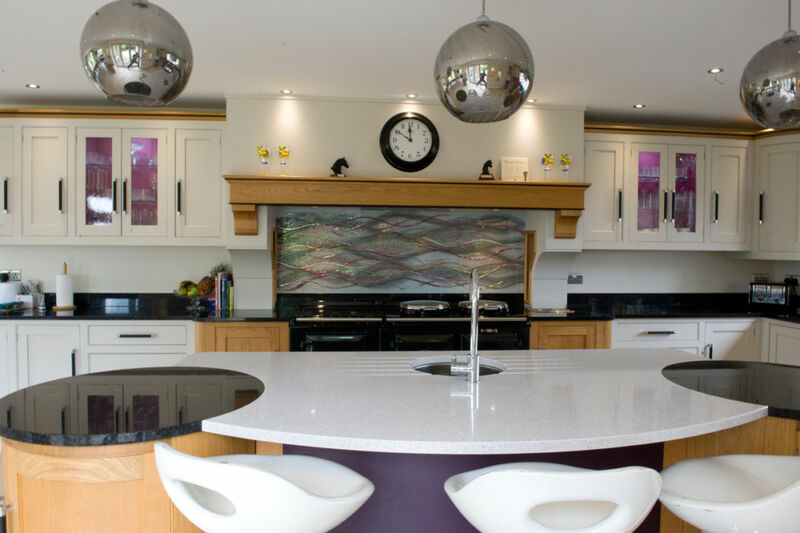 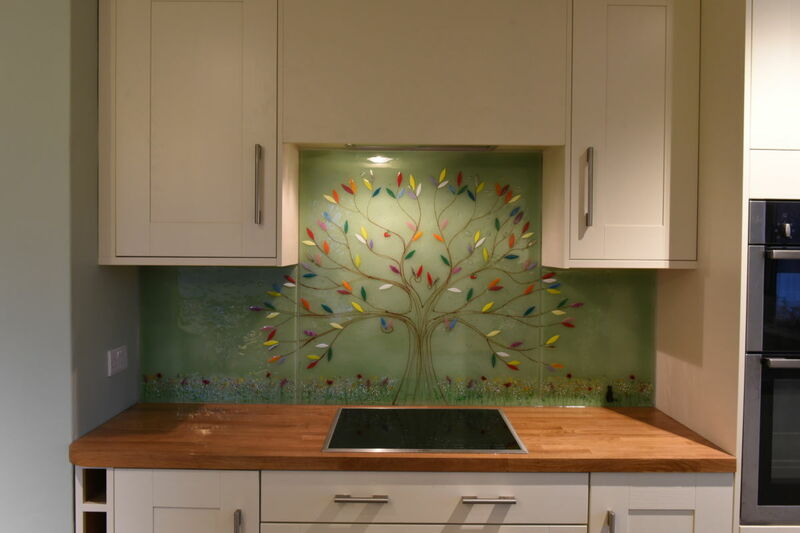 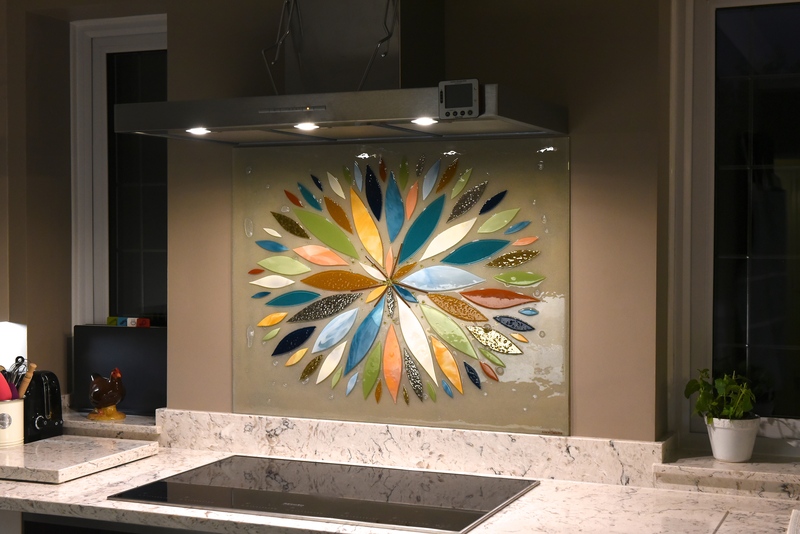 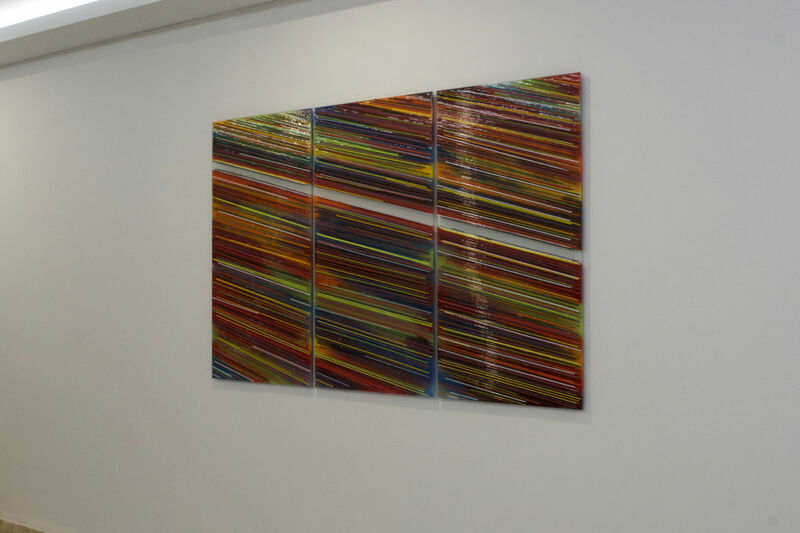 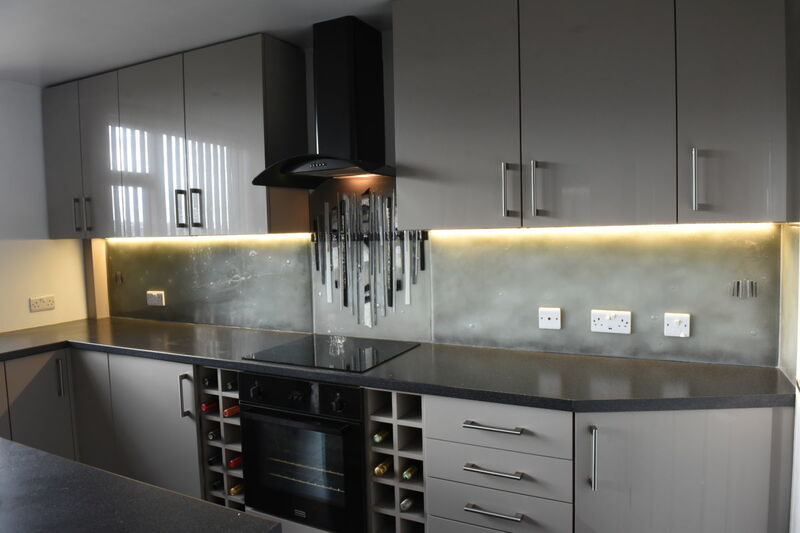 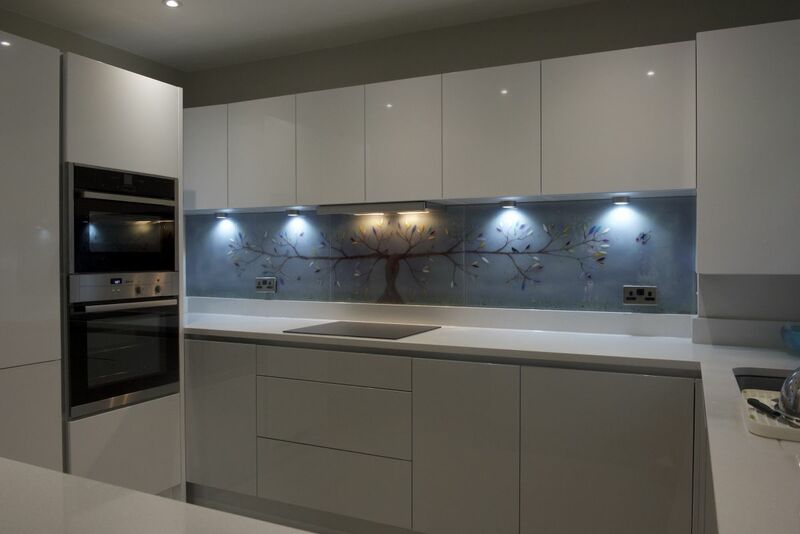 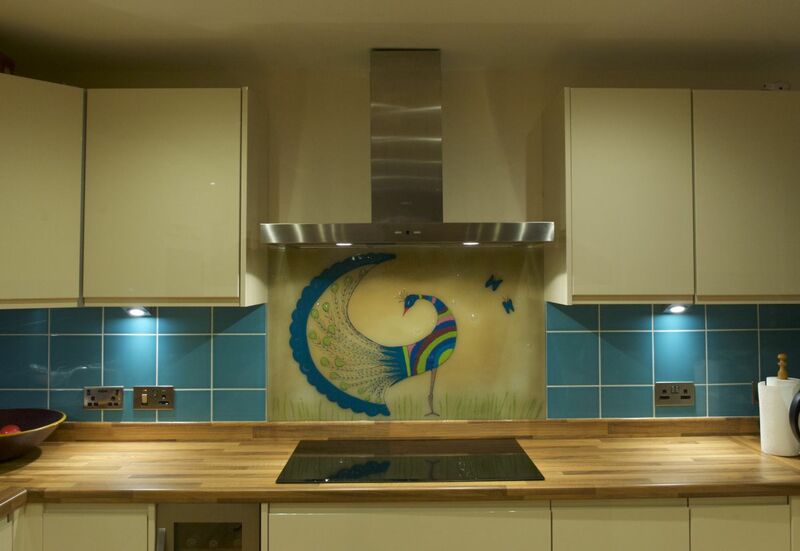 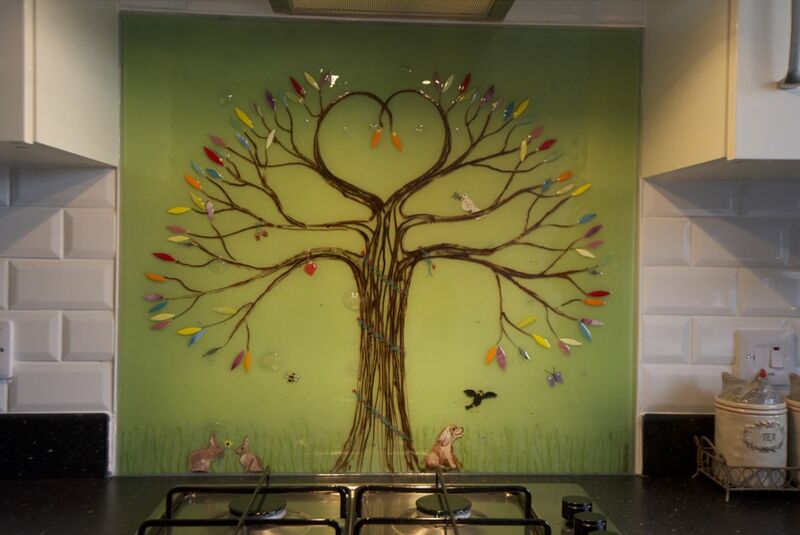 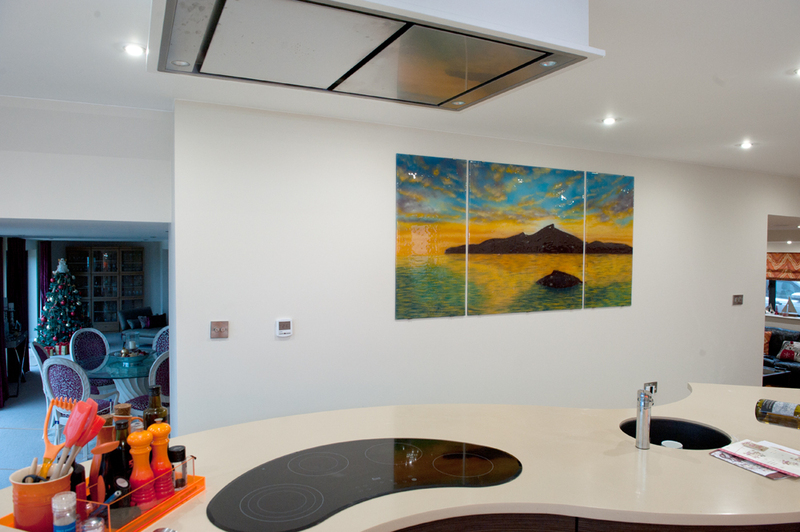 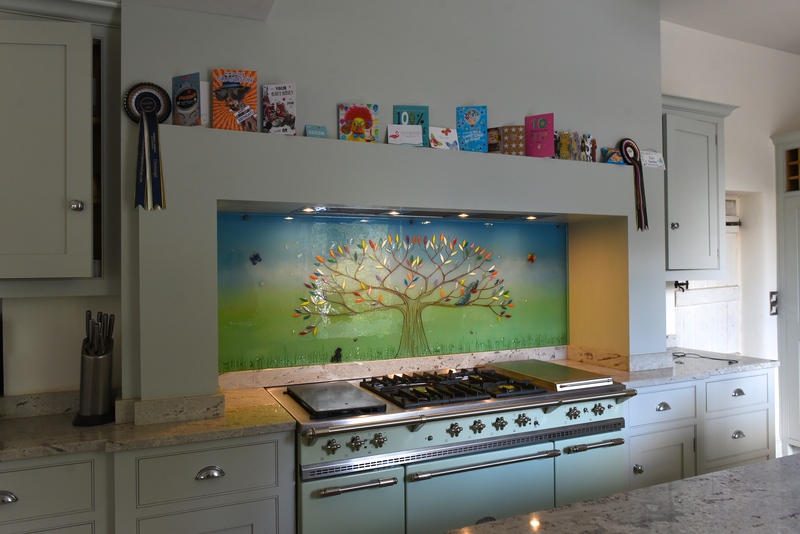 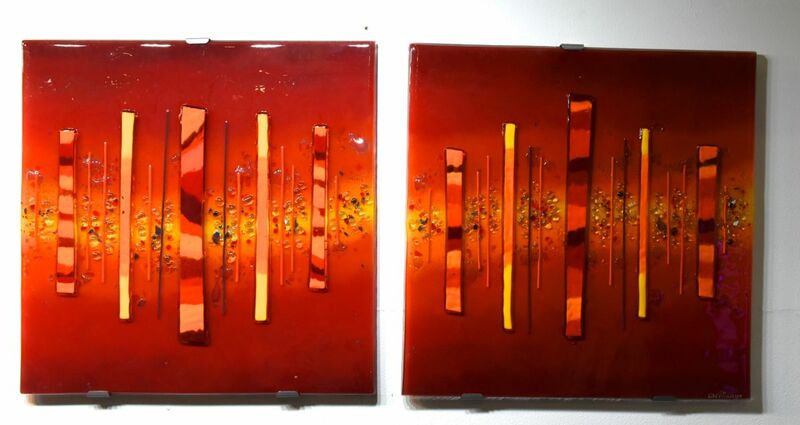 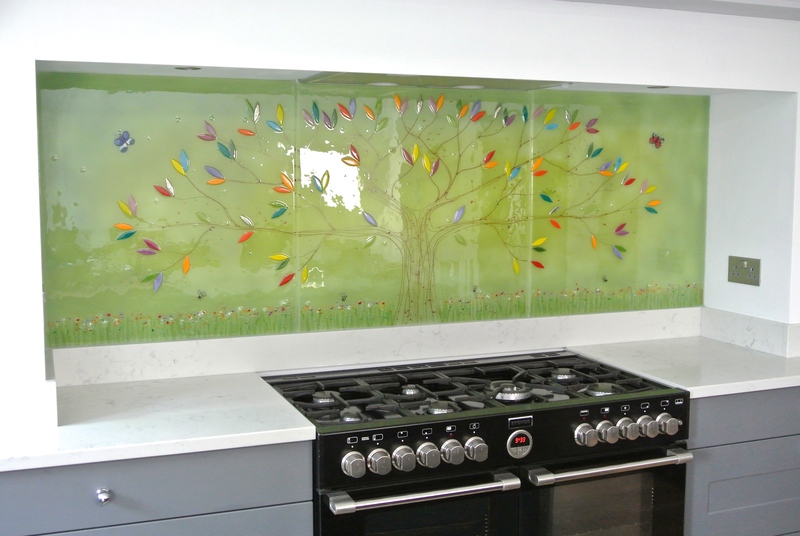 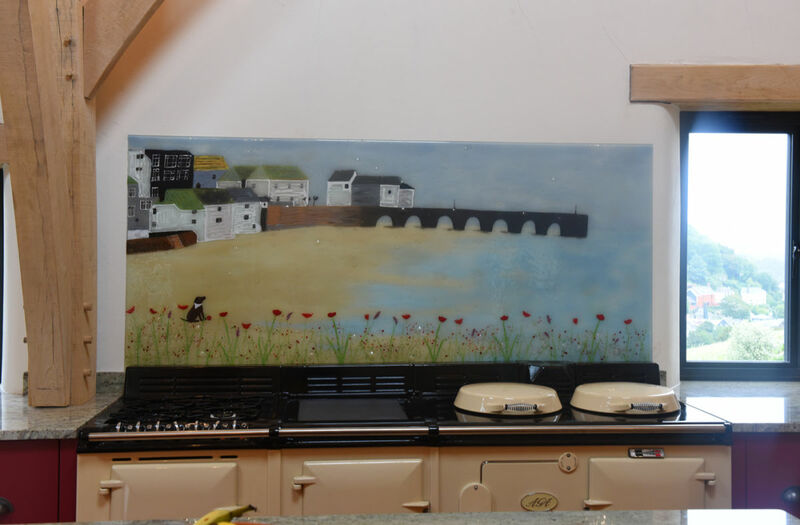 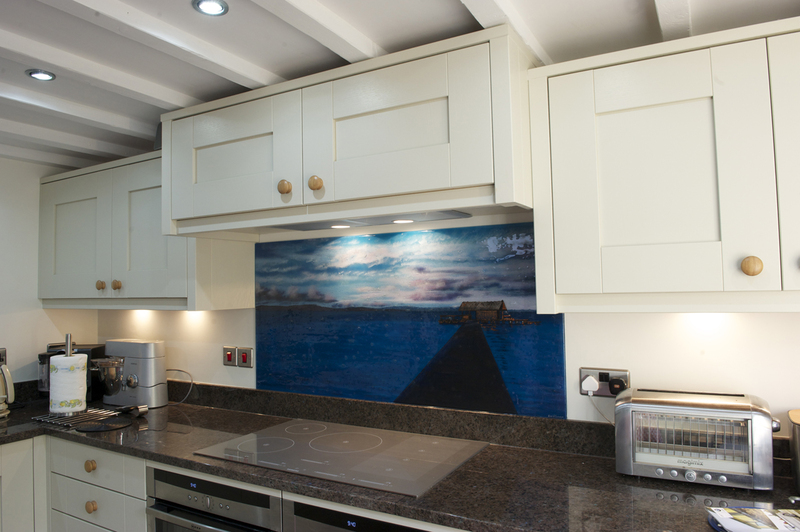 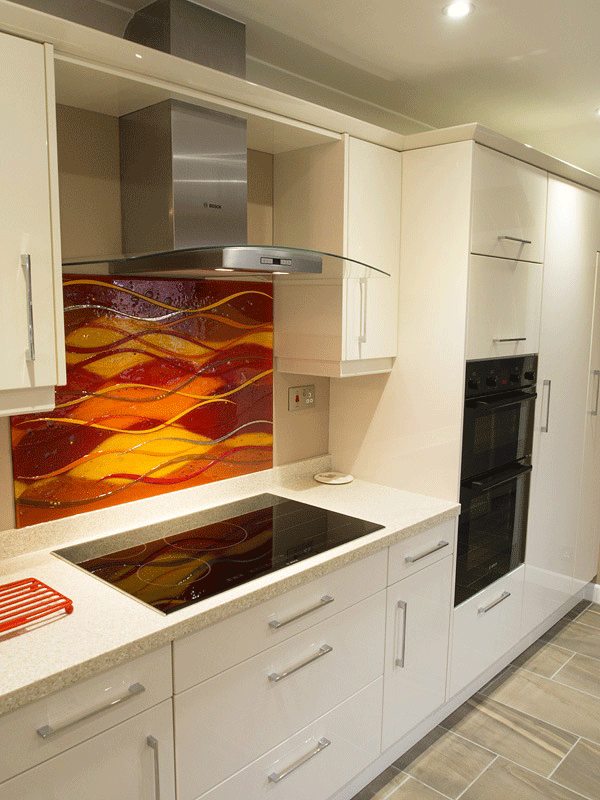 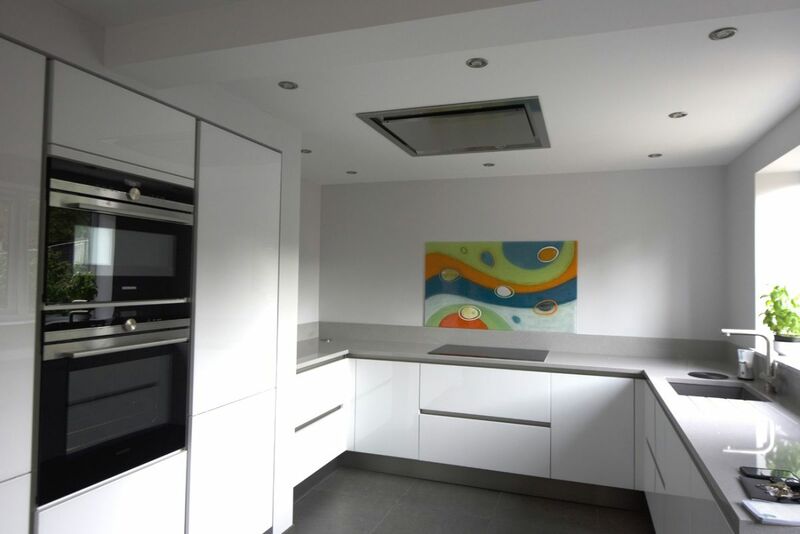 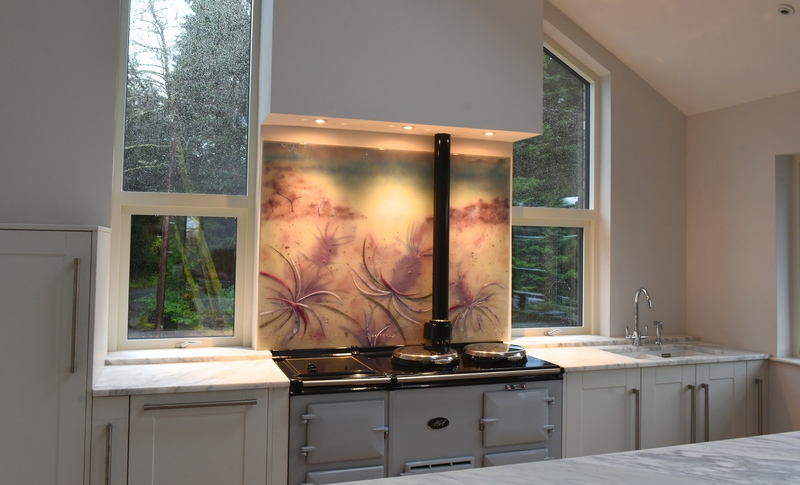 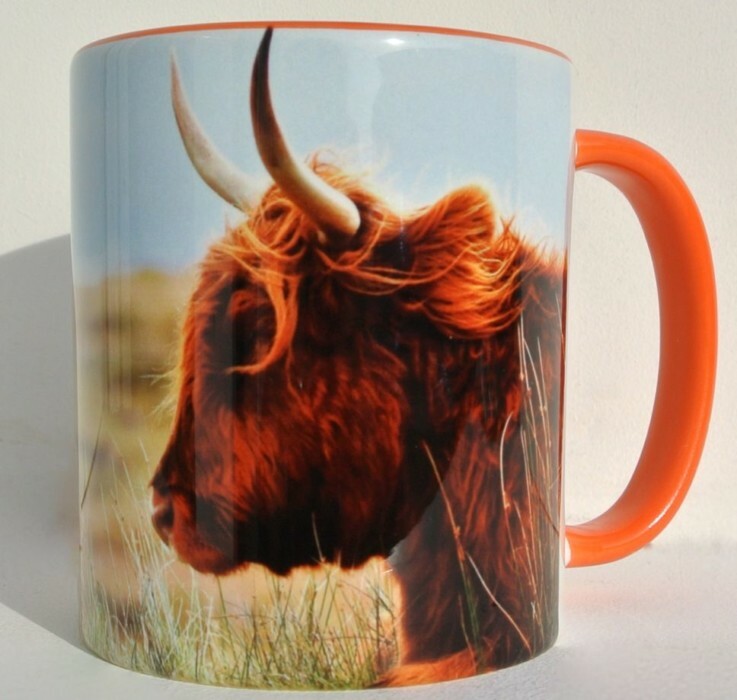 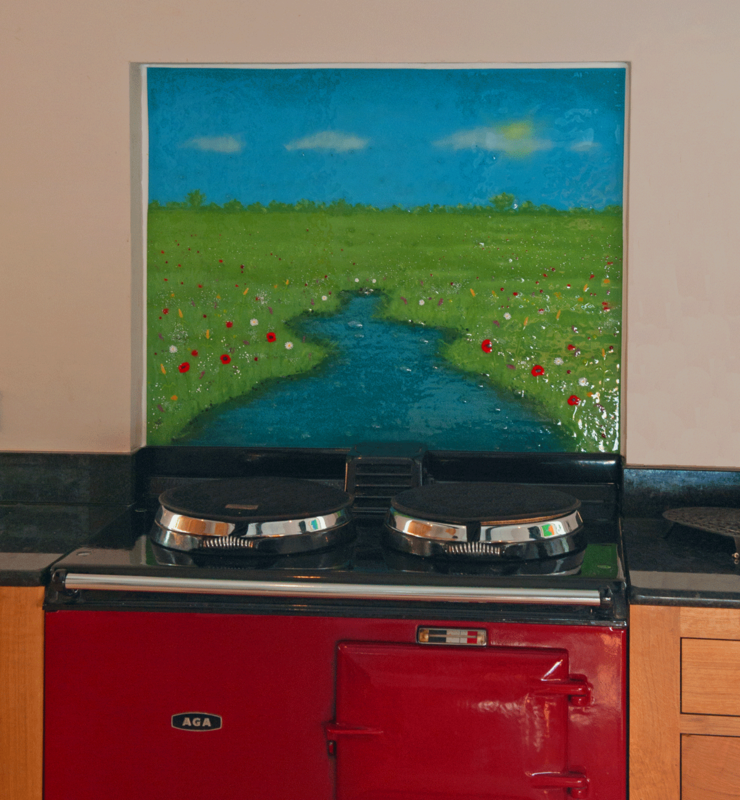 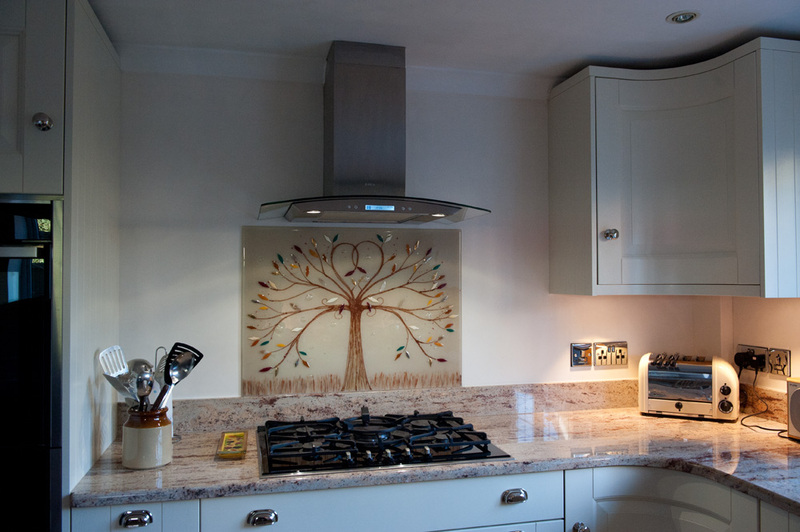 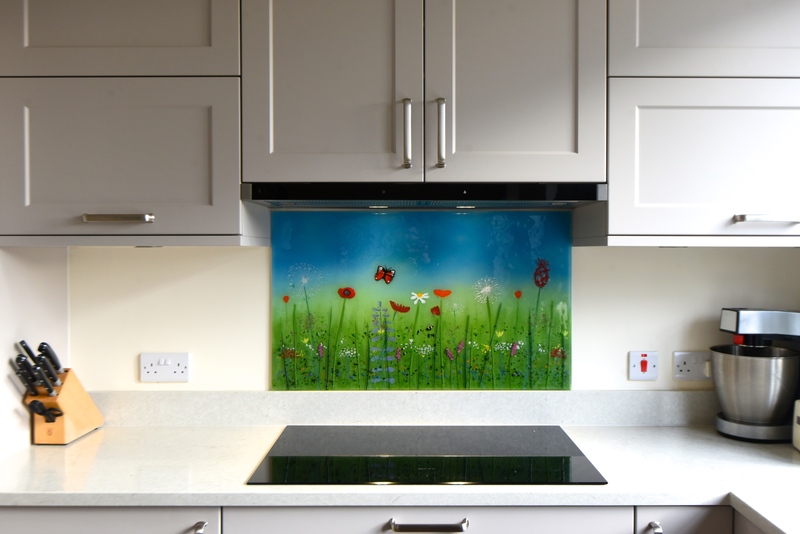 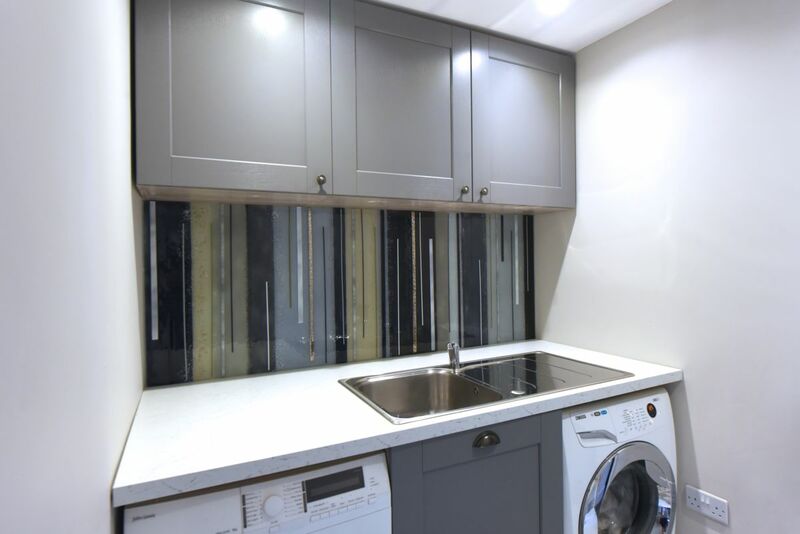 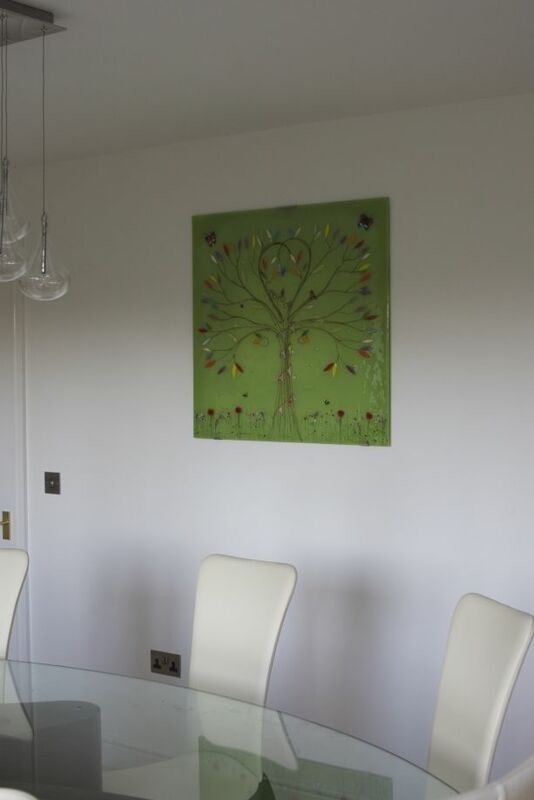 If you’re enticed by the prospect of putting one of our gorgeous glass splashbacks behind your cooker, or if you have some ideas for the perfect glass wall art design, make sure you don’t wait to get in touch. 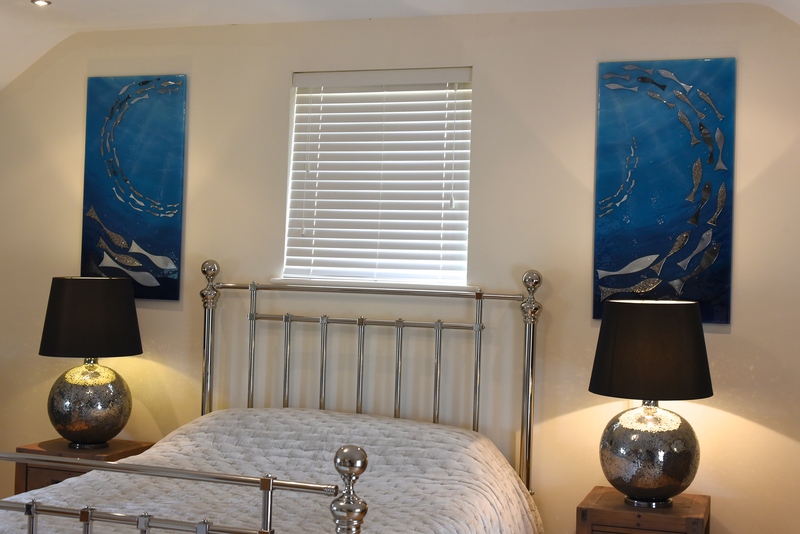 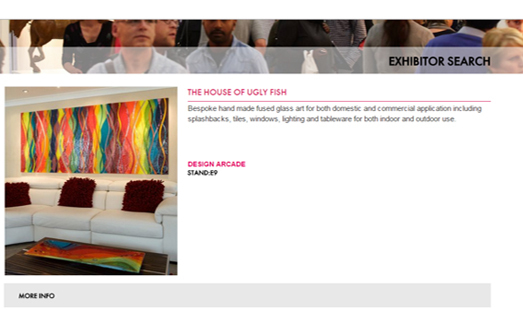 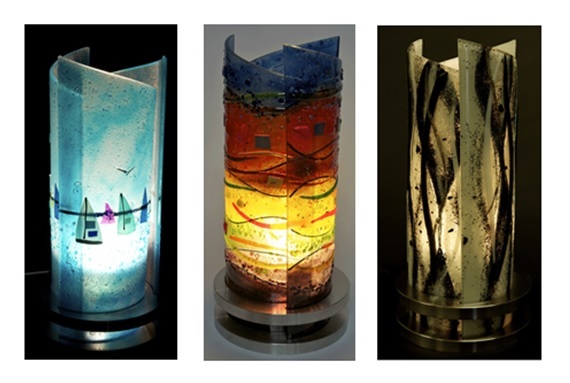 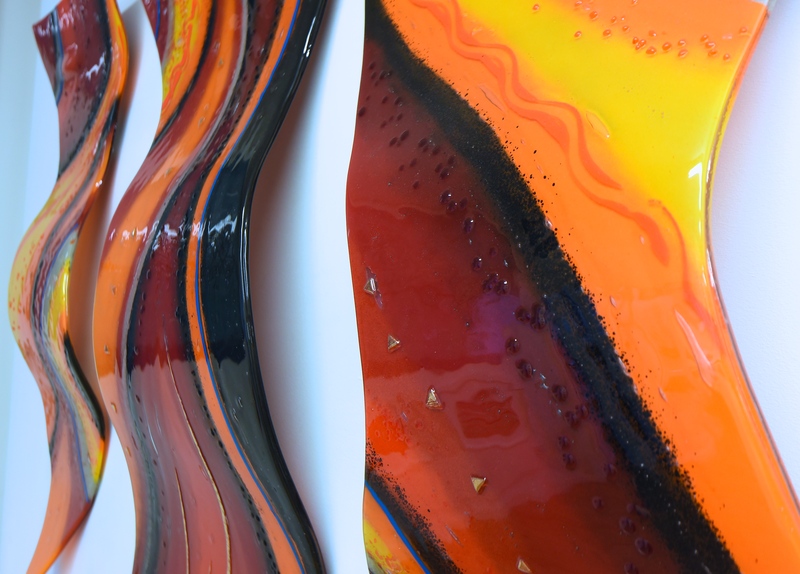 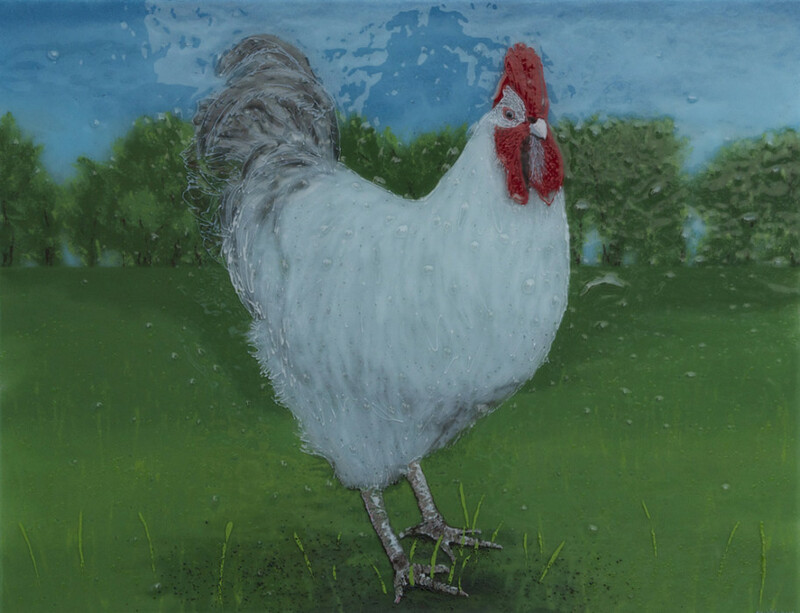 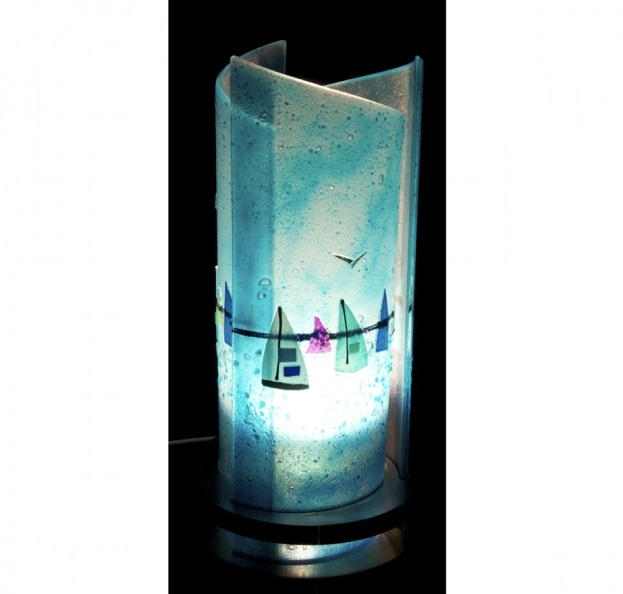 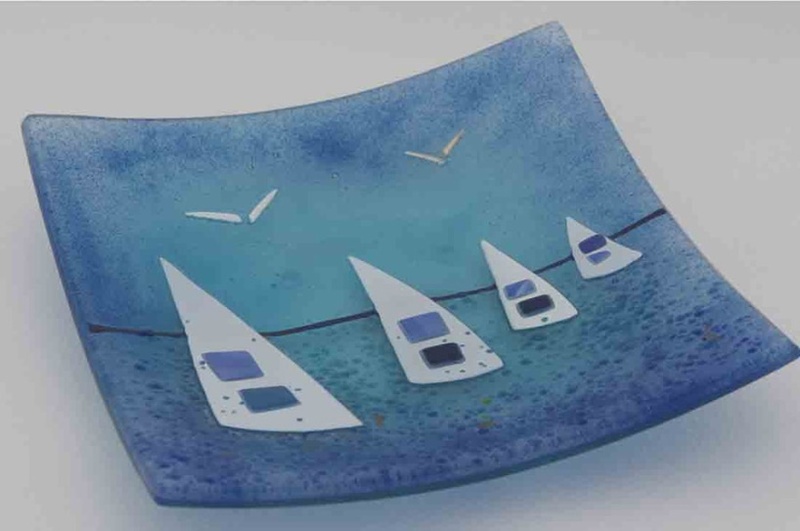 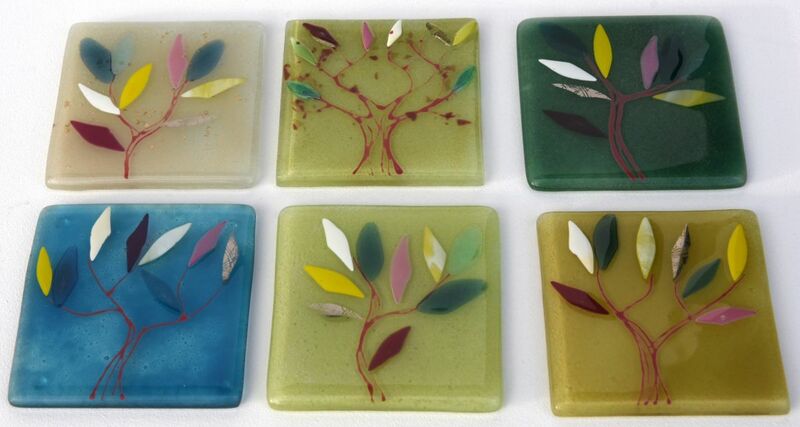 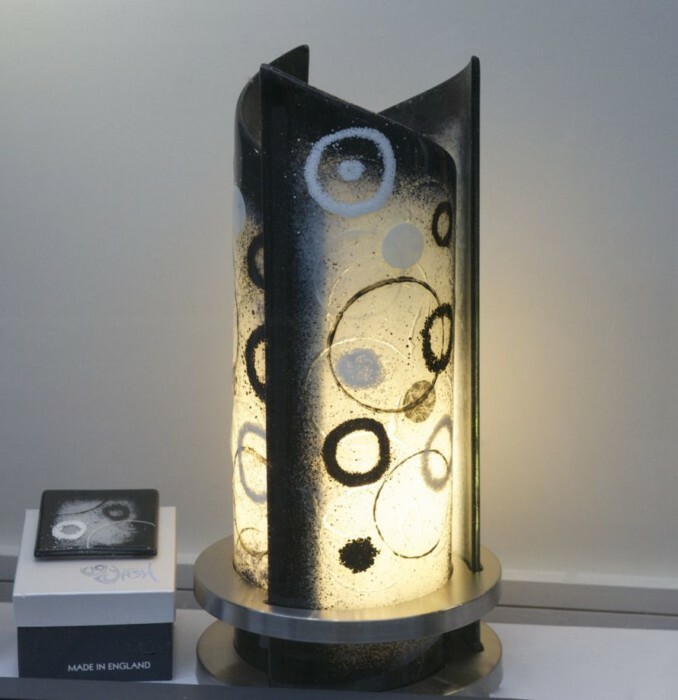 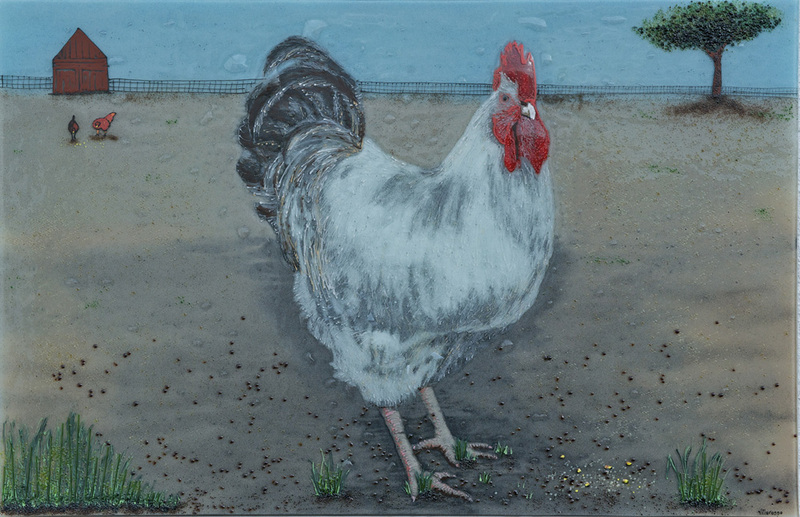 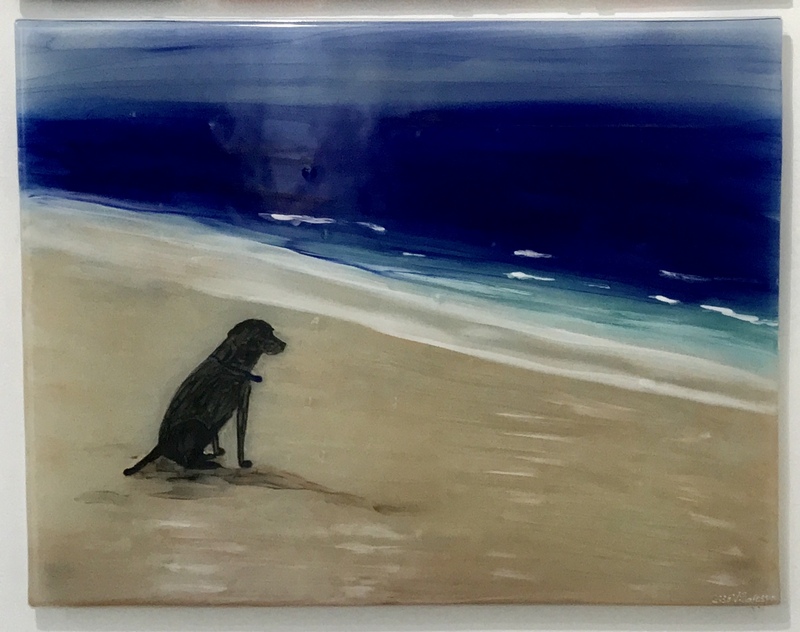 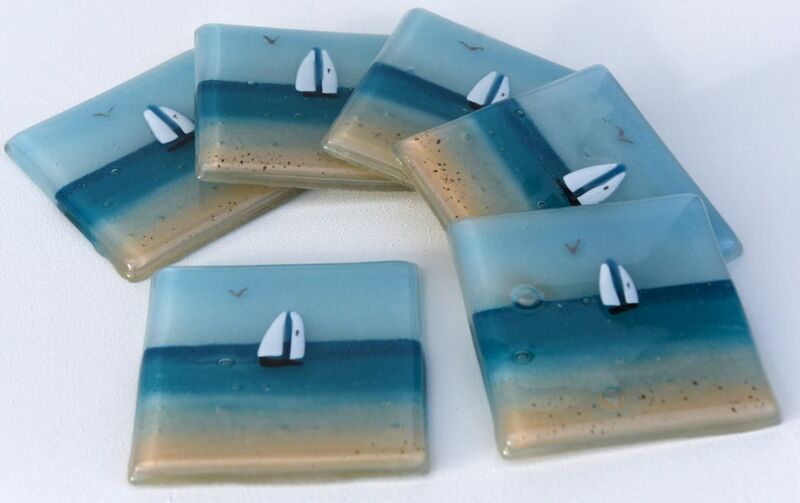 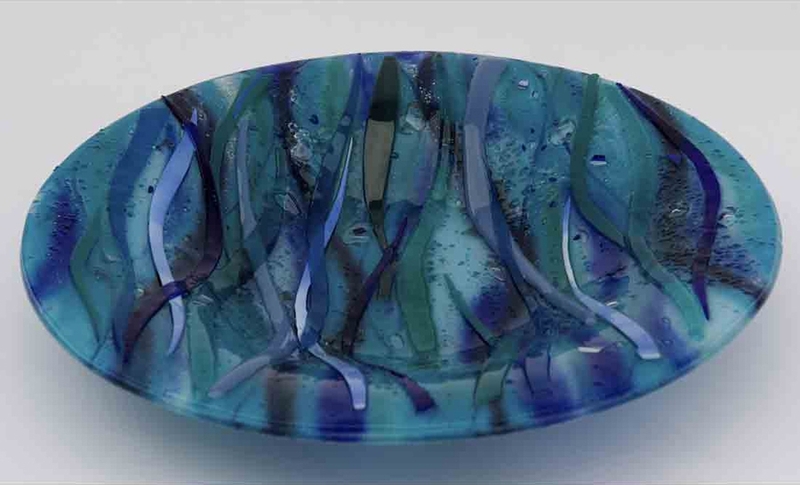 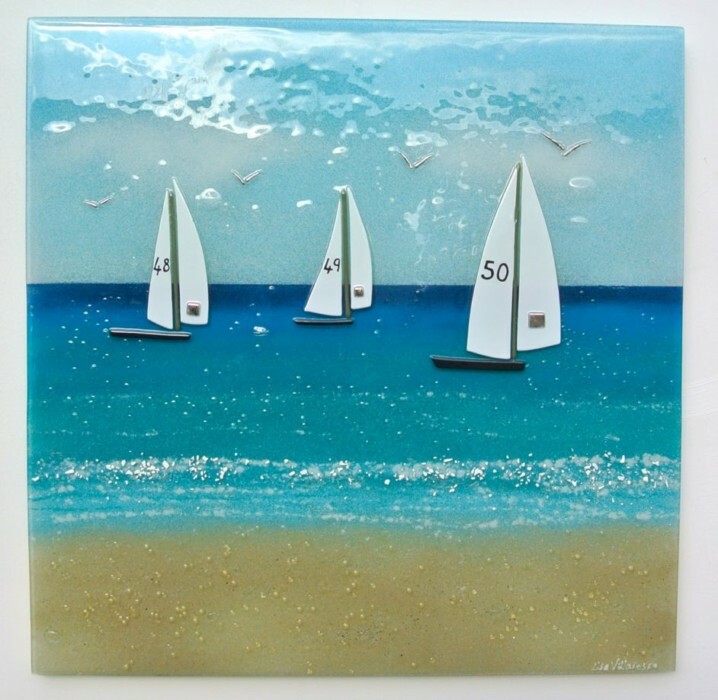 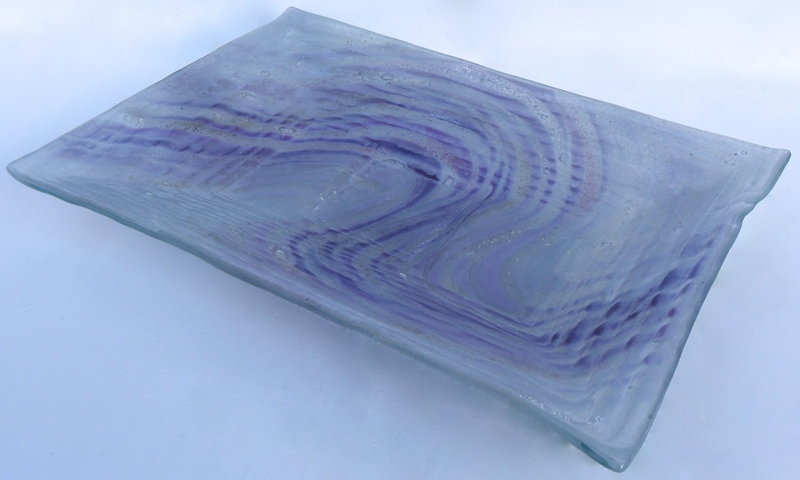 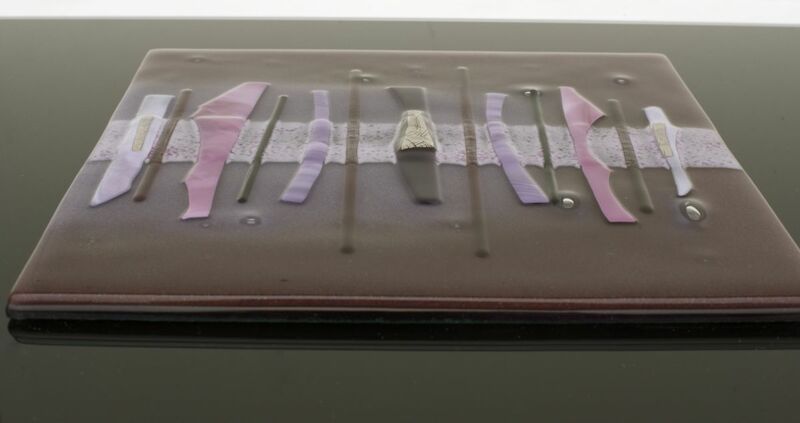 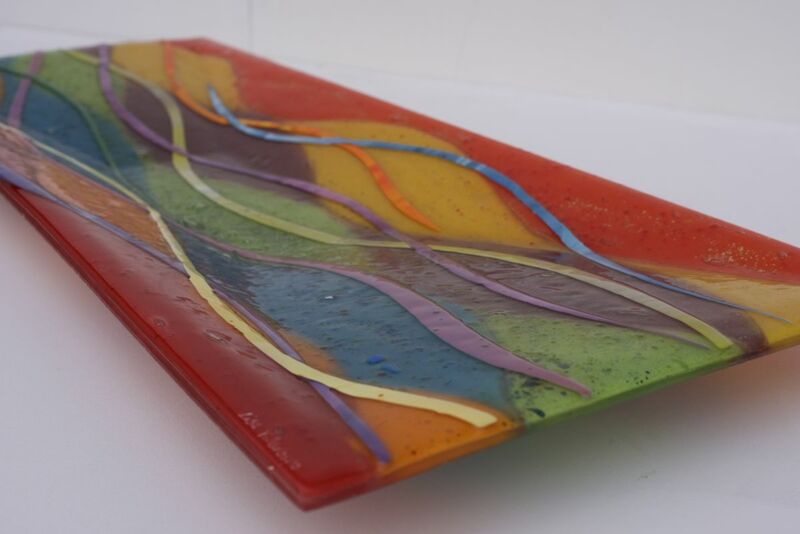 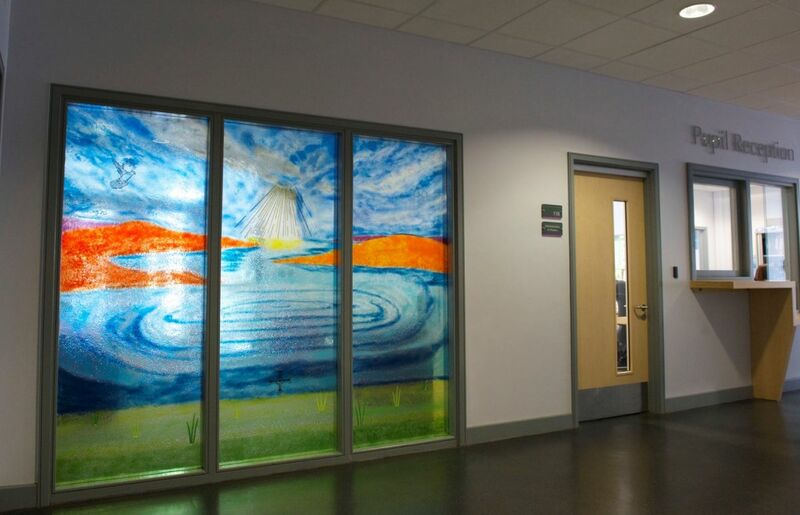 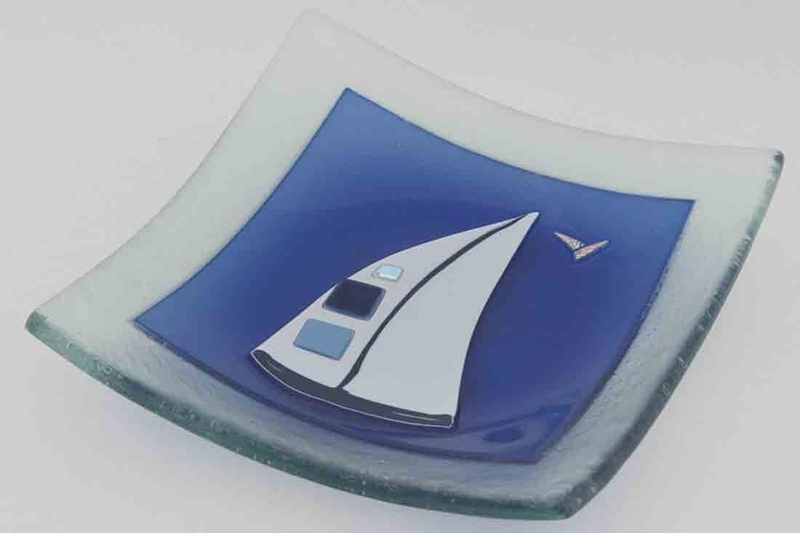 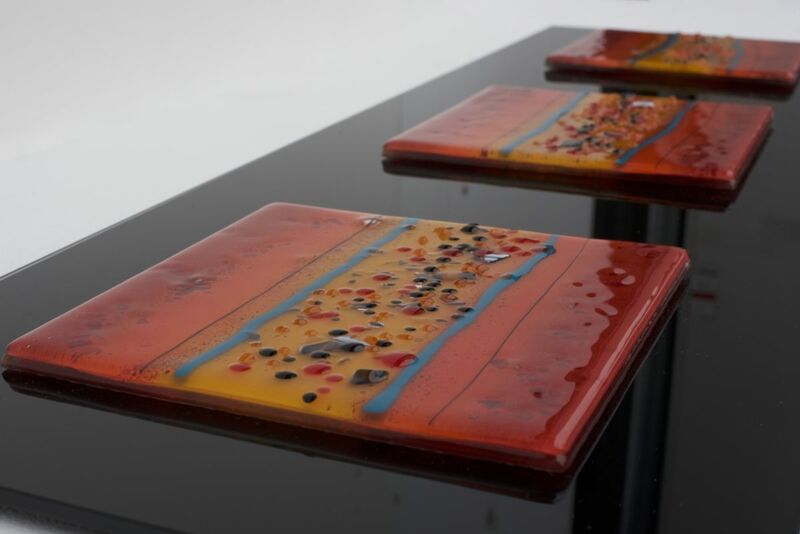 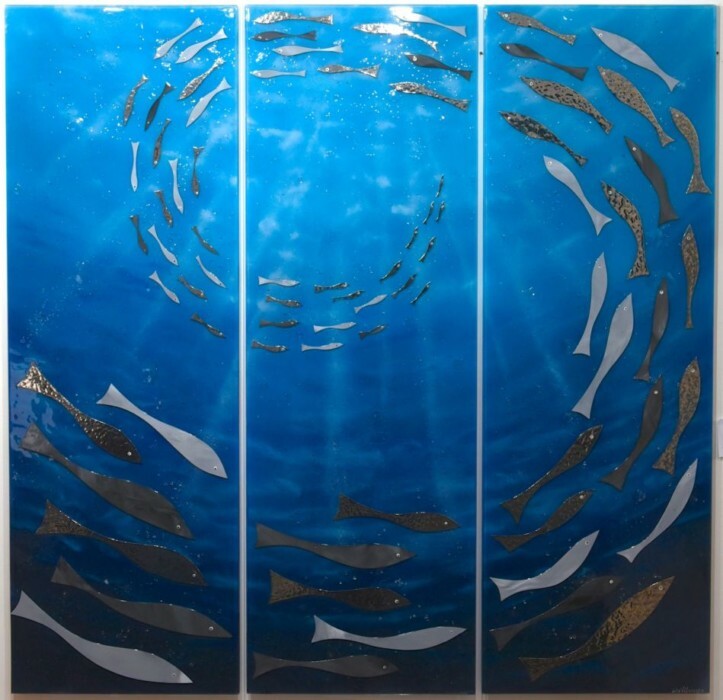 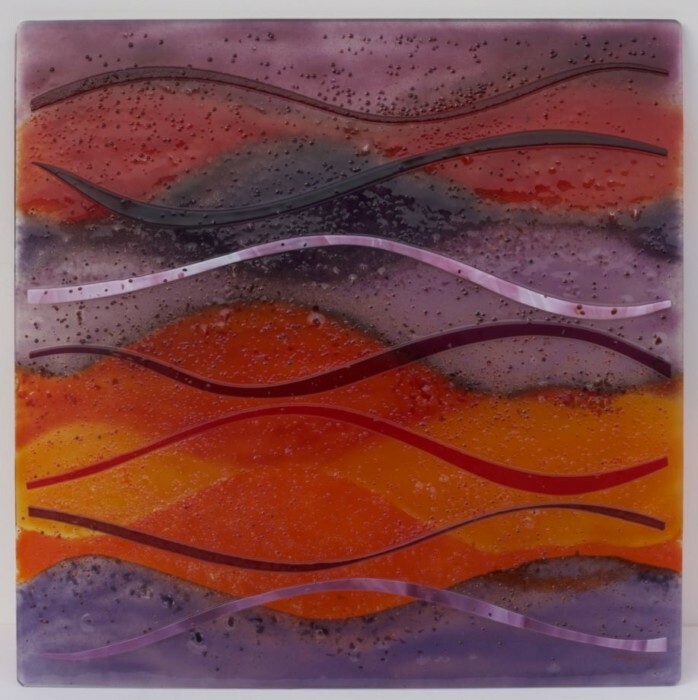 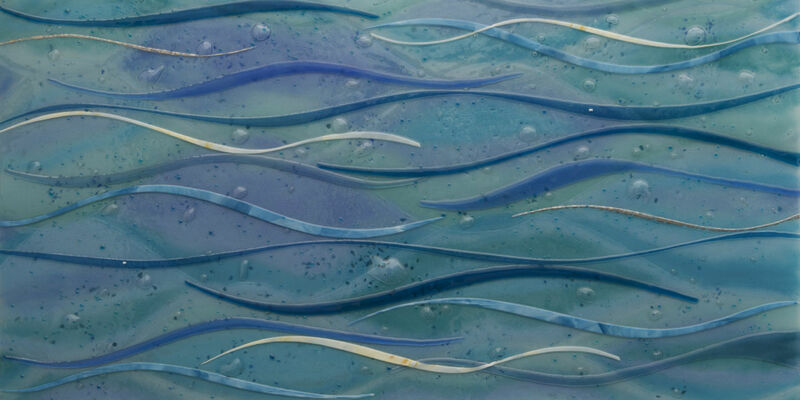 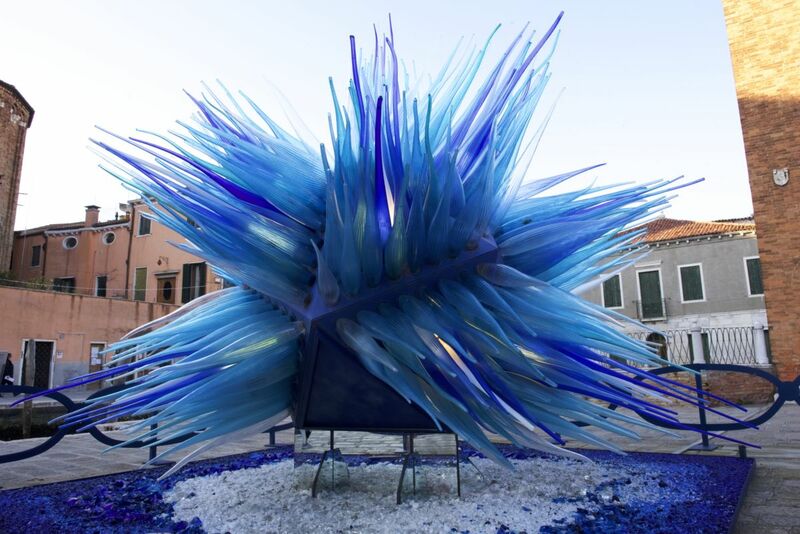 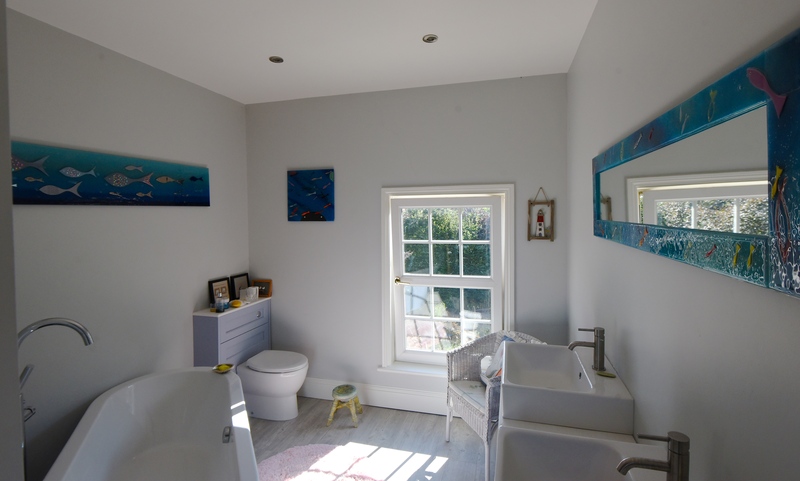 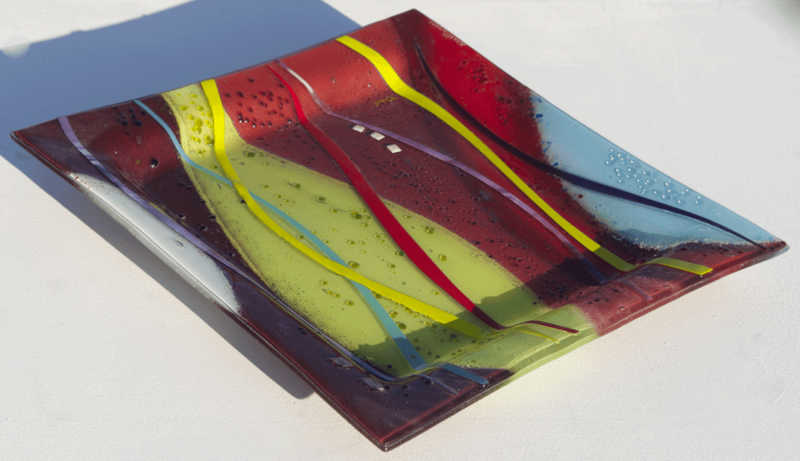 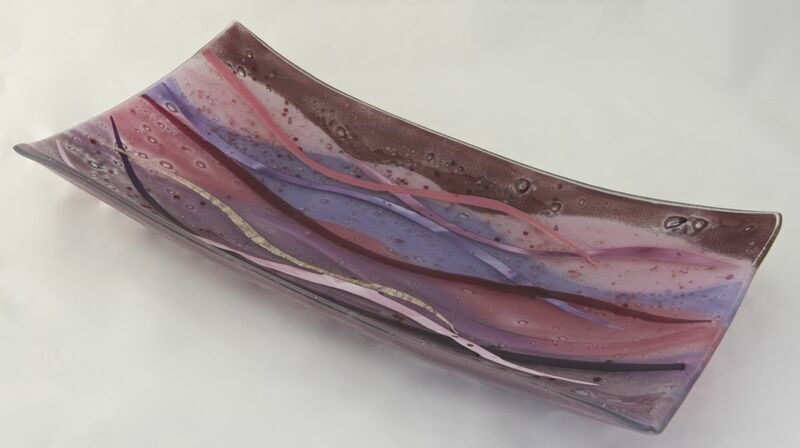 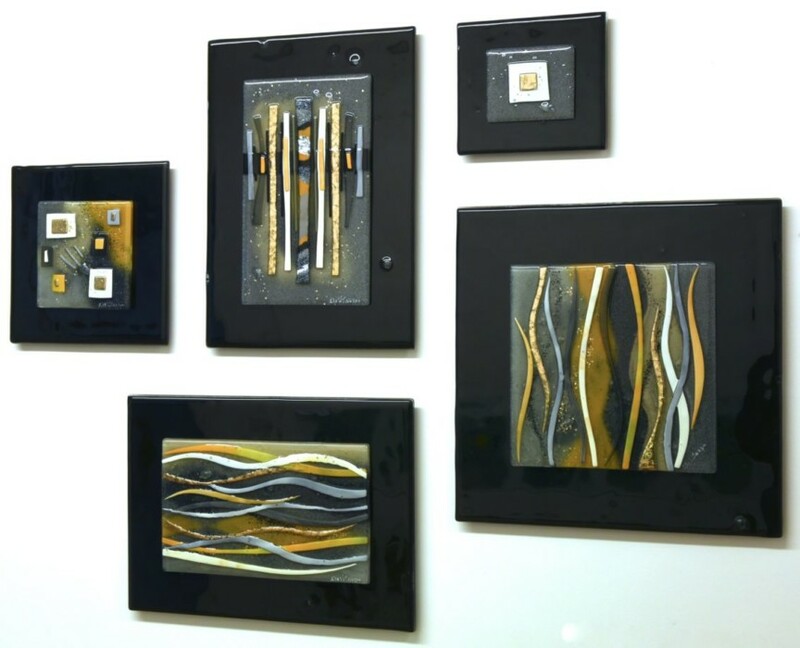 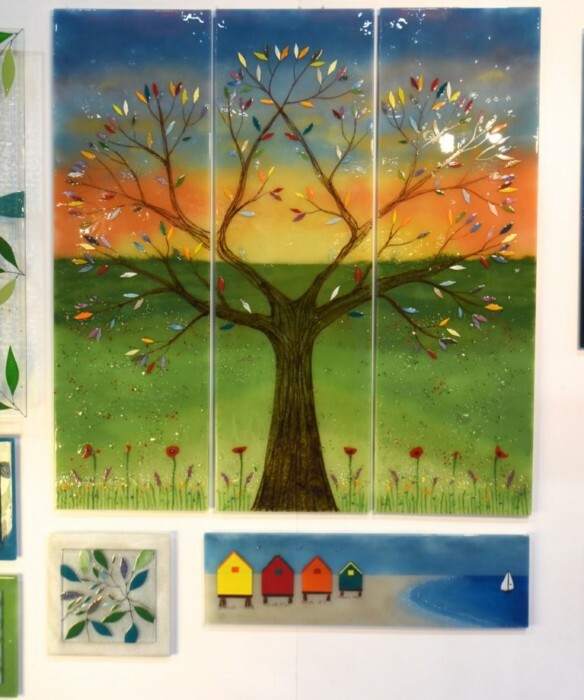 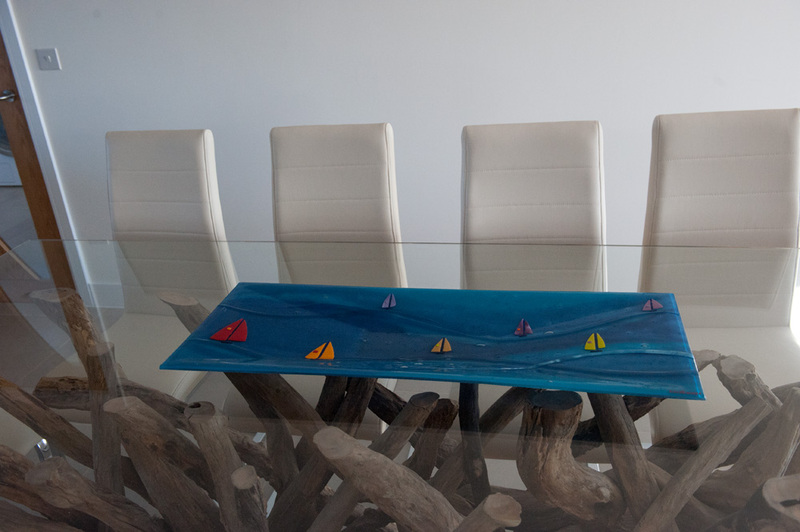 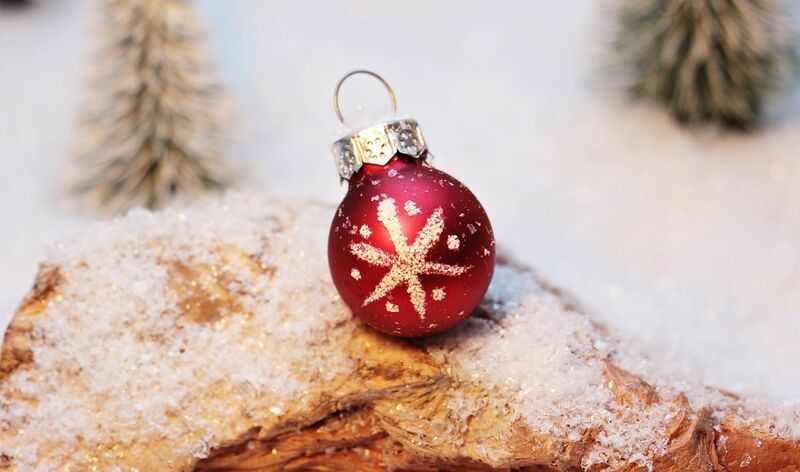 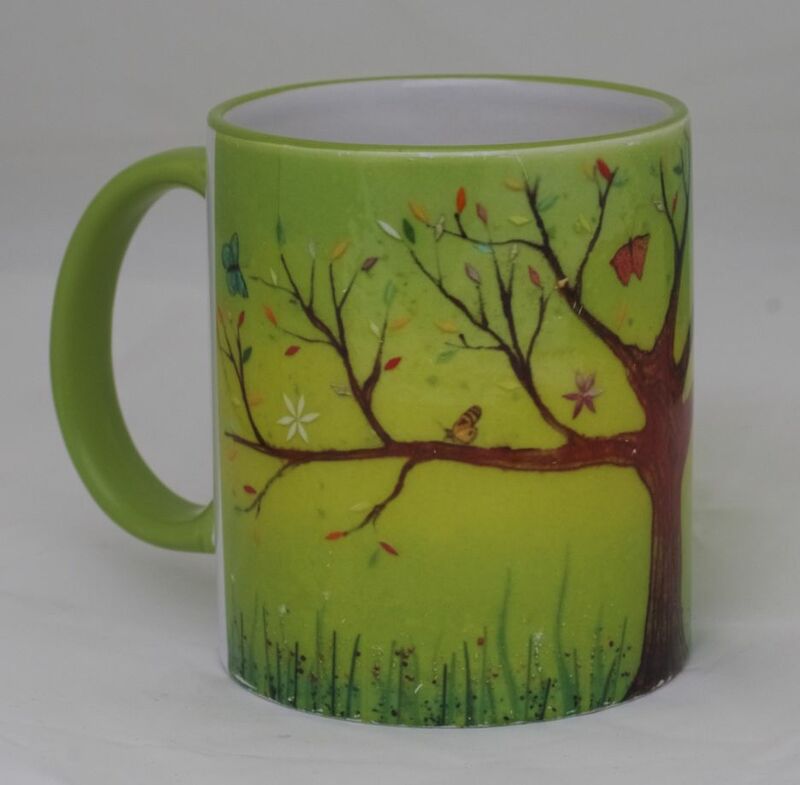 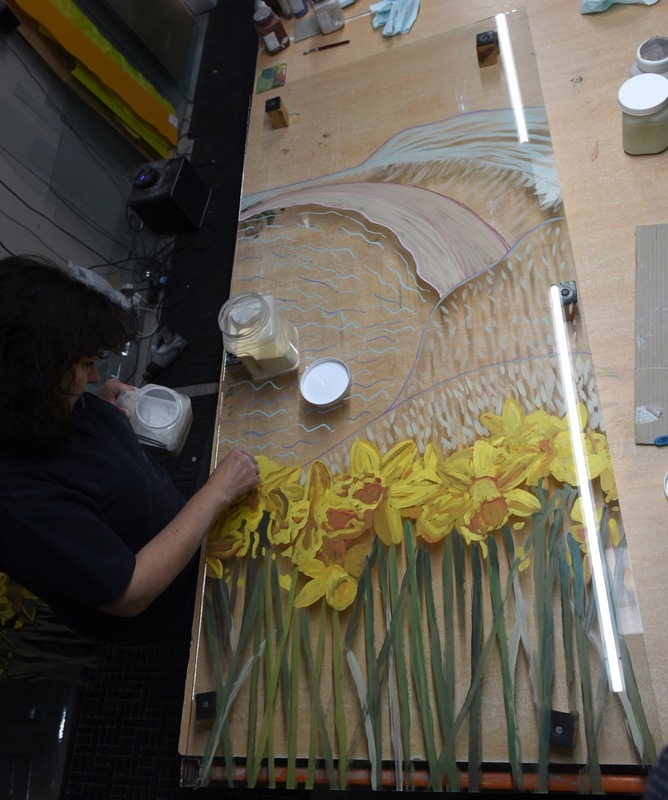 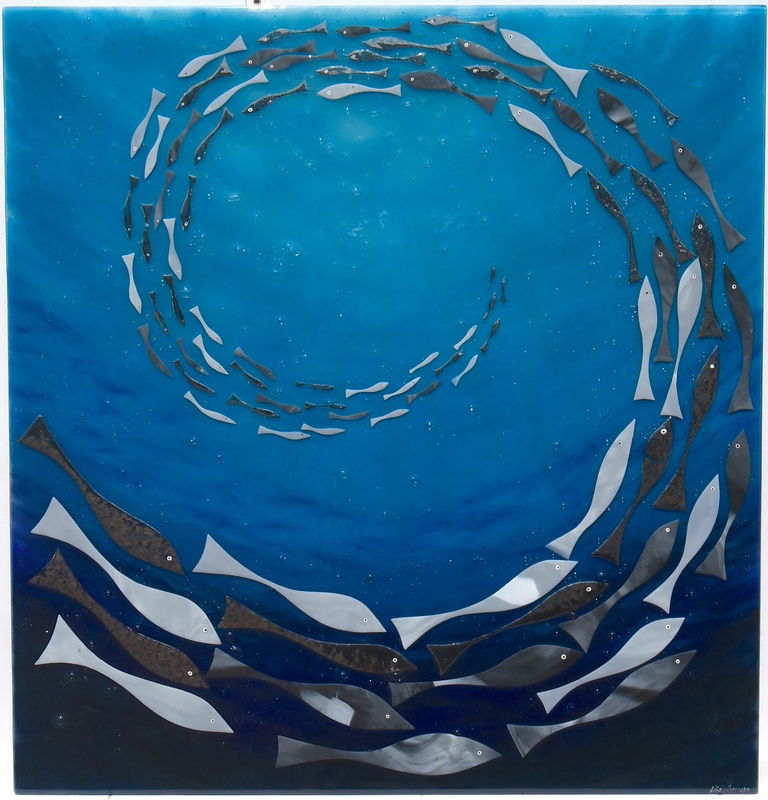 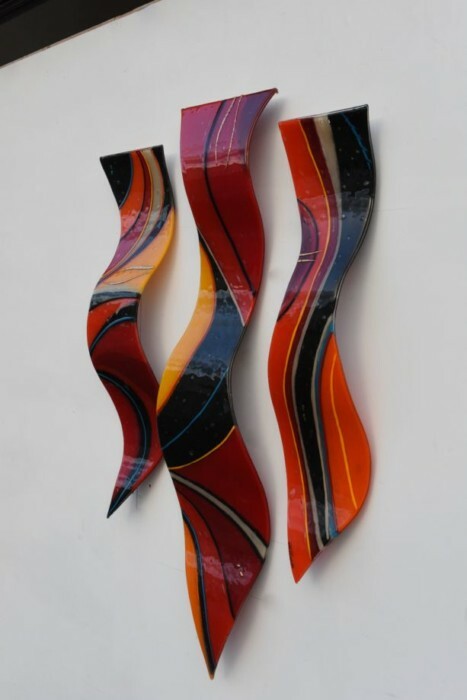 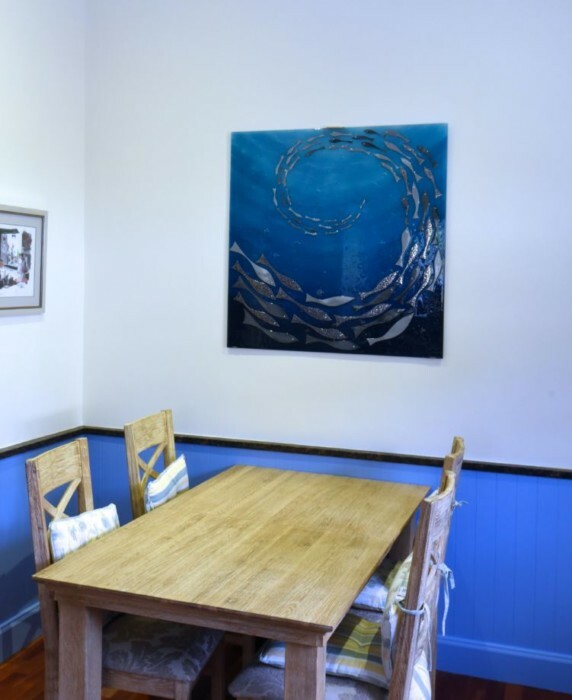 The House of Ugly Fish are market leaders in the creation of fused glass art of all shapes and sizes, with a friendly team that’s always ready and waiting to hear from you. 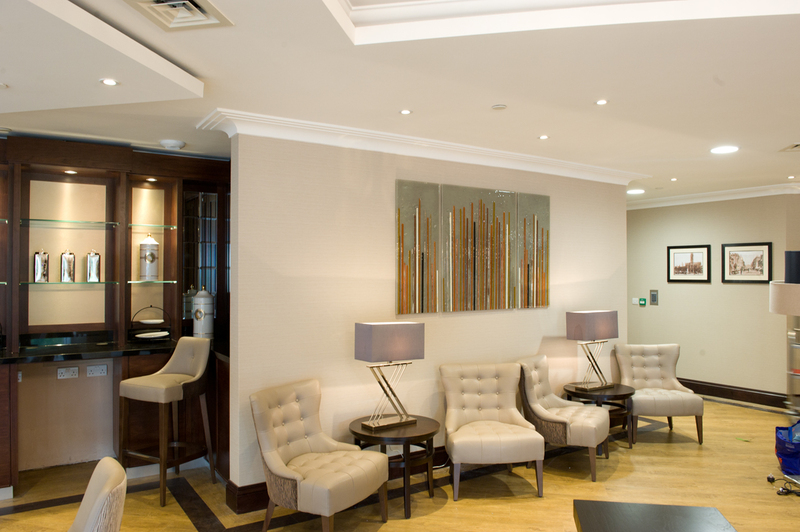 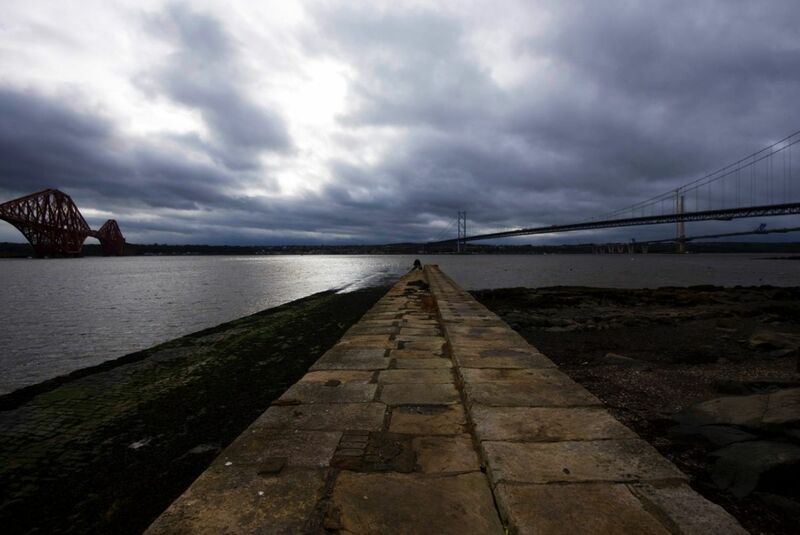 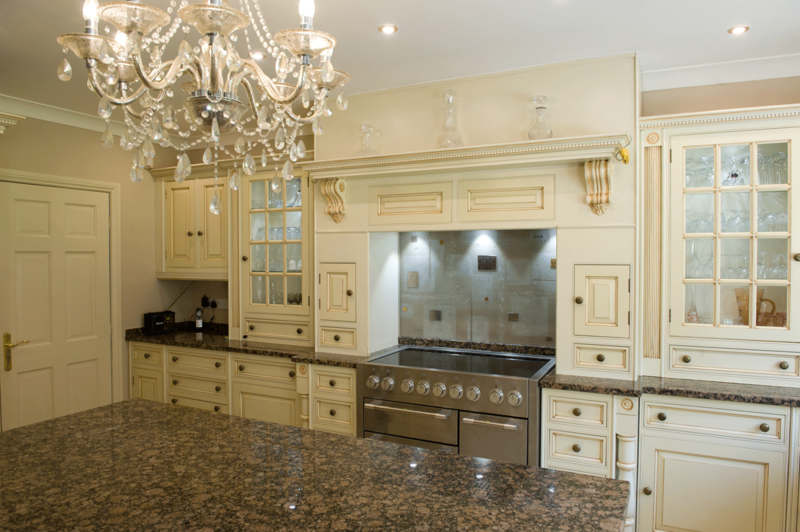 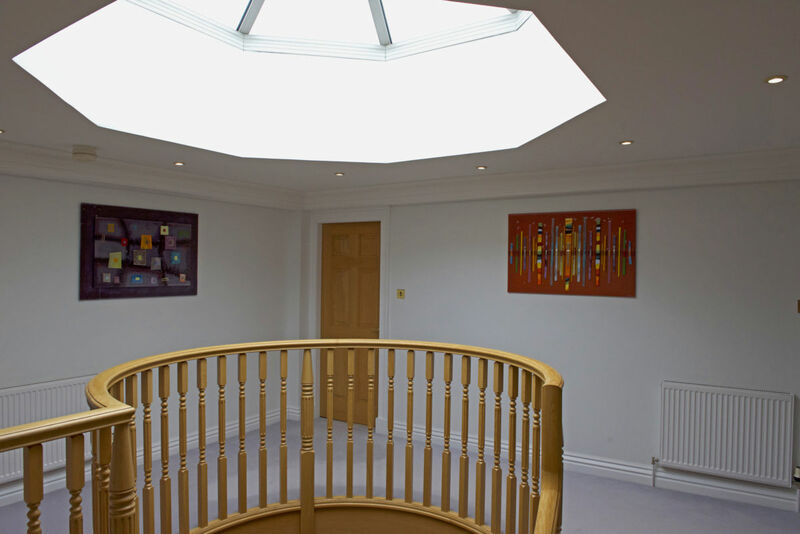 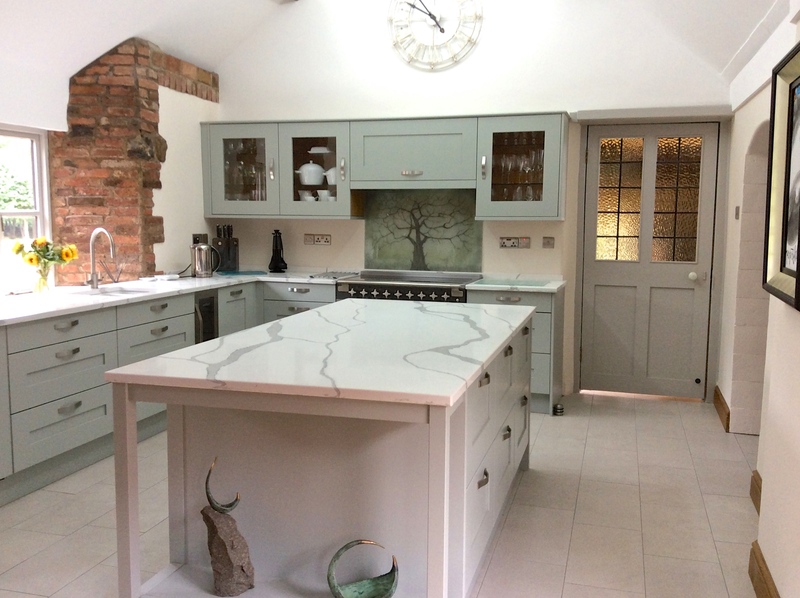 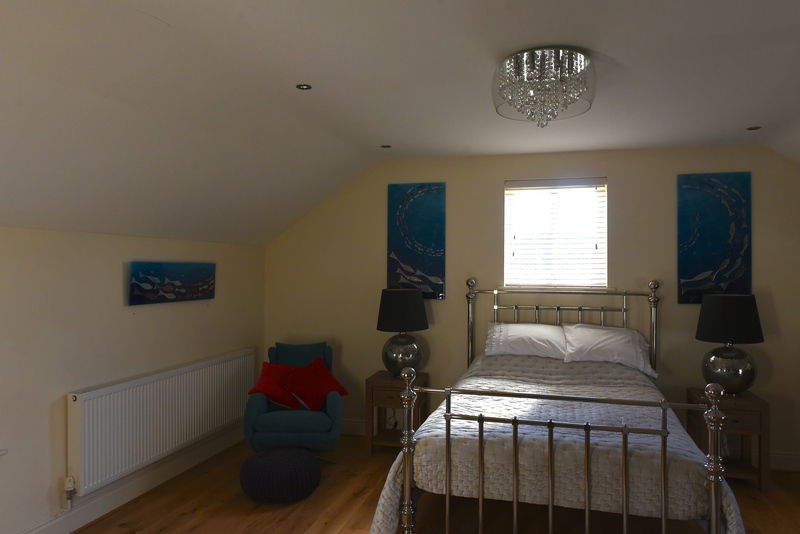 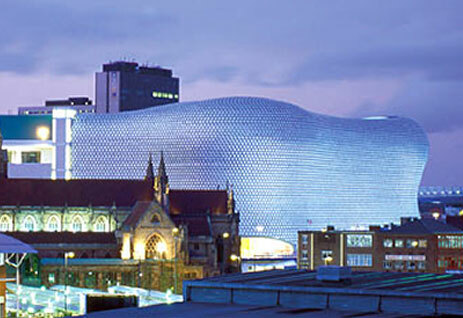 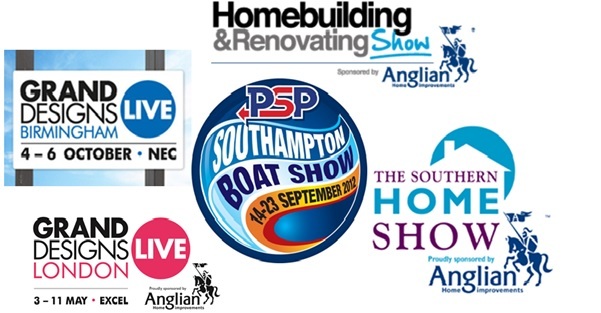 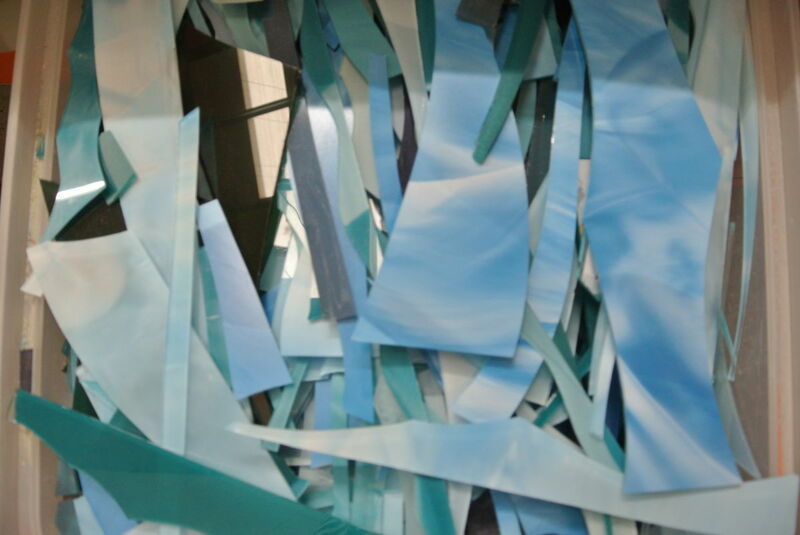 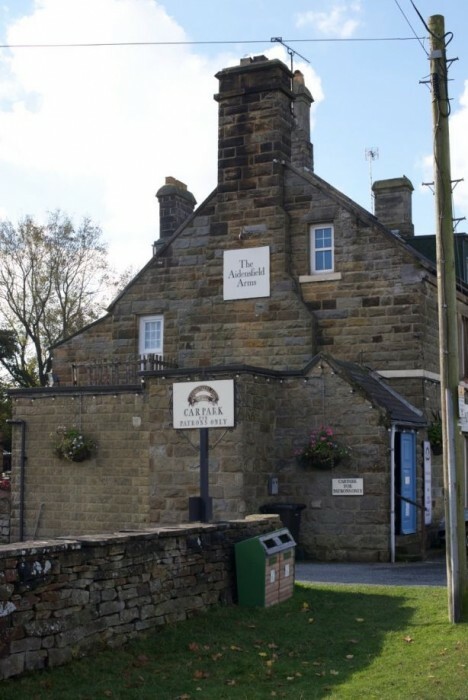 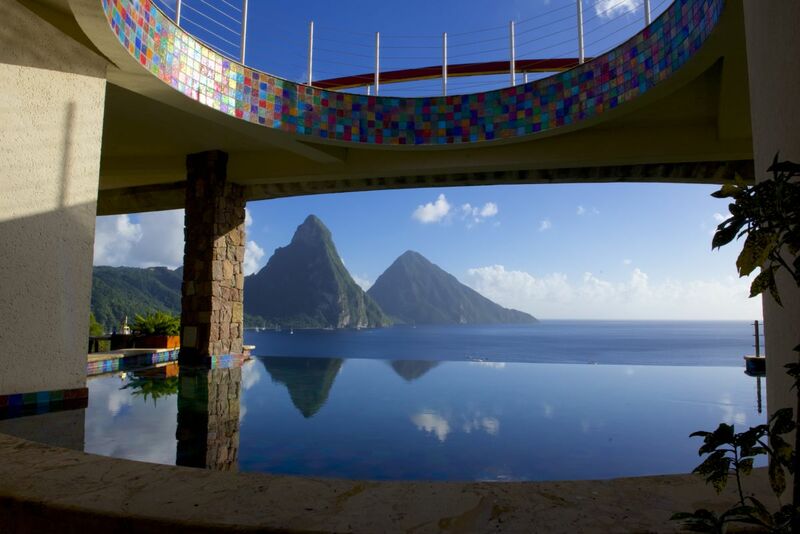 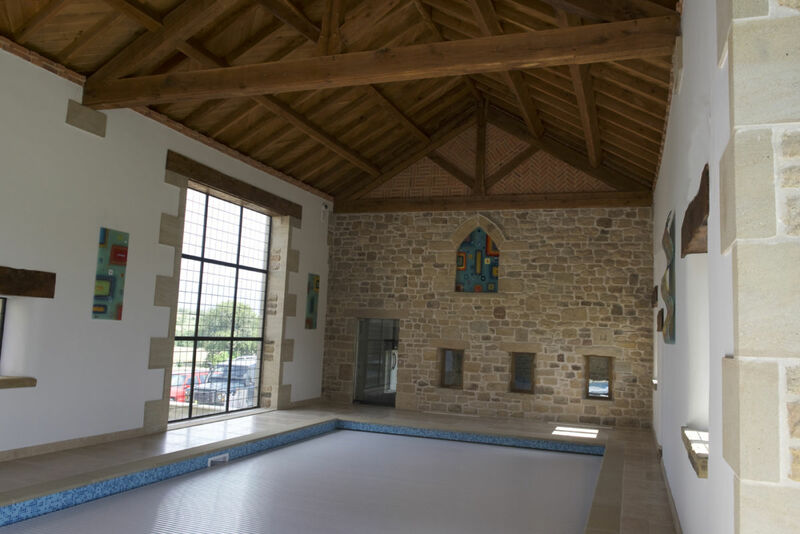 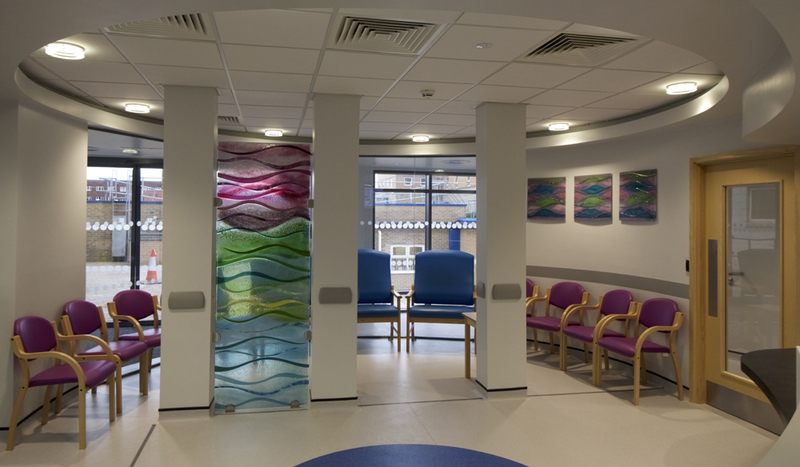 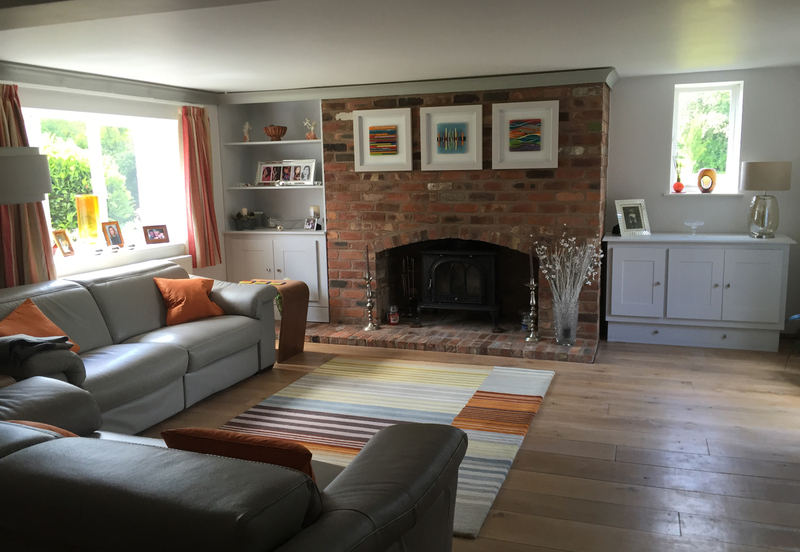 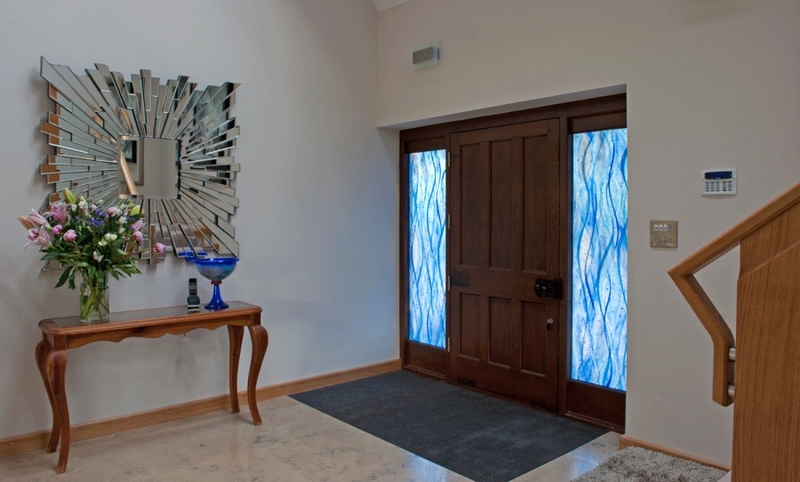 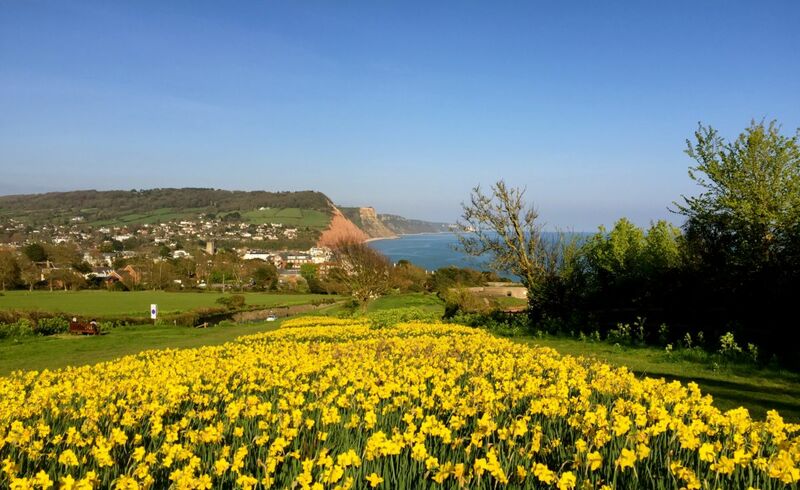 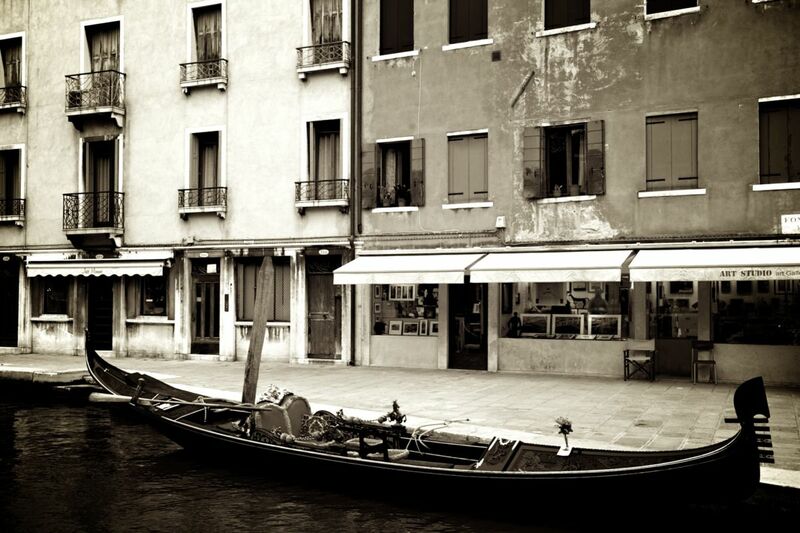 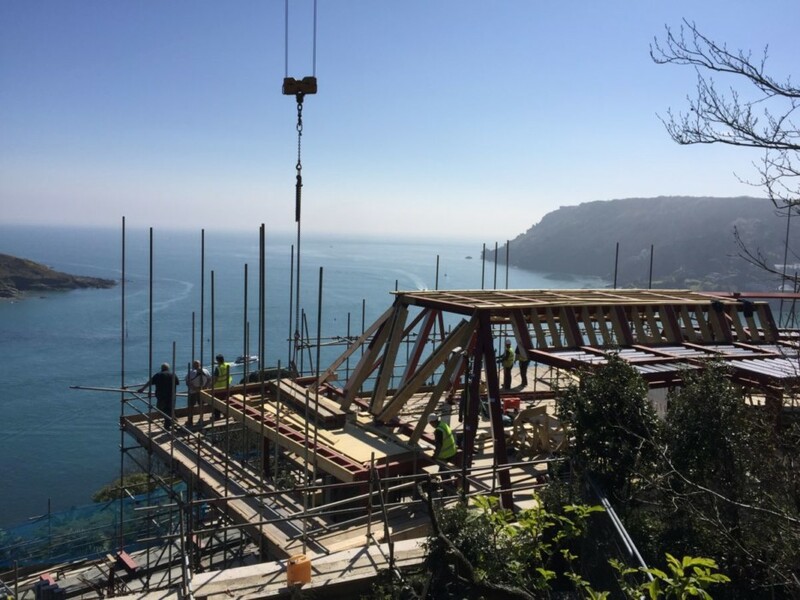 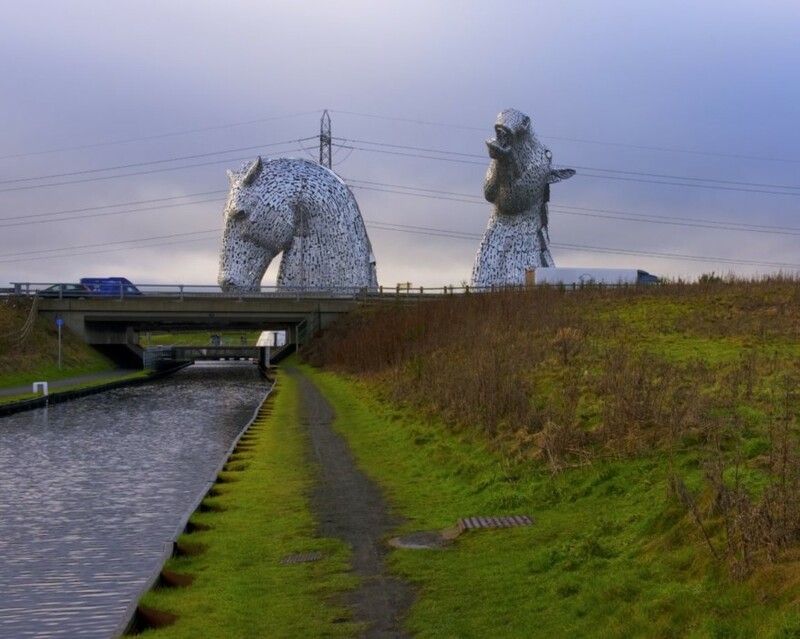 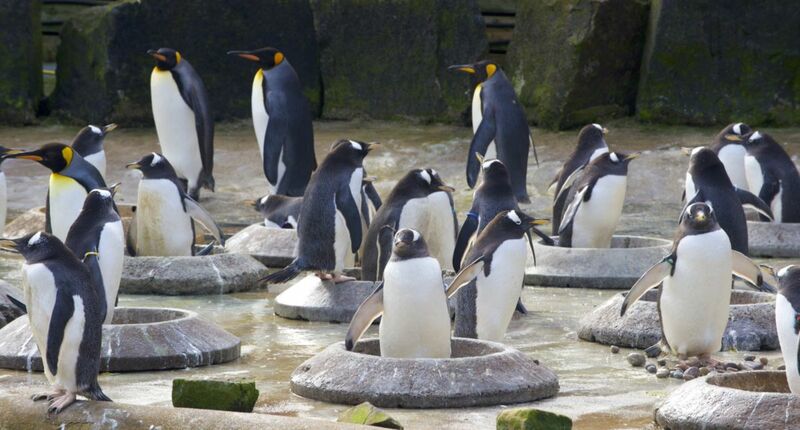 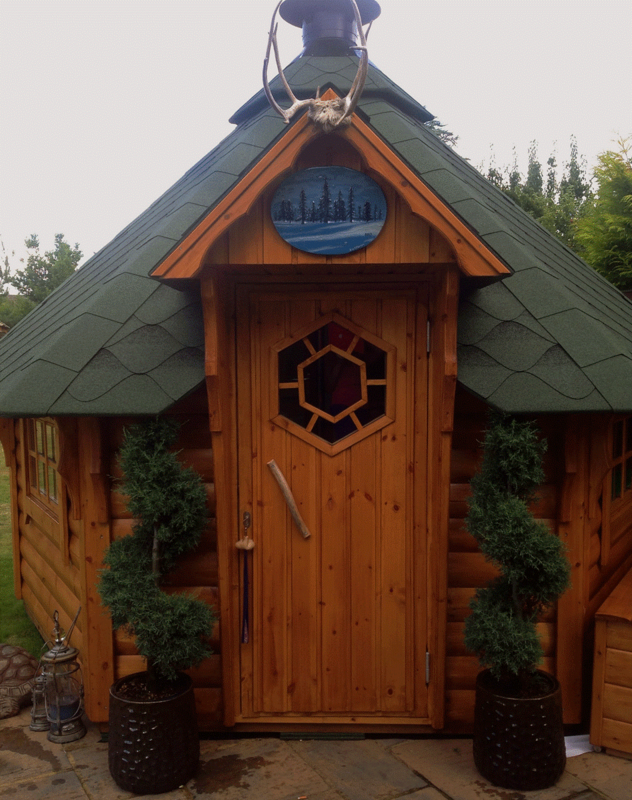 Why not give us a call and have a chat about how our bespoke process could work for you?